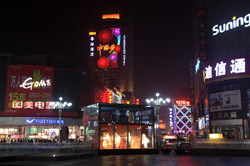 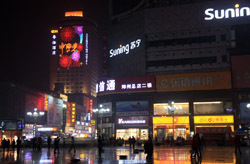 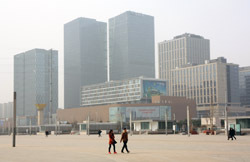 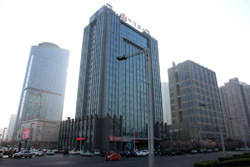 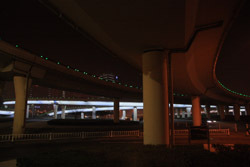 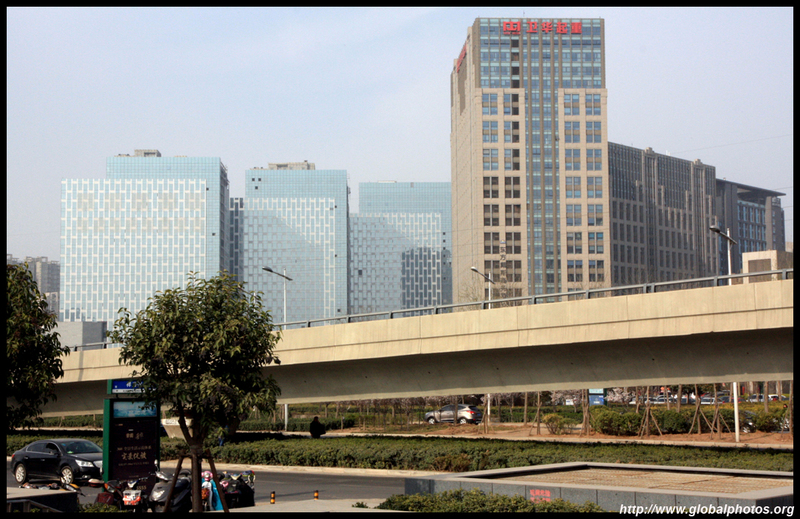 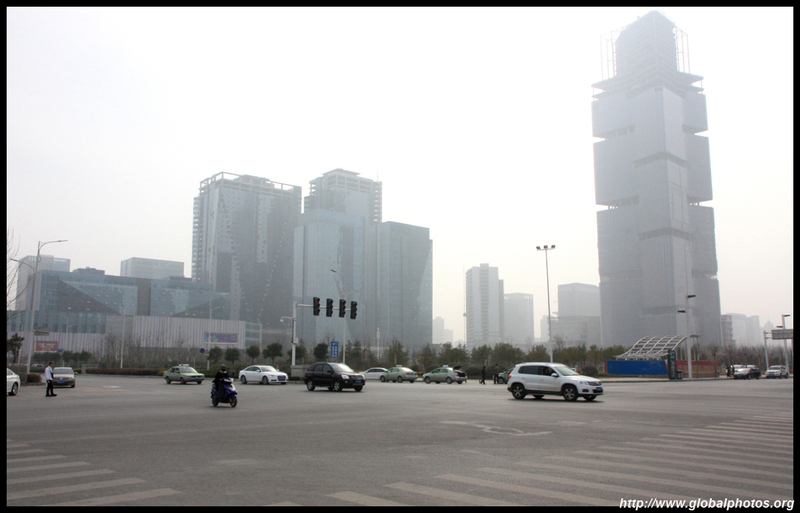 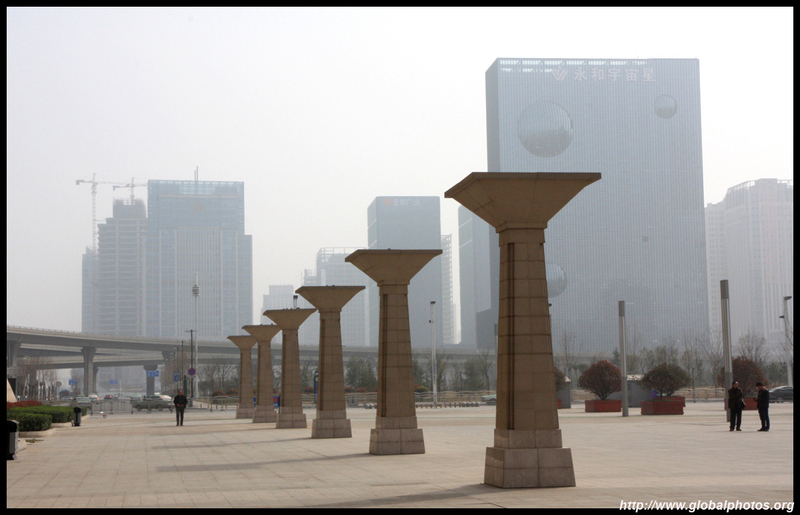 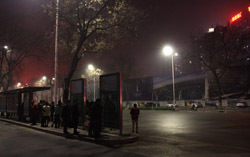 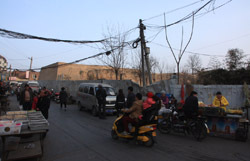 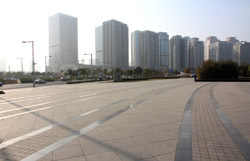 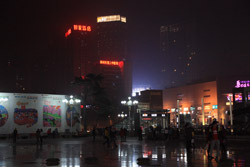 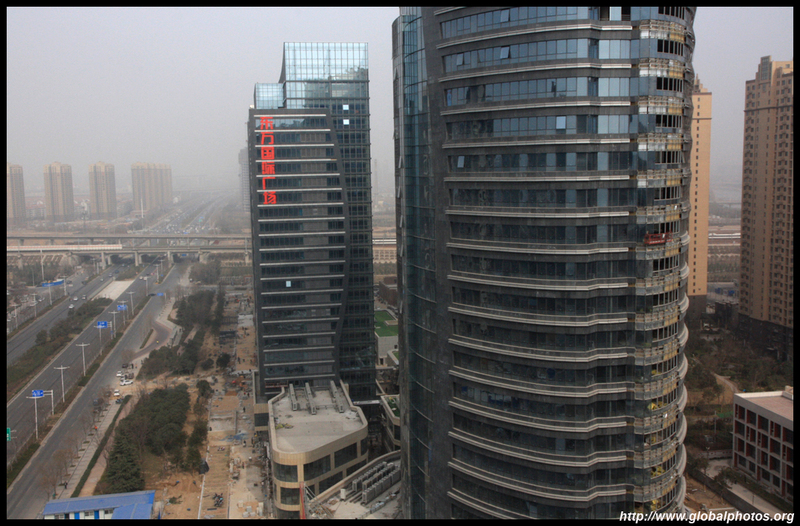 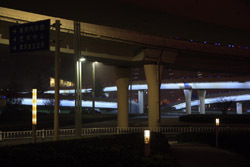 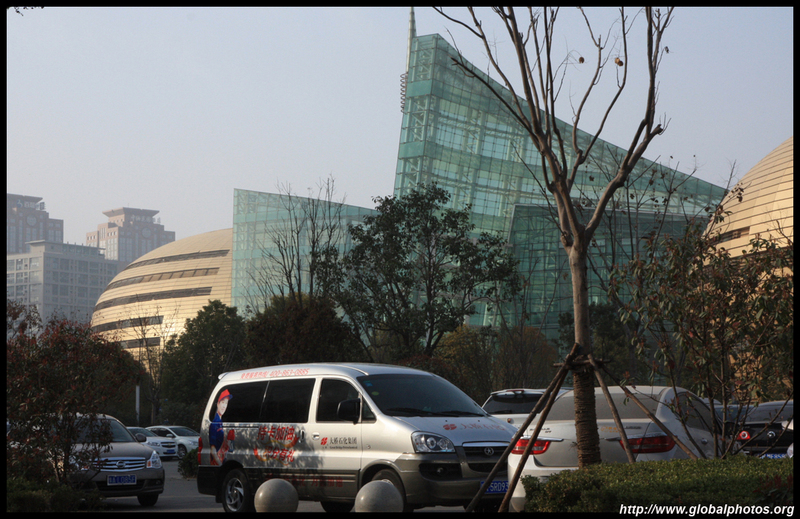 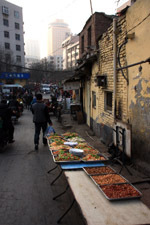 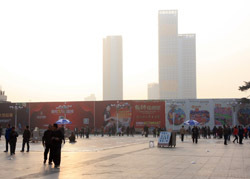 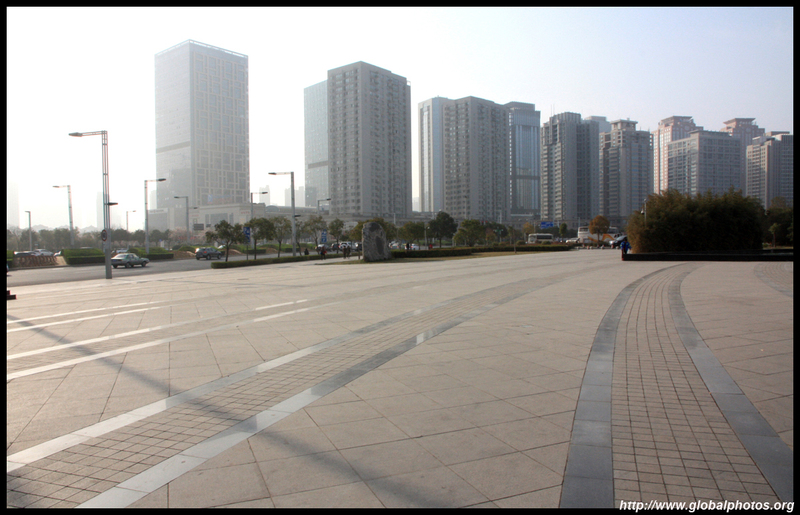 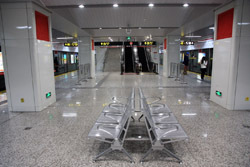 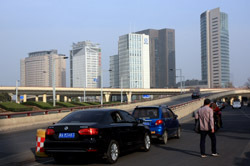 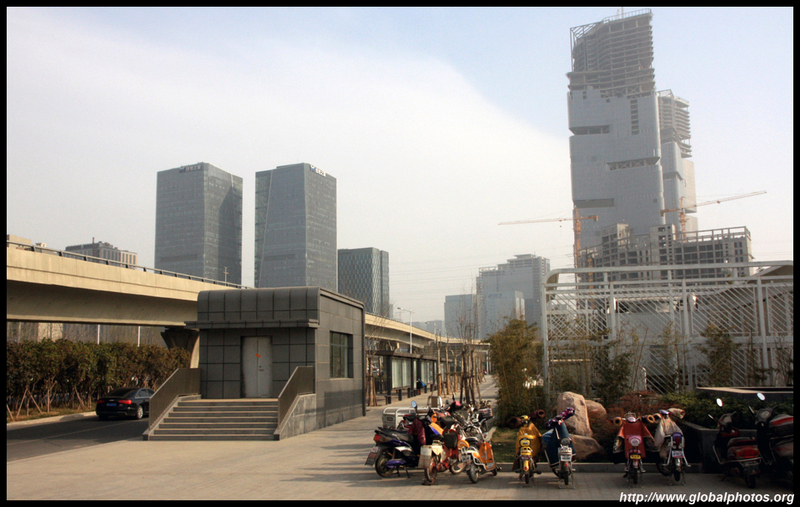 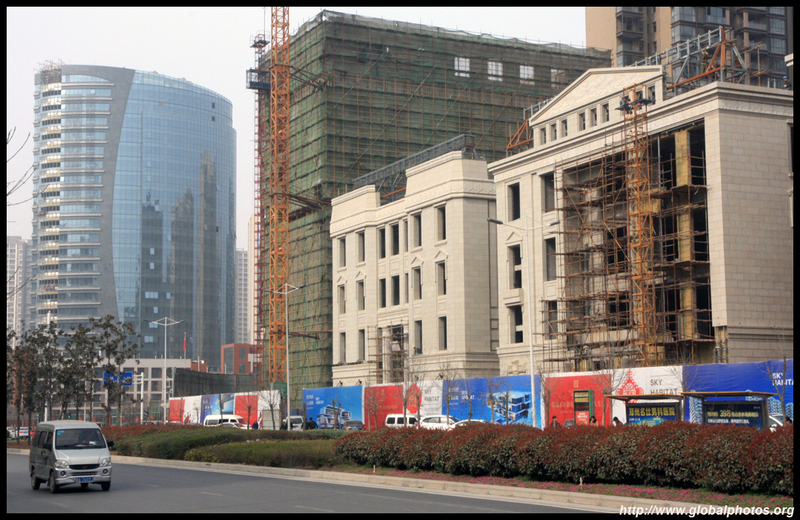 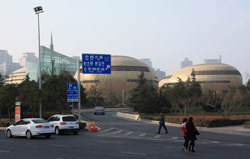 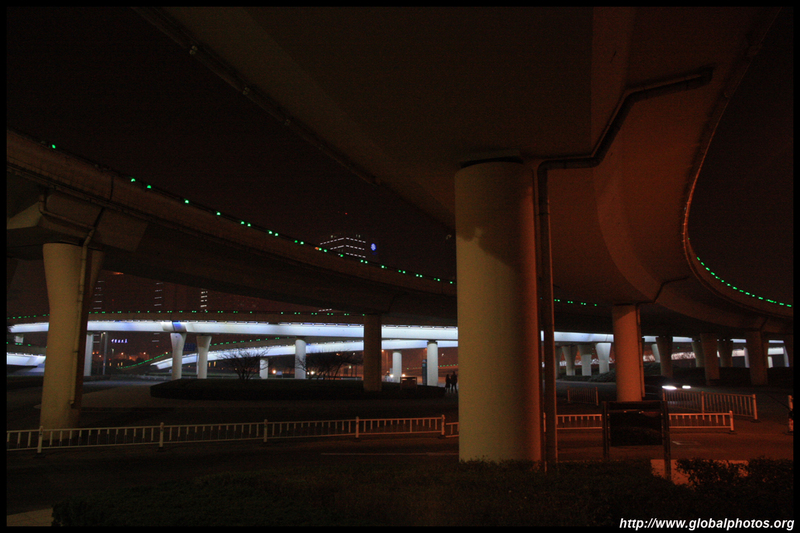 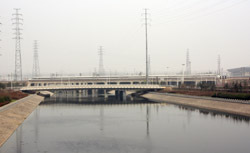 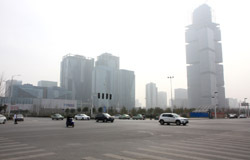 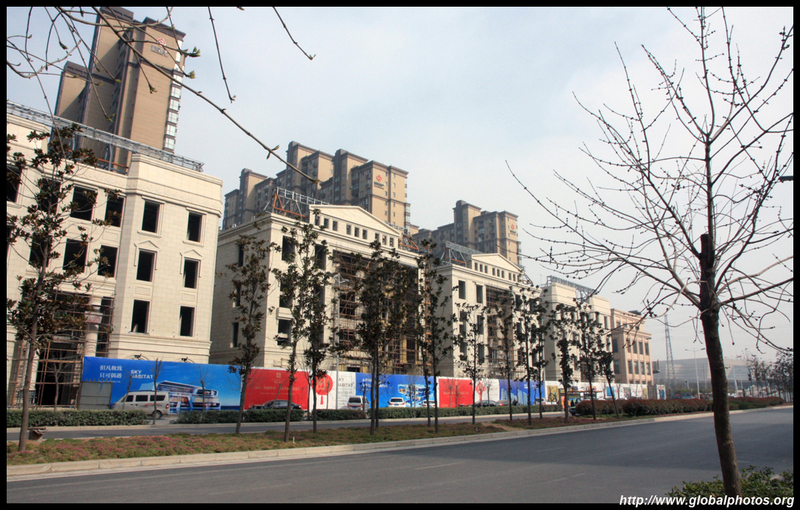 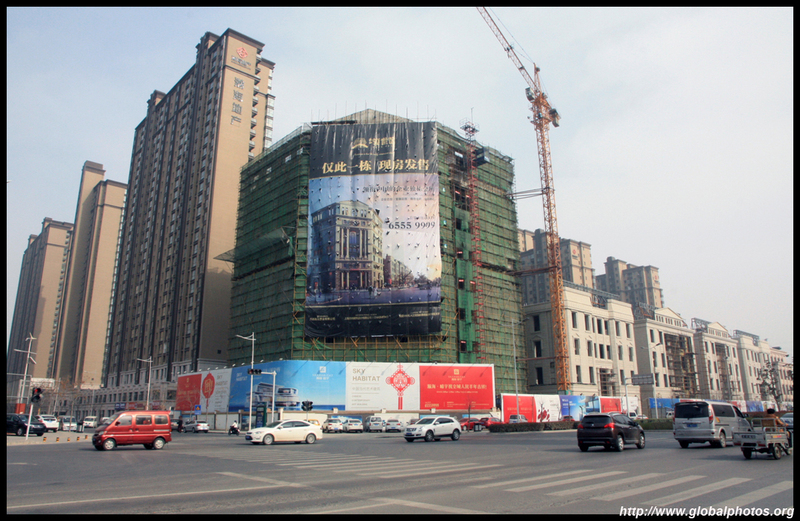 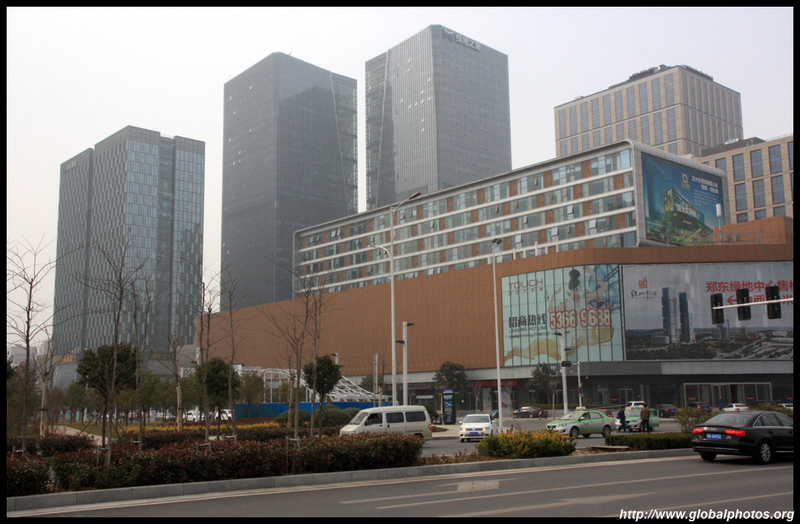 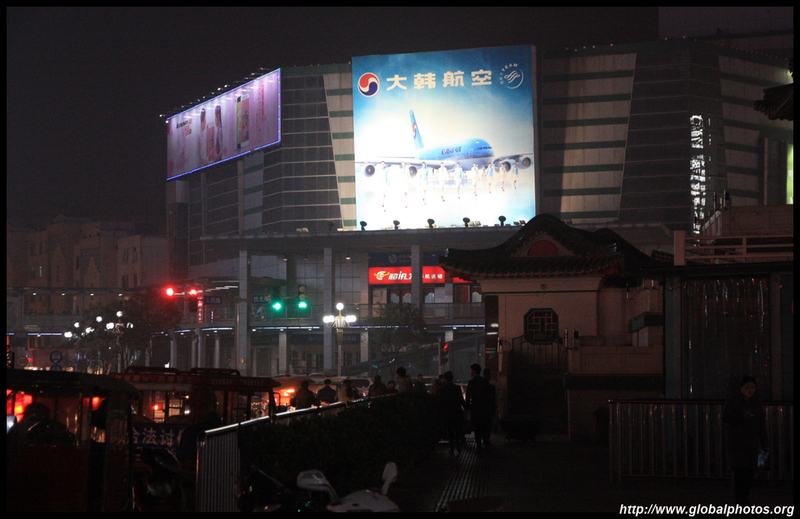 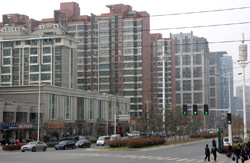 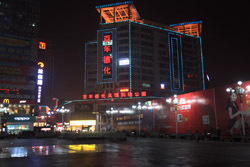 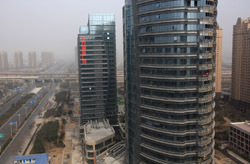 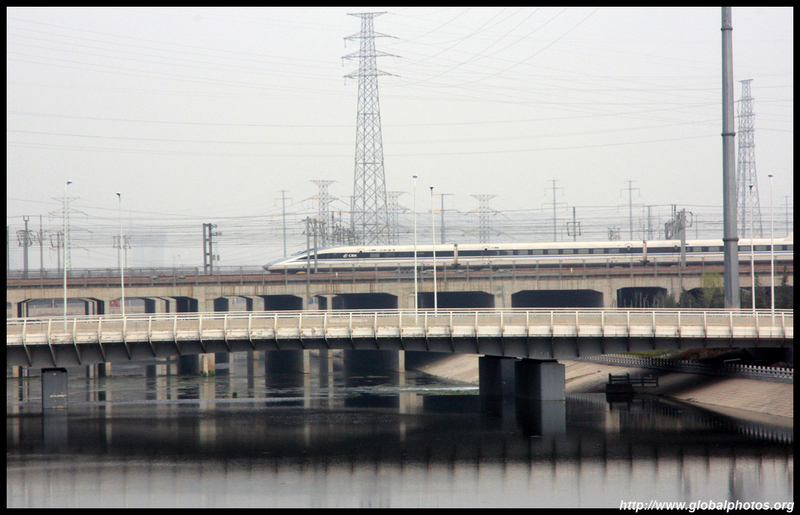 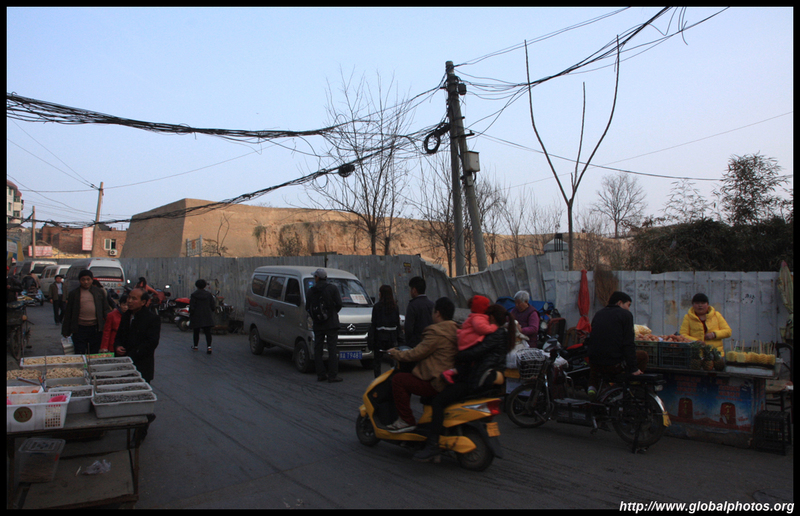 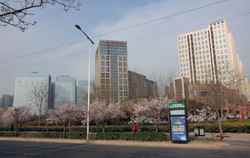 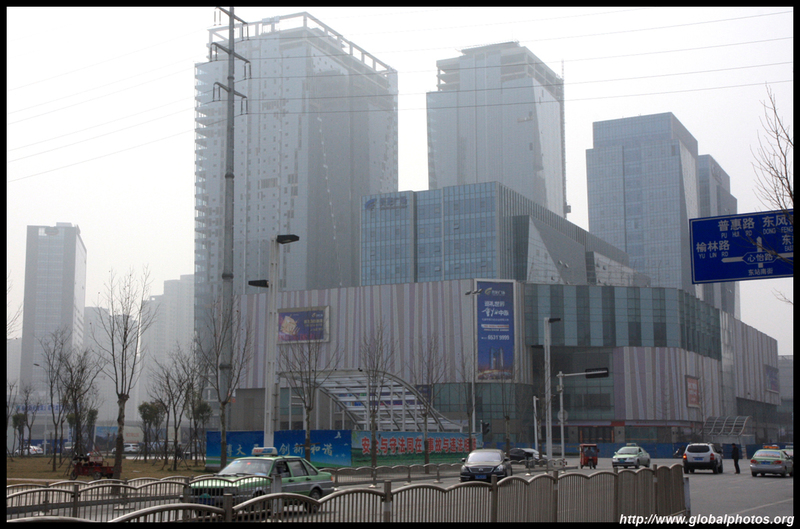 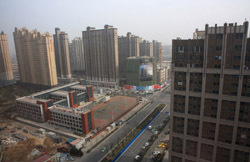 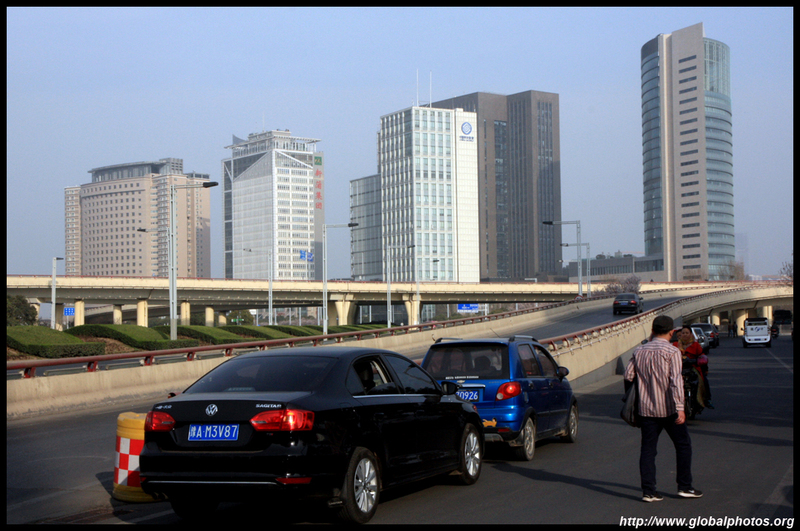 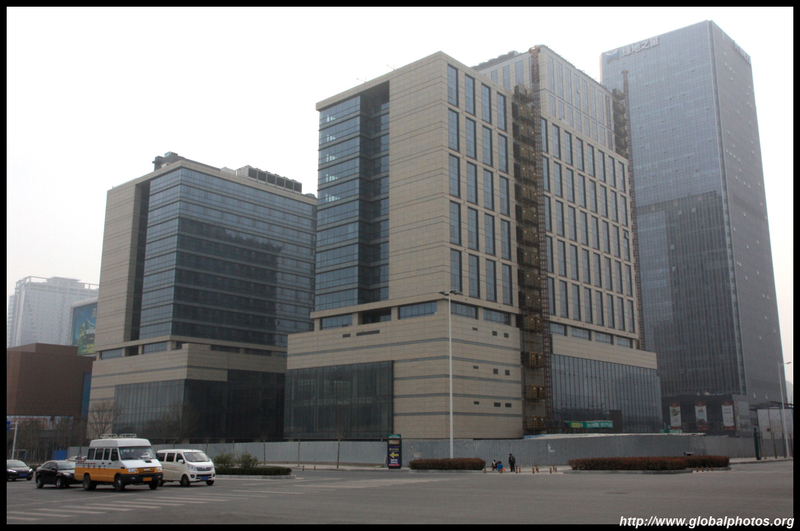 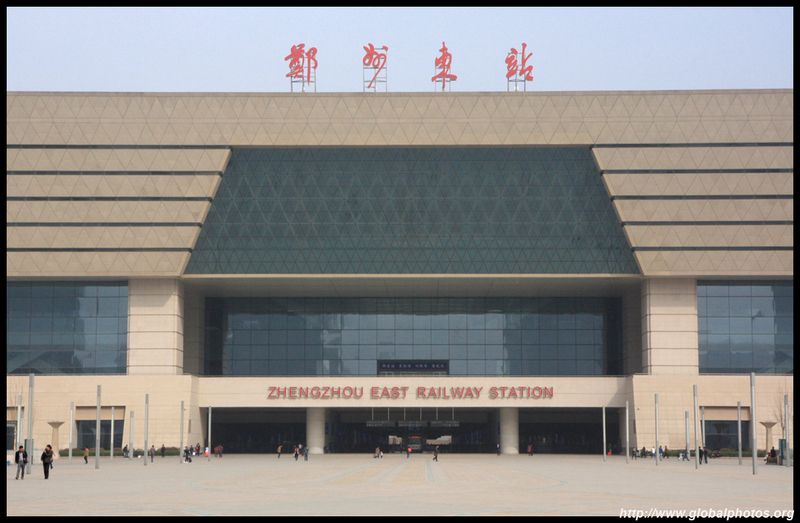 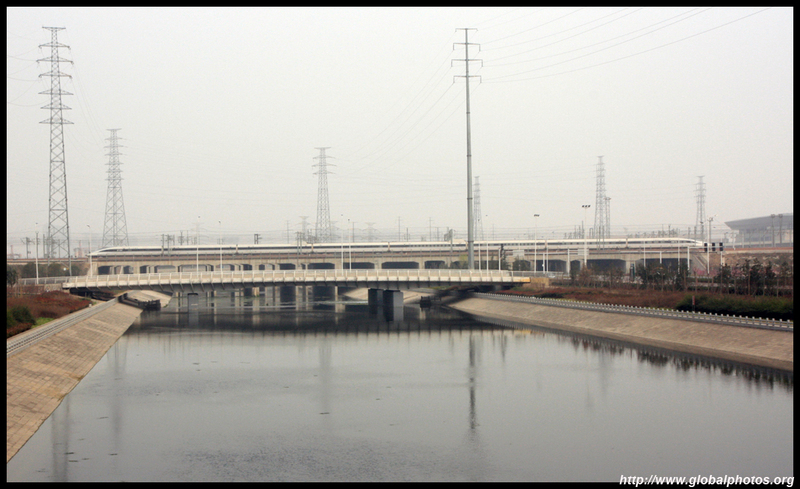 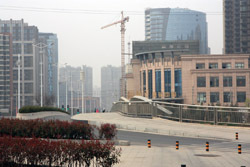 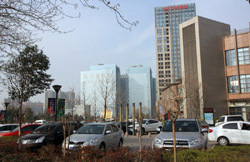 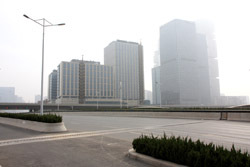 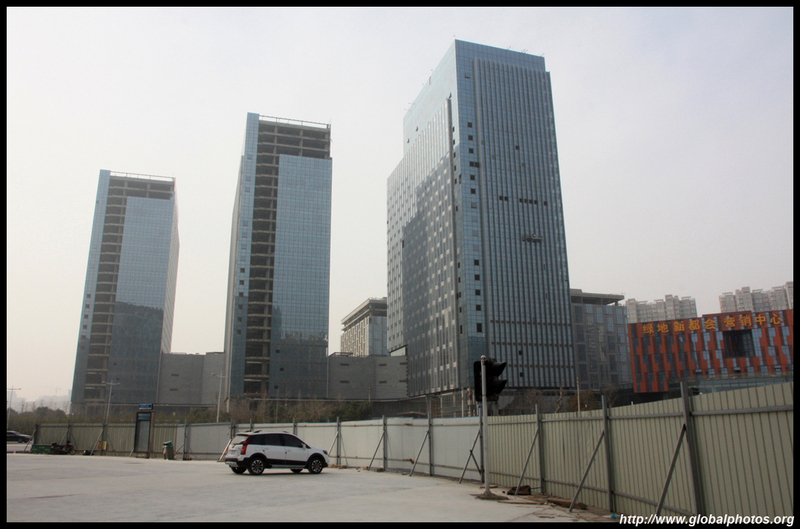 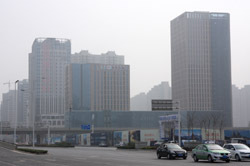 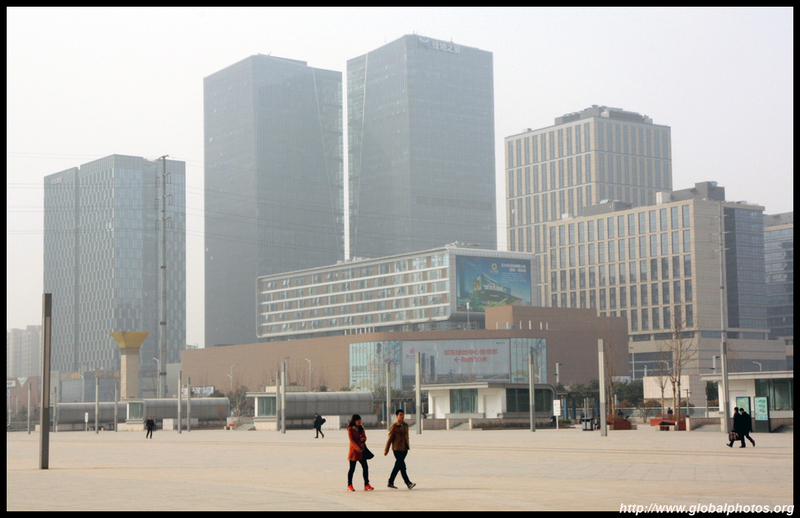 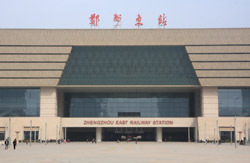 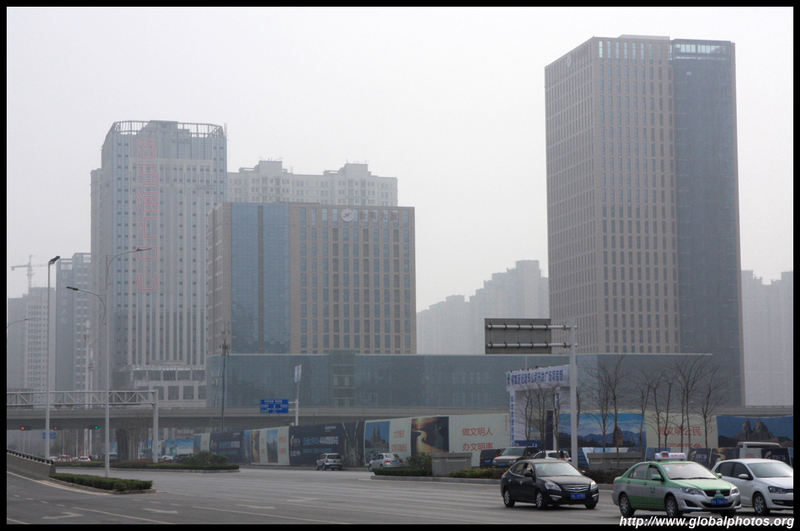 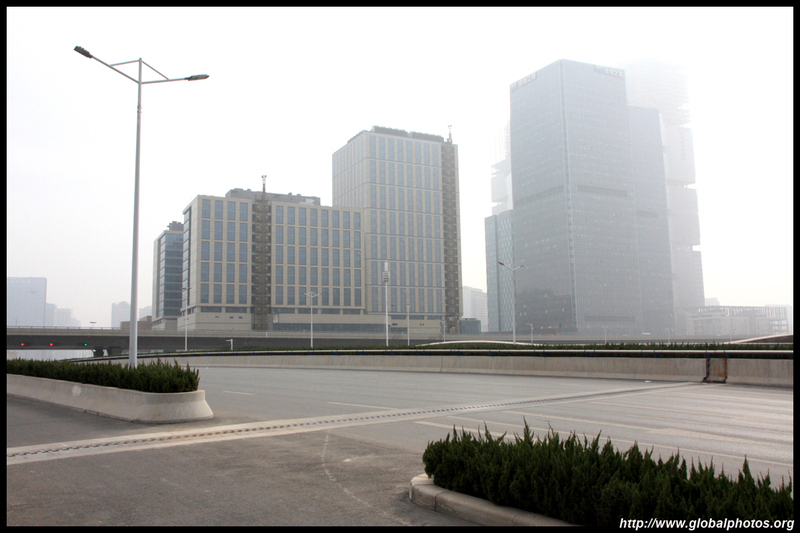 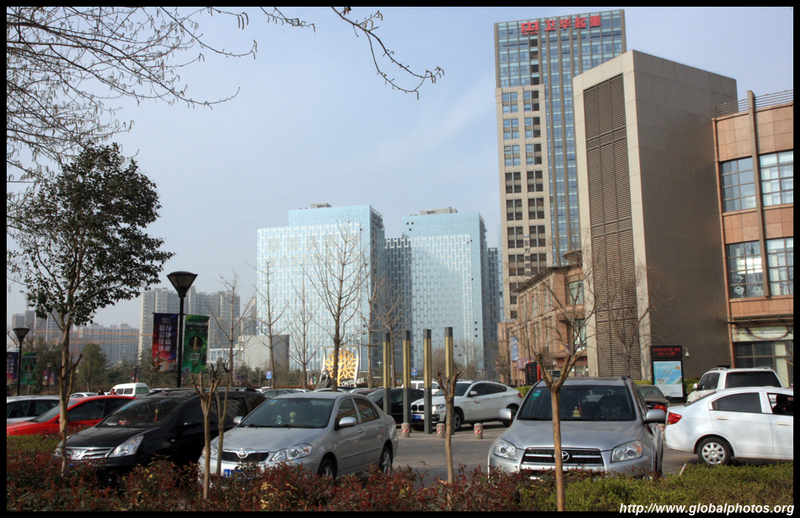 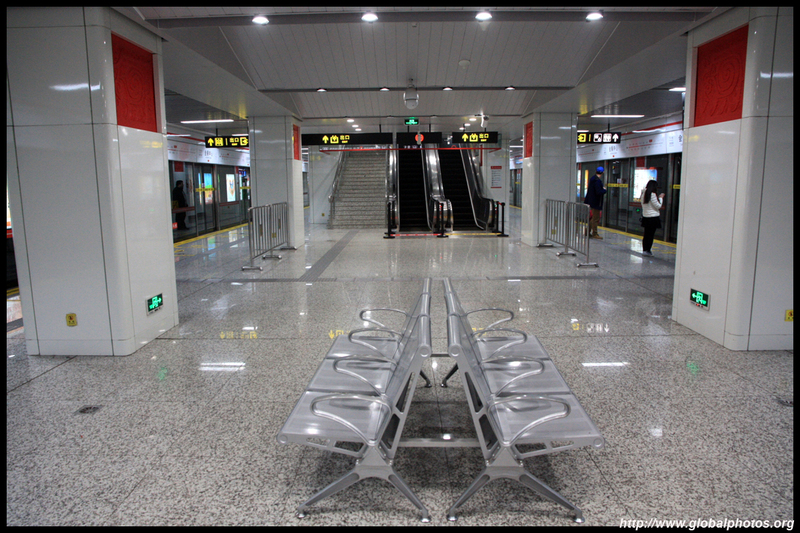 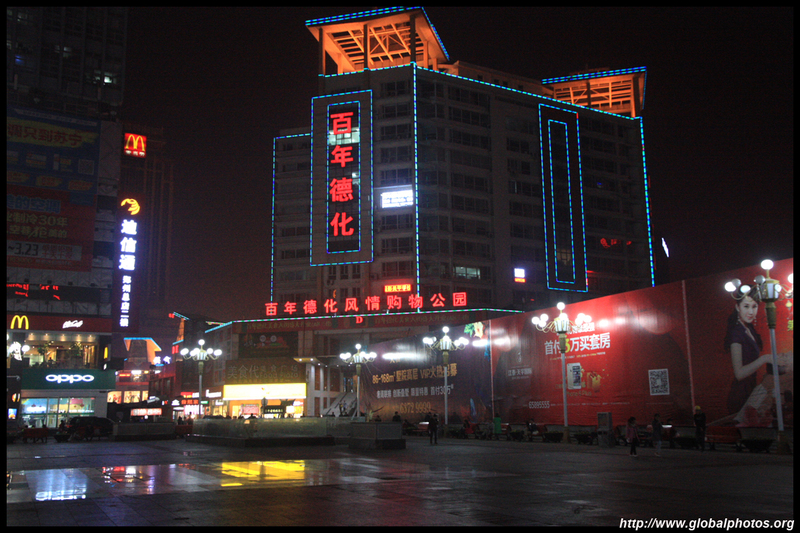 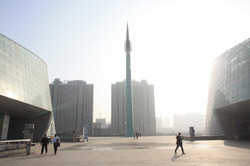 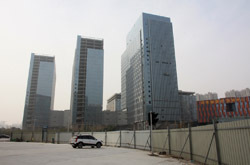 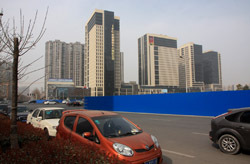 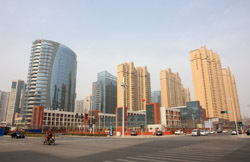 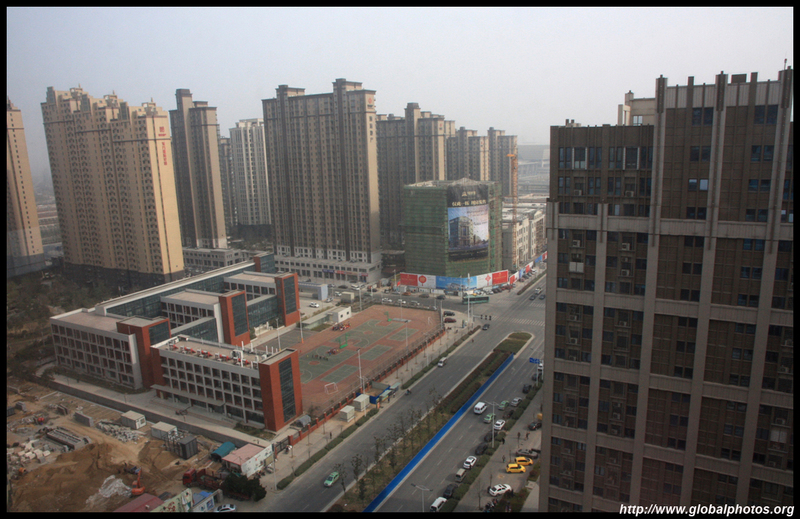 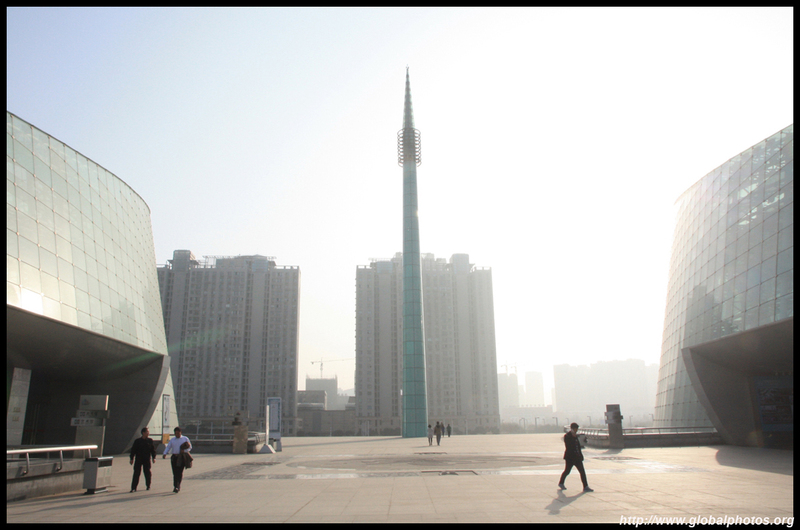 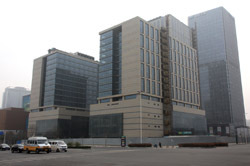 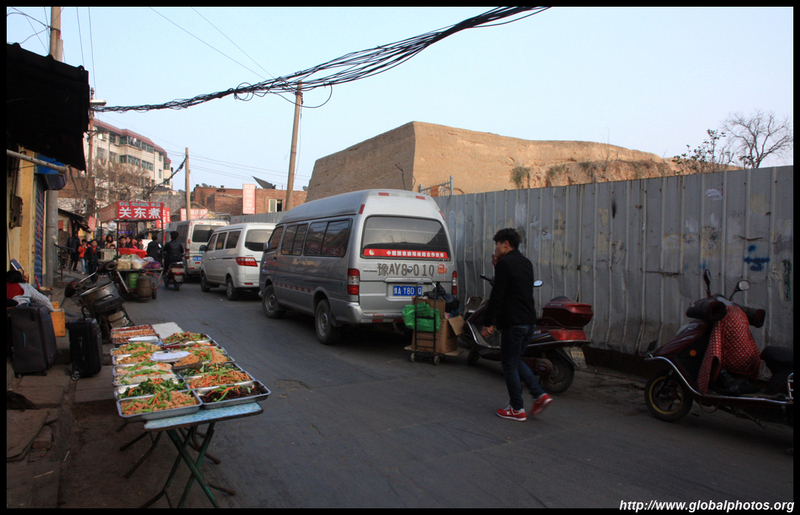 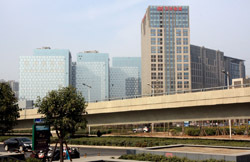 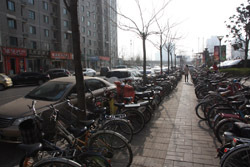 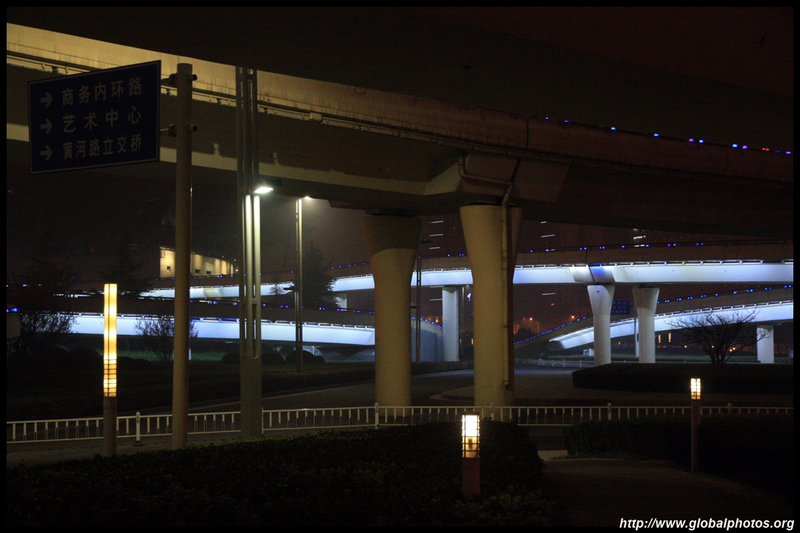 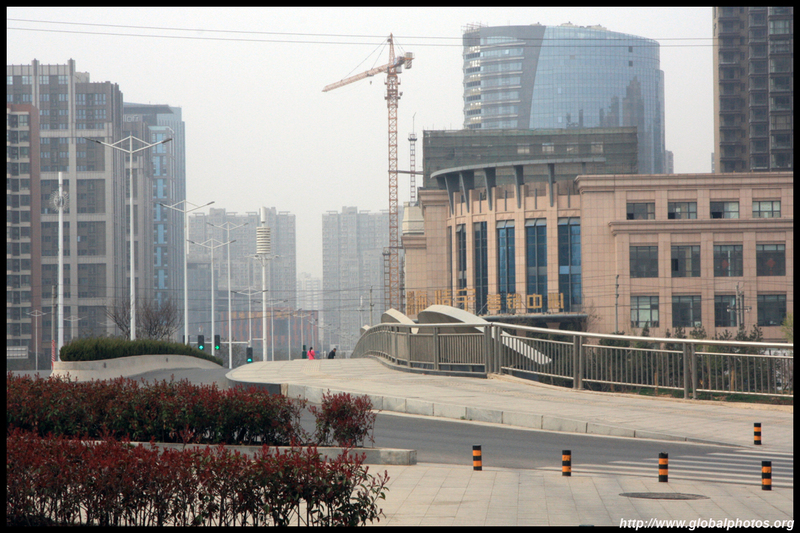 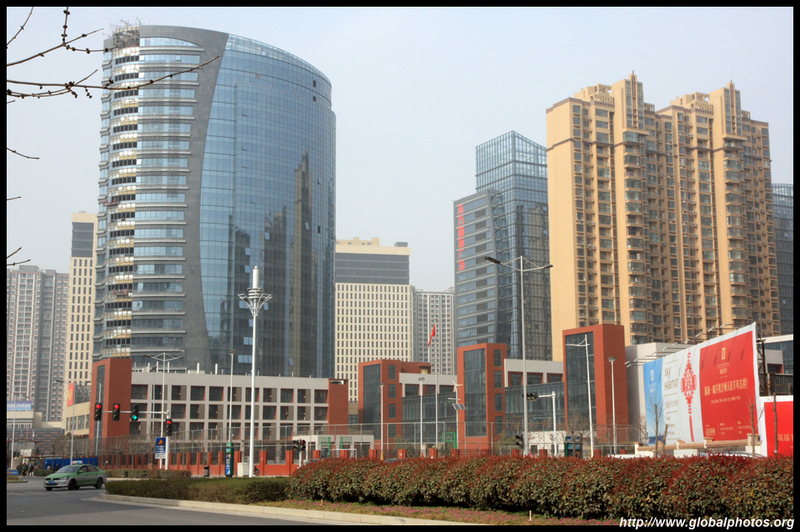 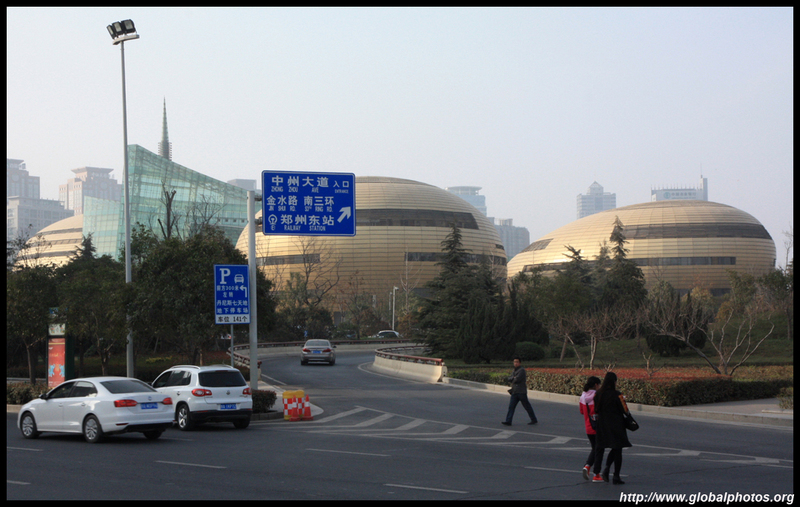 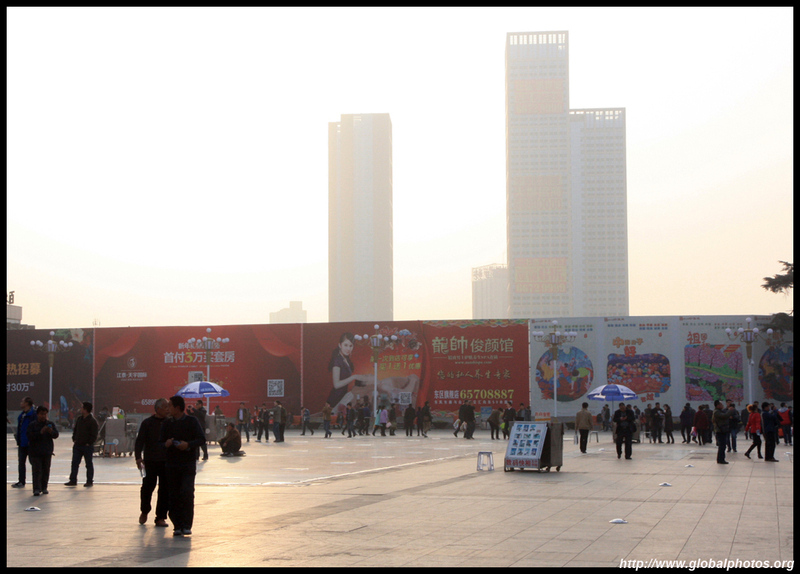 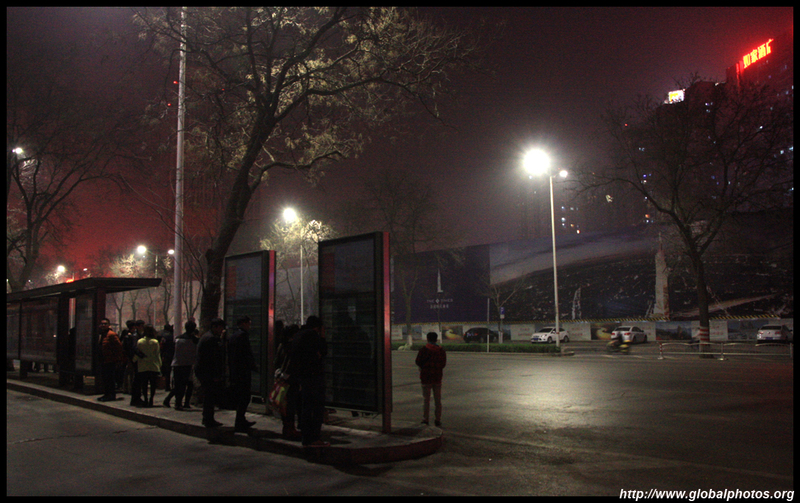 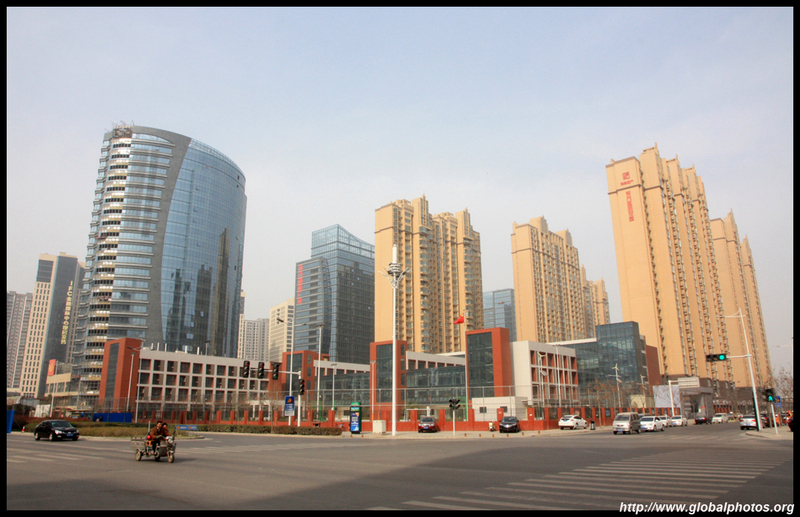 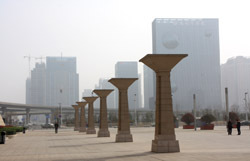 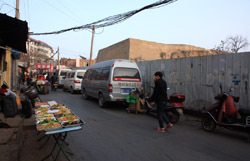 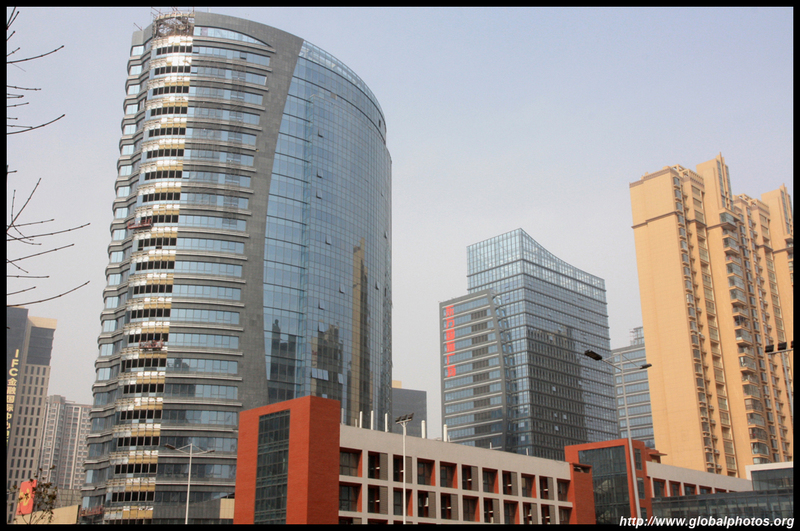 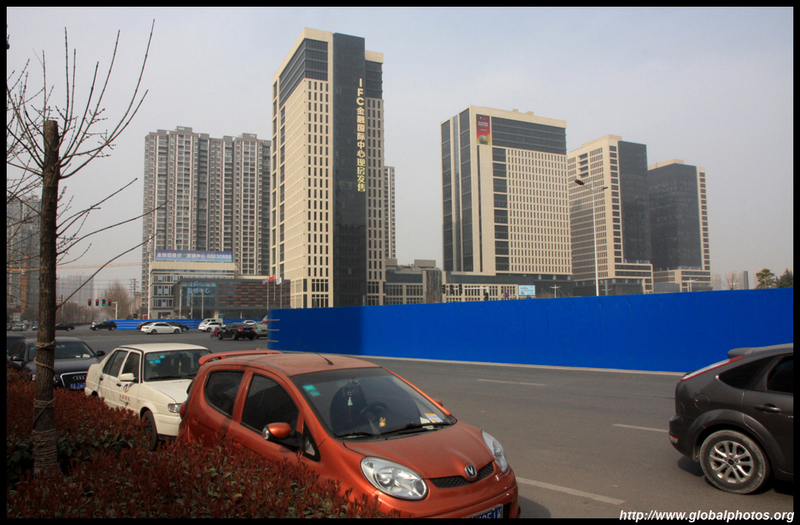 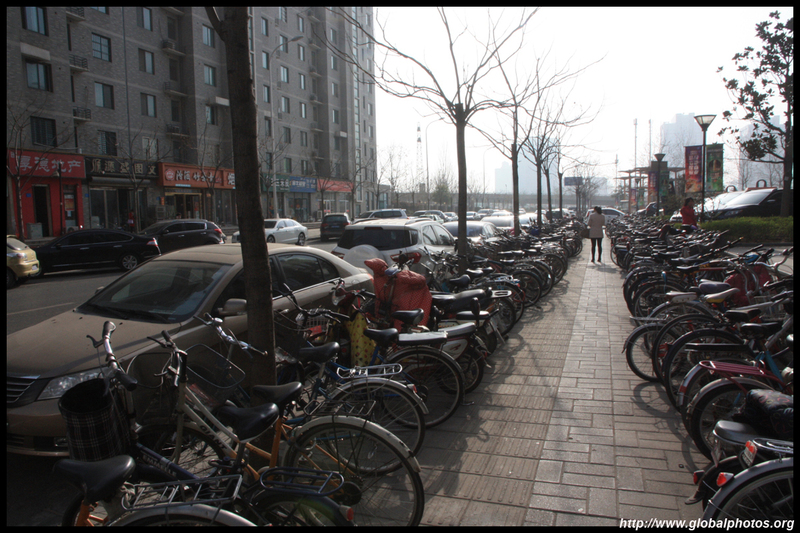 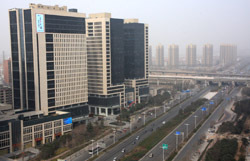 The area around the new Zhengzhou East train station is brand new and planned, with large streets and open spaces but somewhat devoid of people. 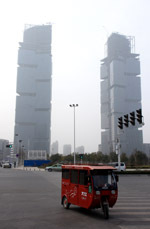 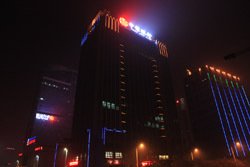 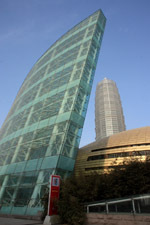 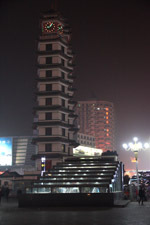 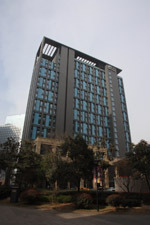 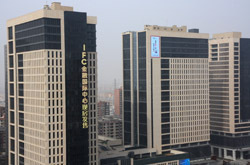 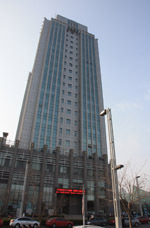 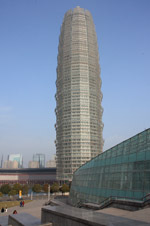 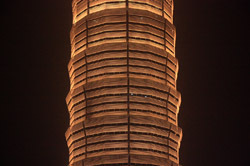 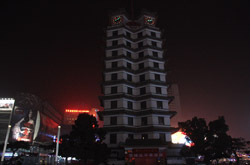 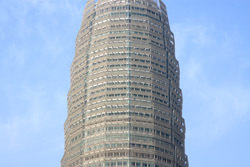 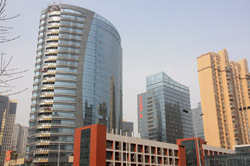 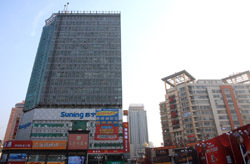 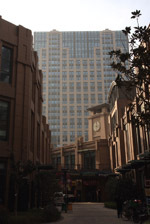 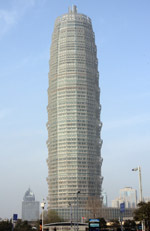 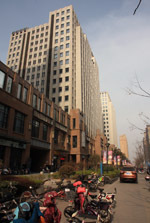 Greenland Plaza is the tallest building in the city. 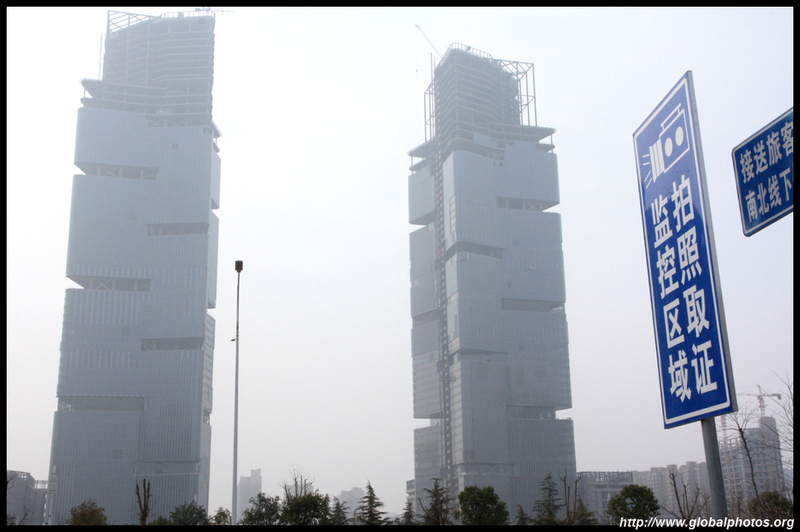 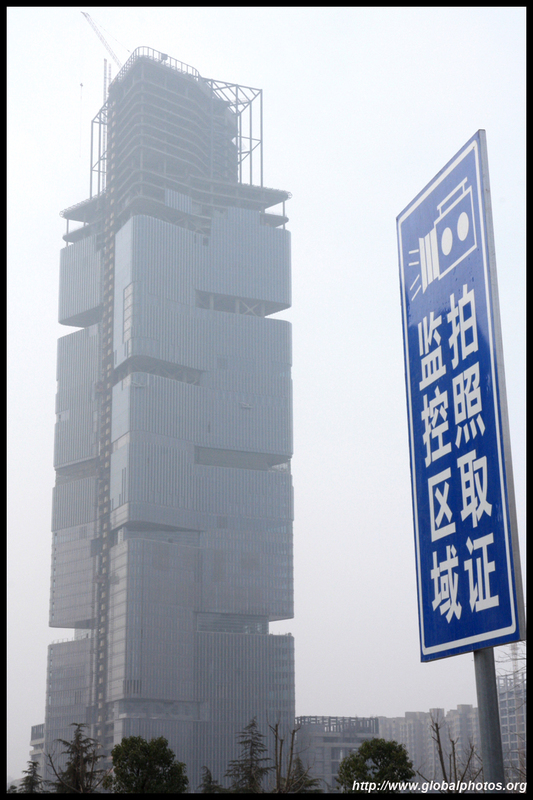 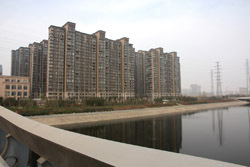 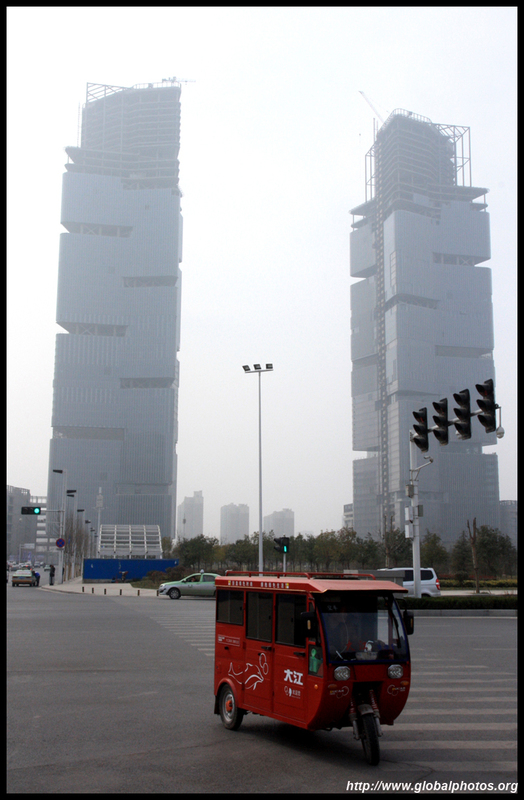 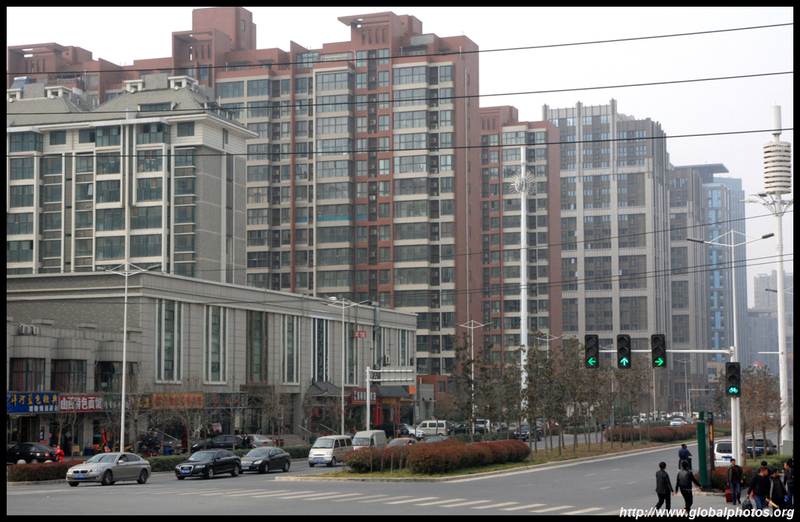 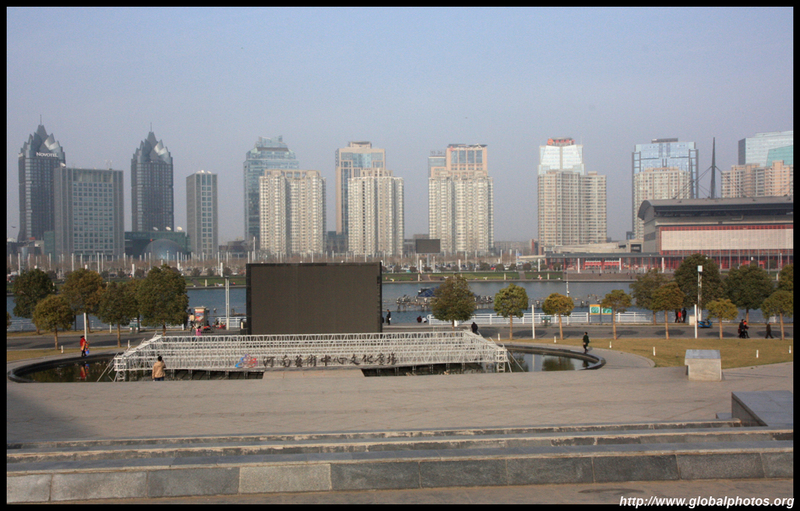 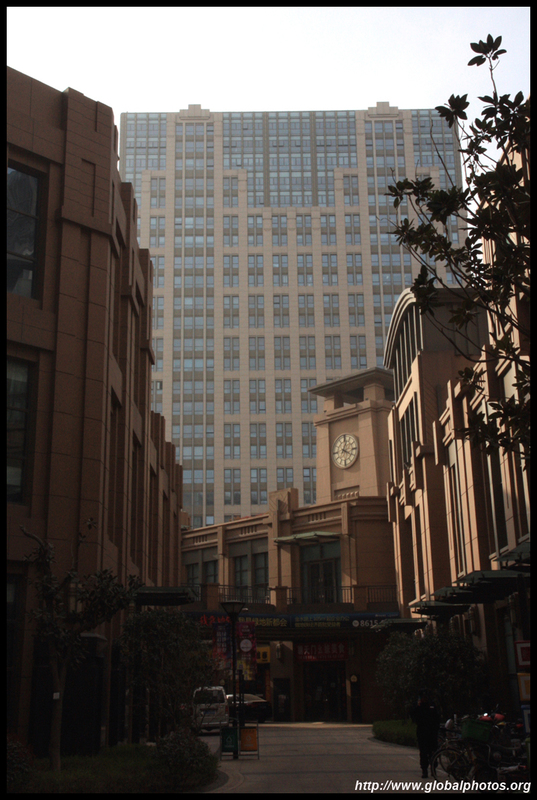 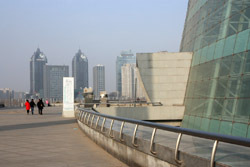 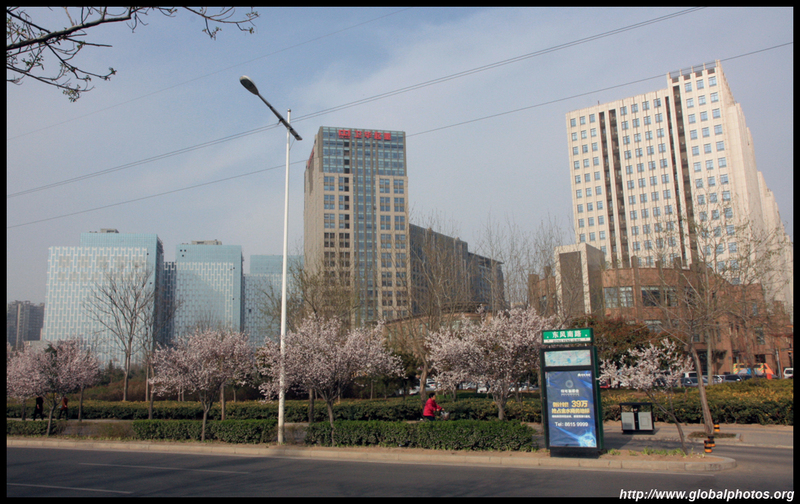 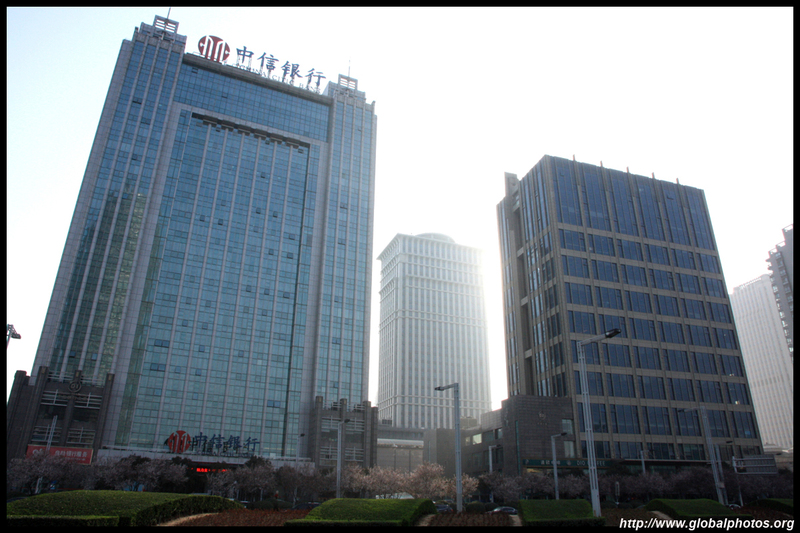 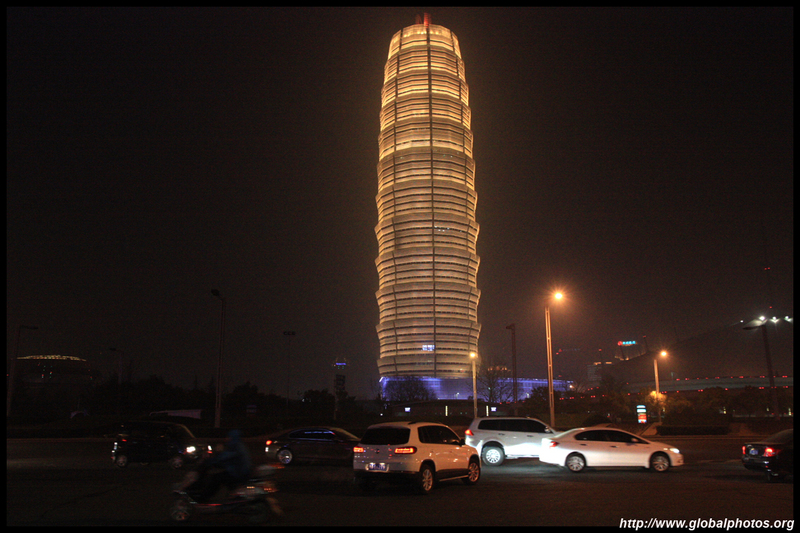 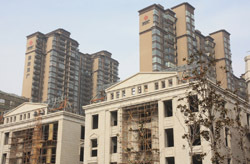 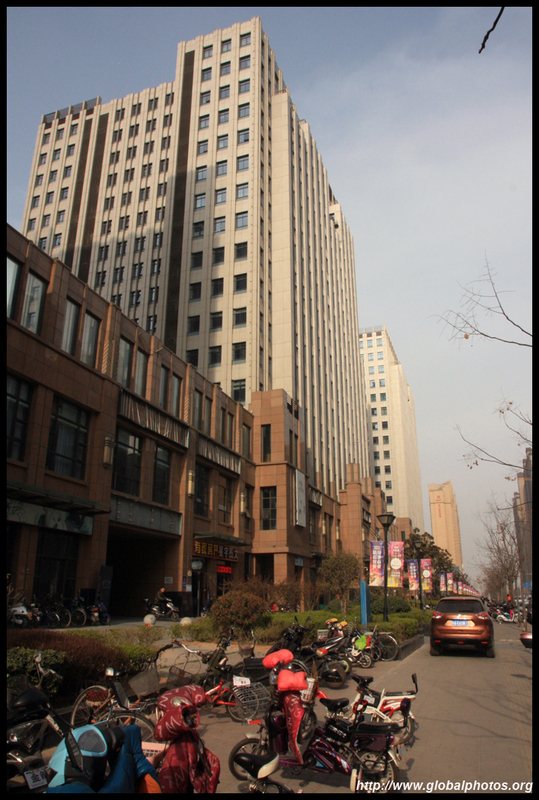 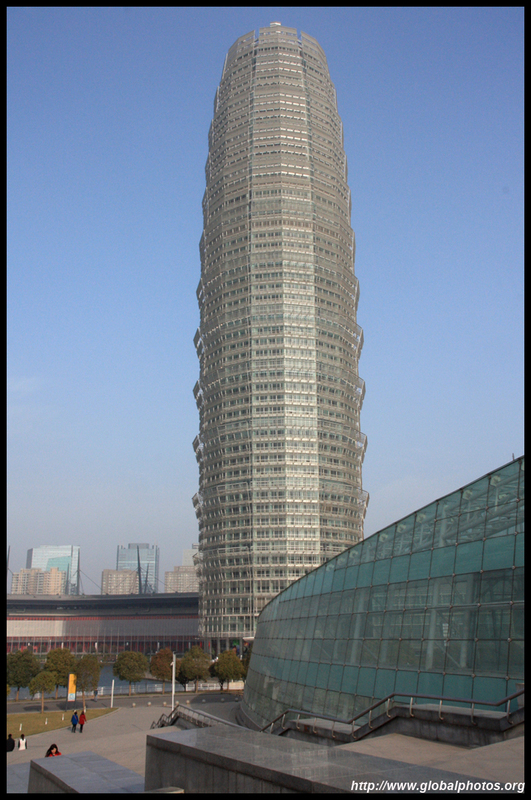 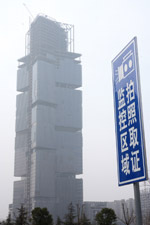 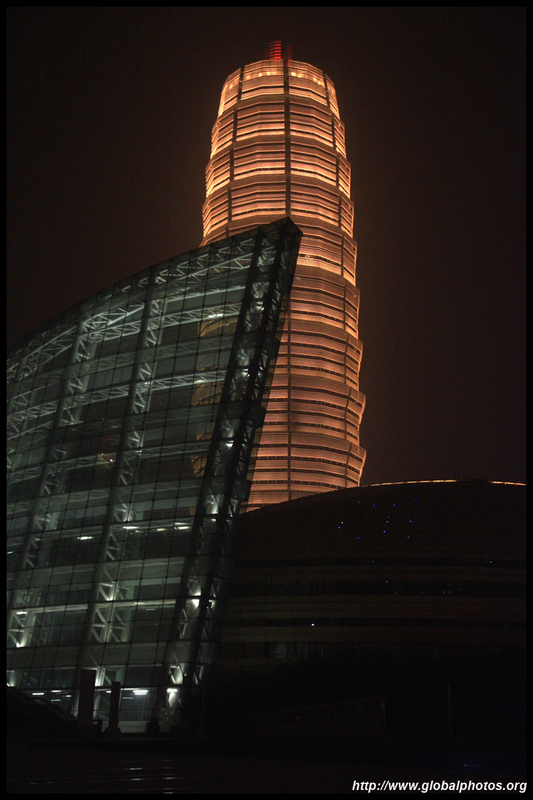 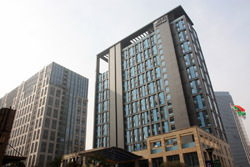 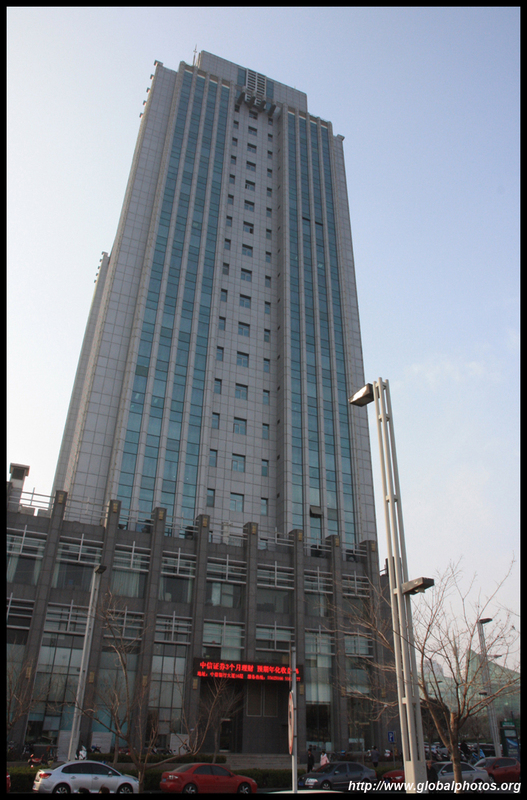 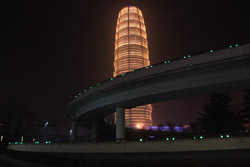 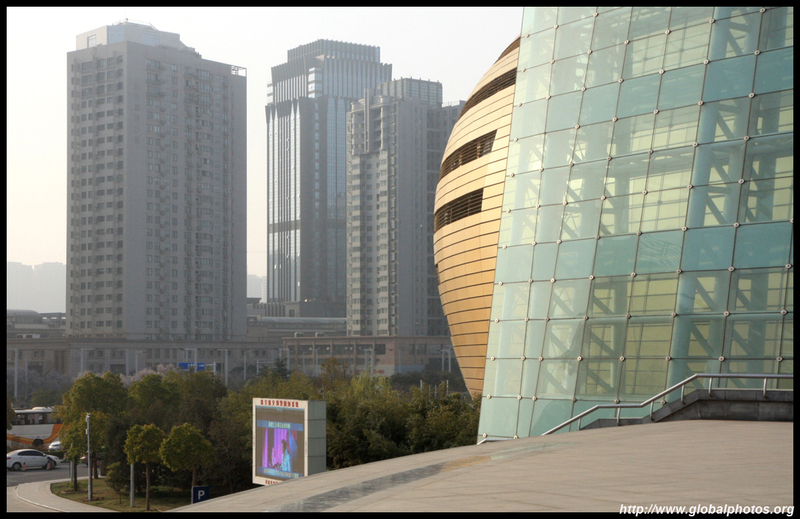 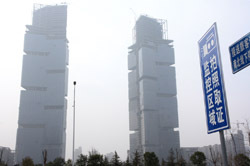 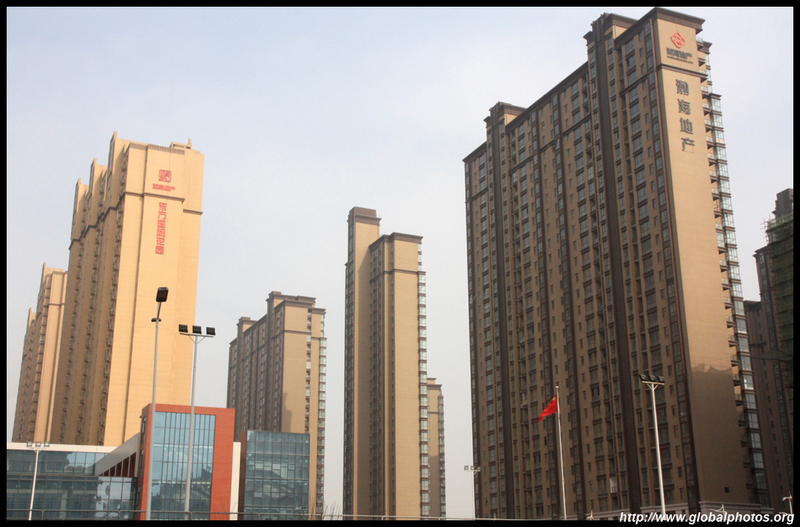 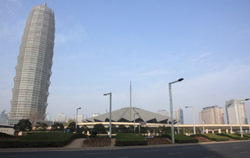 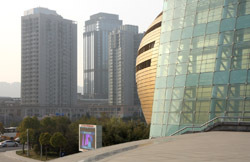 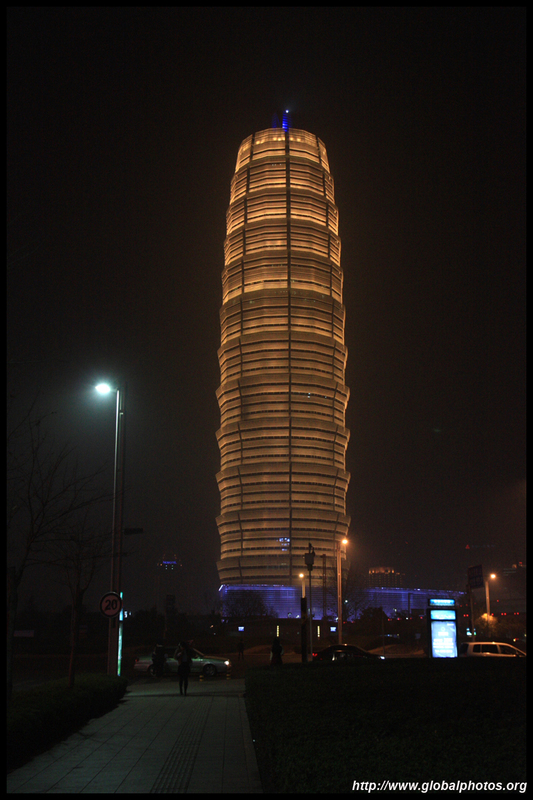 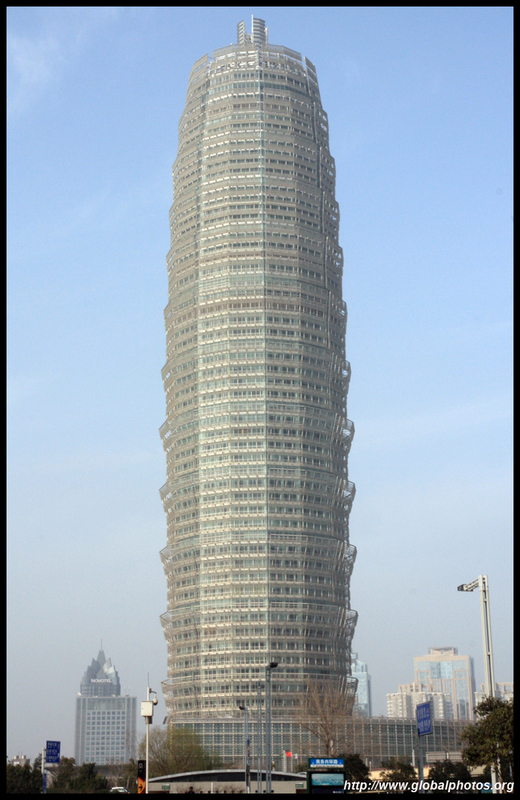 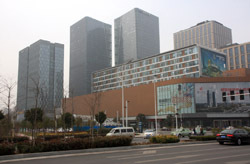 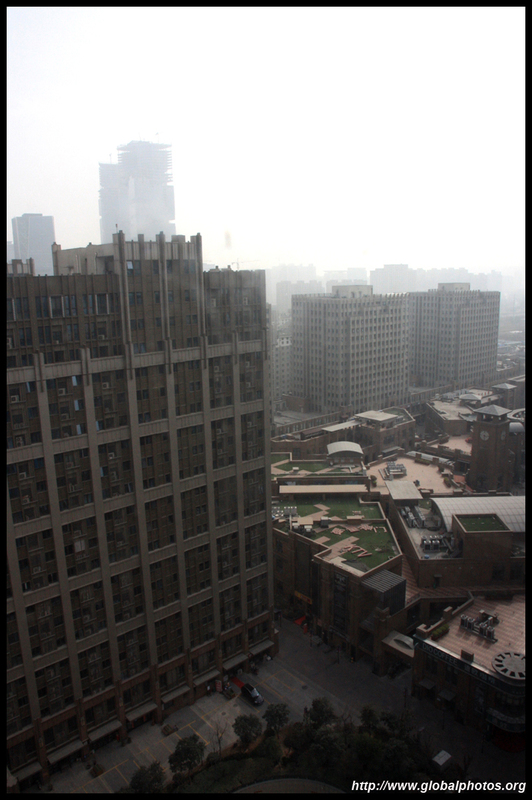 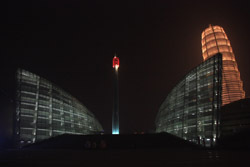 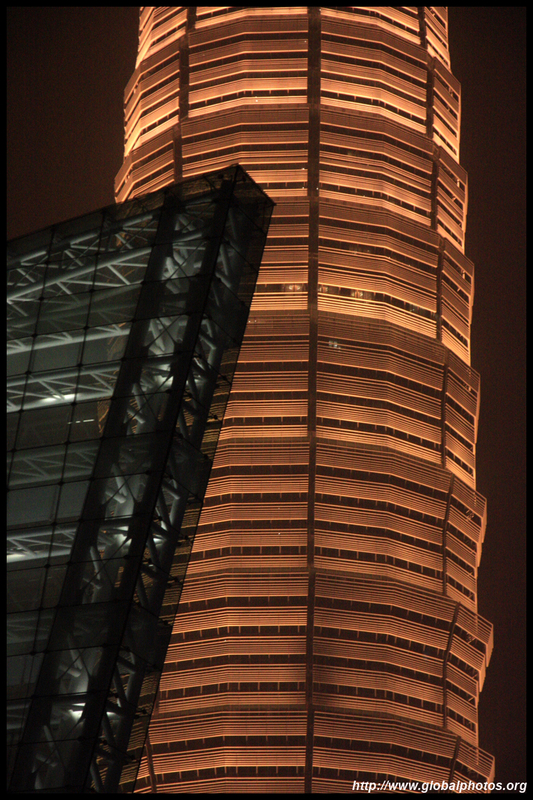 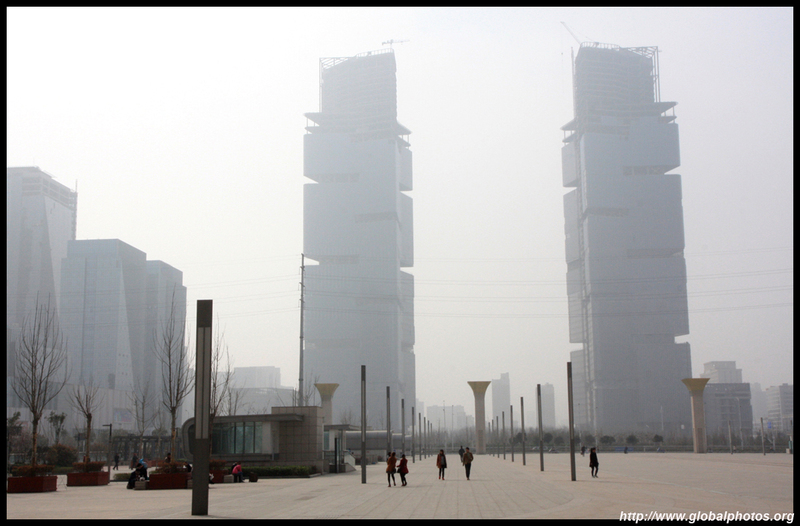 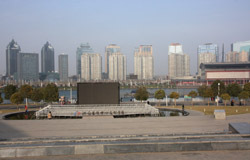 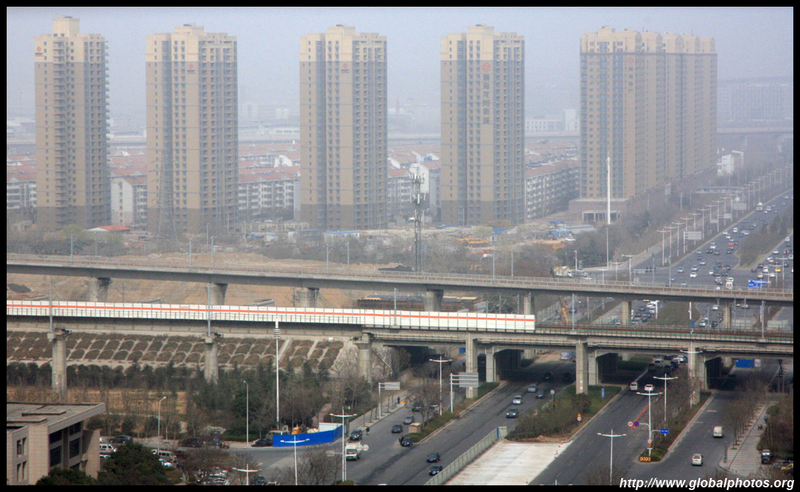 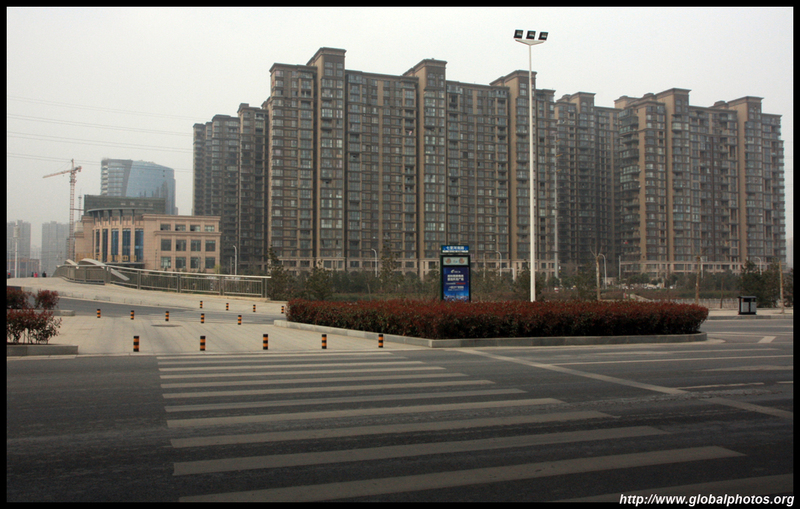 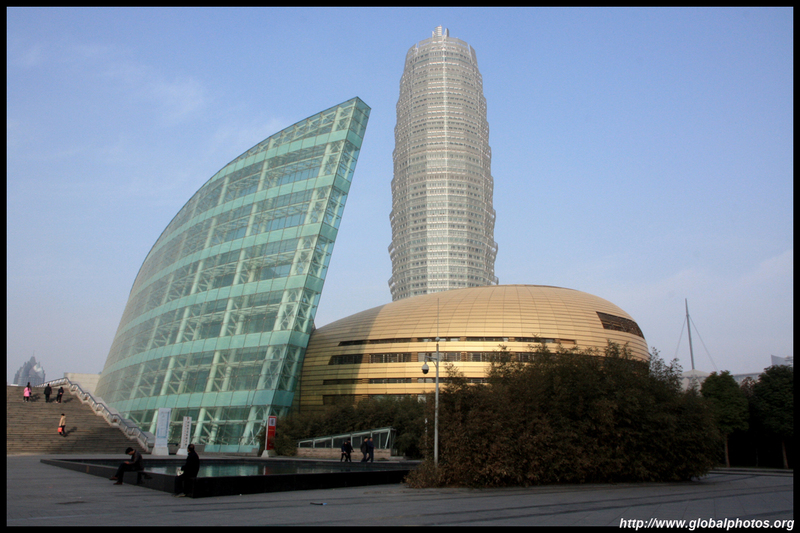 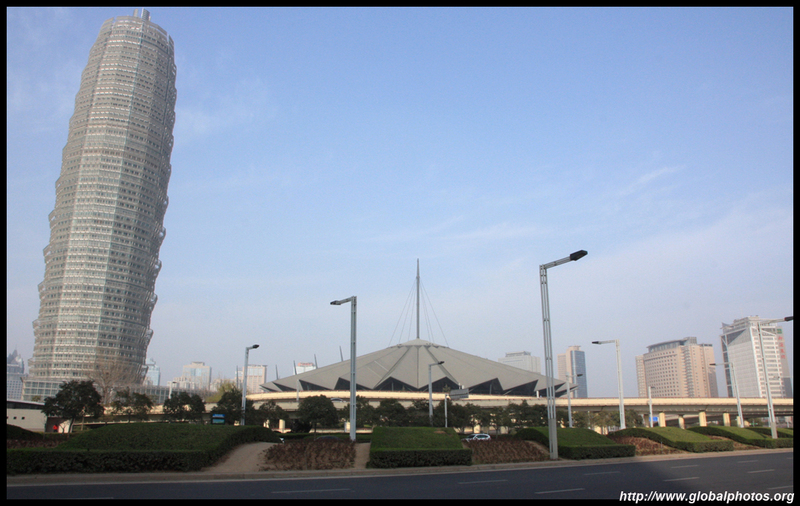 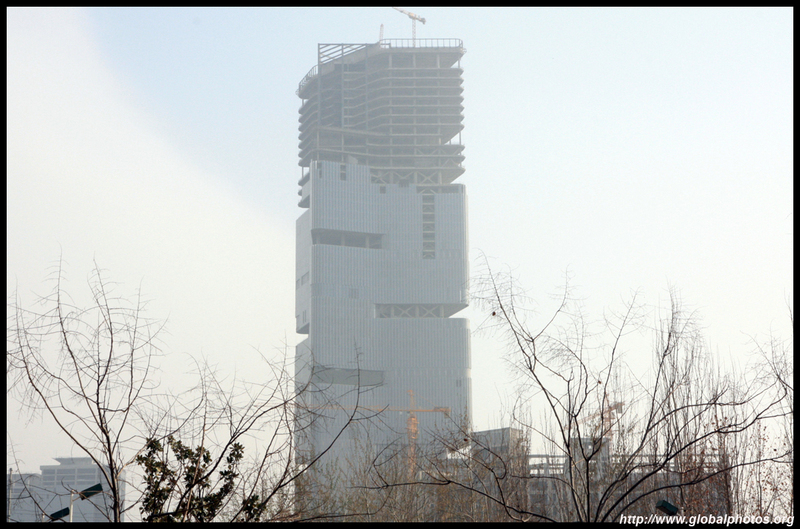 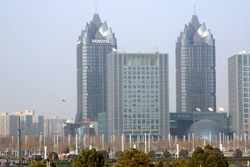 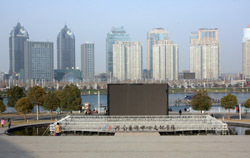 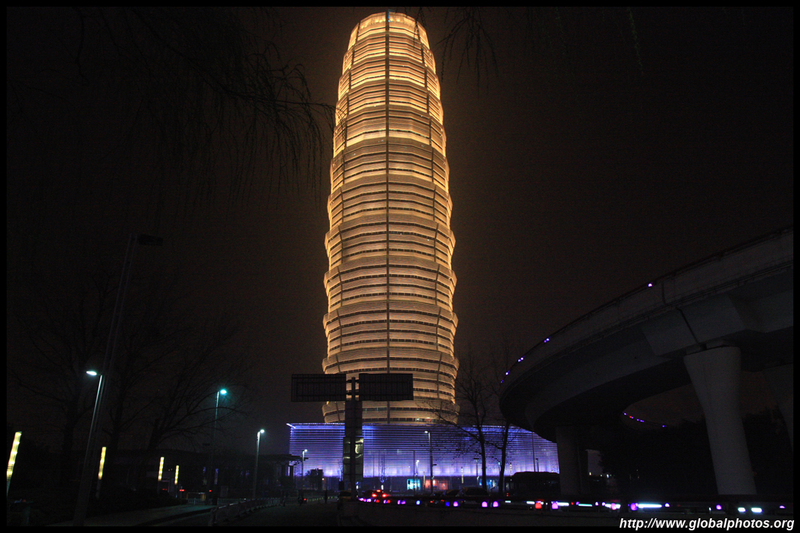 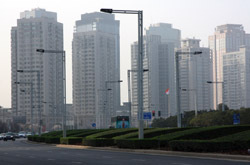 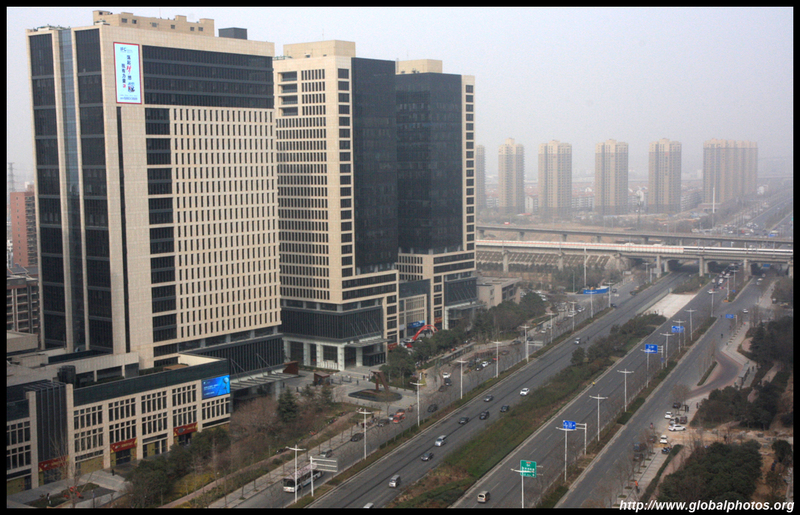 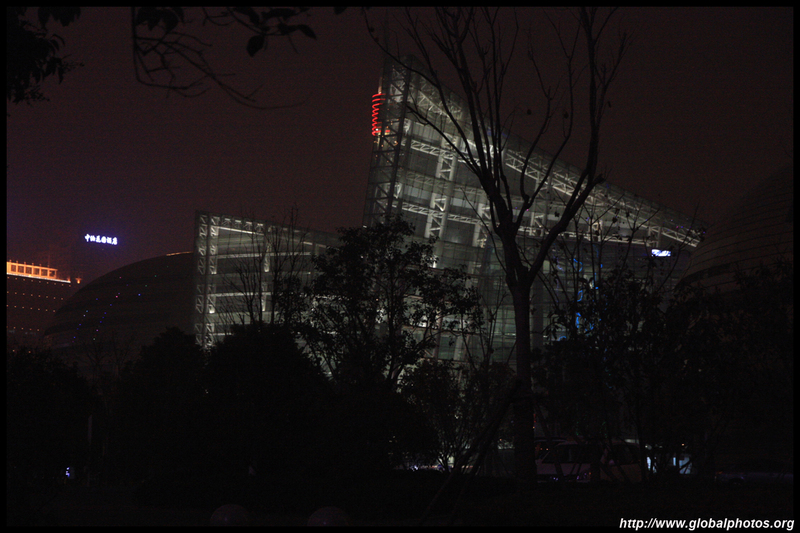 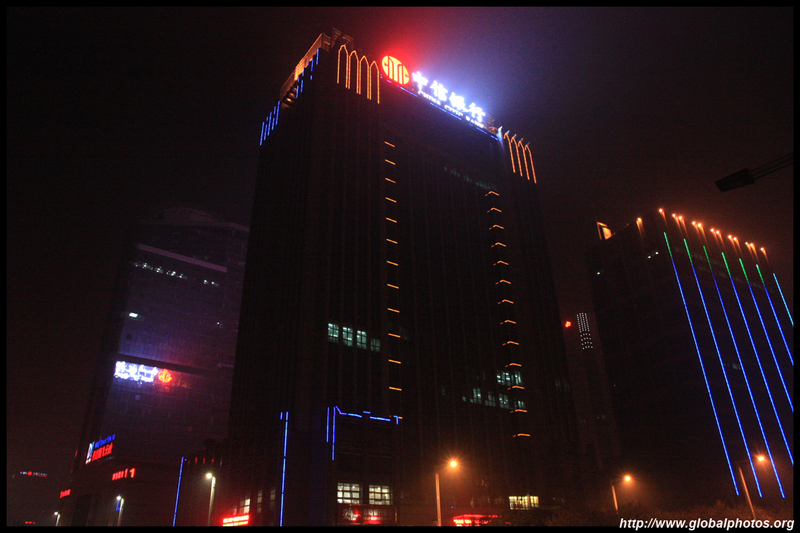 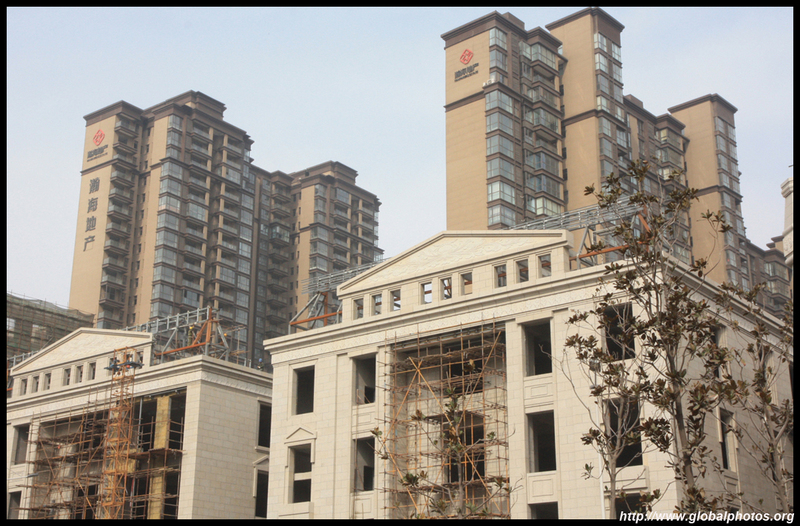 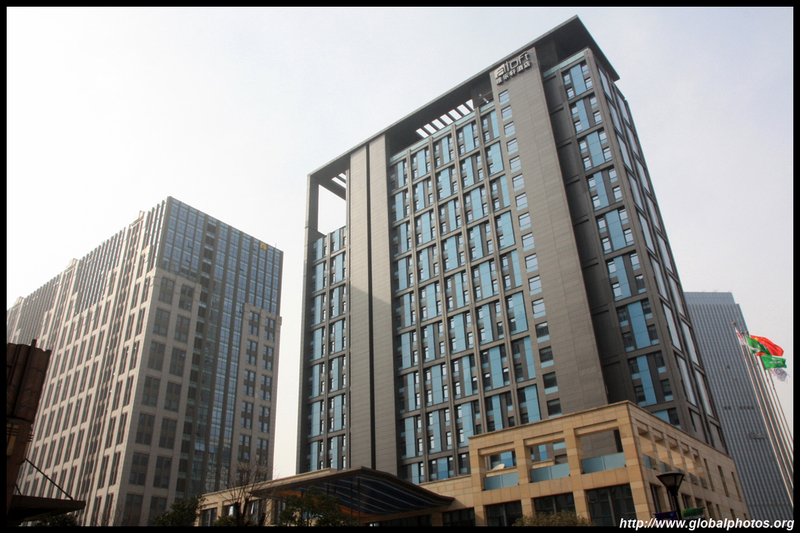 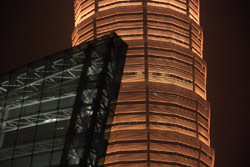 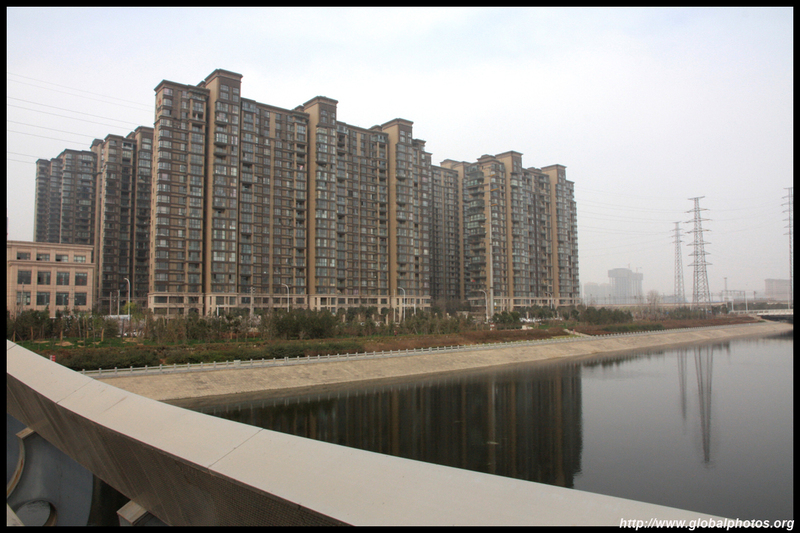 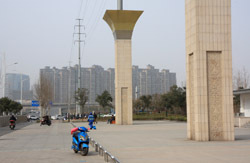 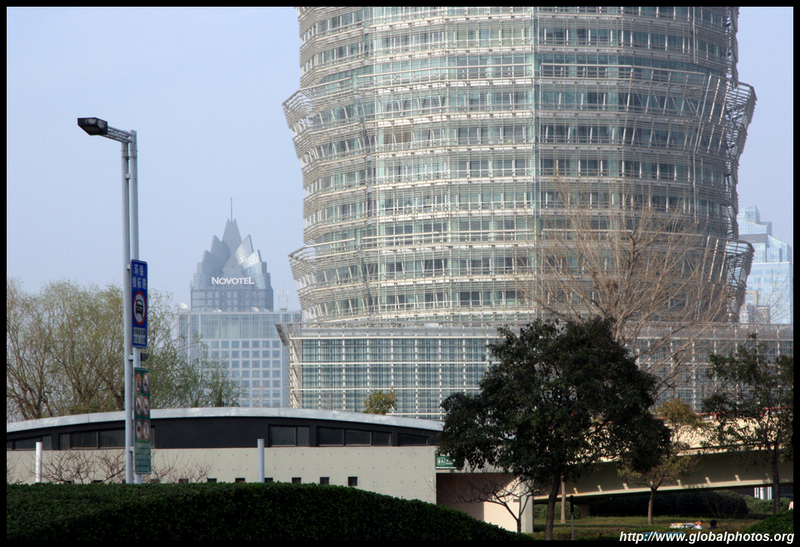 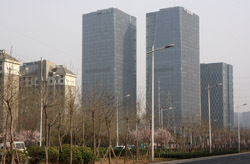 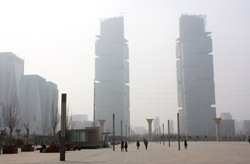 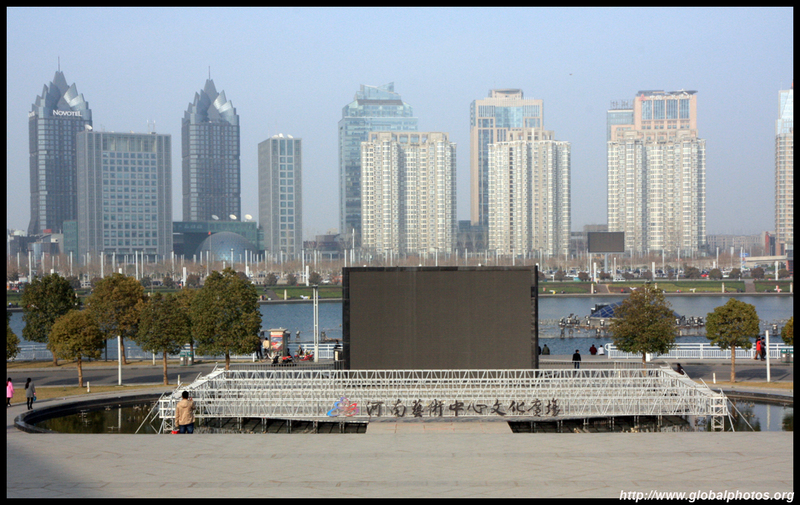 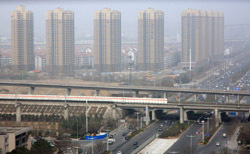 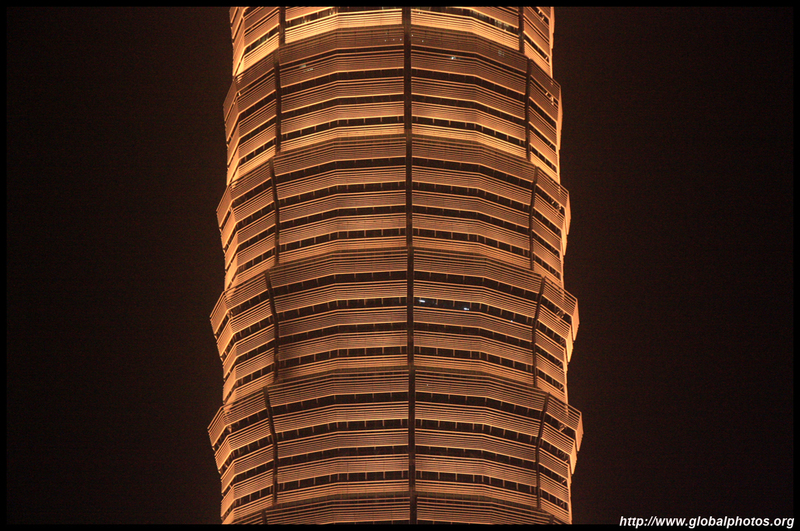 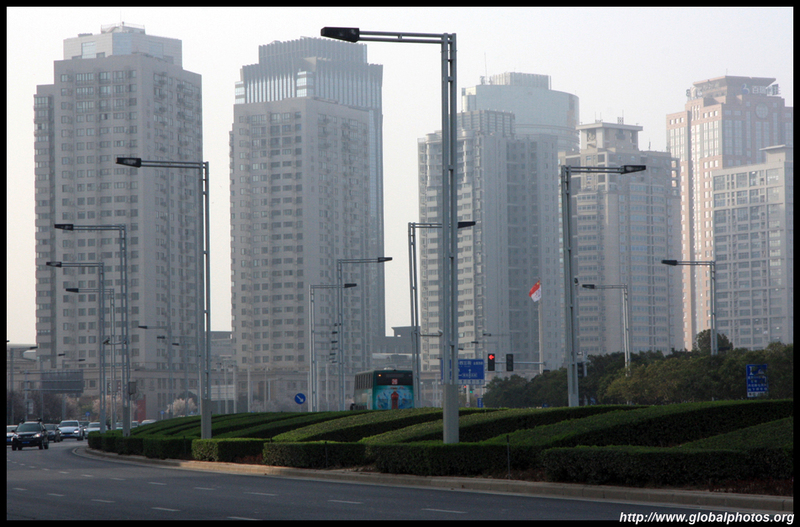 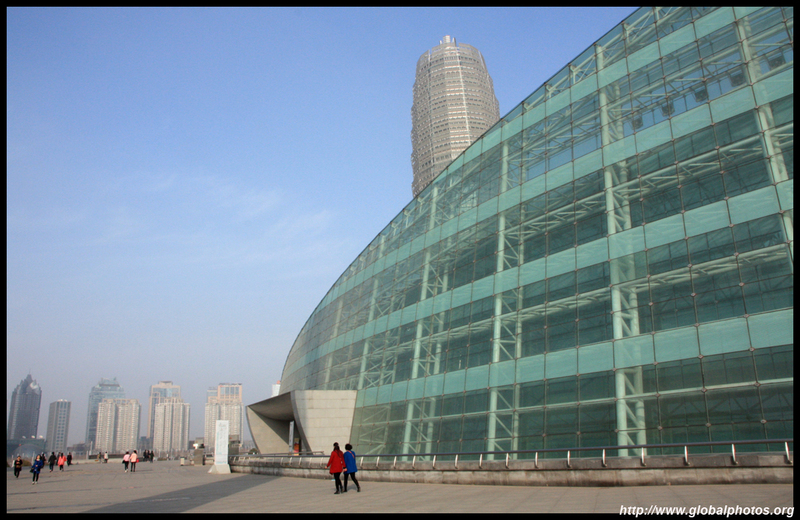 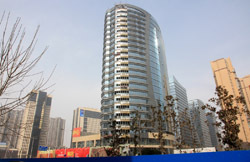 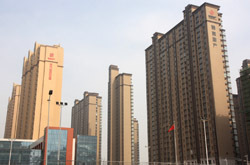 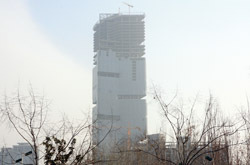 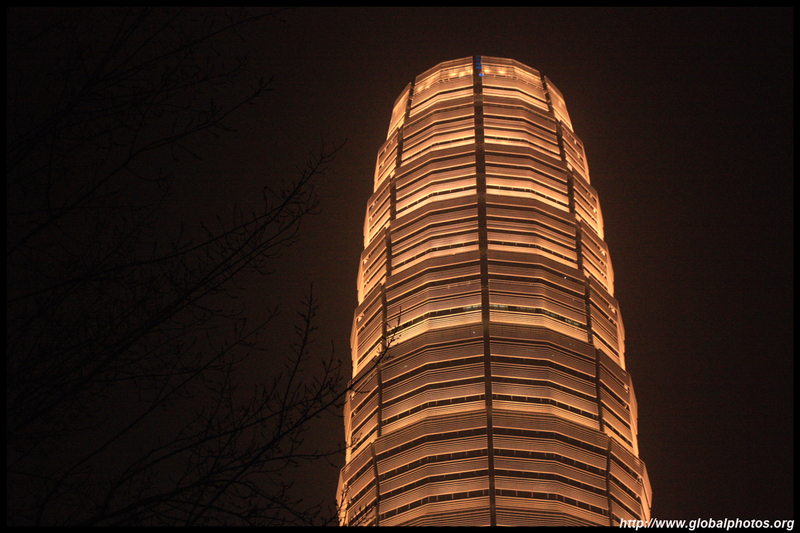 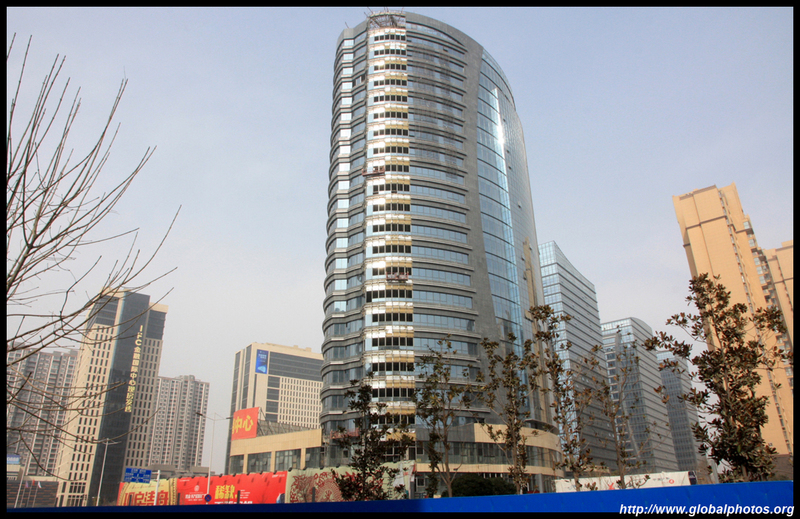 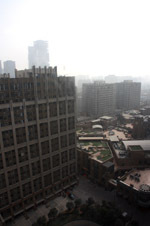 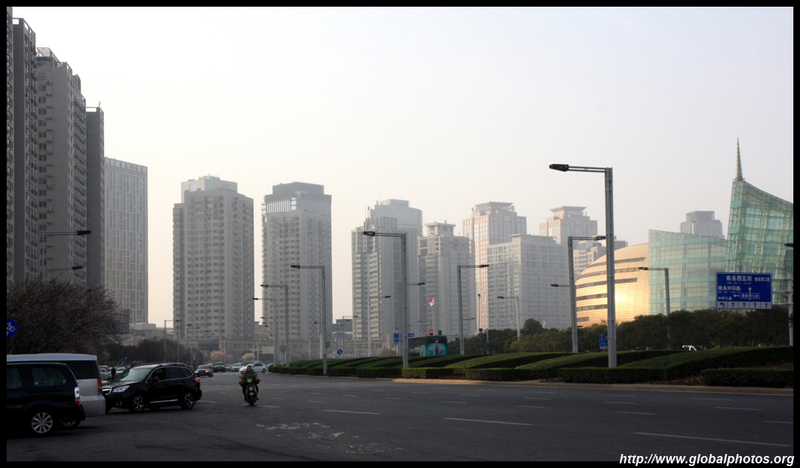 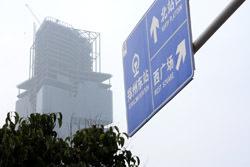 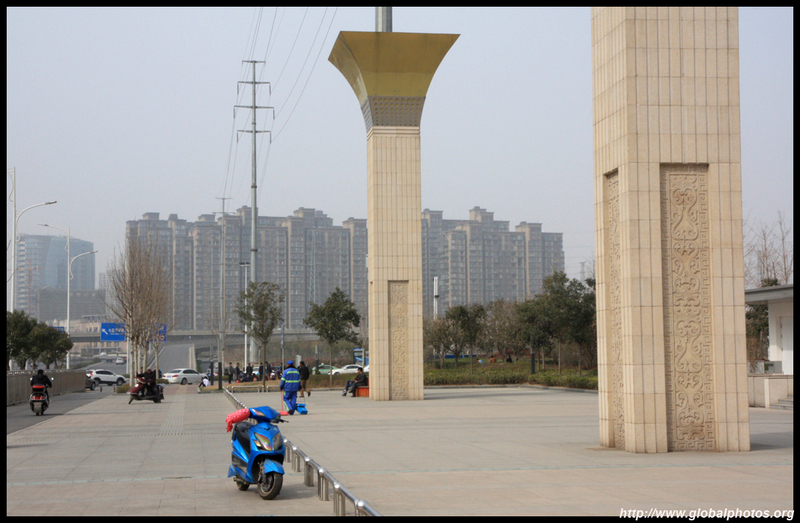 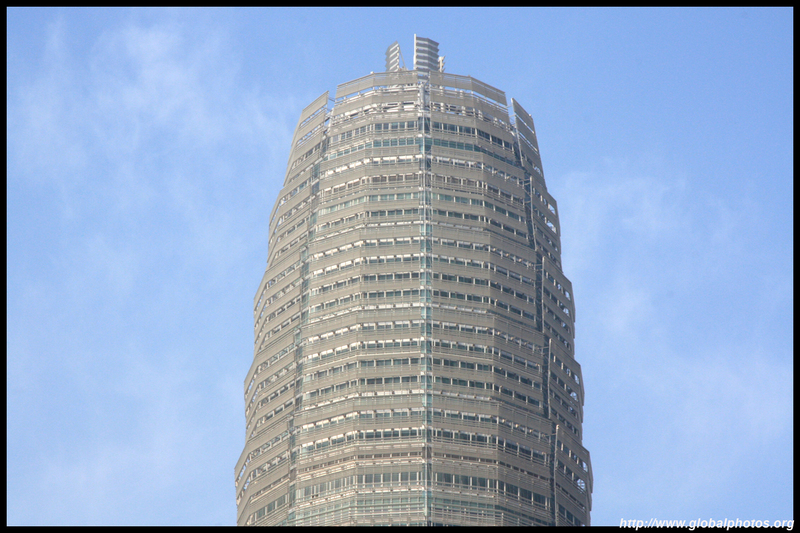 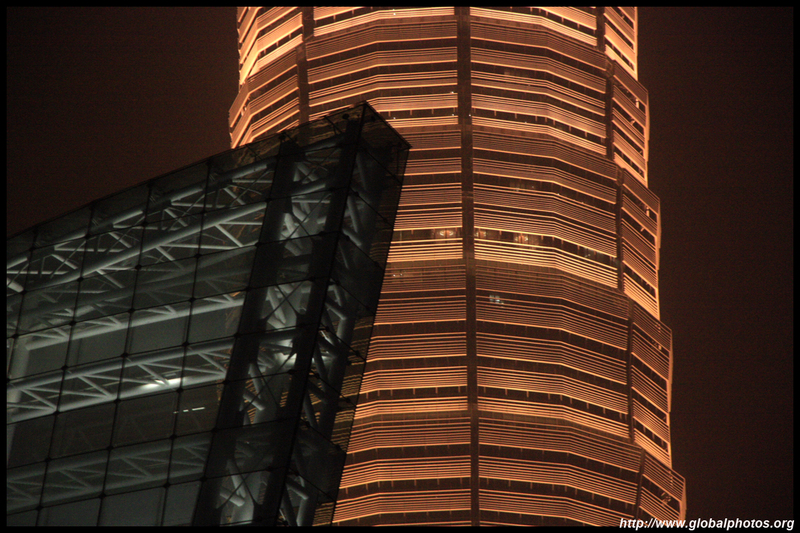 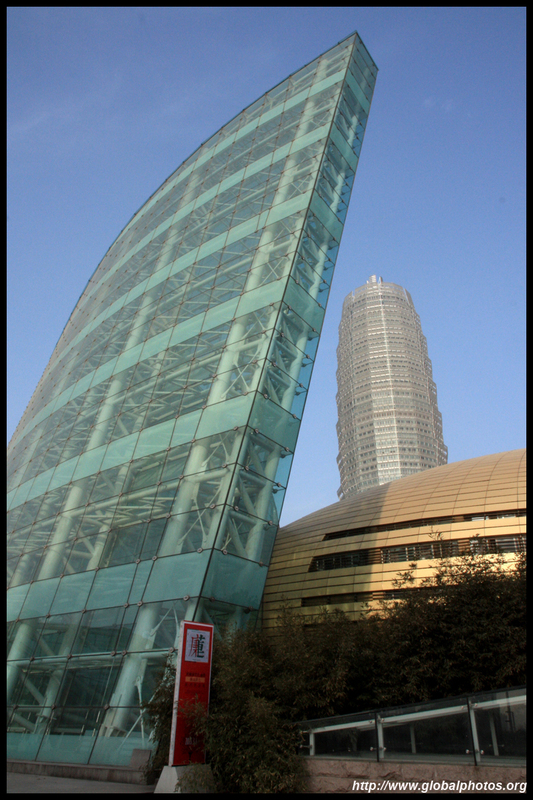 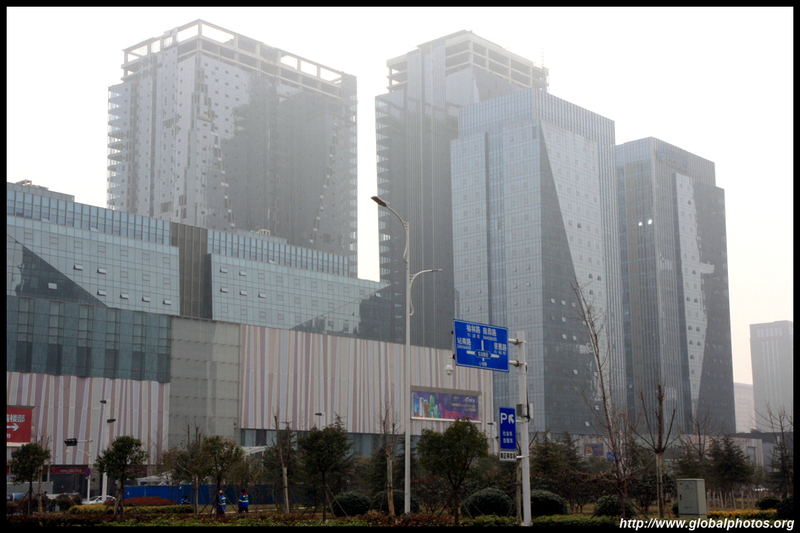 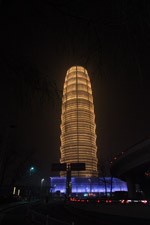 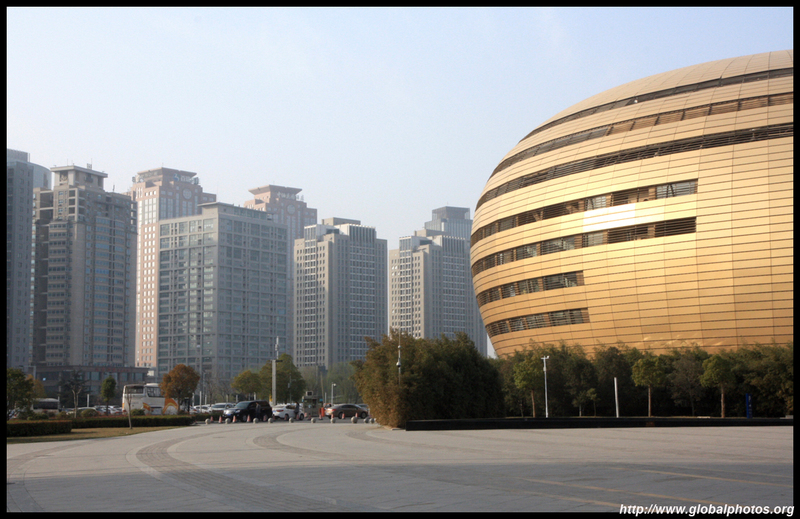 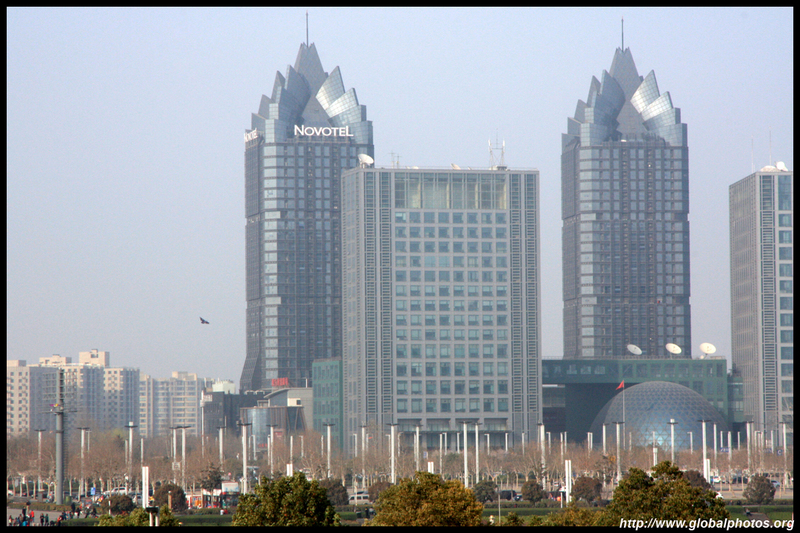 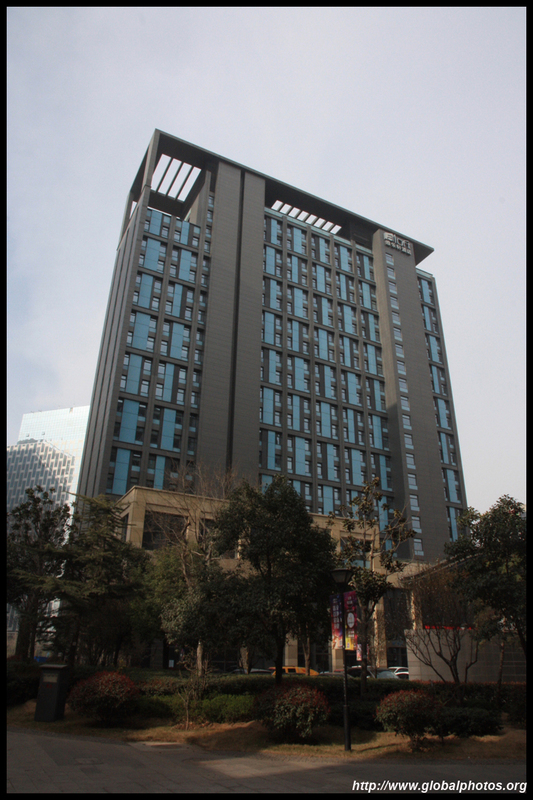 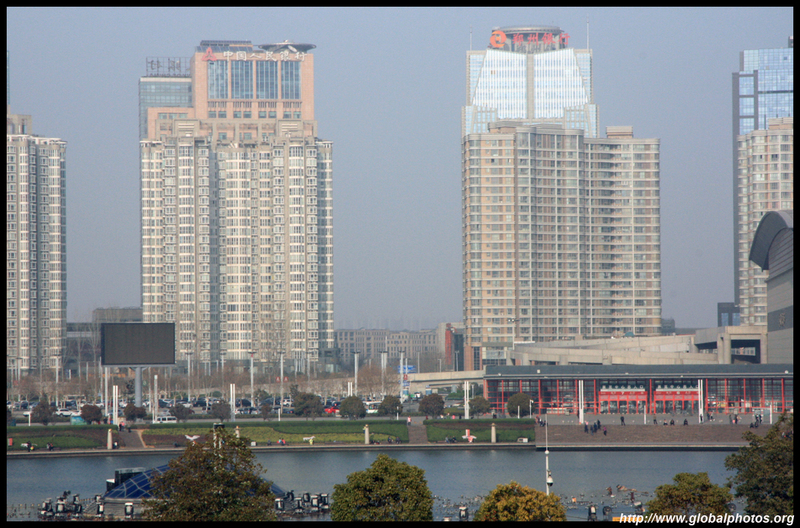 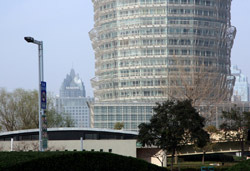 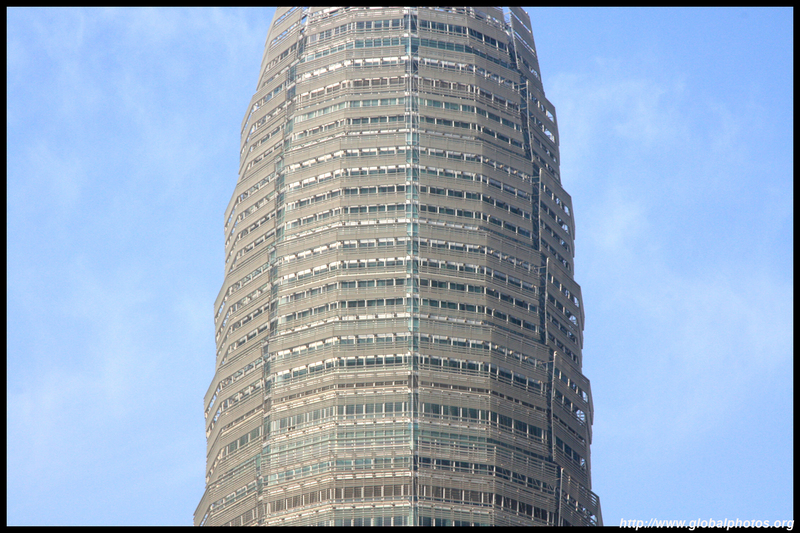 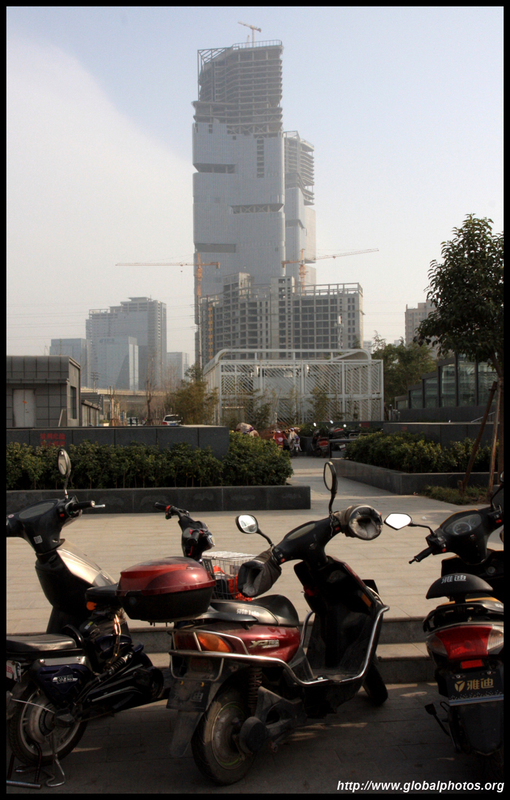 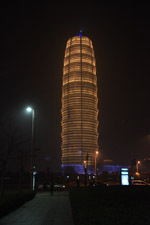 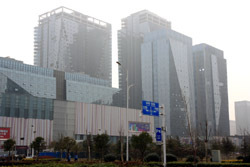 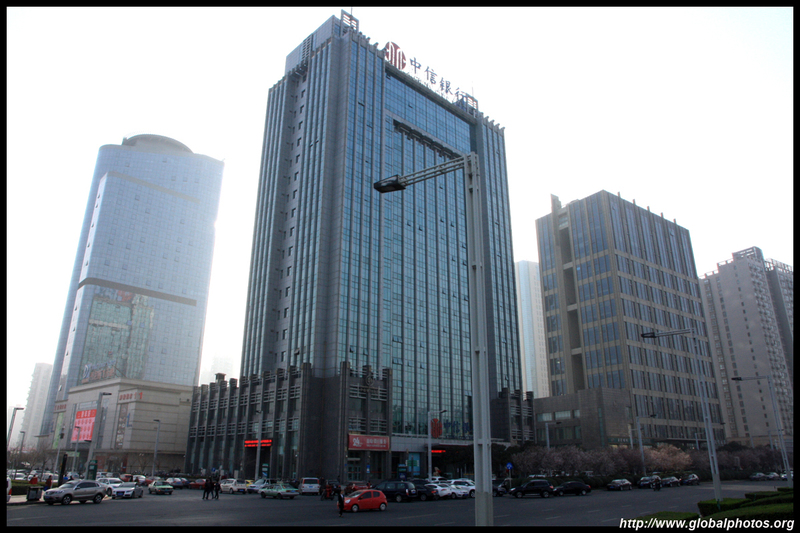 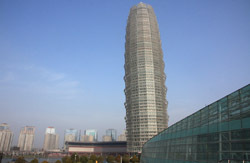 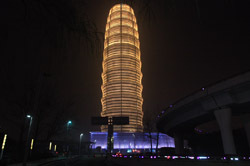 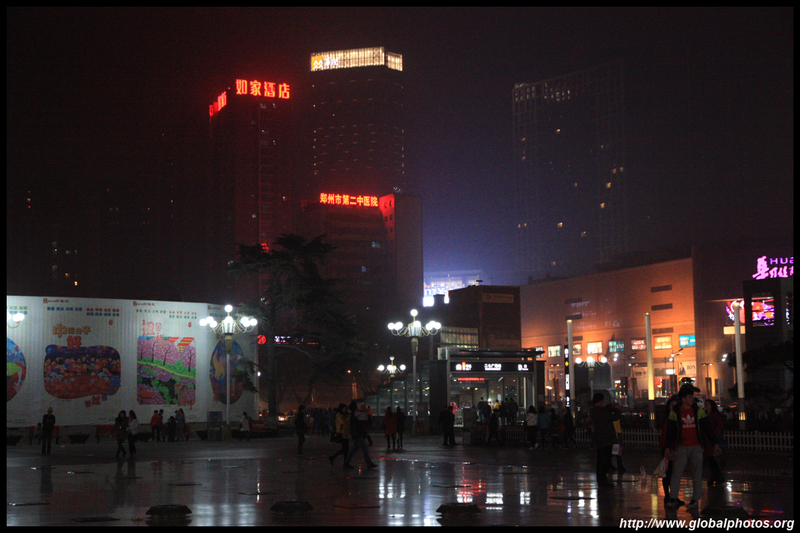 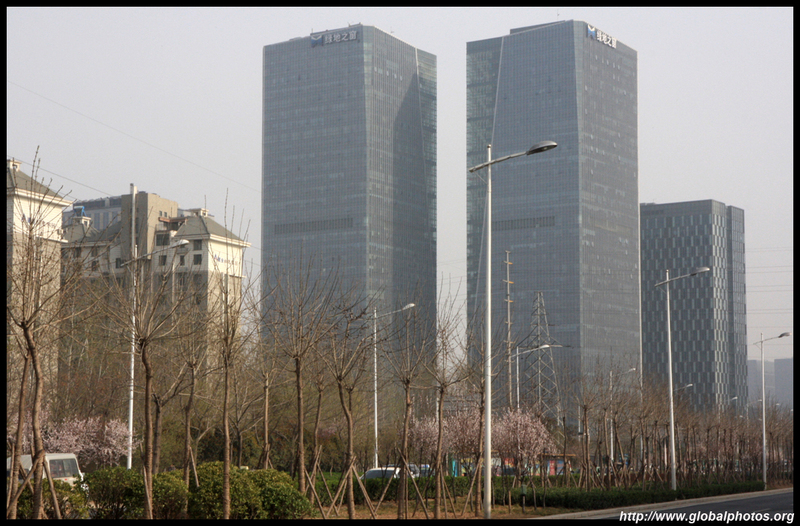 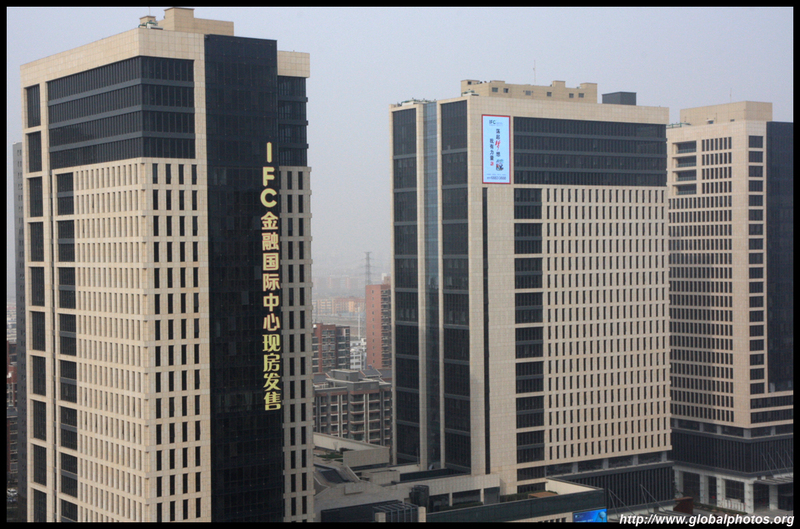 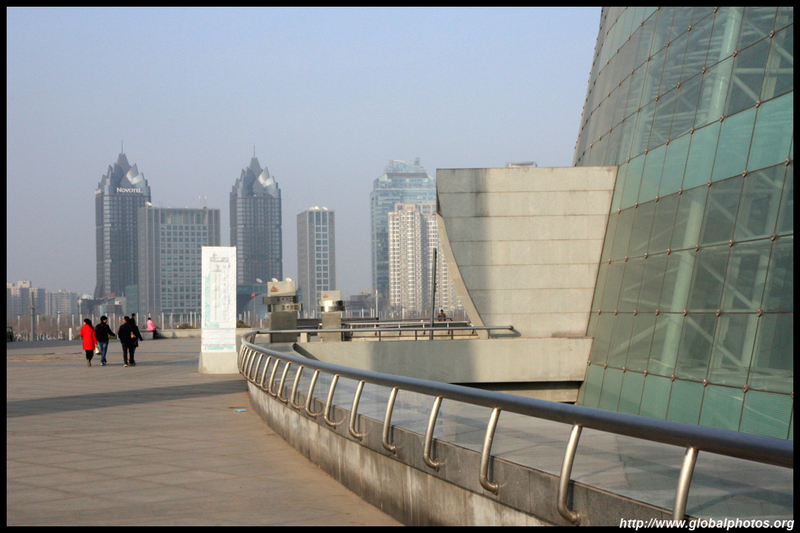 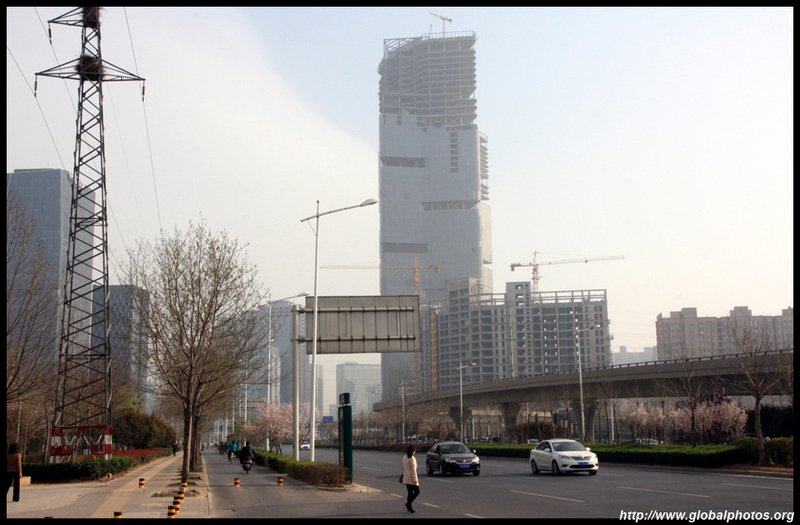 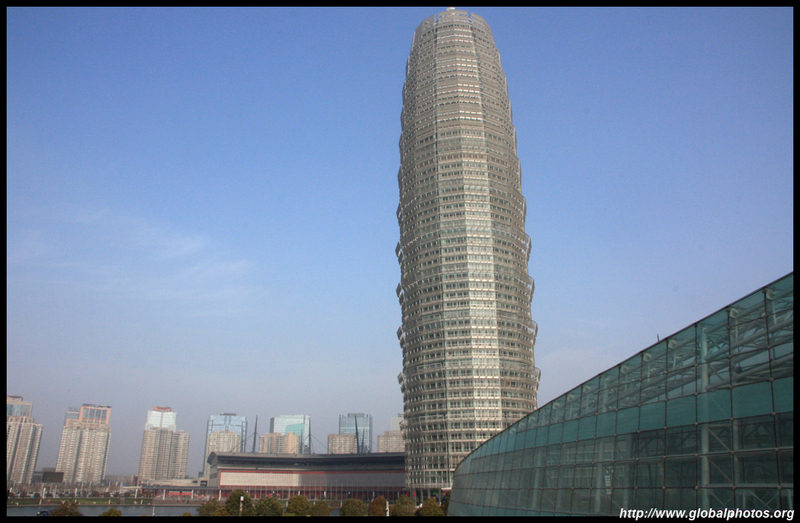 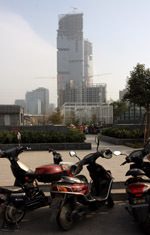 Standing at 280m tall and set amidst a park, it is an example of a planned community much like Futian and Pudong. 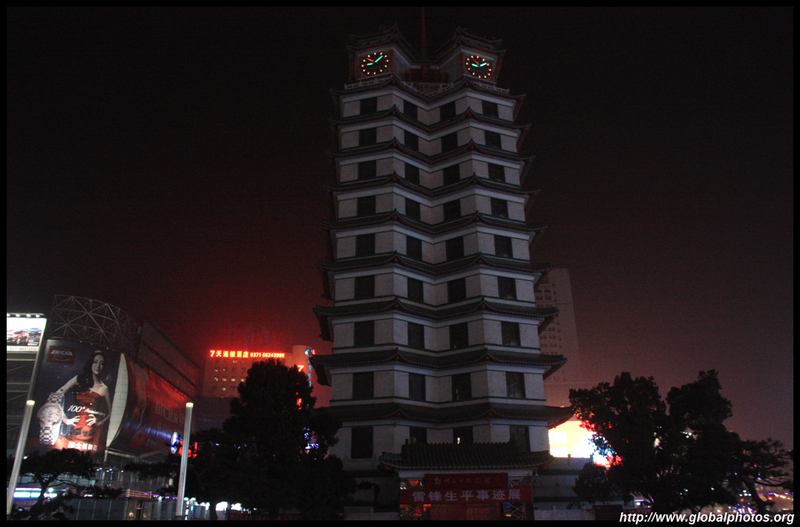 Return at night and see a completely different scene. 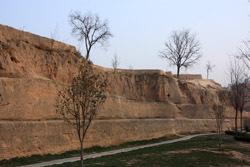 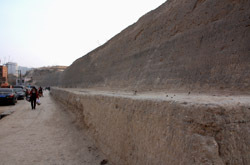 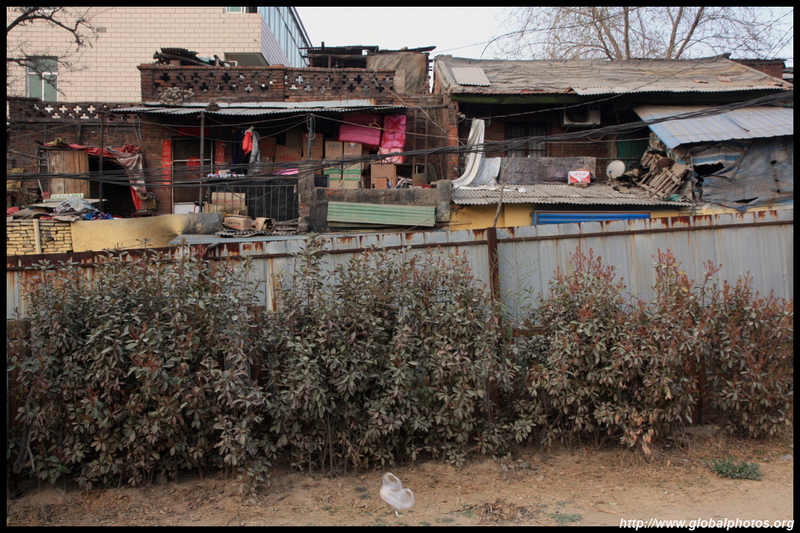 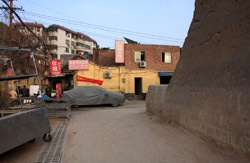 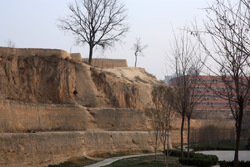 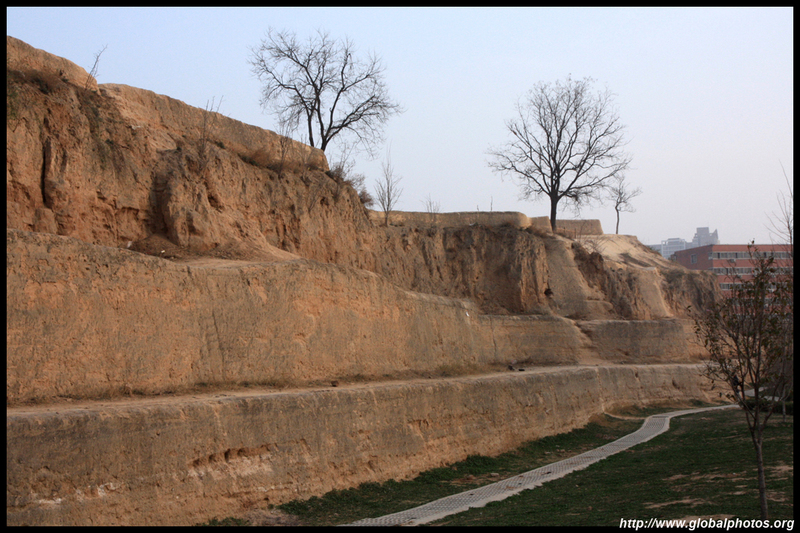 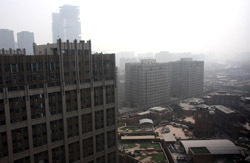 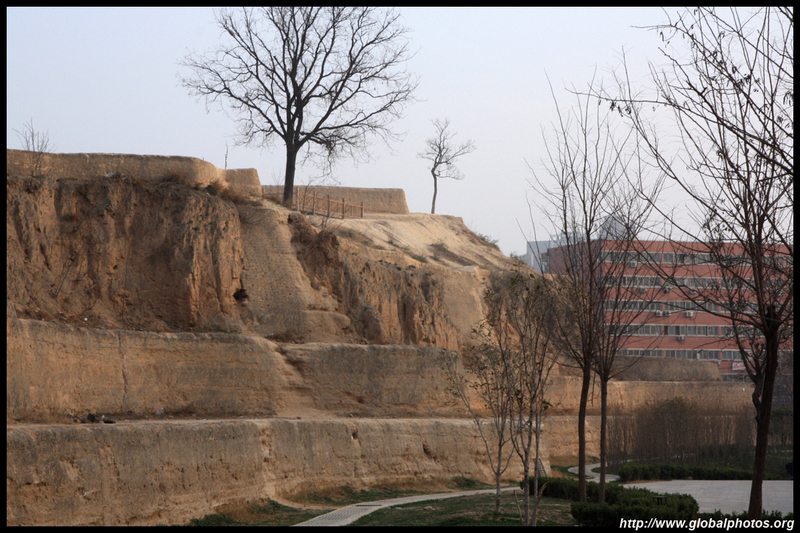 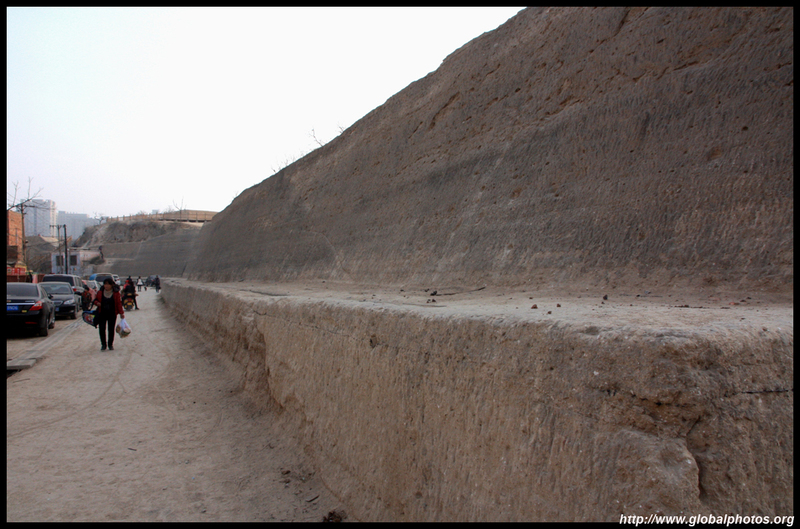 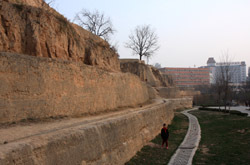 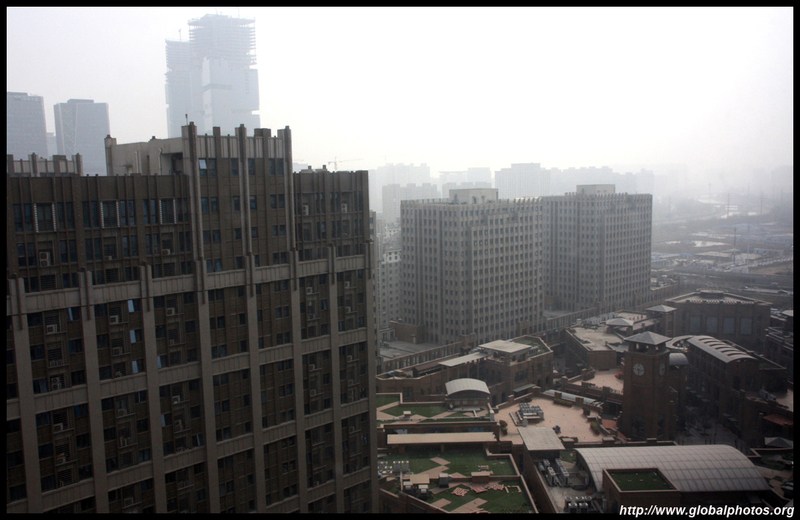 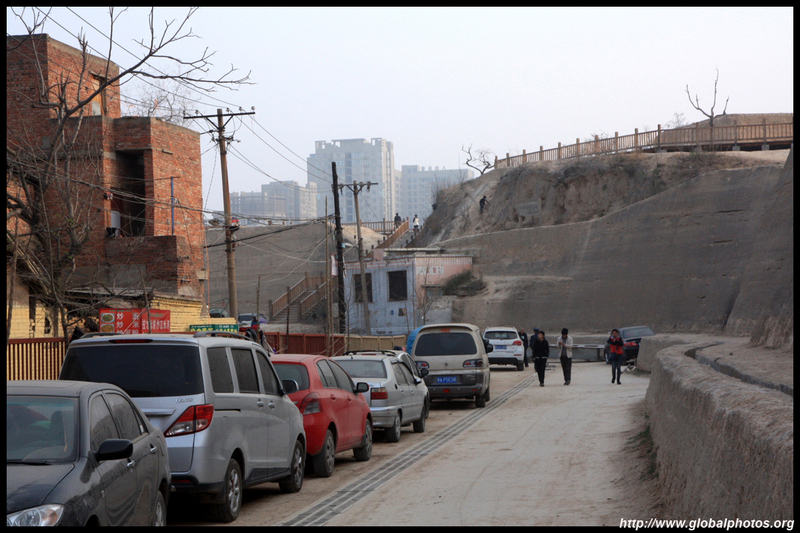 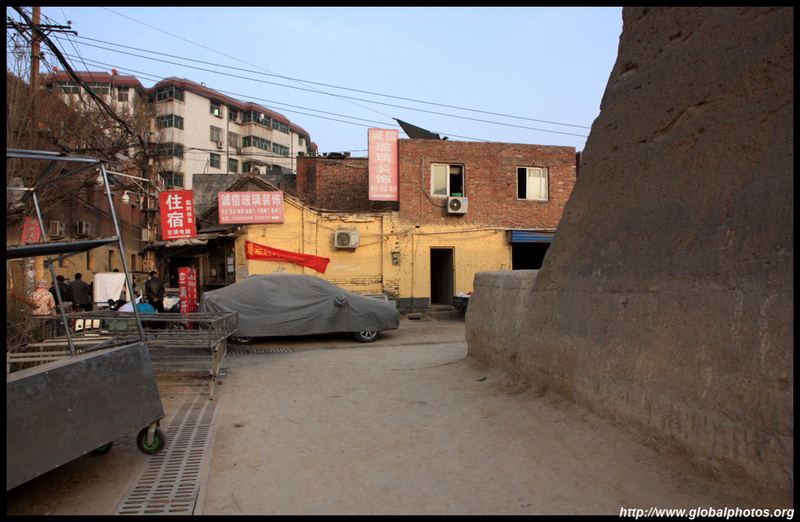 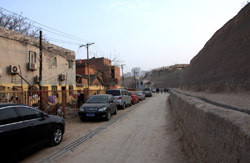 Parts of the Shang Dynasty's city walls have survived 3000 years and they are now protected as a park. 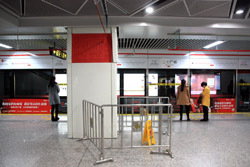 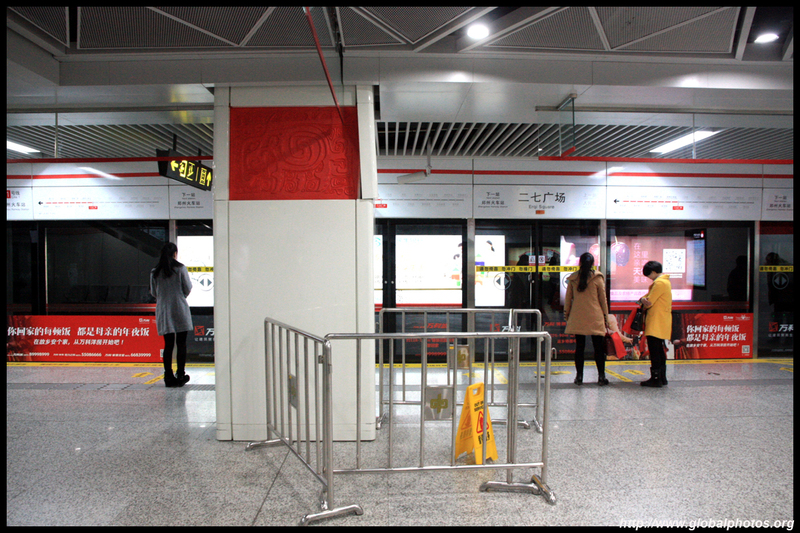 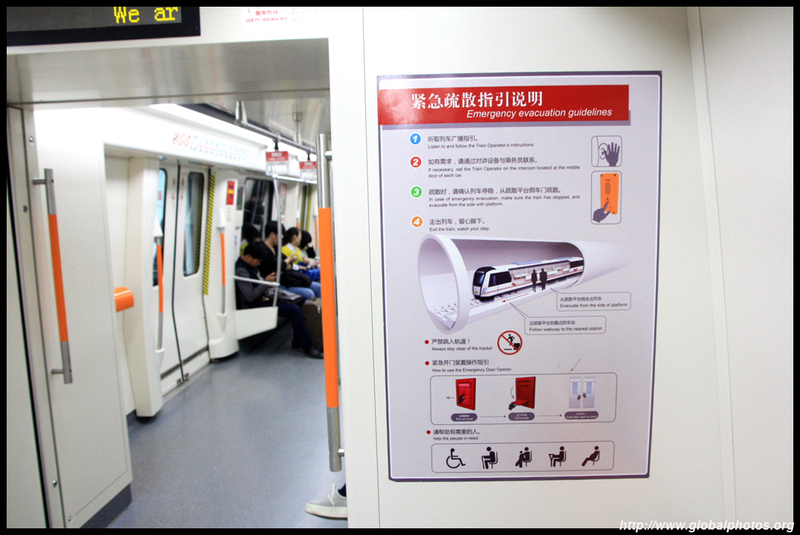 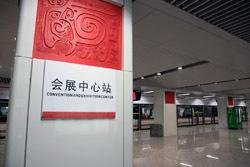 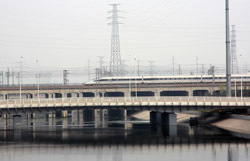 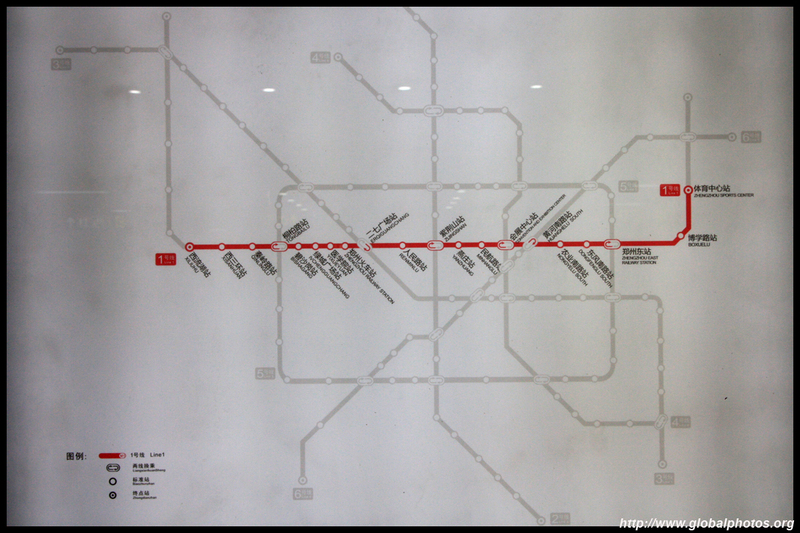 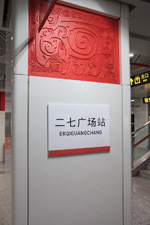 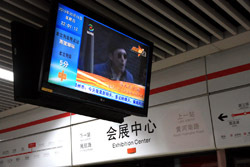 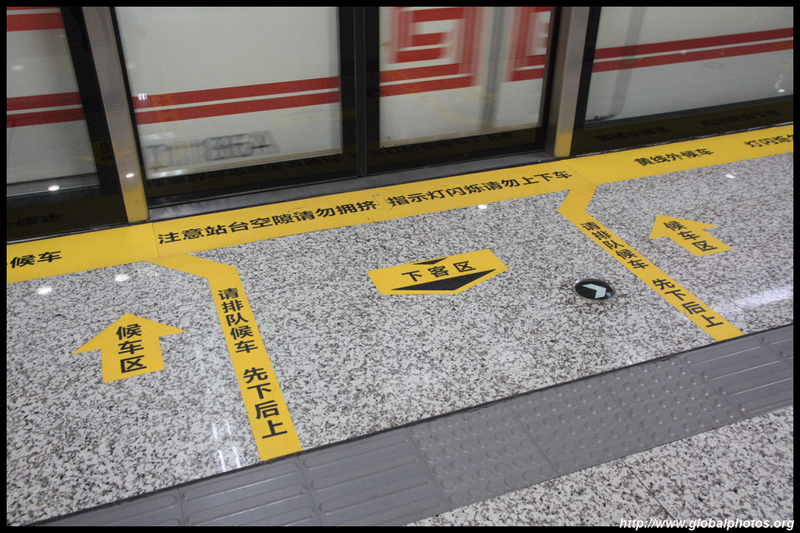 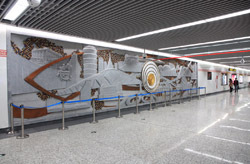 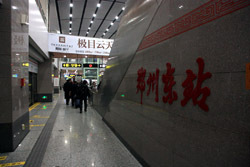 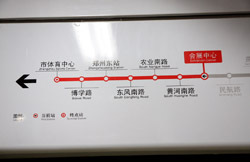 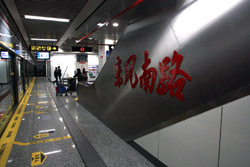 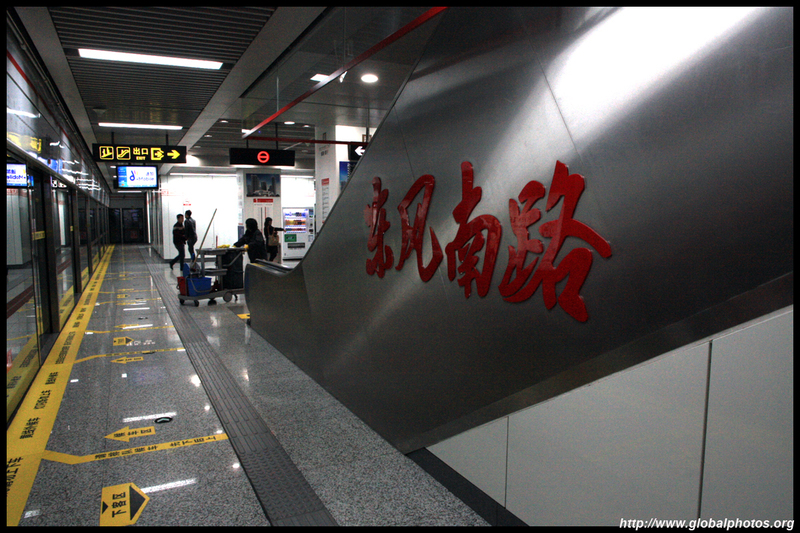 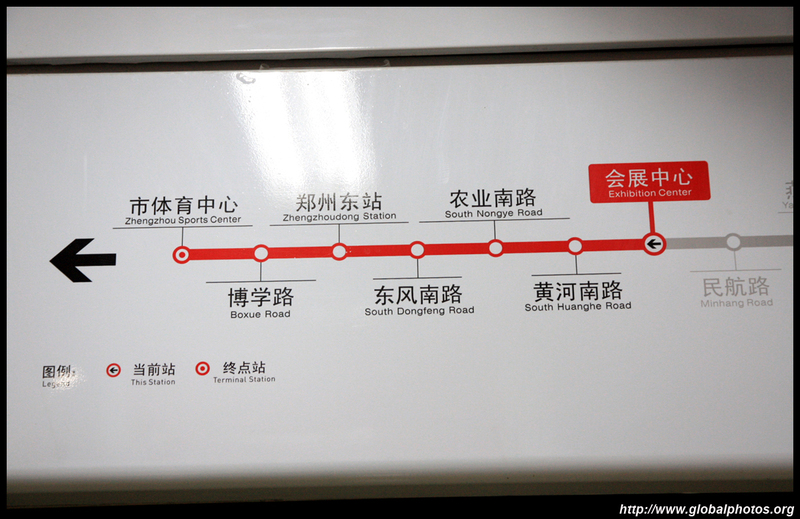 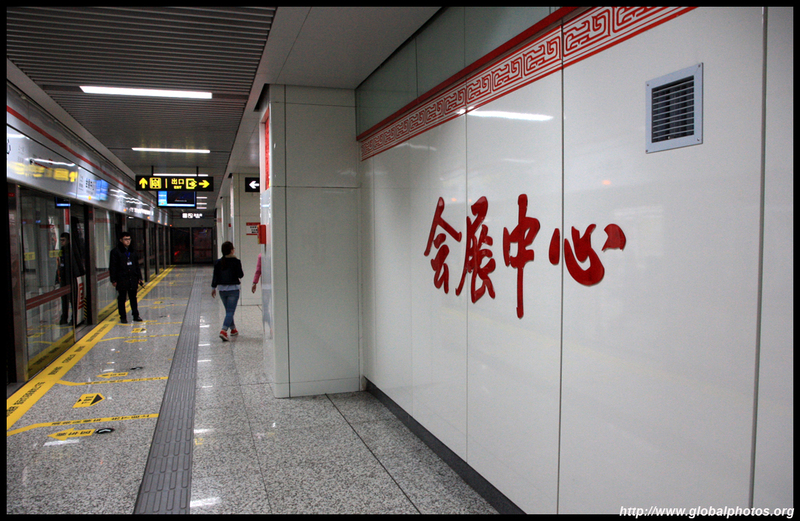 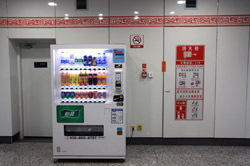 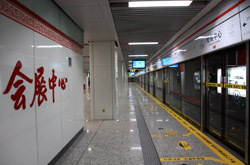 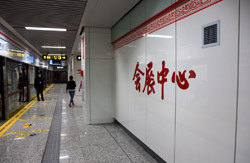 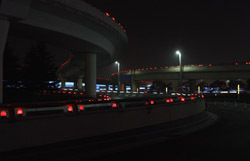 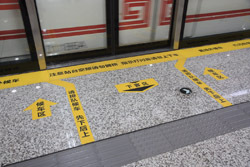 The metro system currently consists of 1 line that opened in late 2013, traveling east to west and connecting the city's 2 main railway stations. 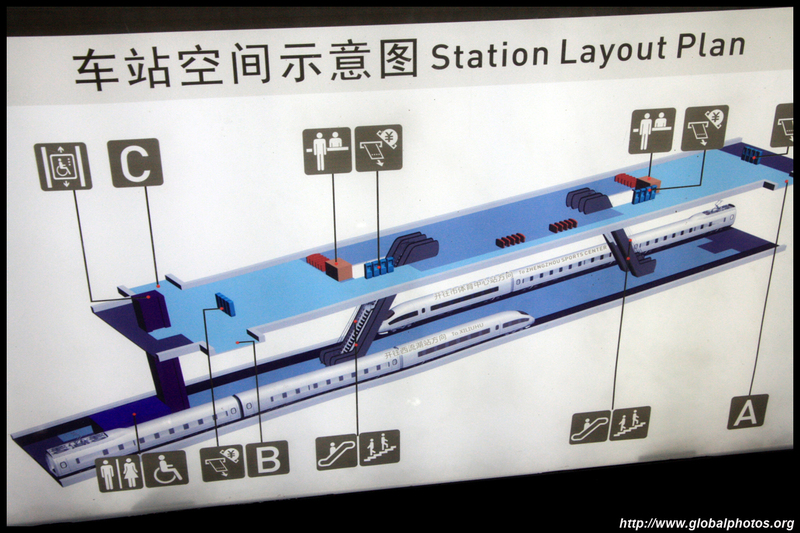 Looks like many more expansions are planned. 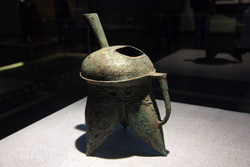 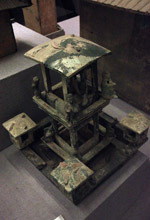 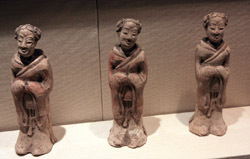 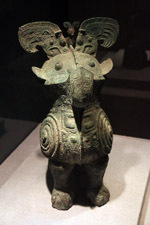 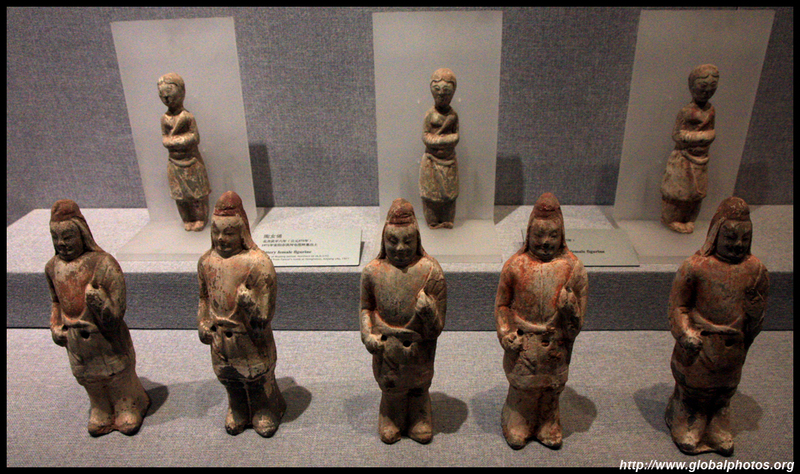 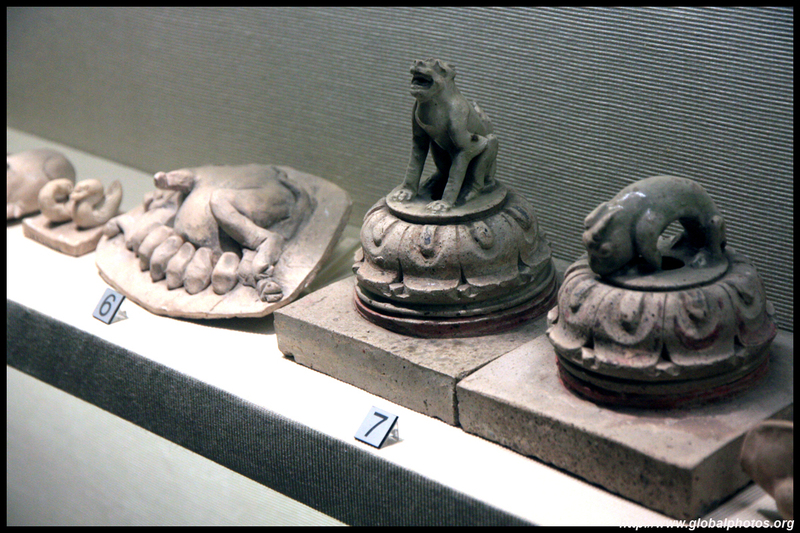 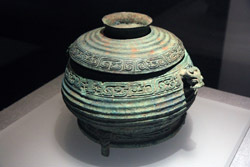 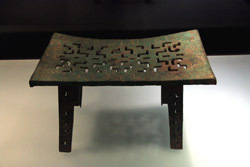 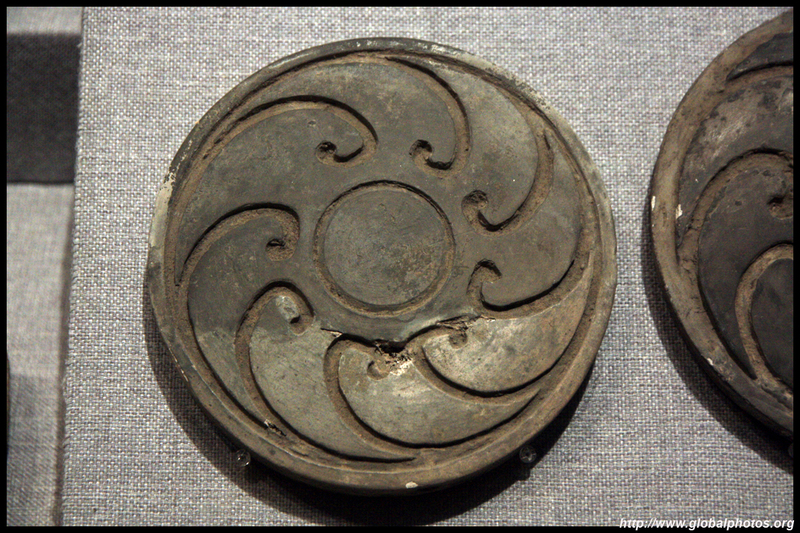 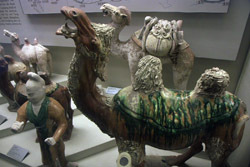 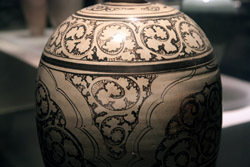 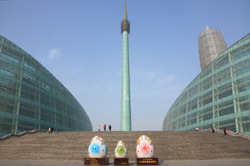 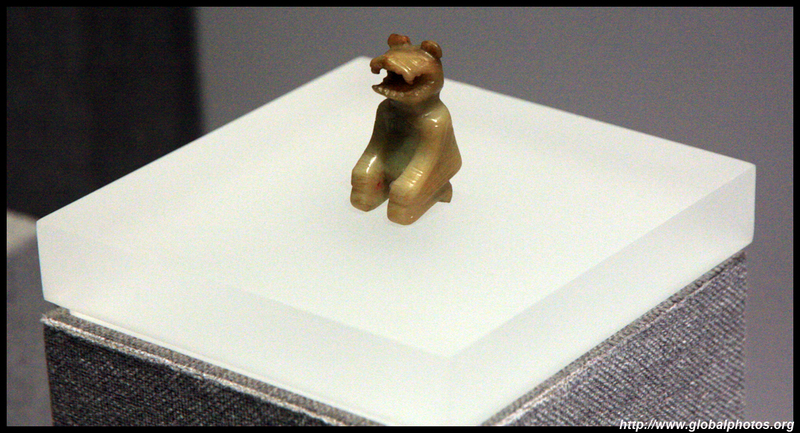 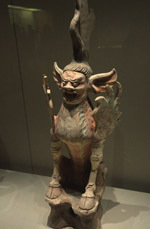 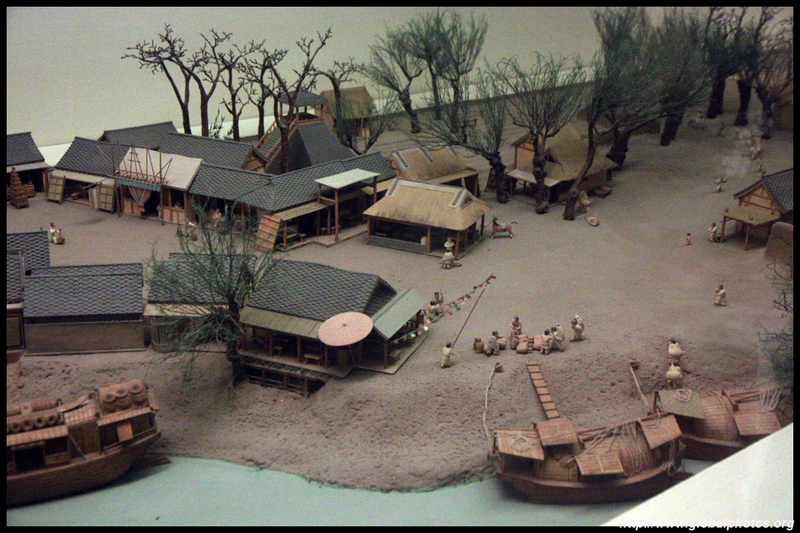 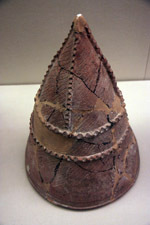 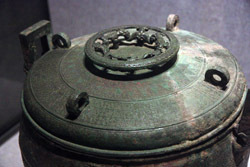 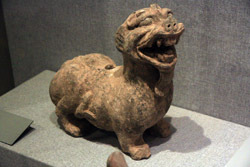 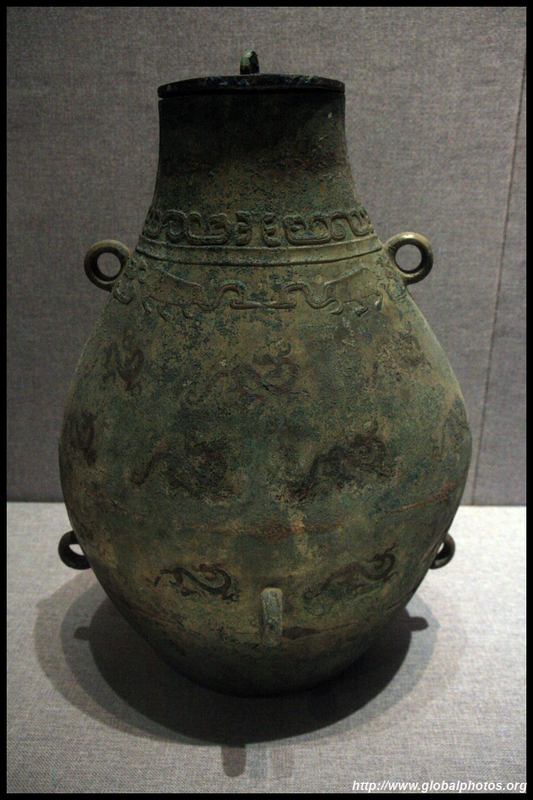 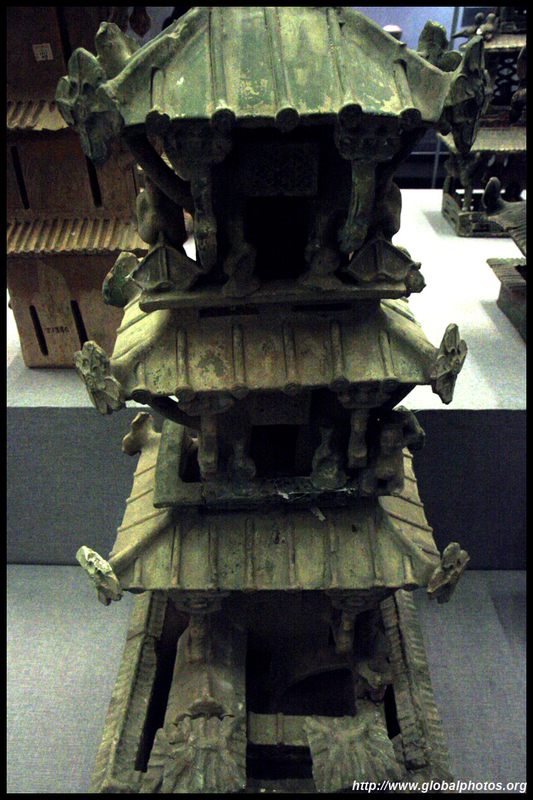 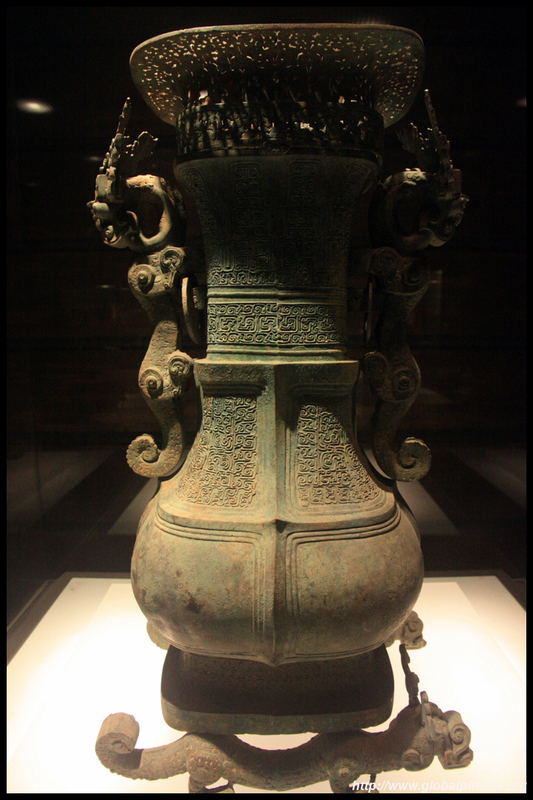 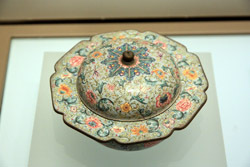 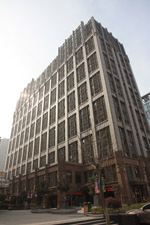 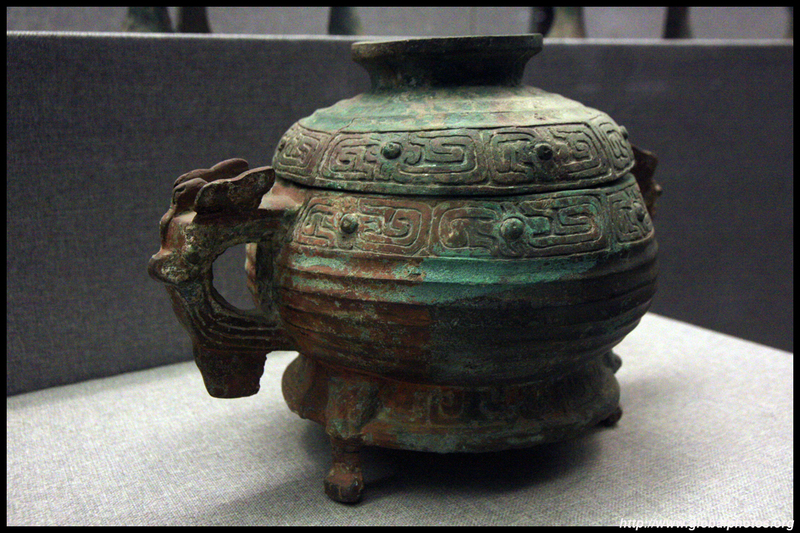 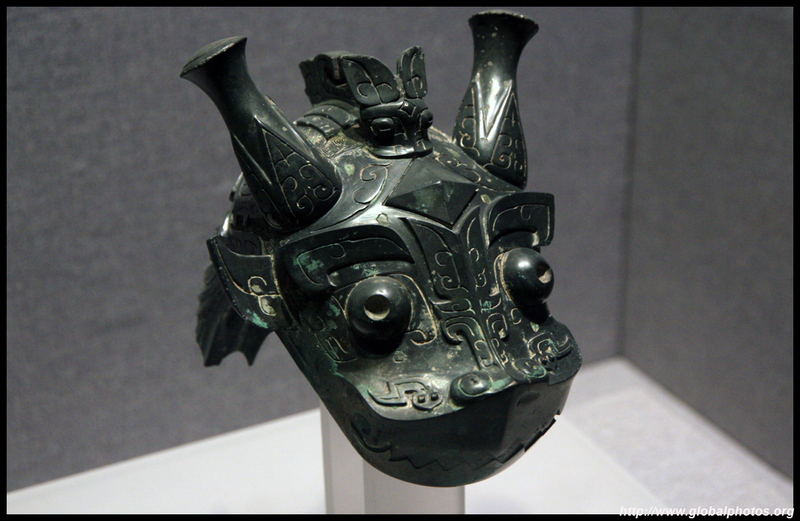 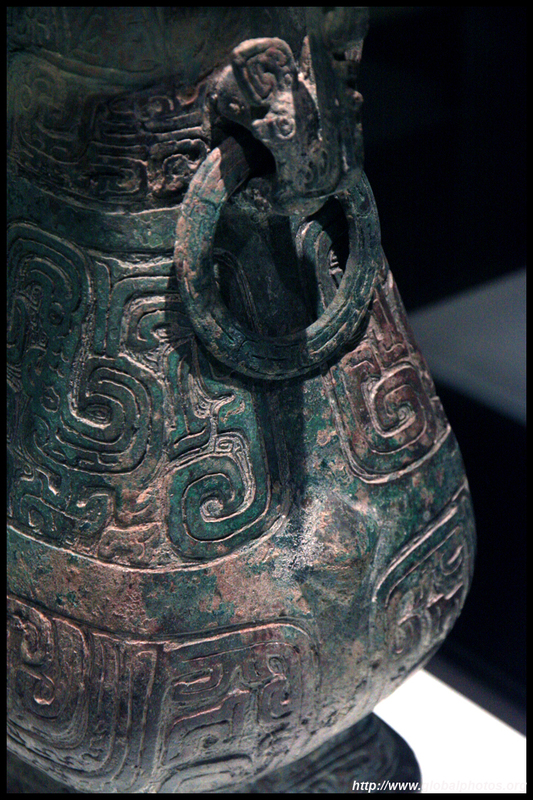 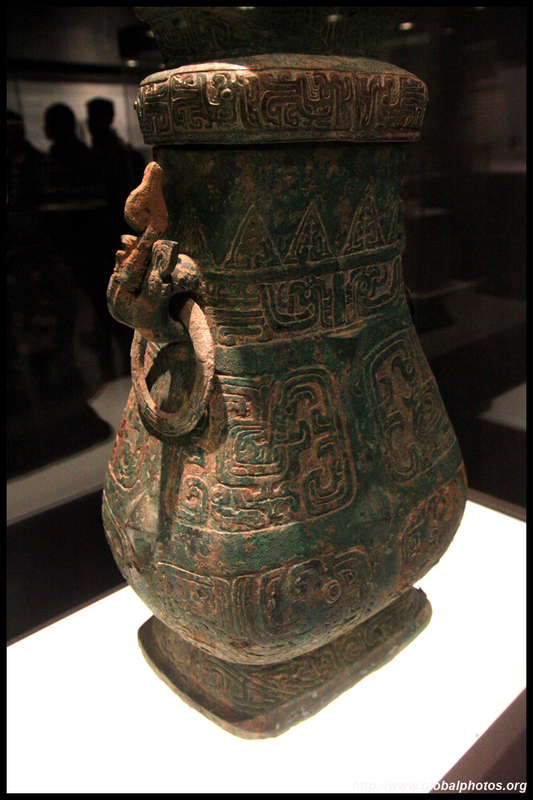 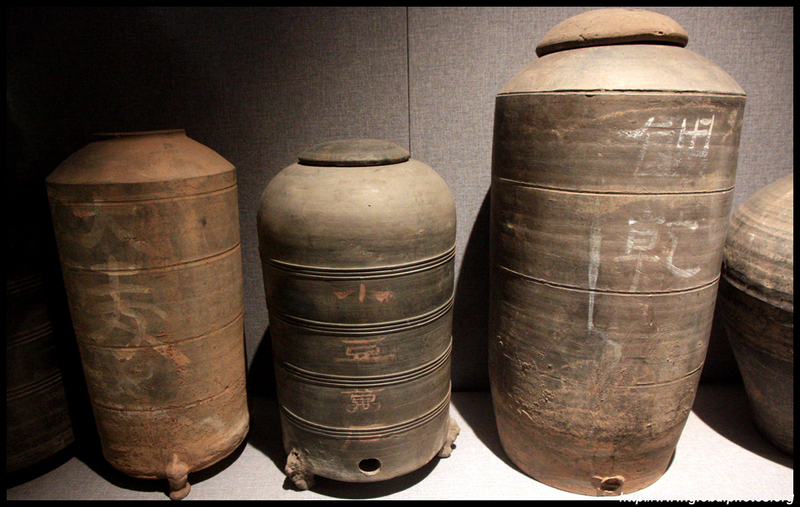 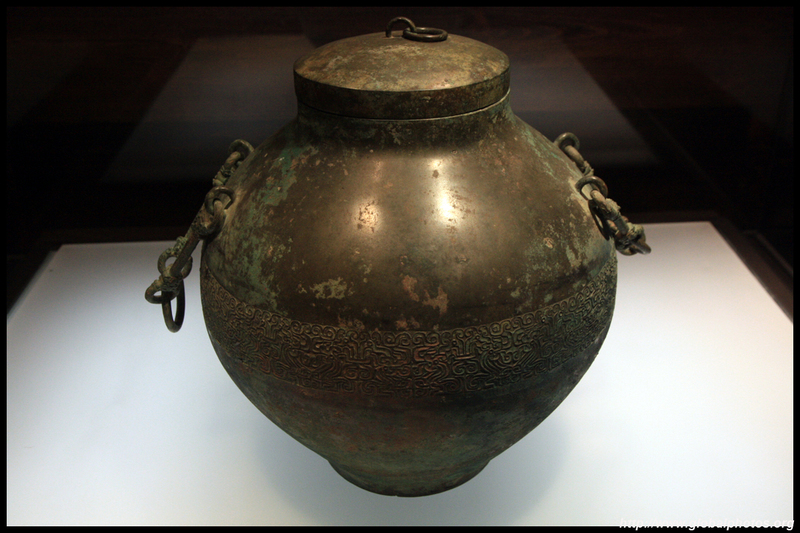 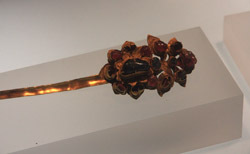 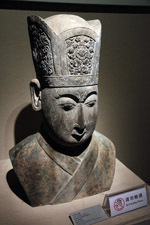 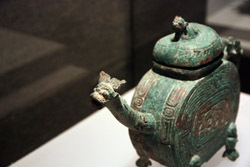 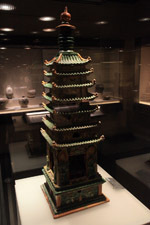 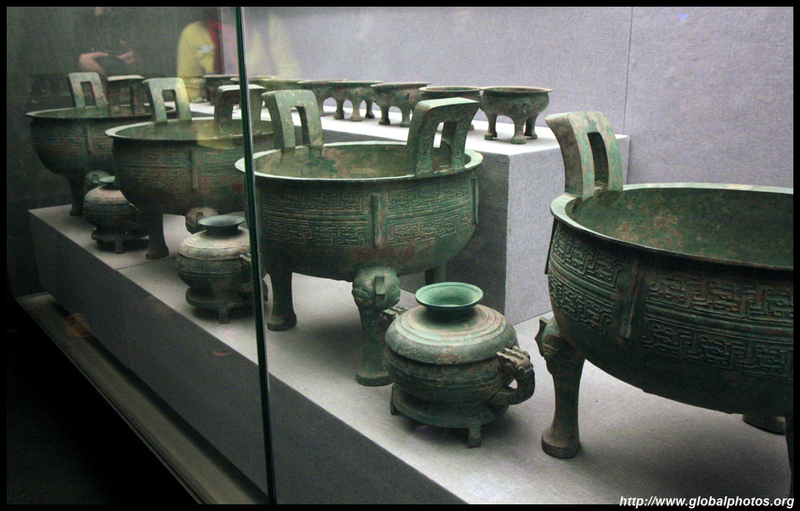 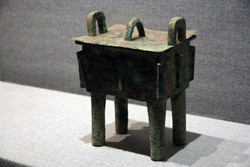 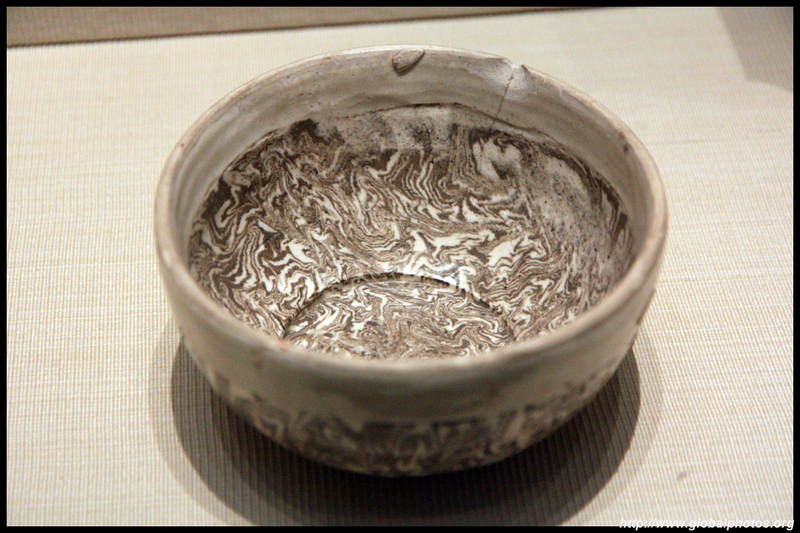 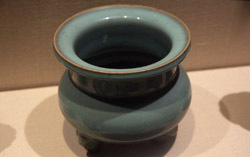 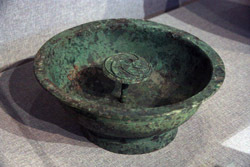 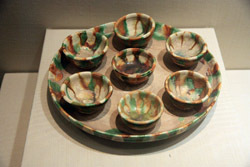 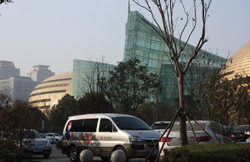 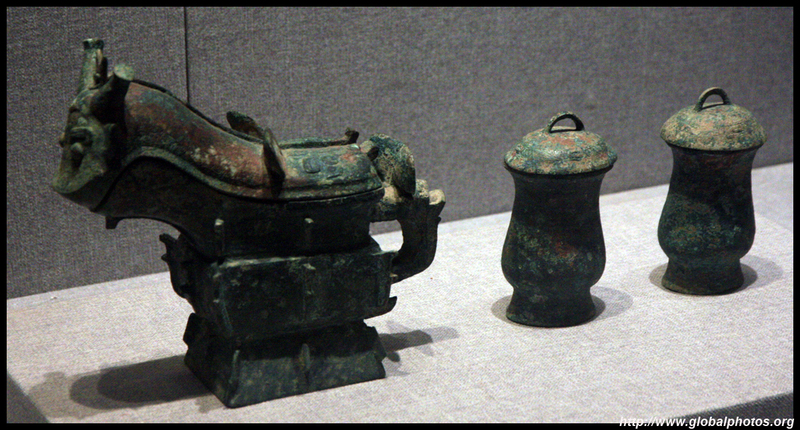 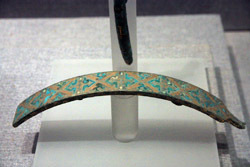 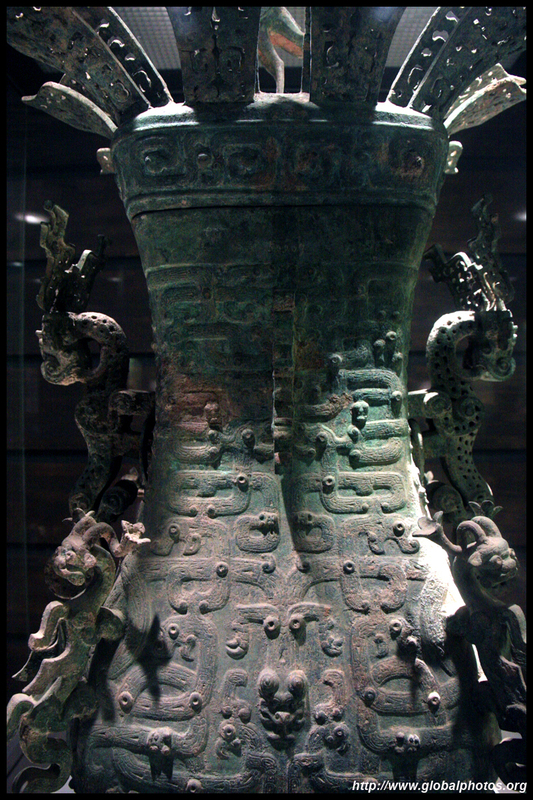 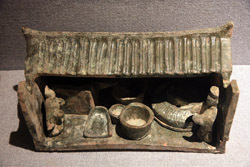 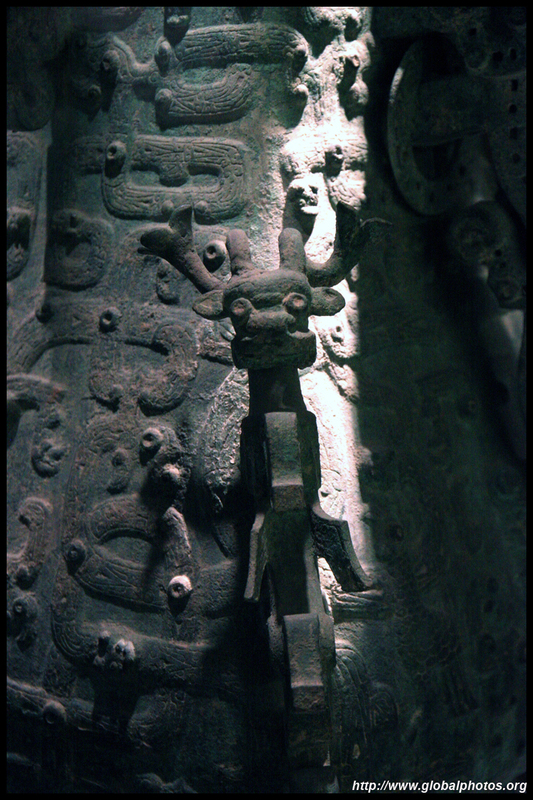 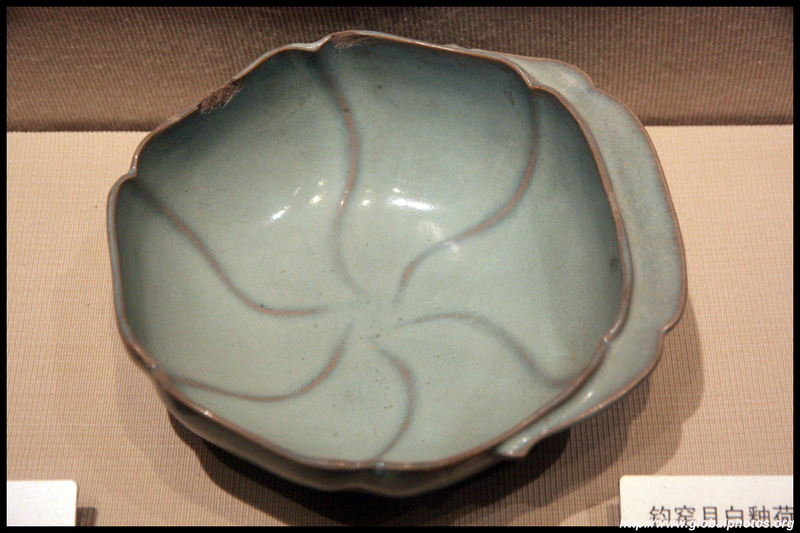 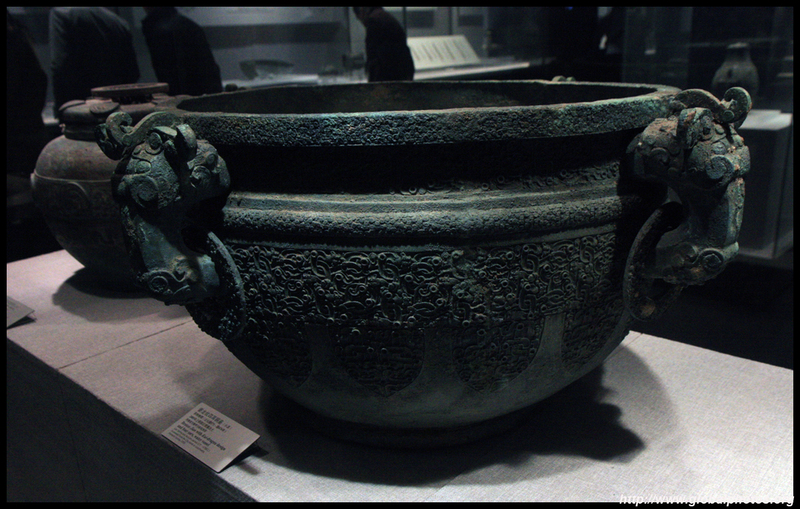 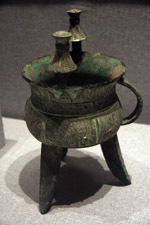 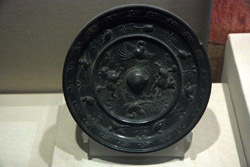 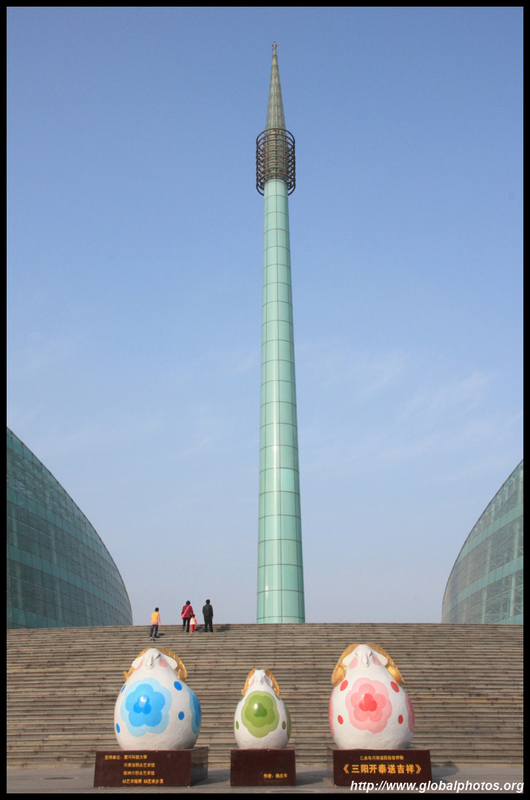 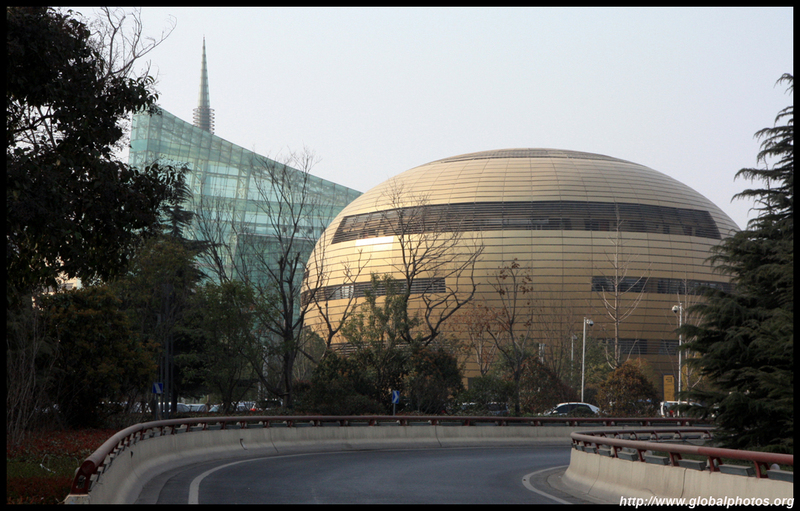 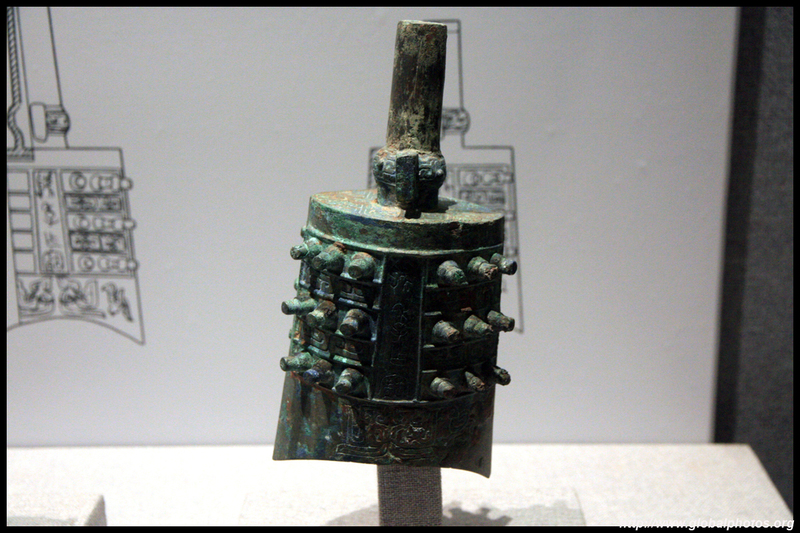 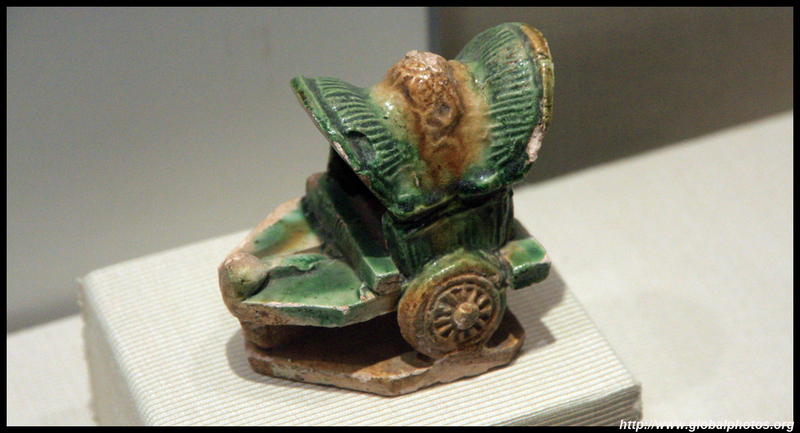 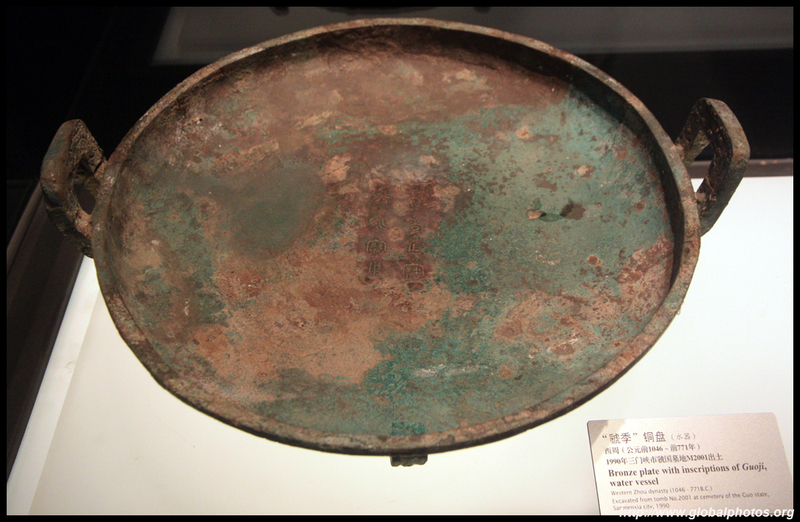 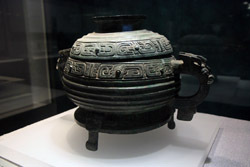 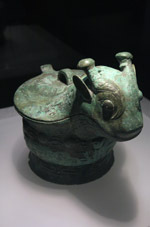 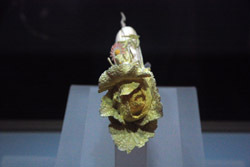 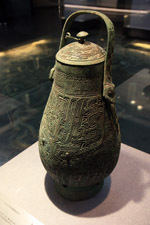 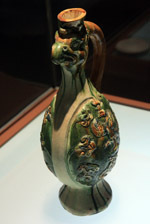 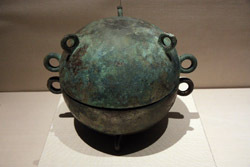 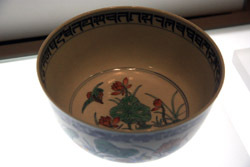 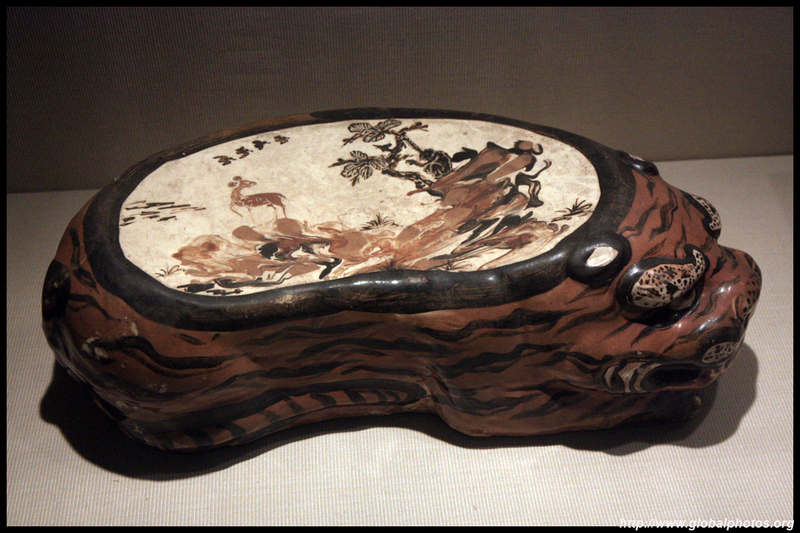 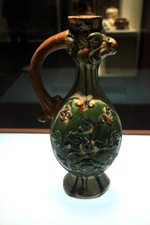 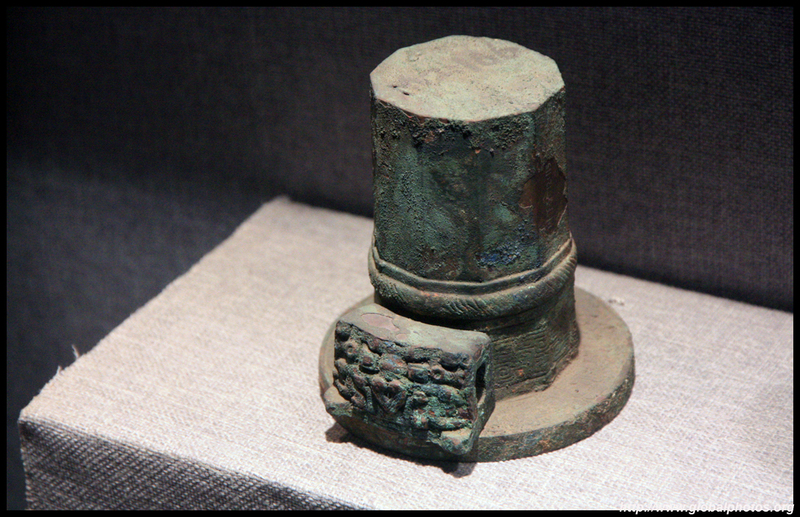 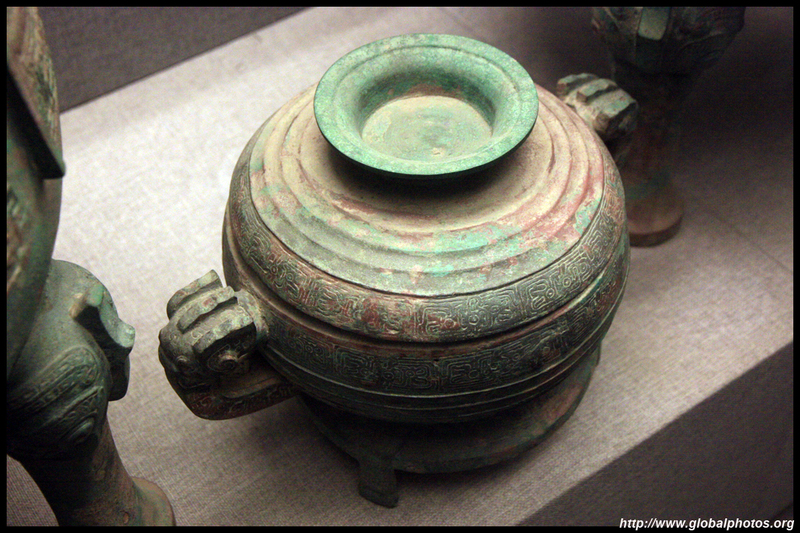 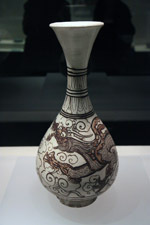 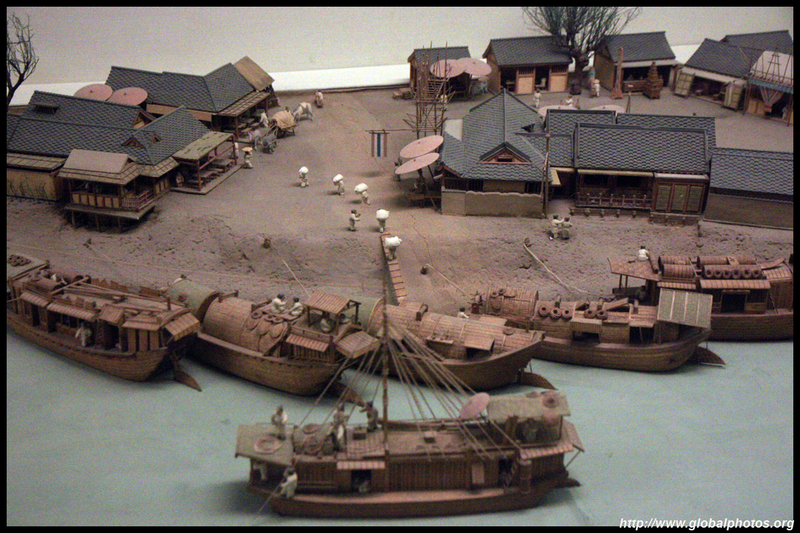 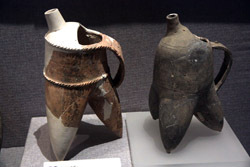 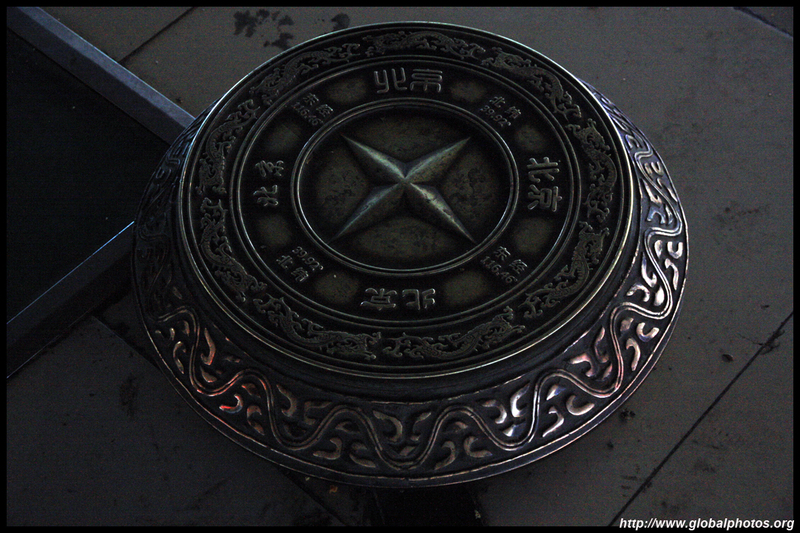 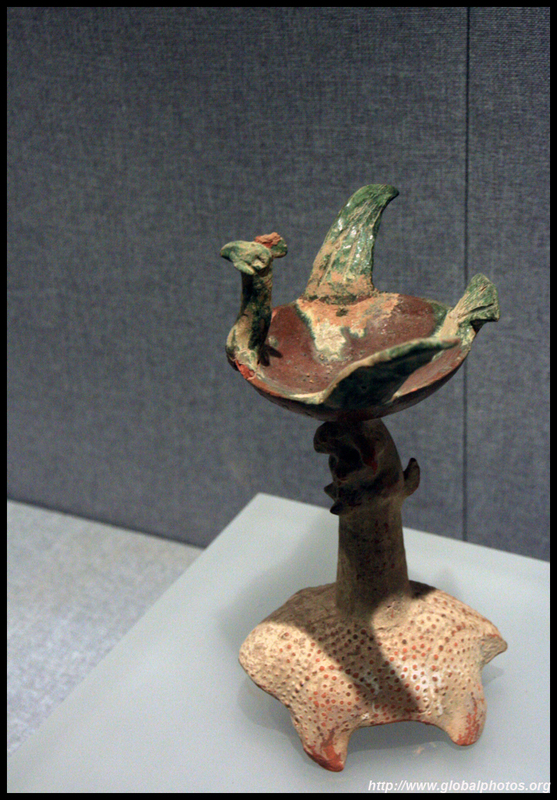 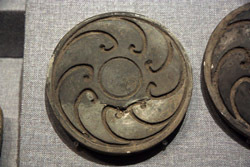 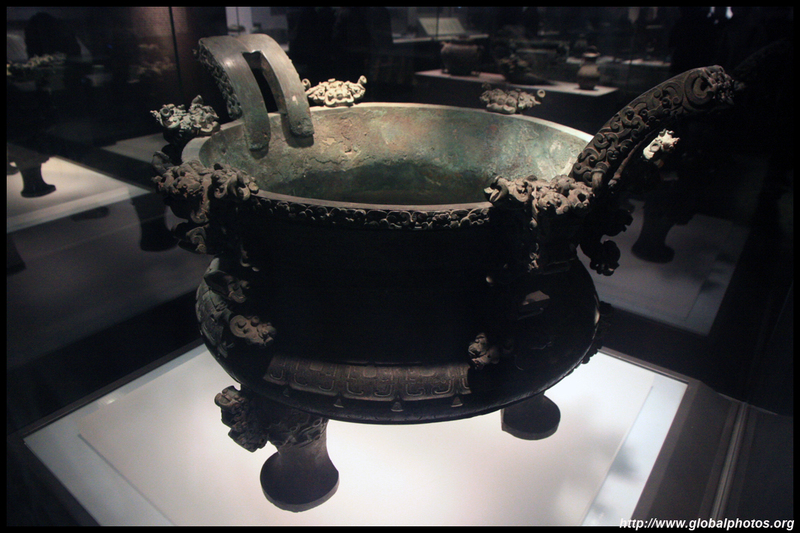 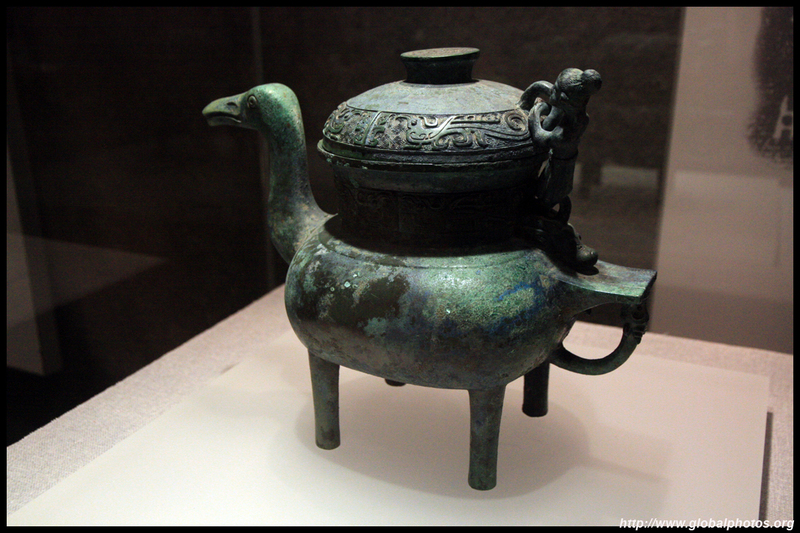 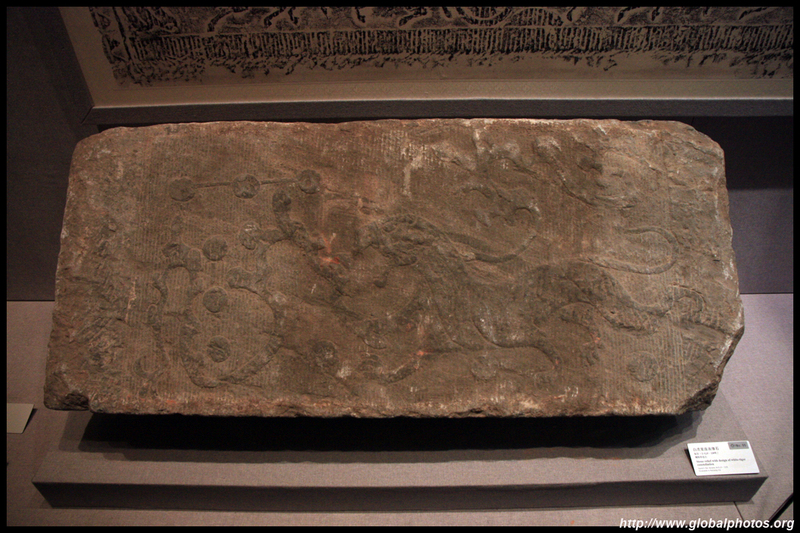 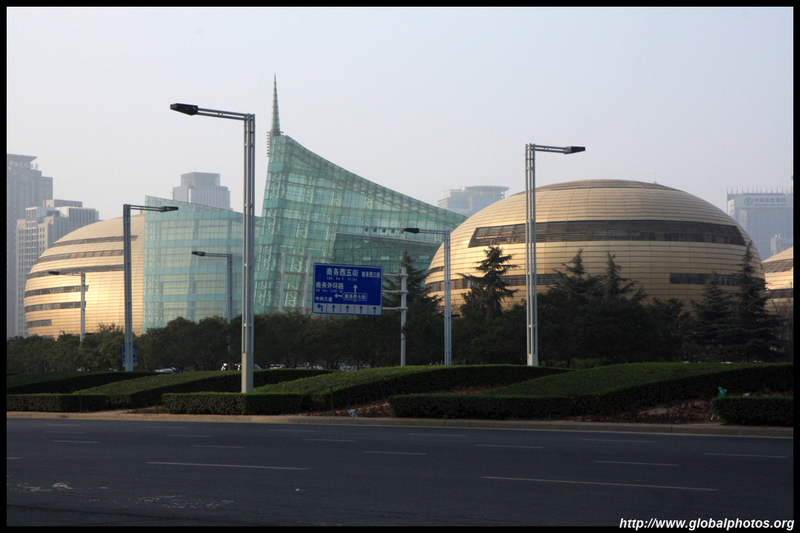 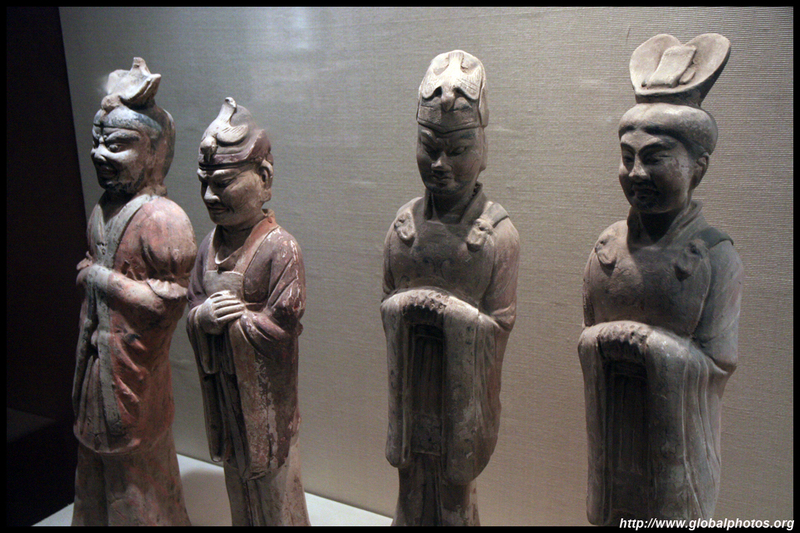 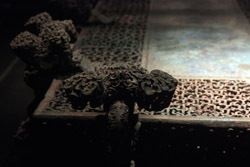 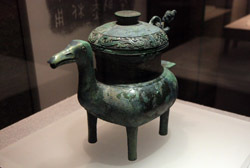 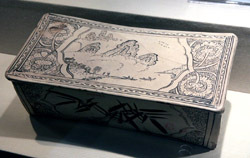 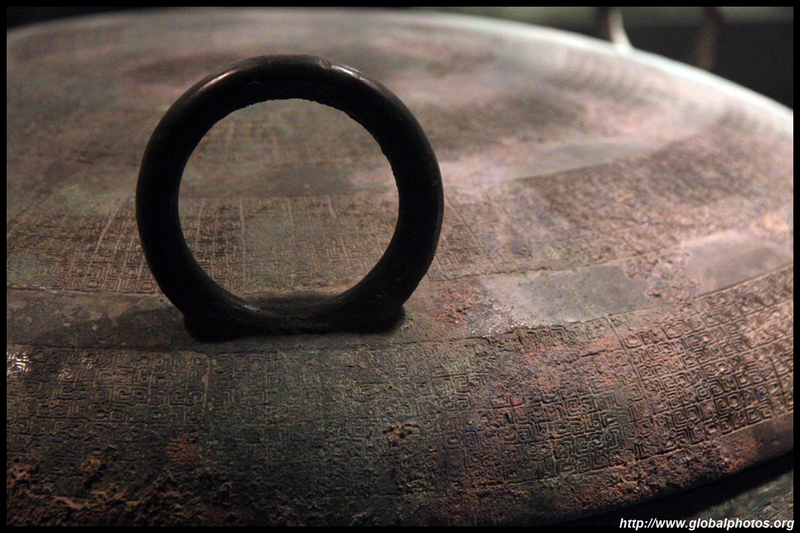 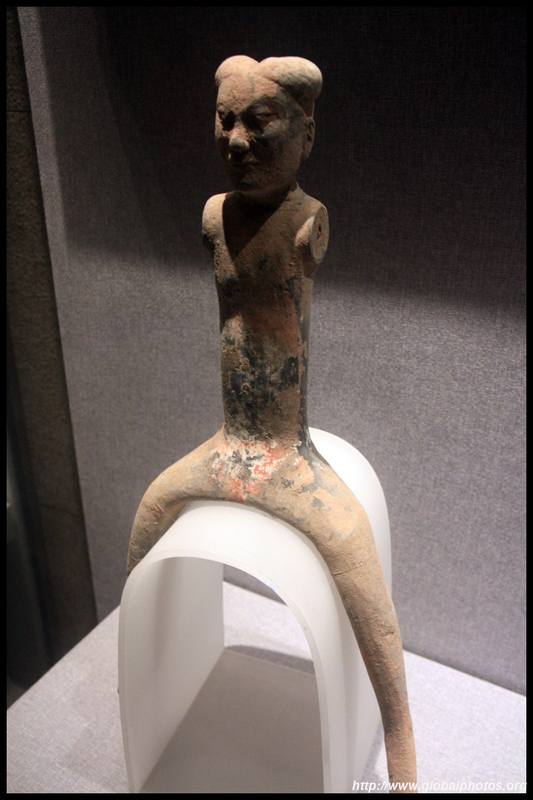 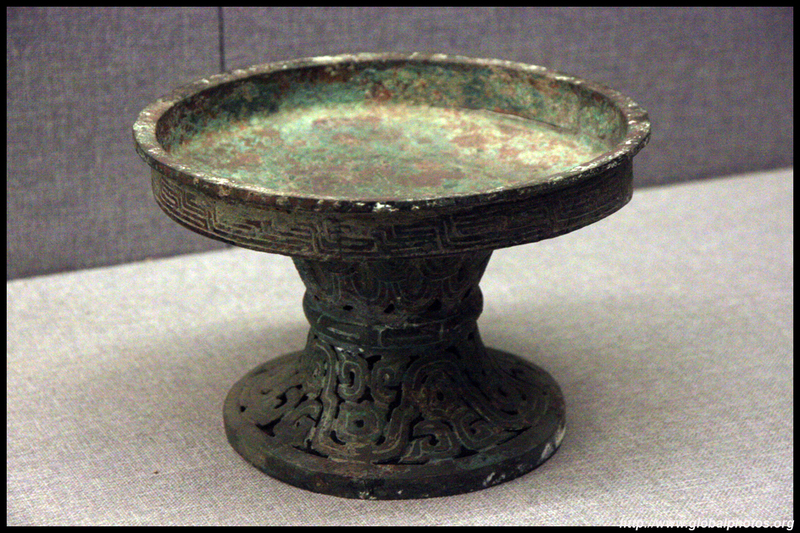 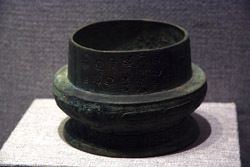 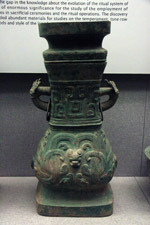 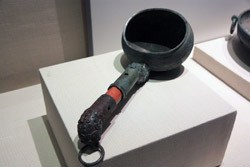 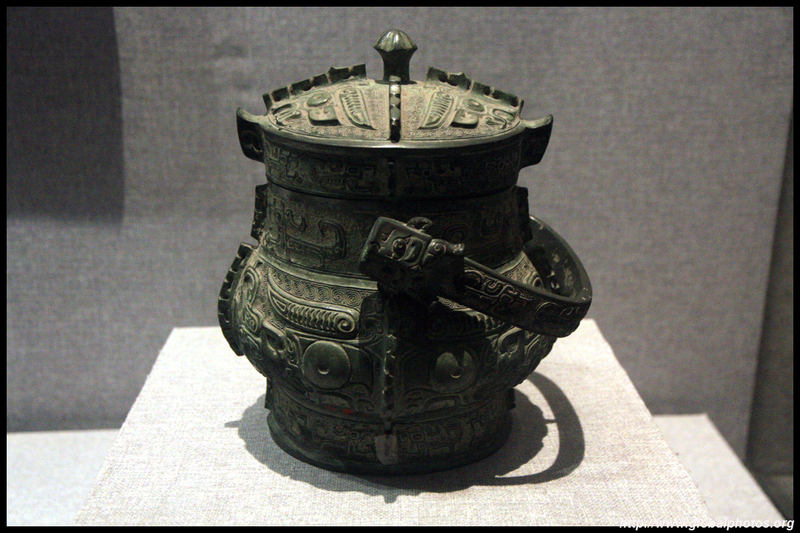 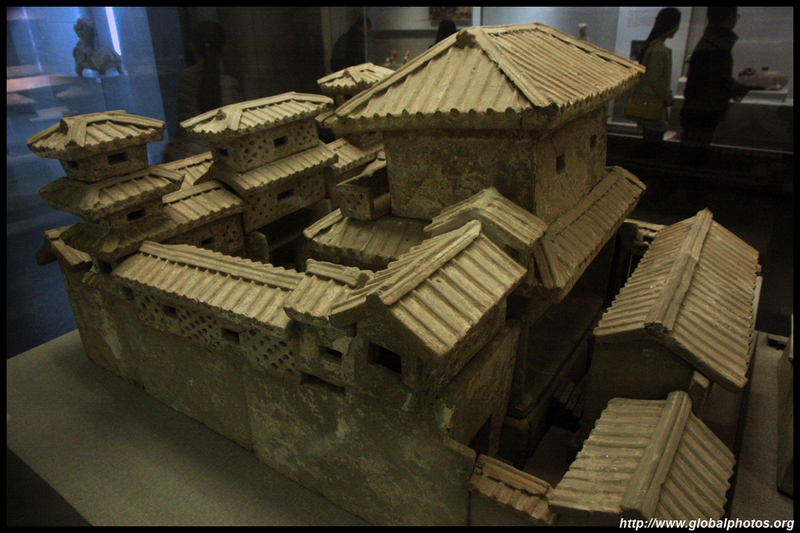 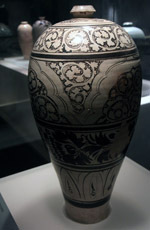 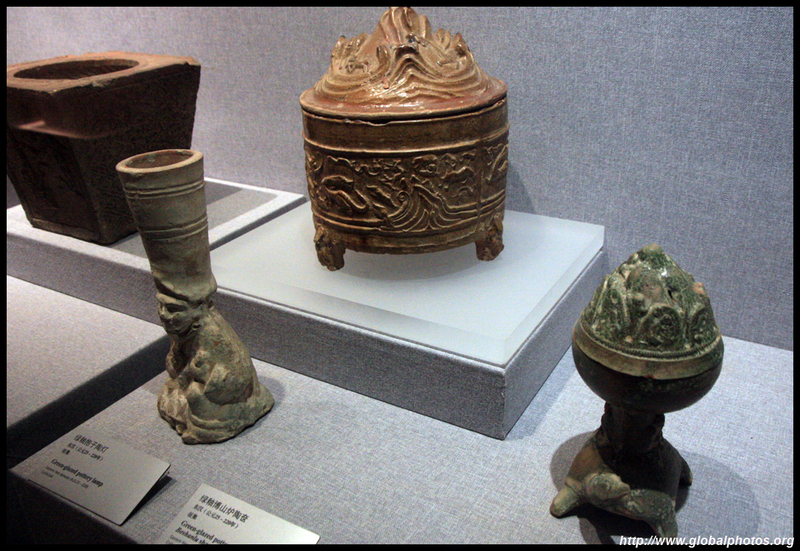 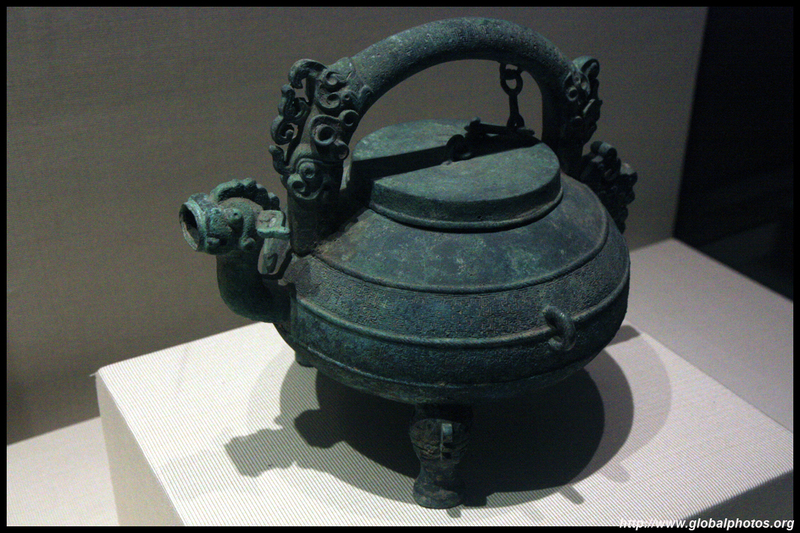 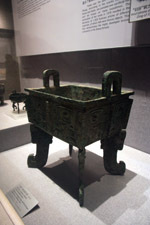 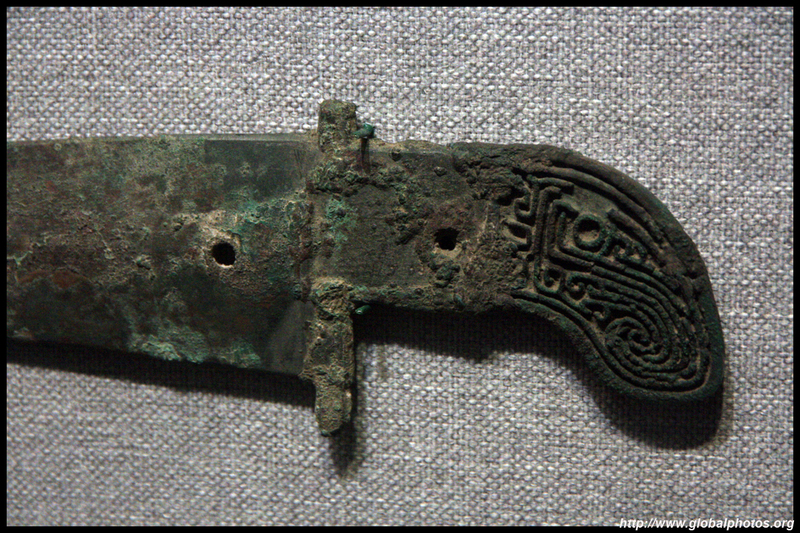 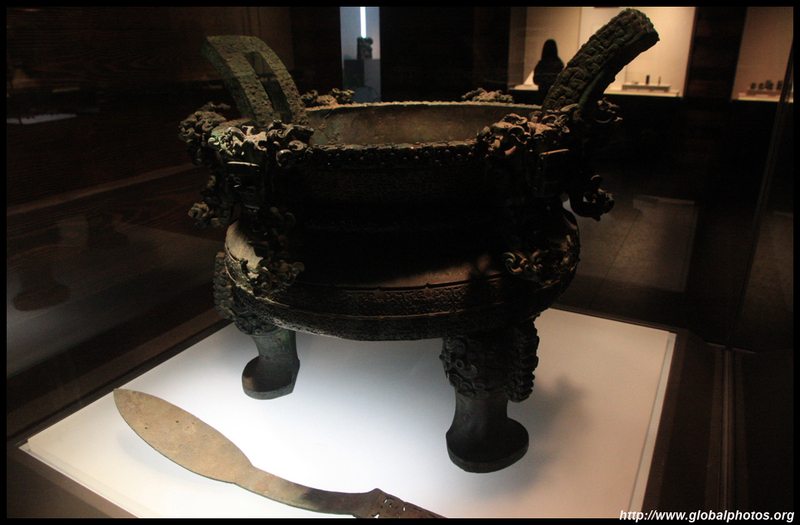 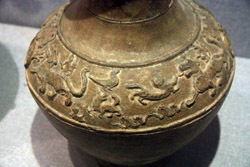 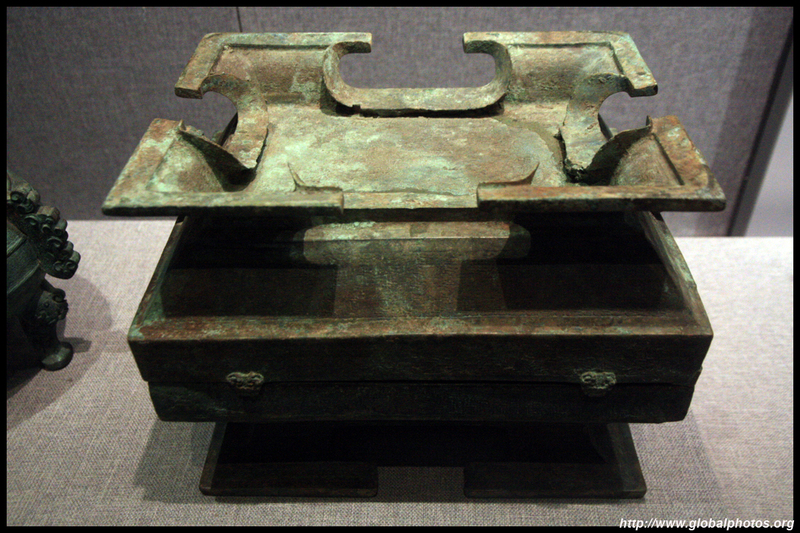 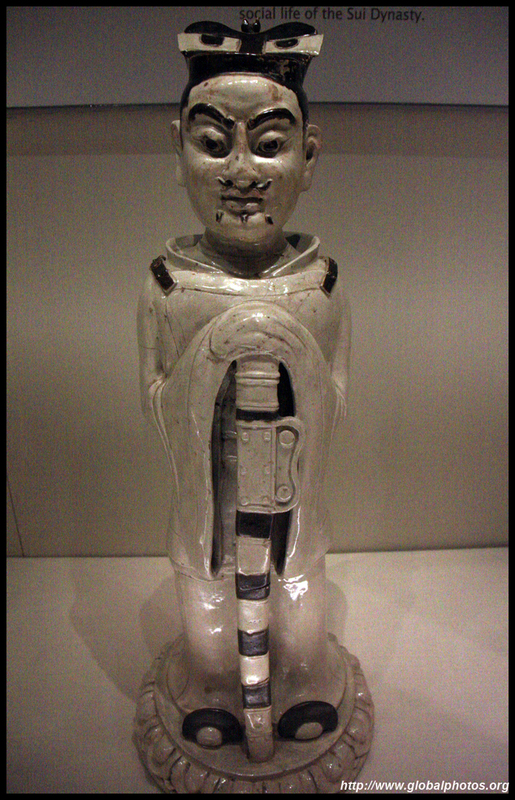 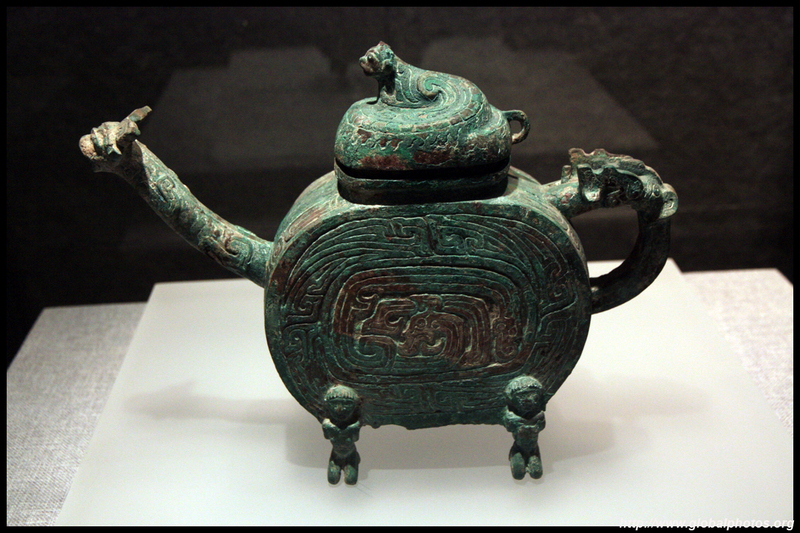 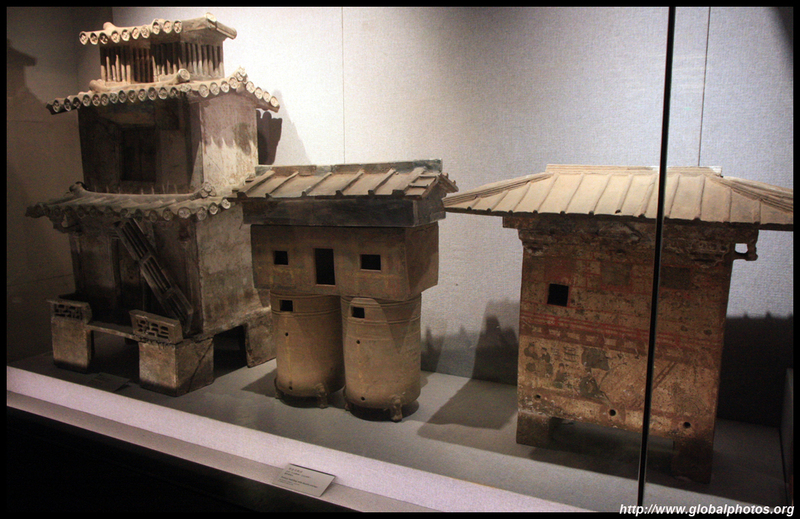 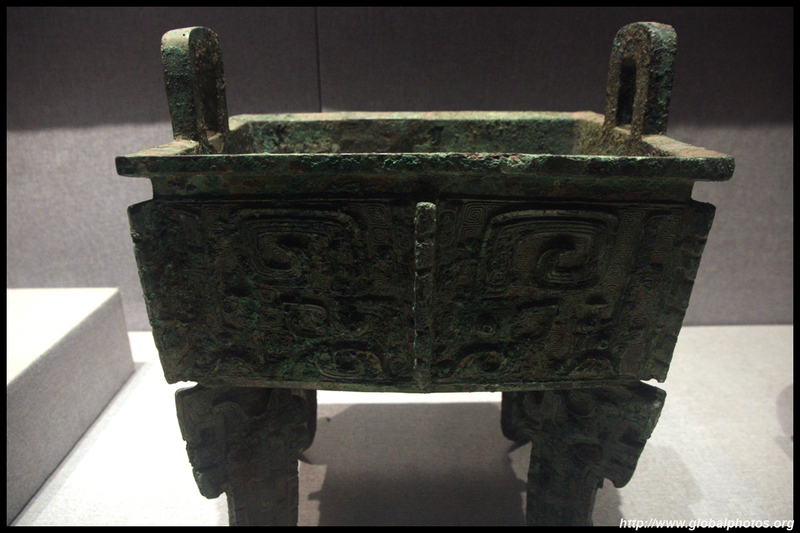 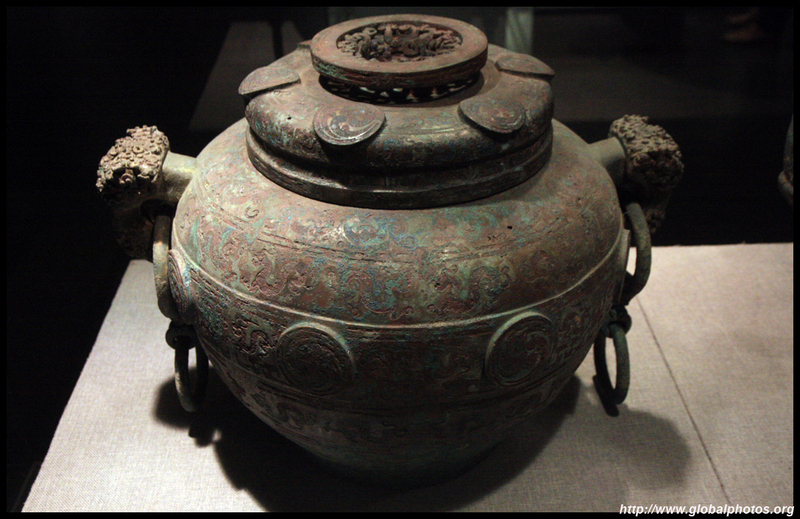 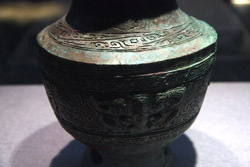 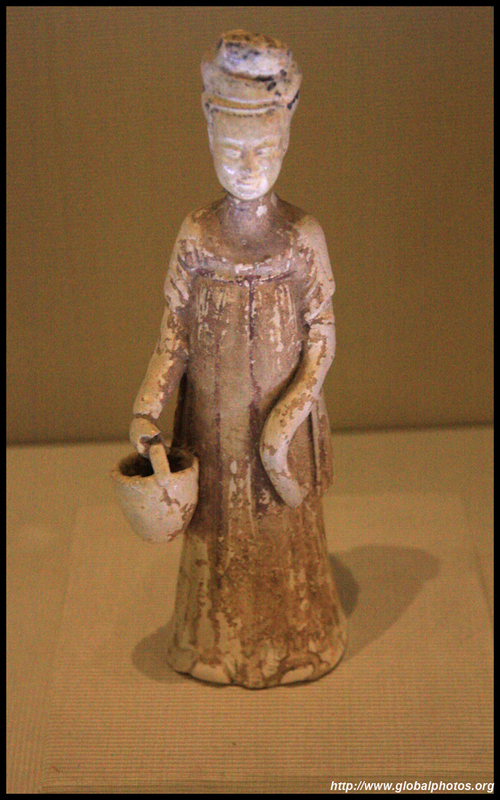 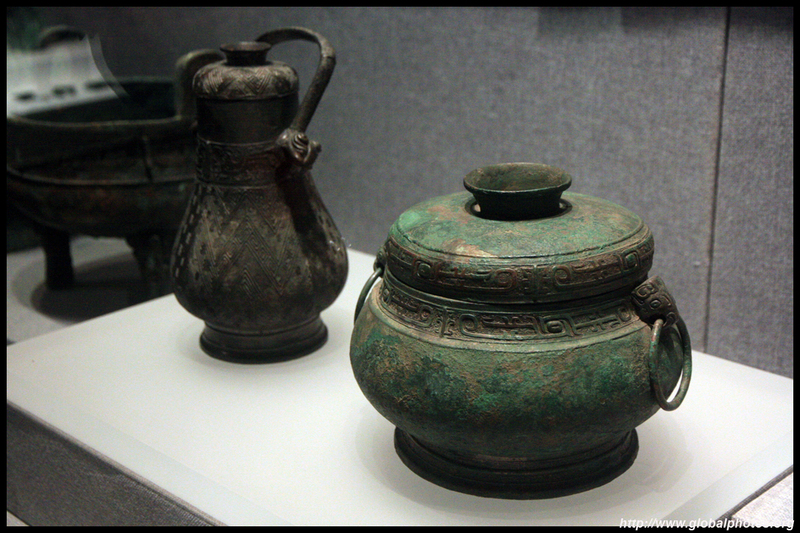 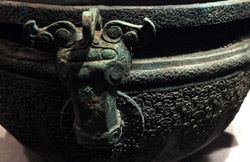 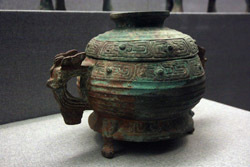 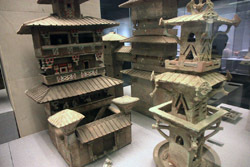 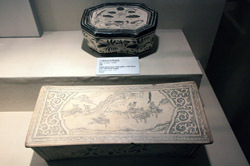 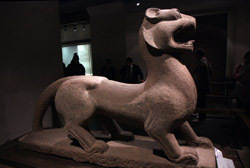 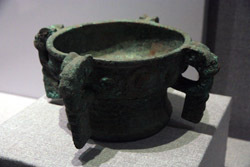 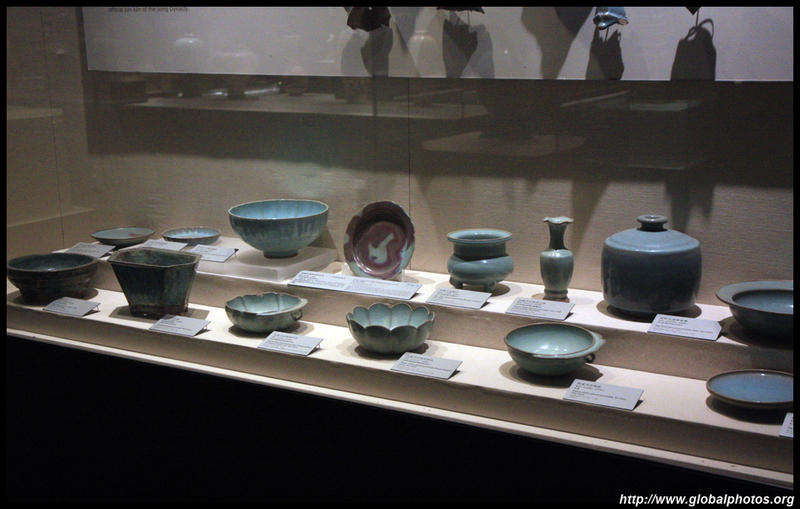 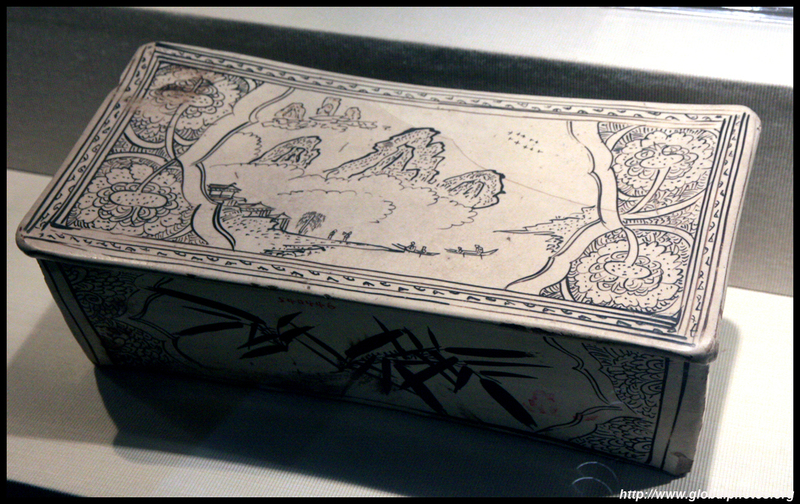 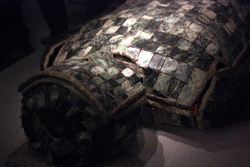 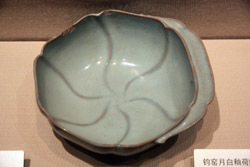 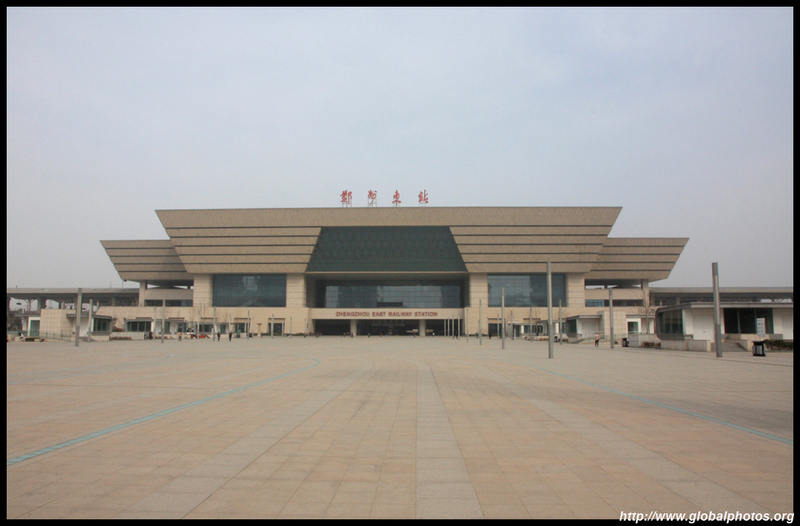 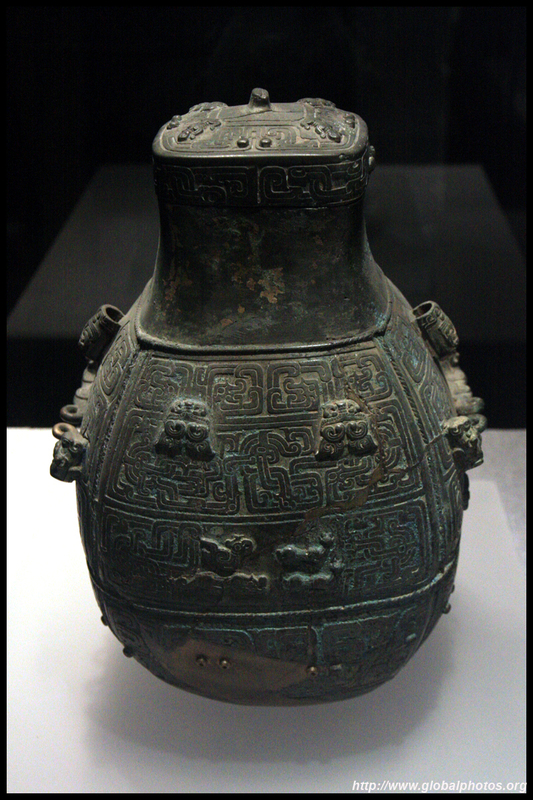 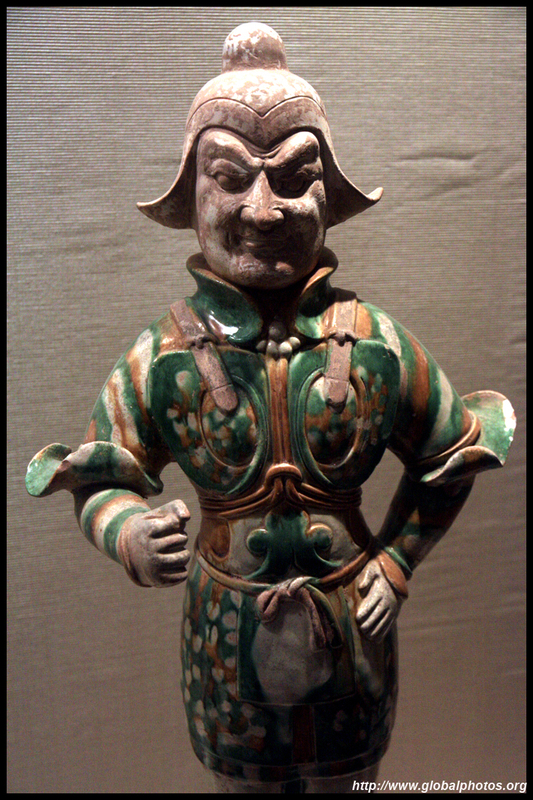 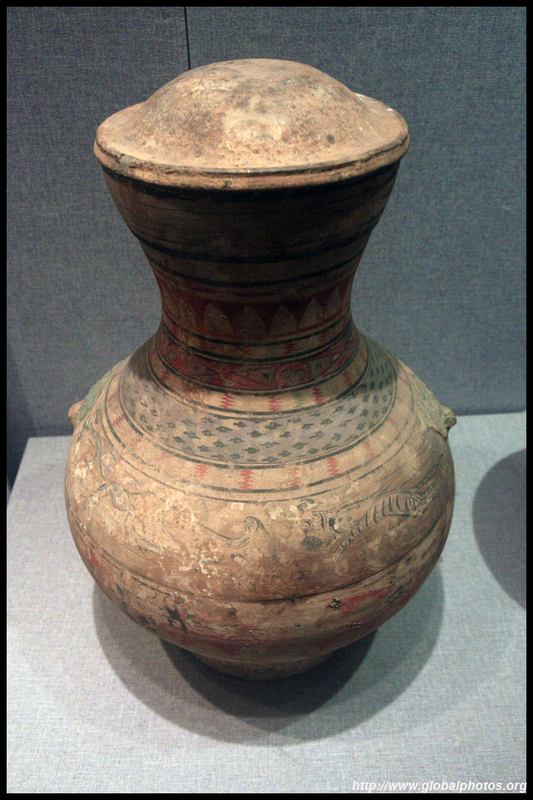 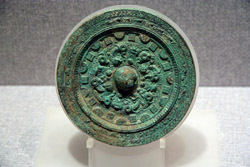 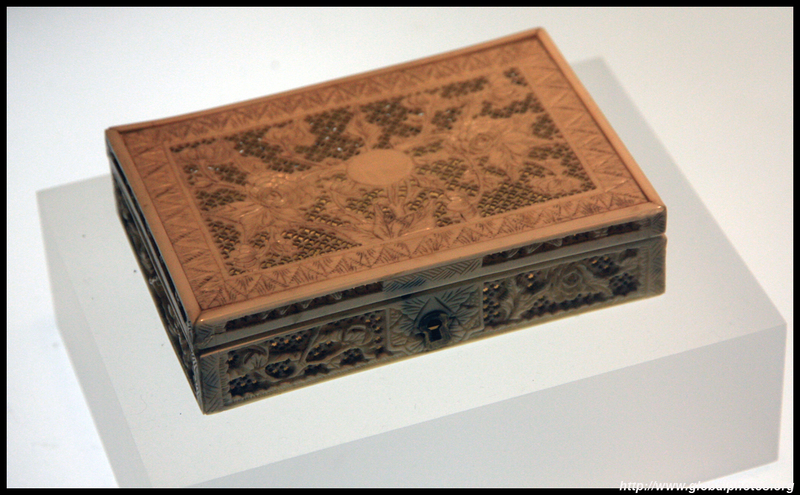 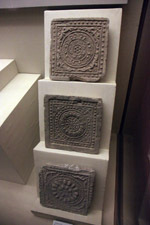 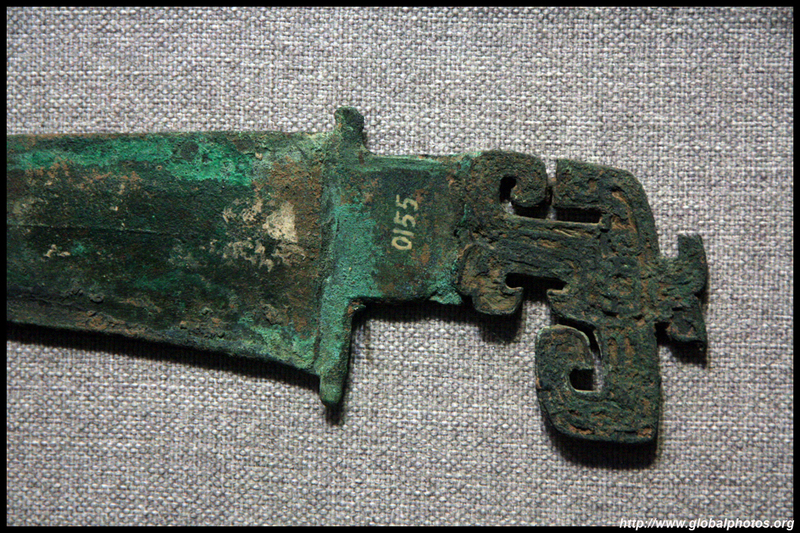 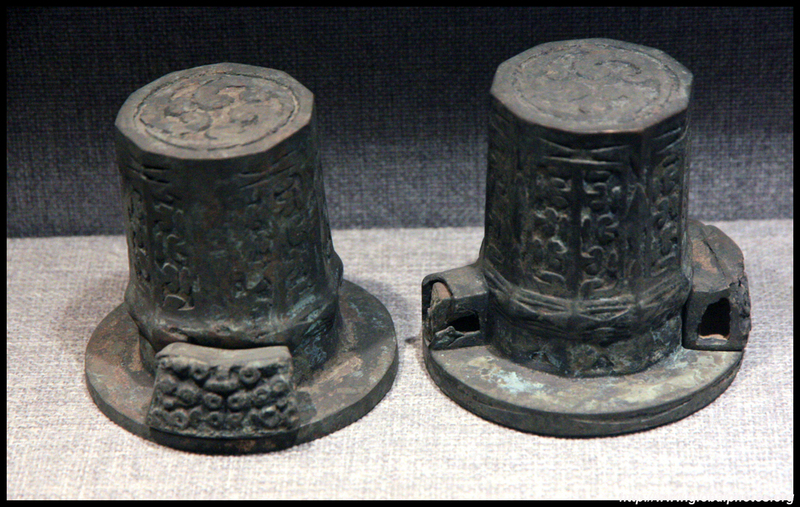 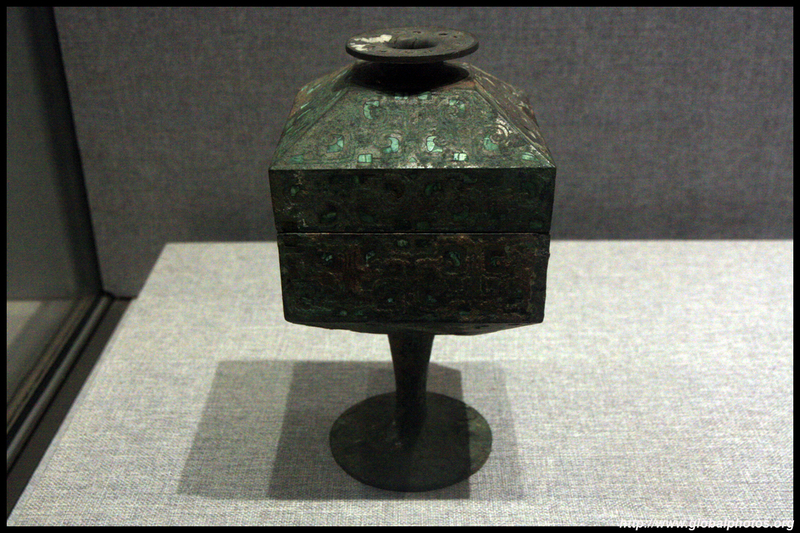 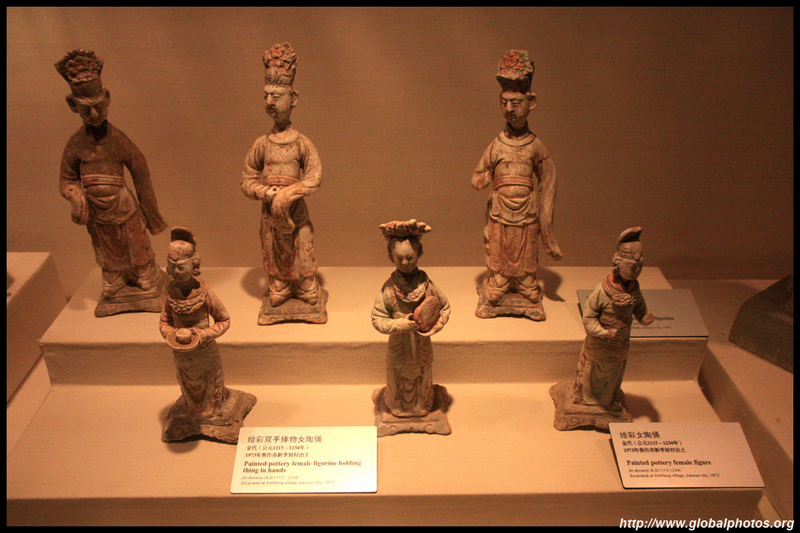 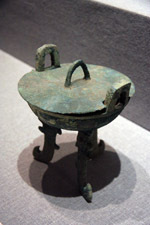 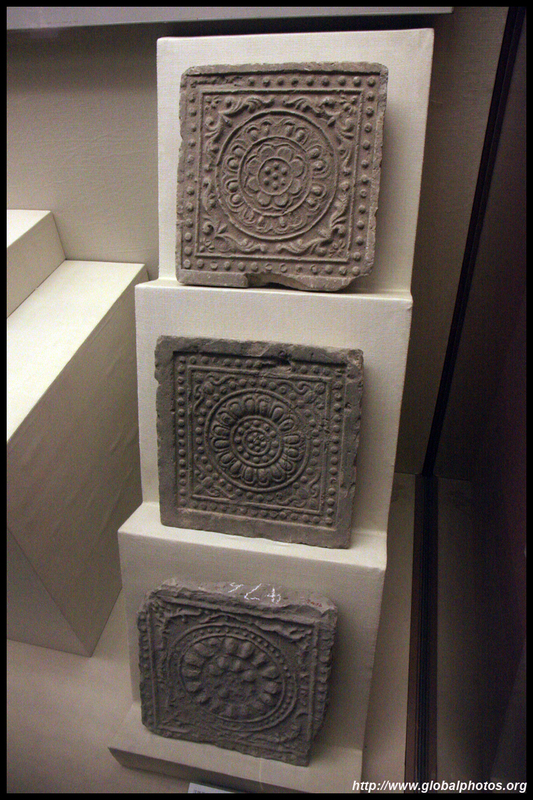 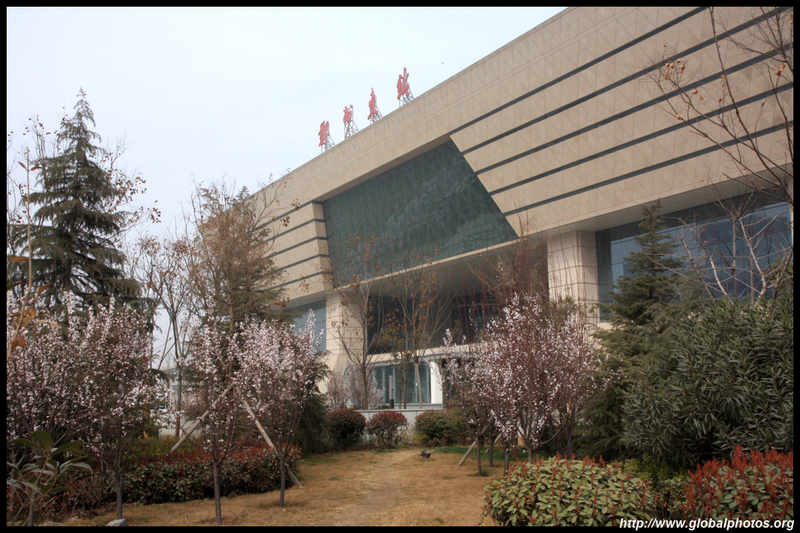 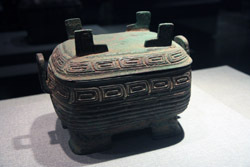 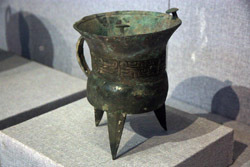 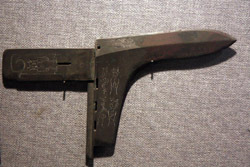 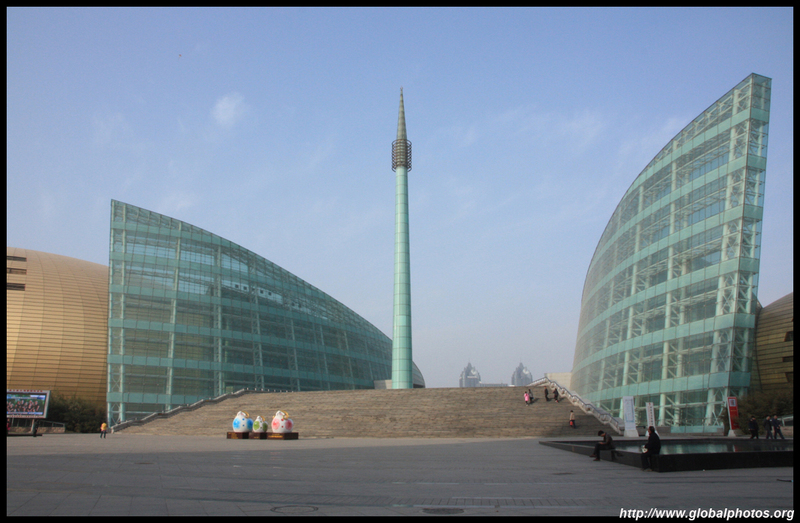 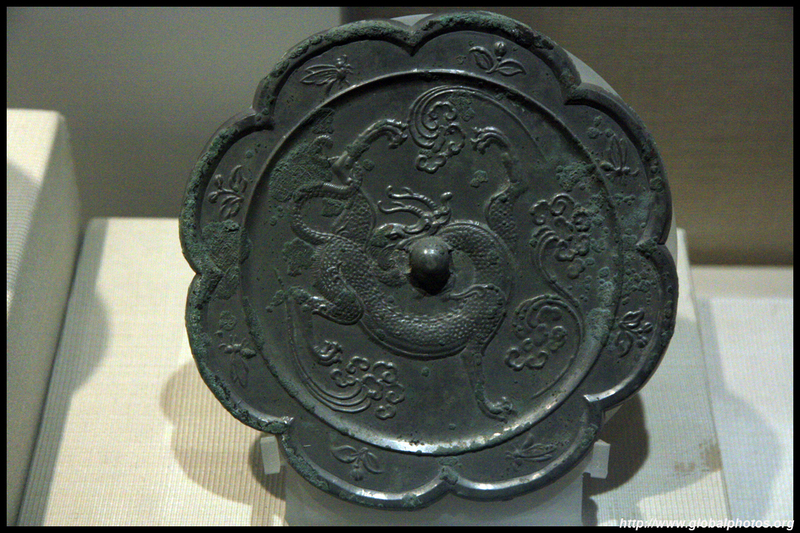 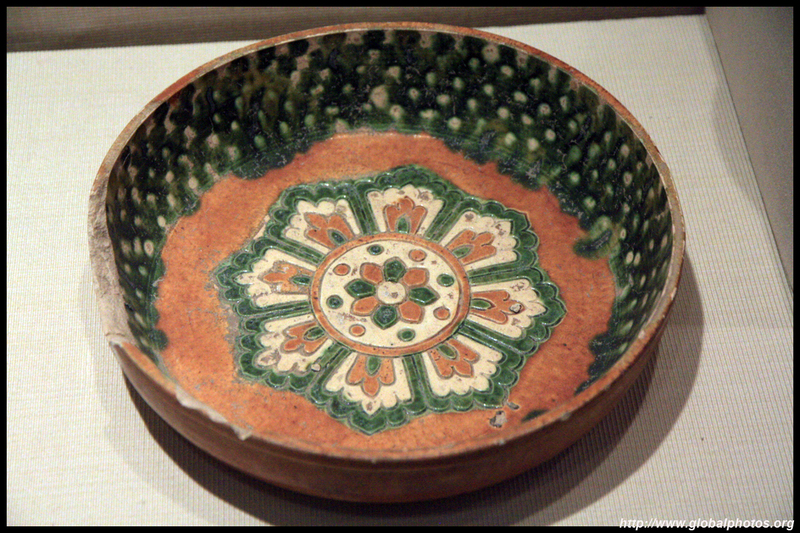 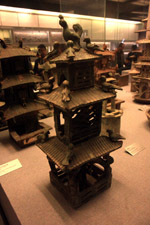 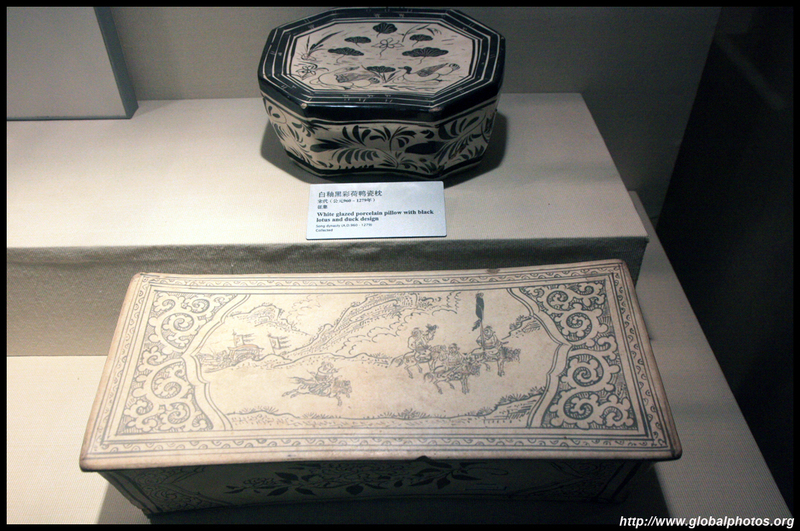 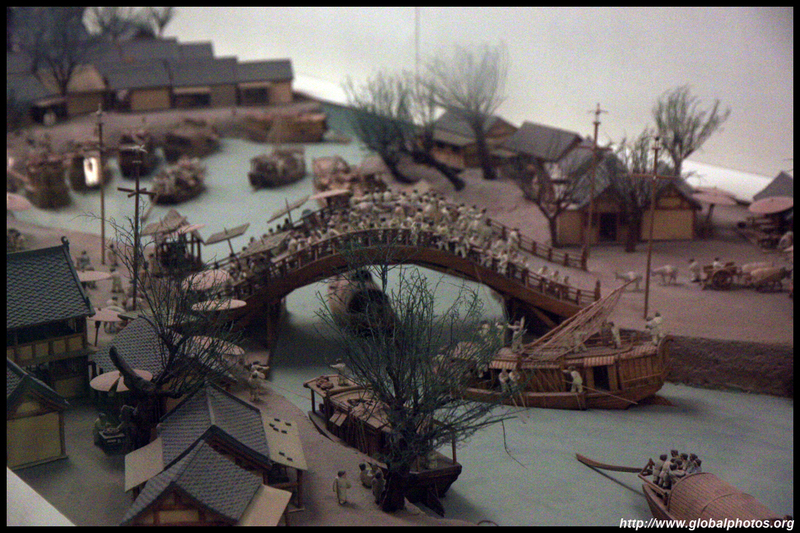 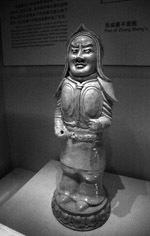 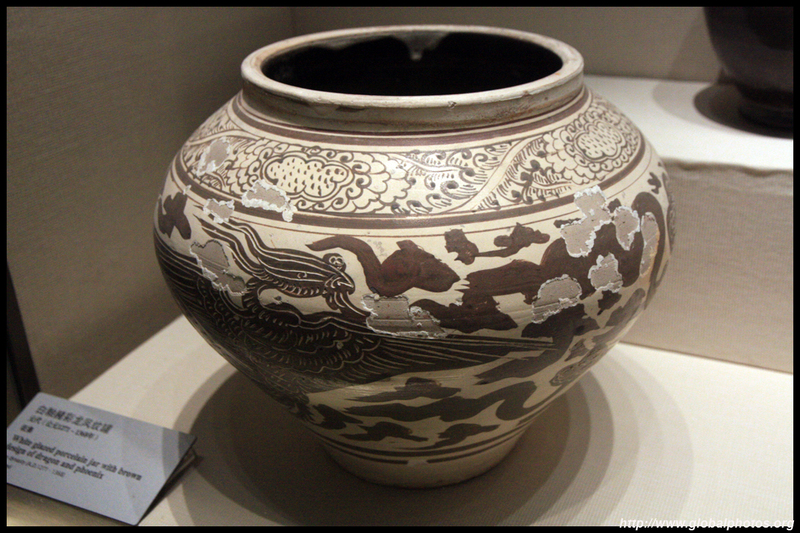 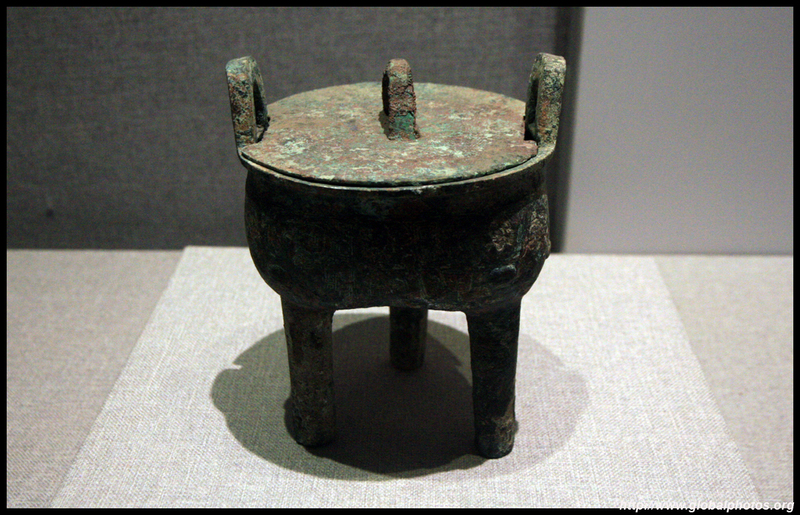 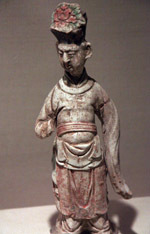 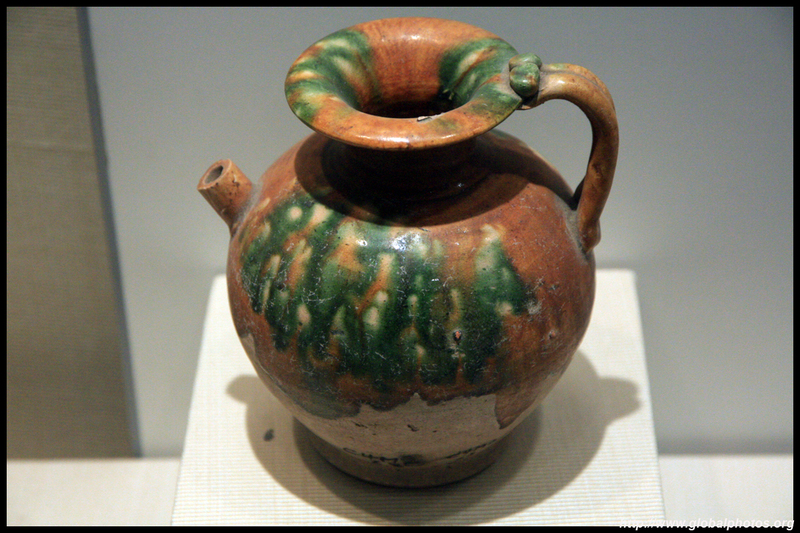 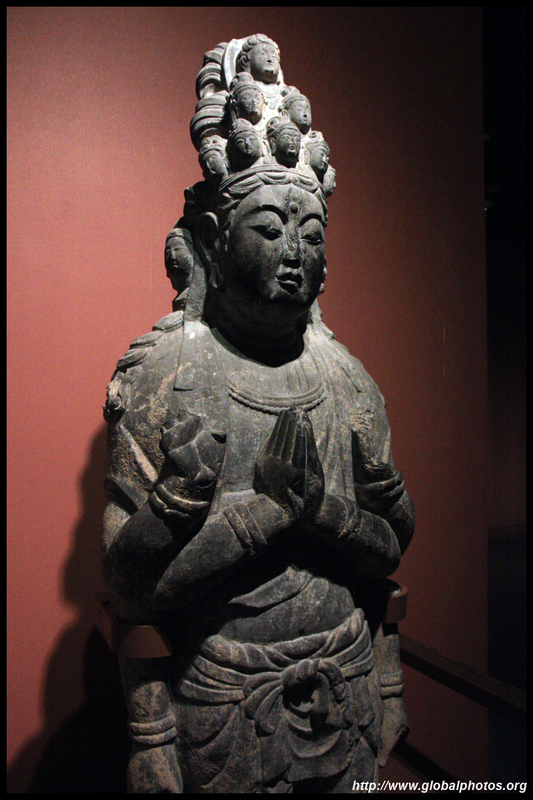 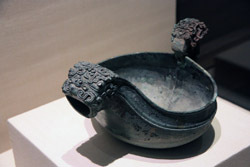 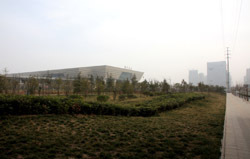 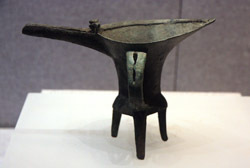 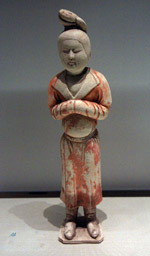 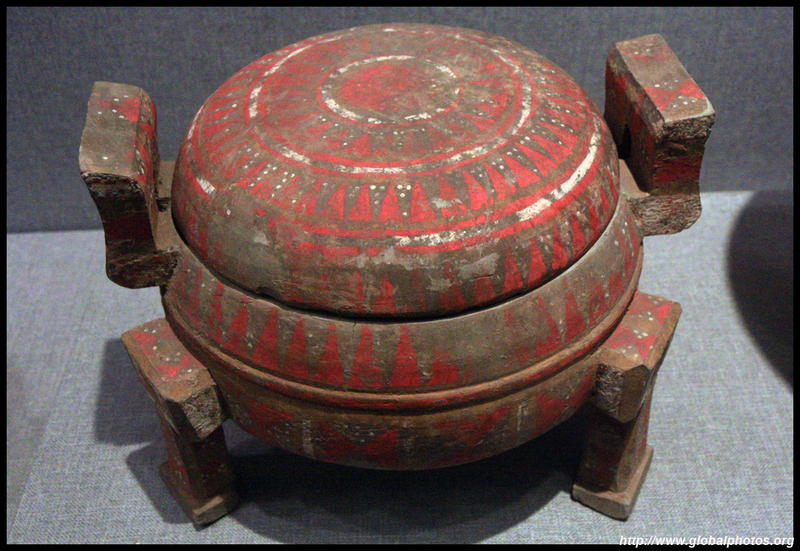 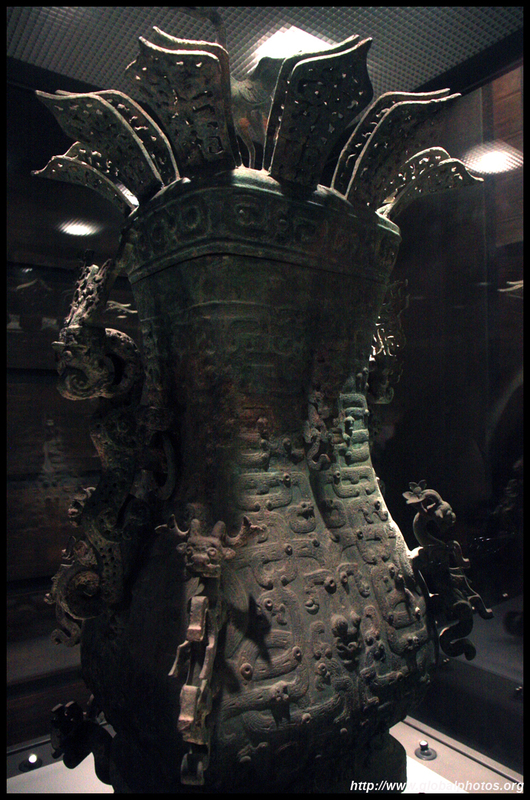 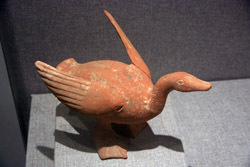 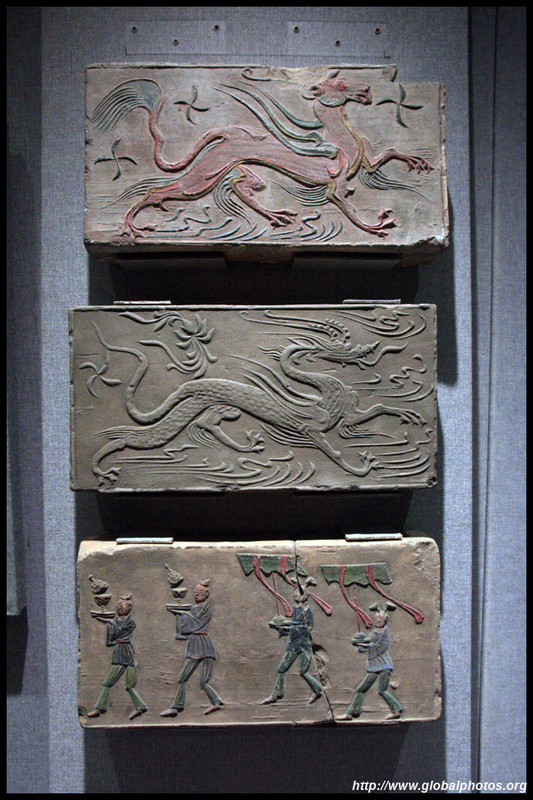 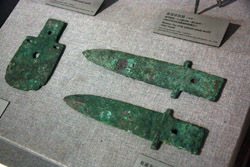 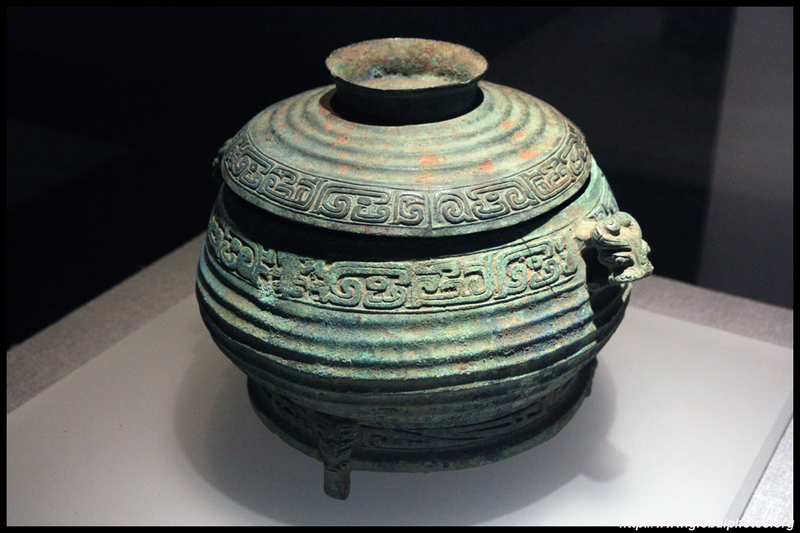 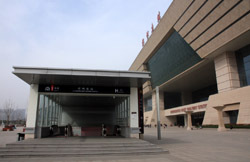 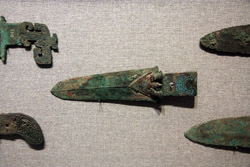 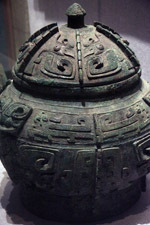 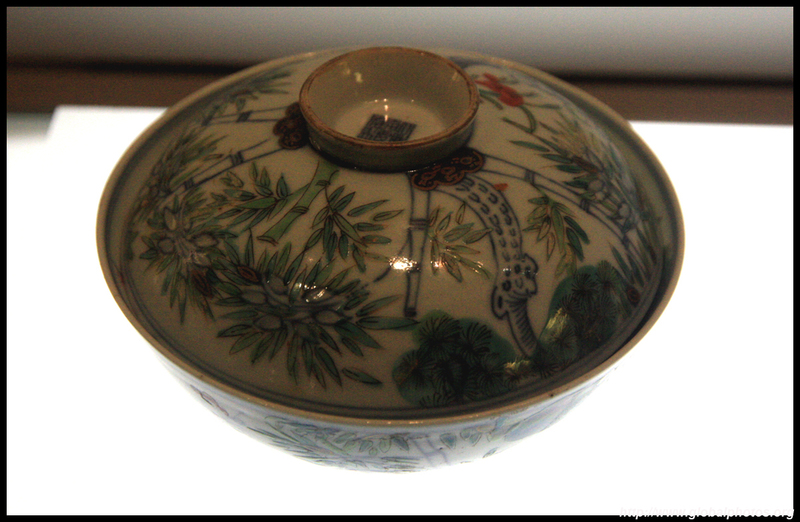 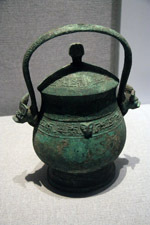 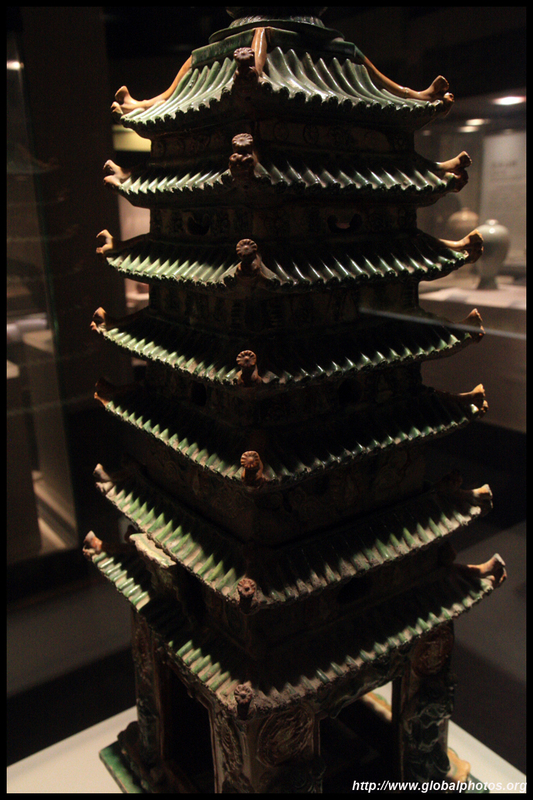 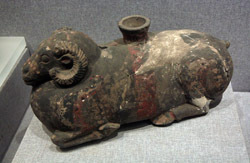 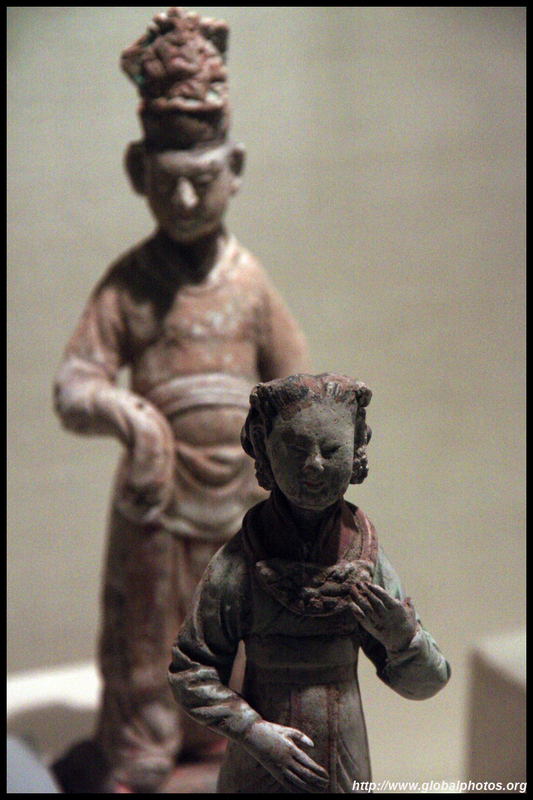 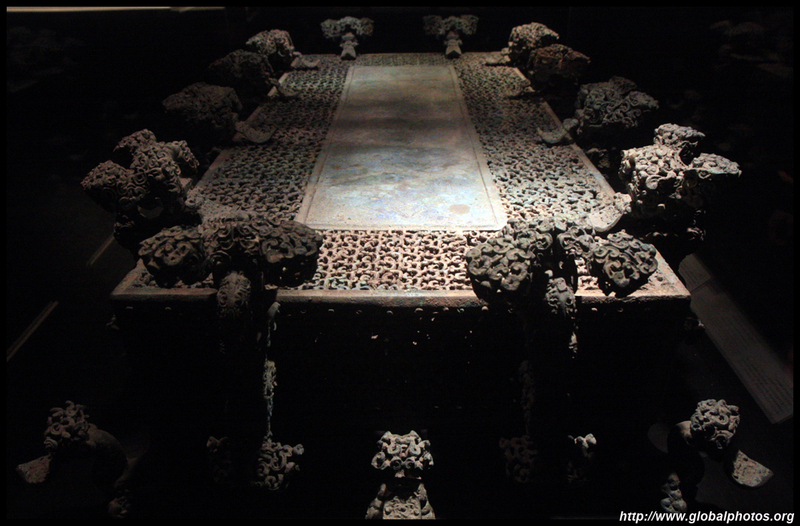 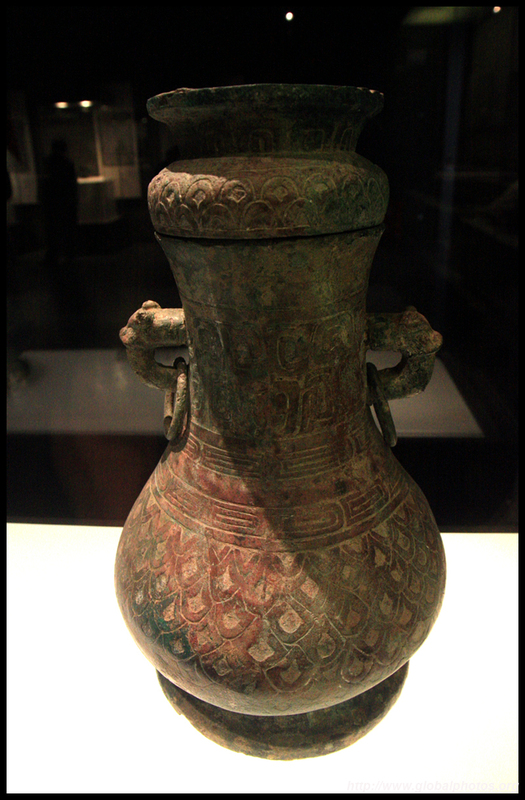 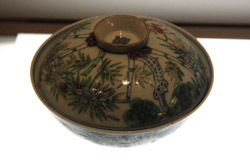 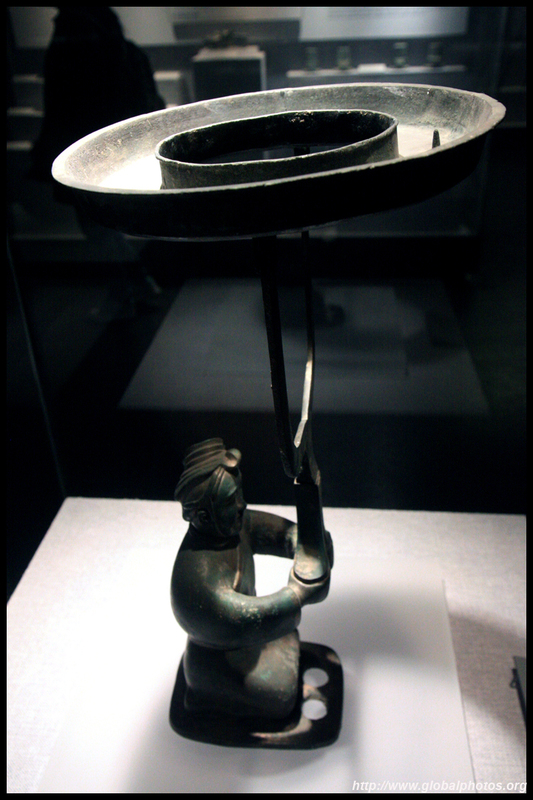 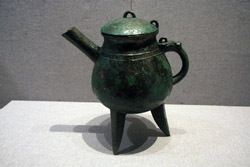 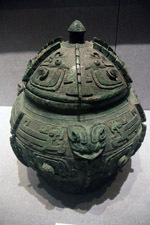 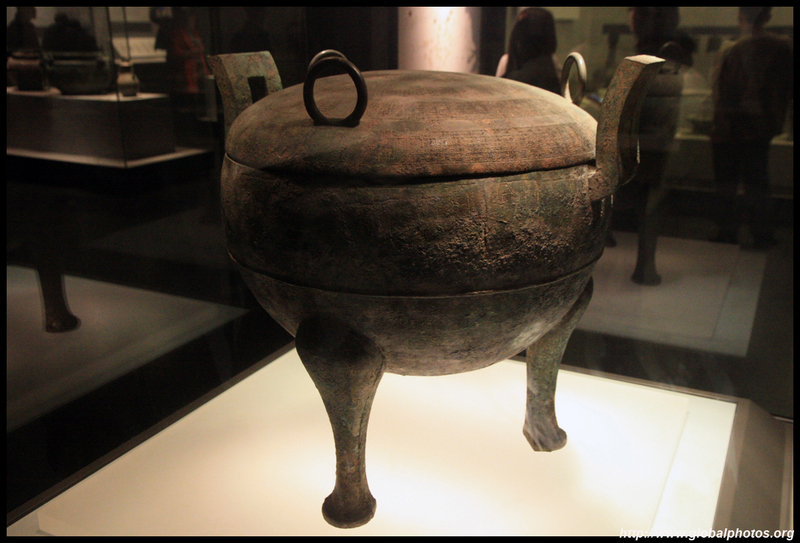 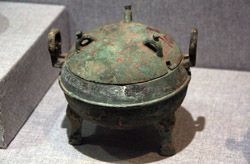 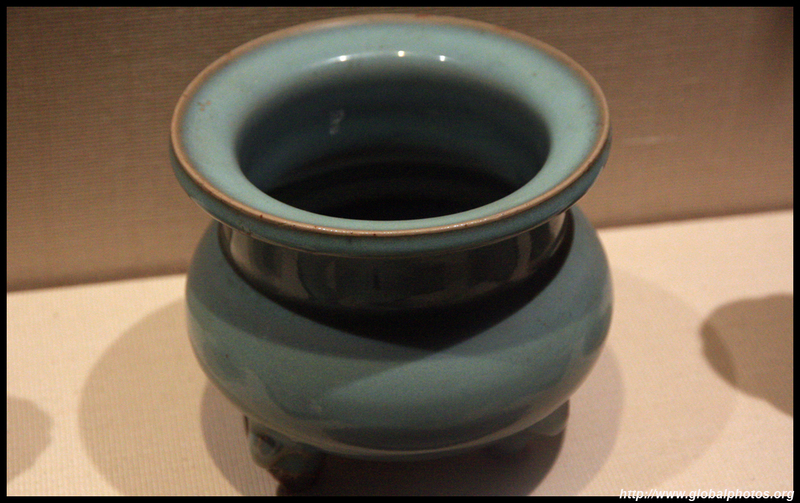 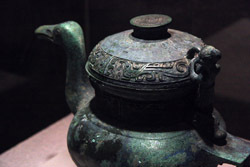 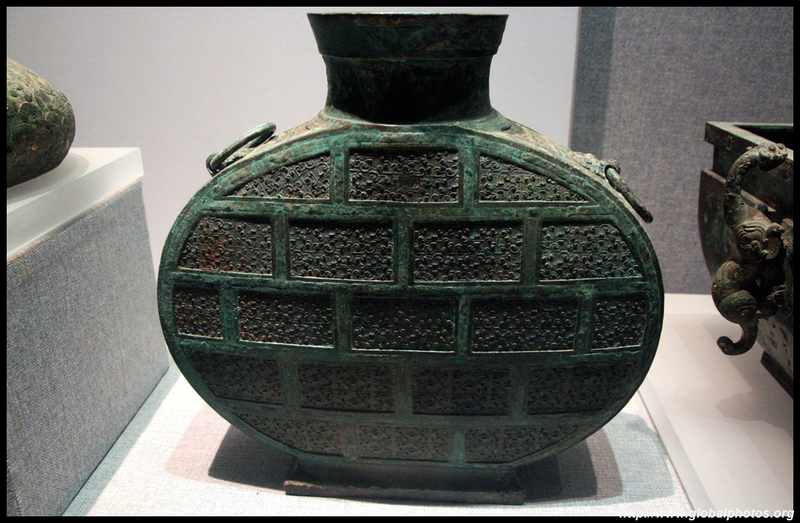 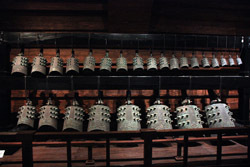 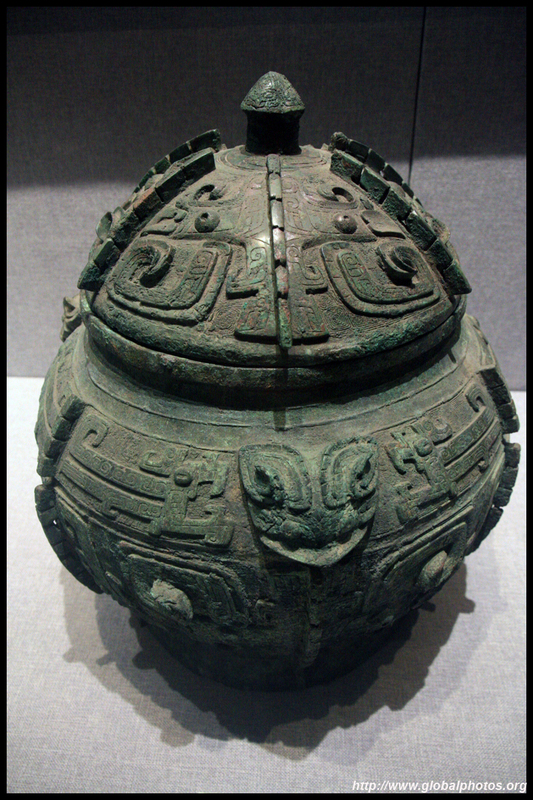 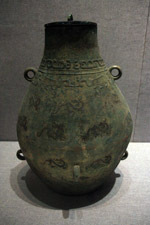 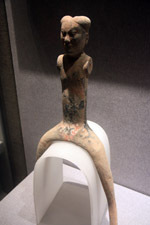 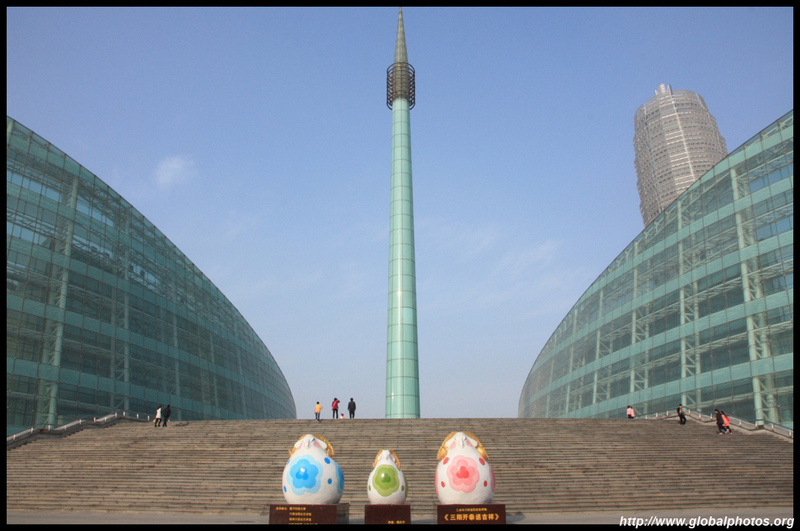 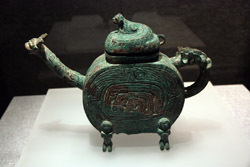 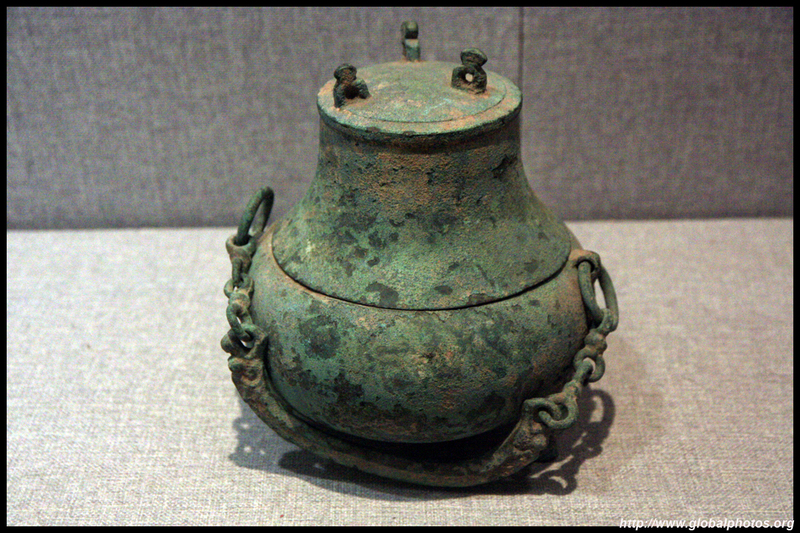 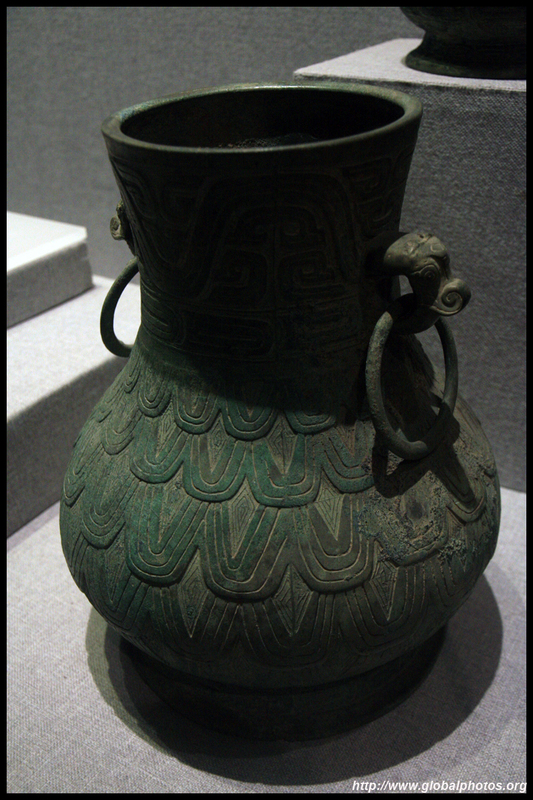 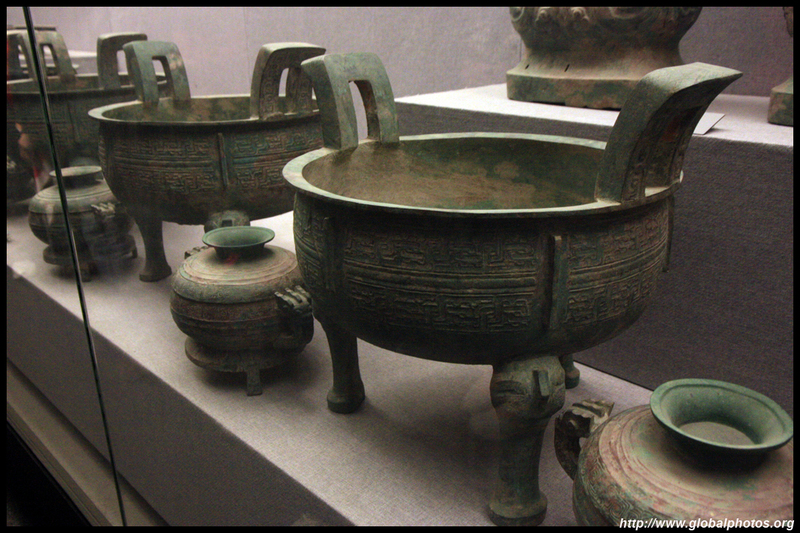 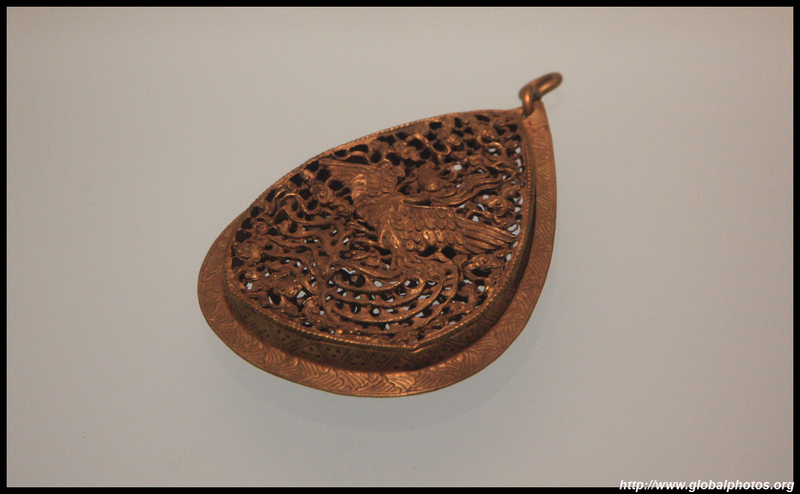 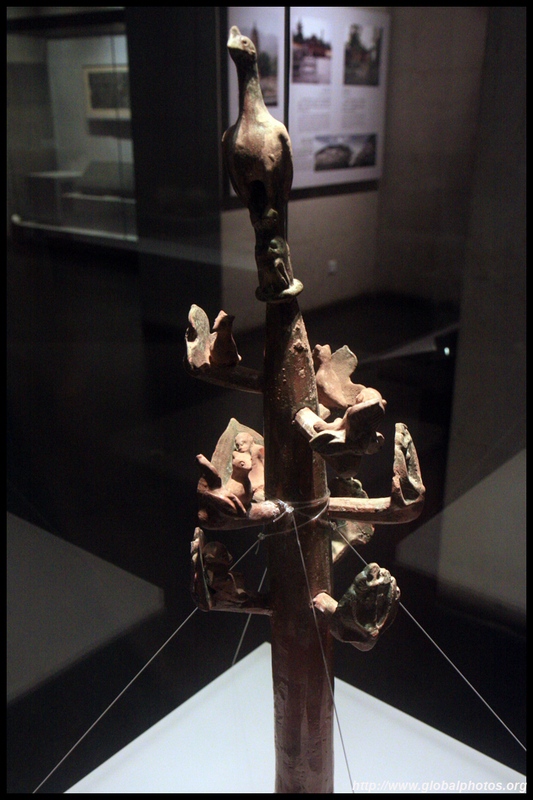 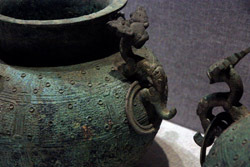 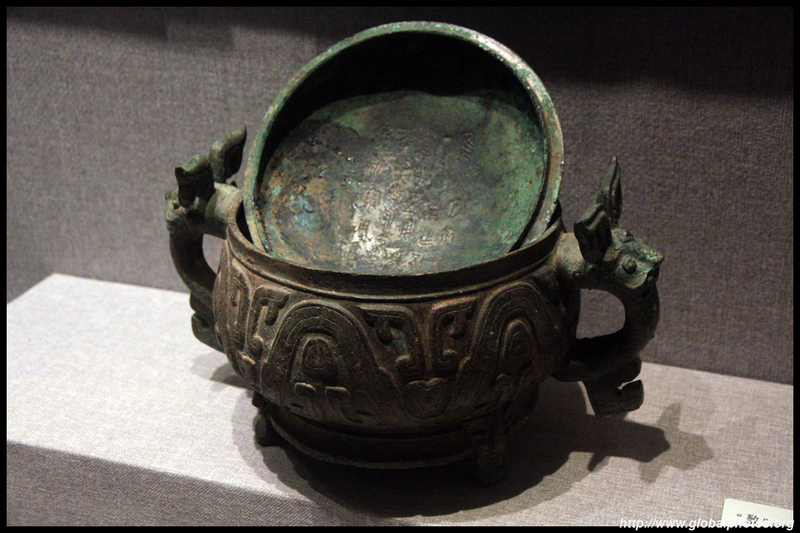 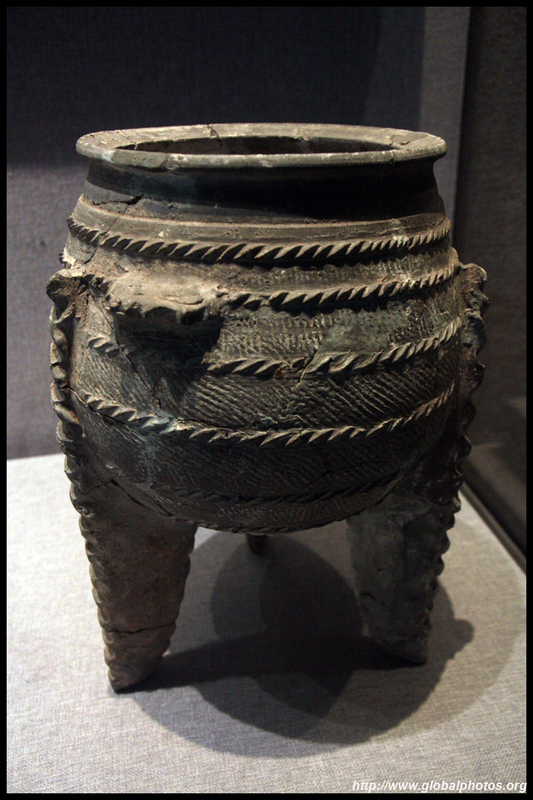 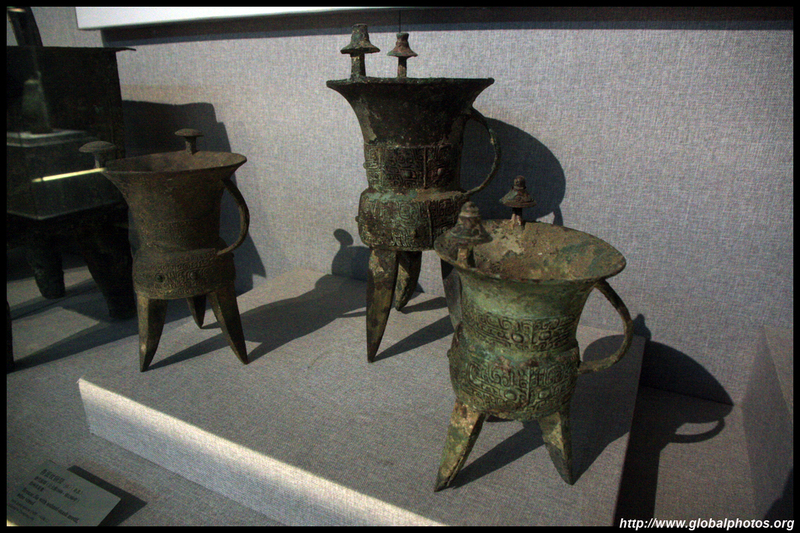 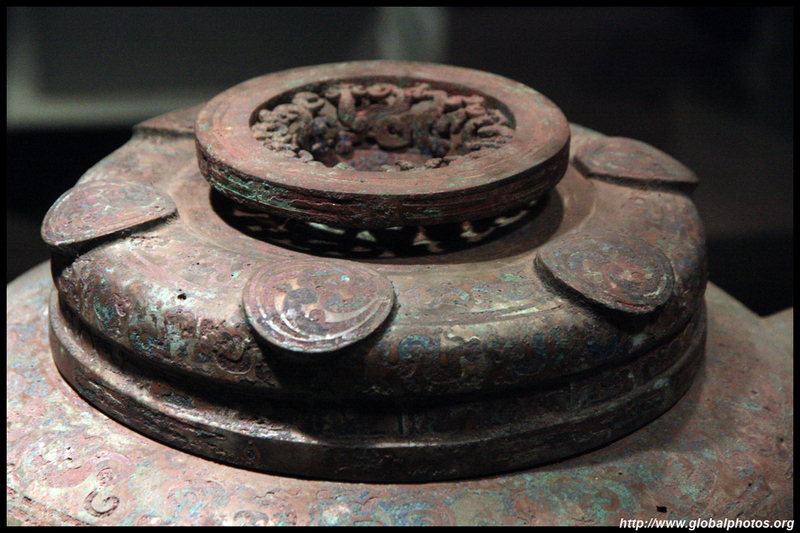 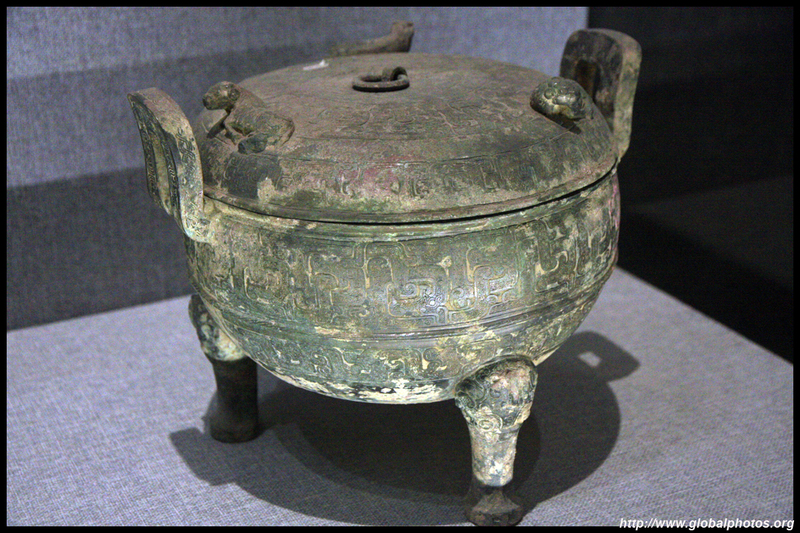 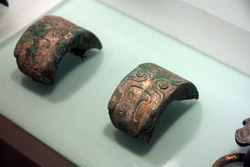 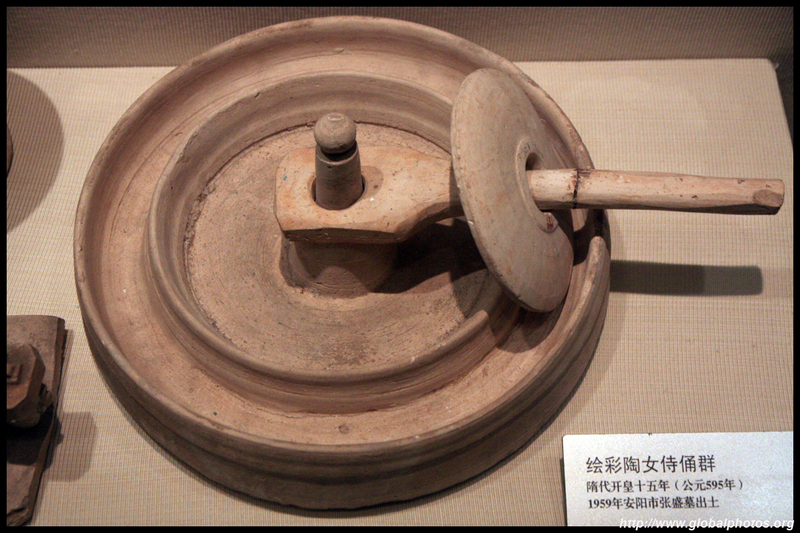 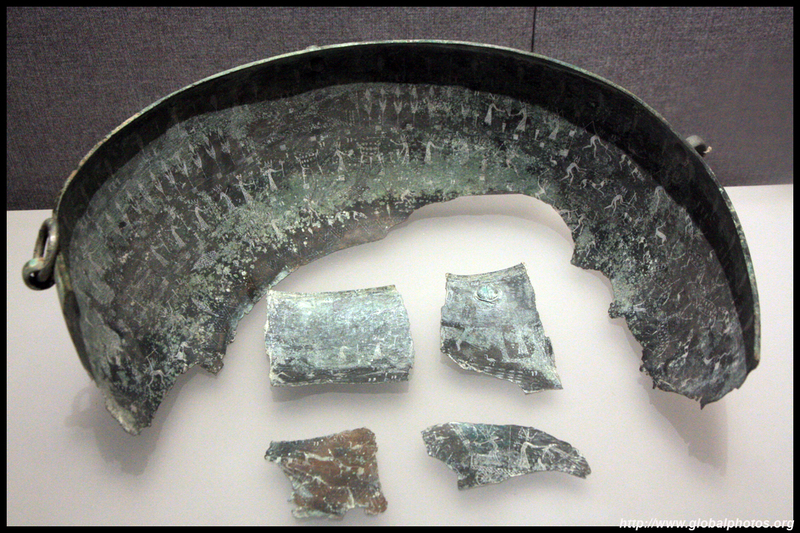 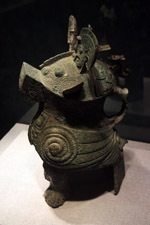 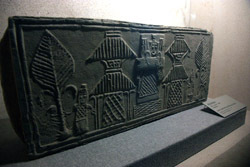 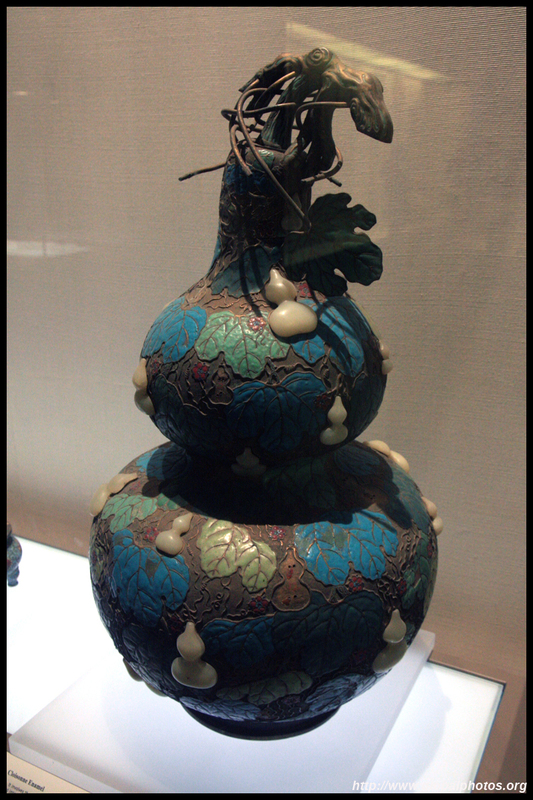 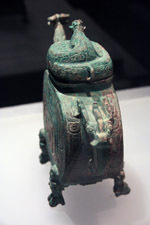 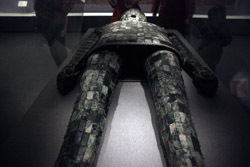 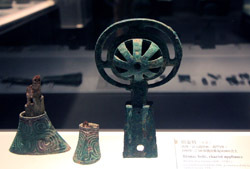 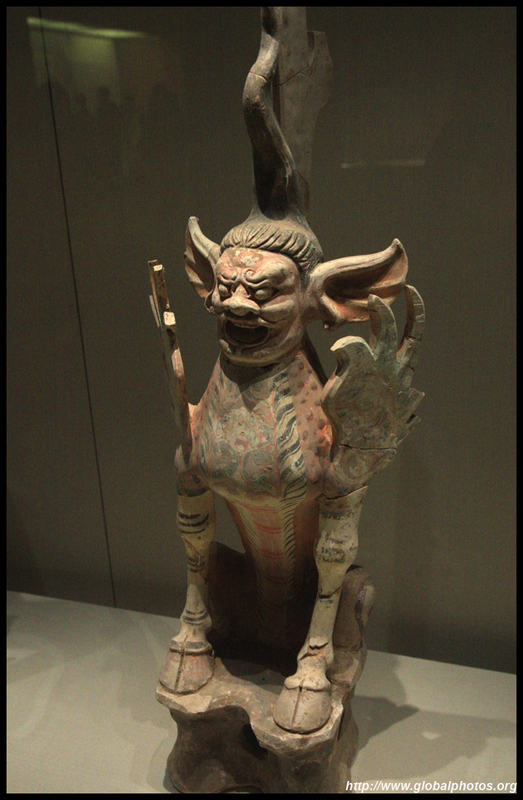 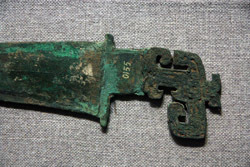 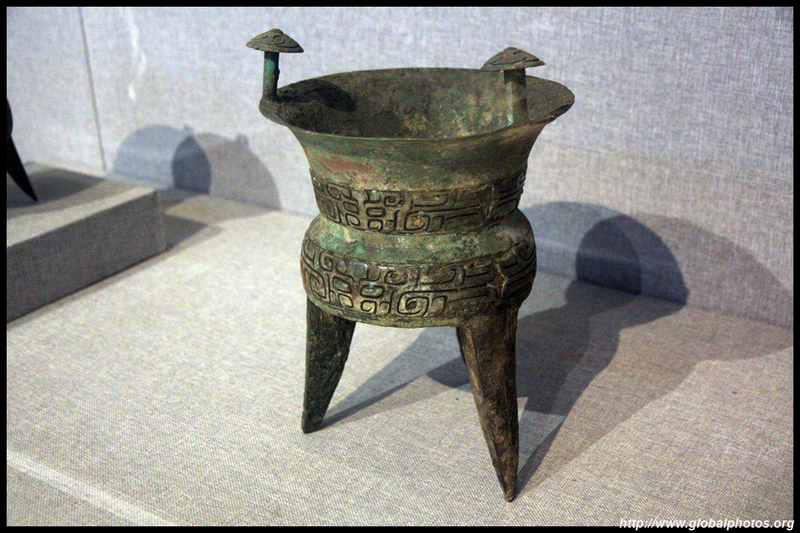 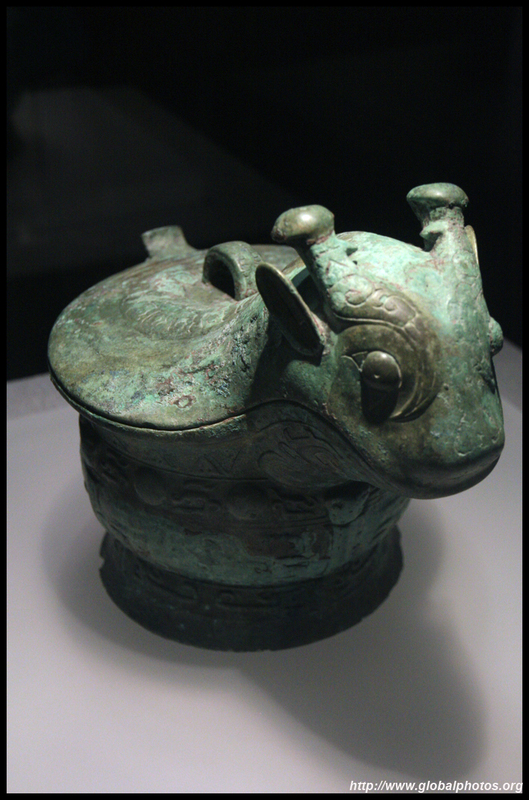 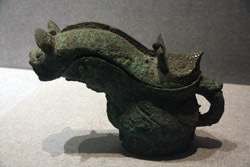 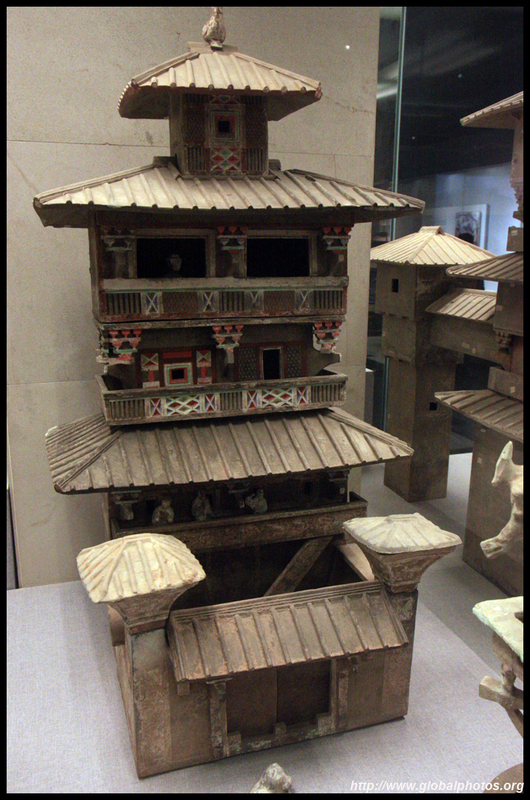 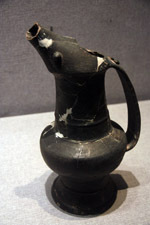 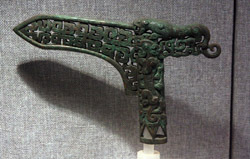 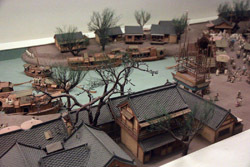 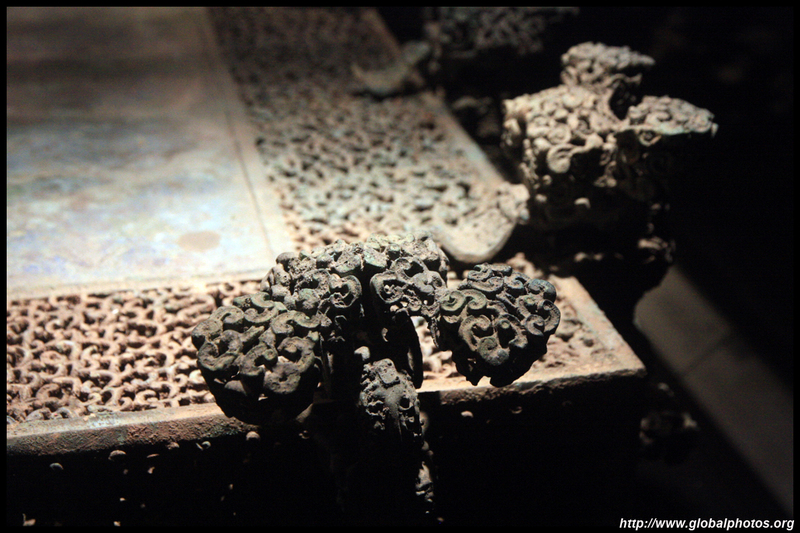 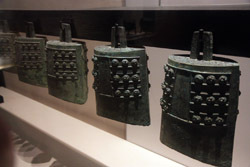 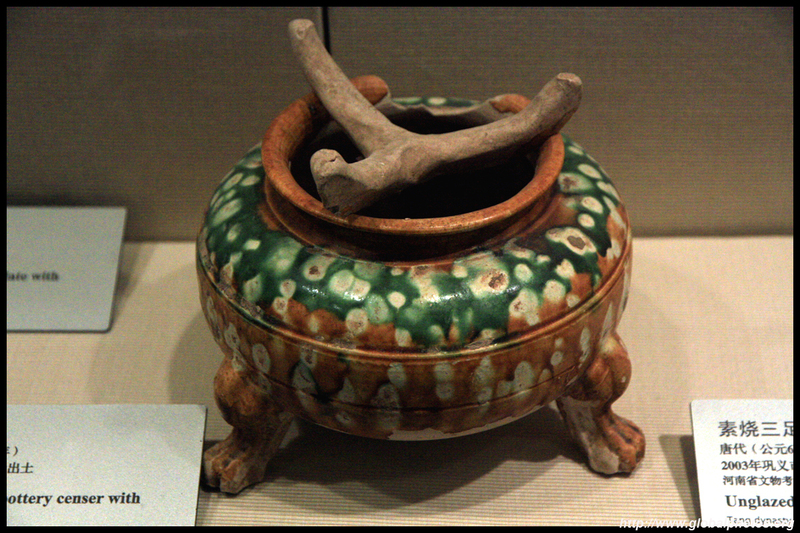 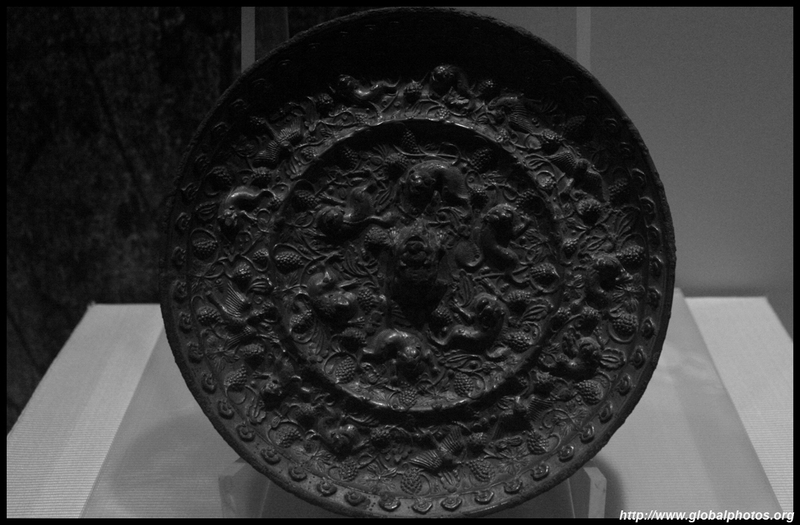 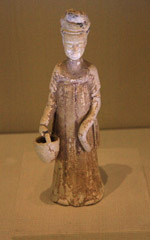 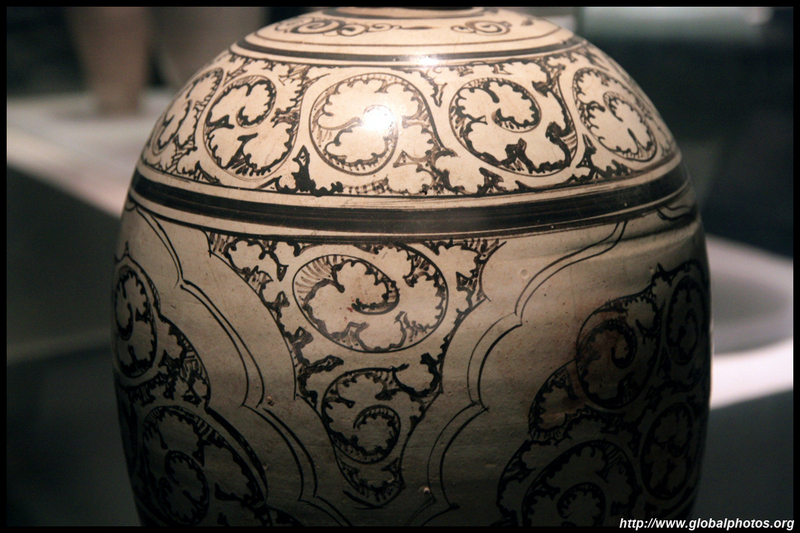 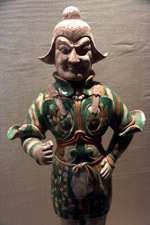 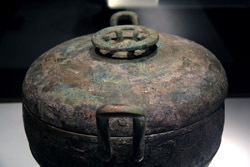 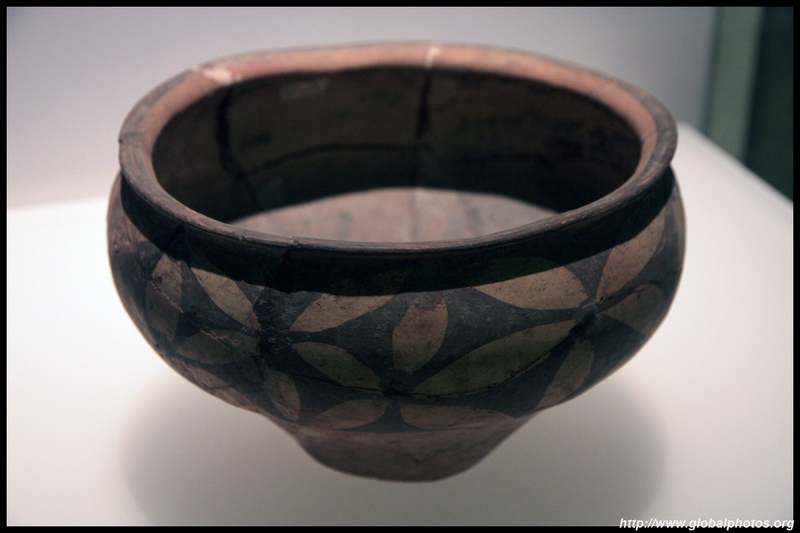 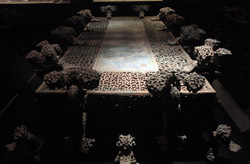 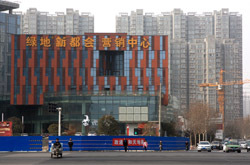 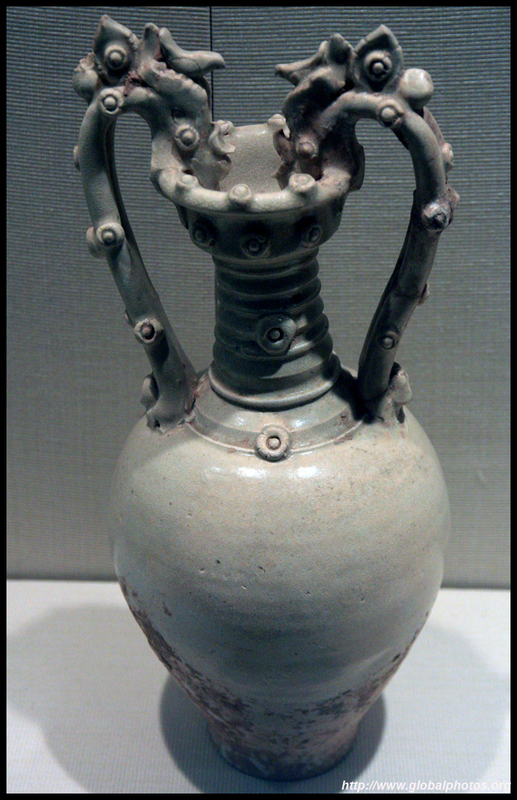 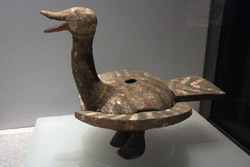 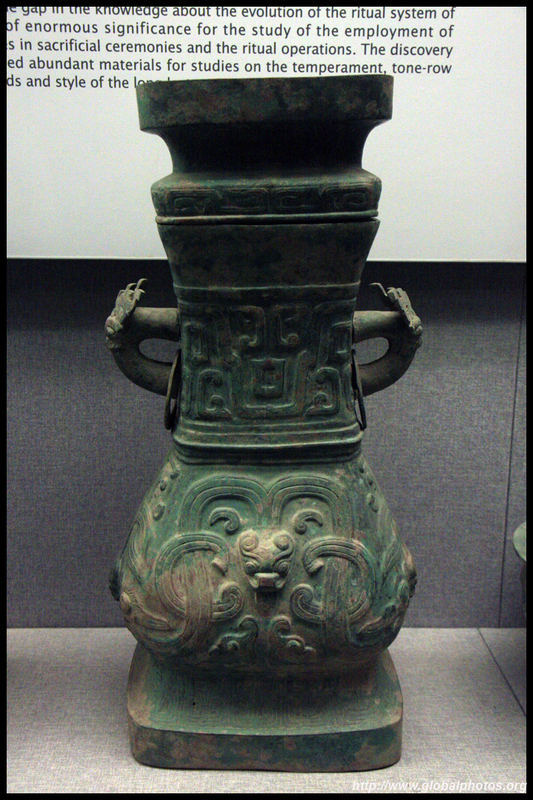 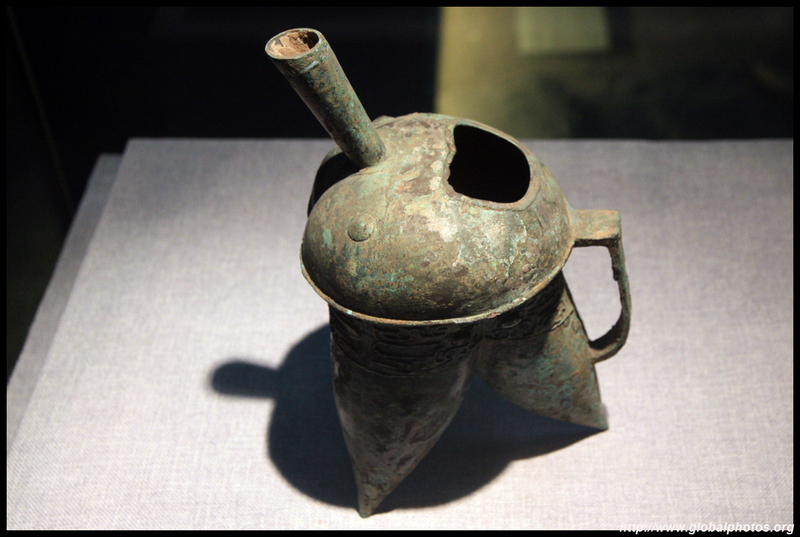 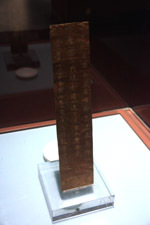 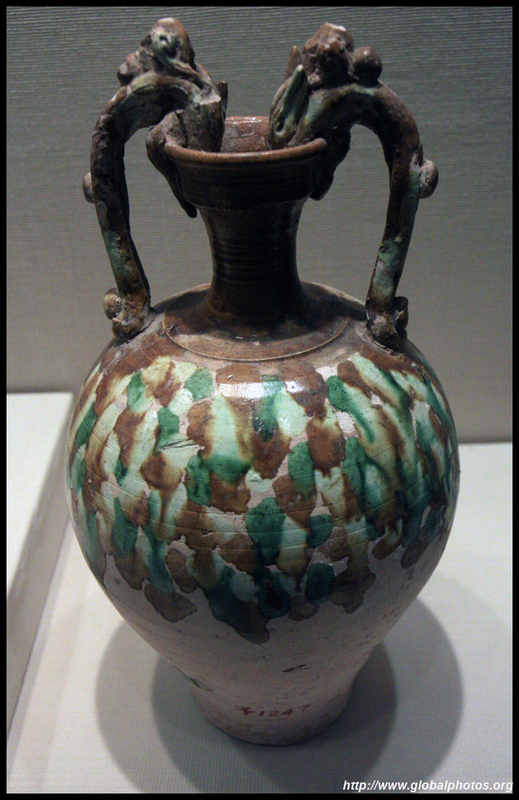 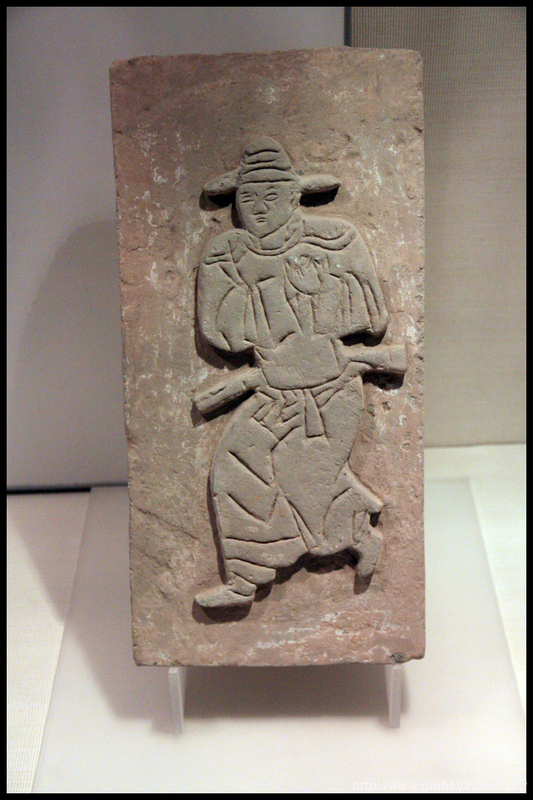 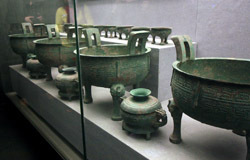 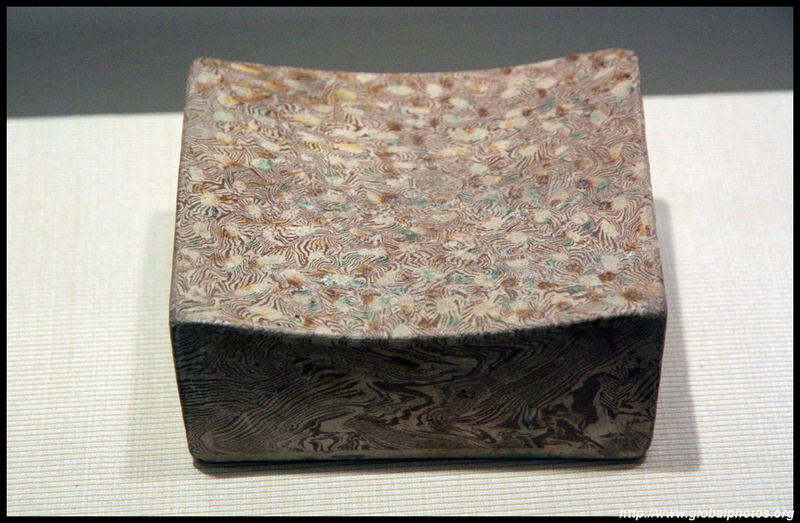 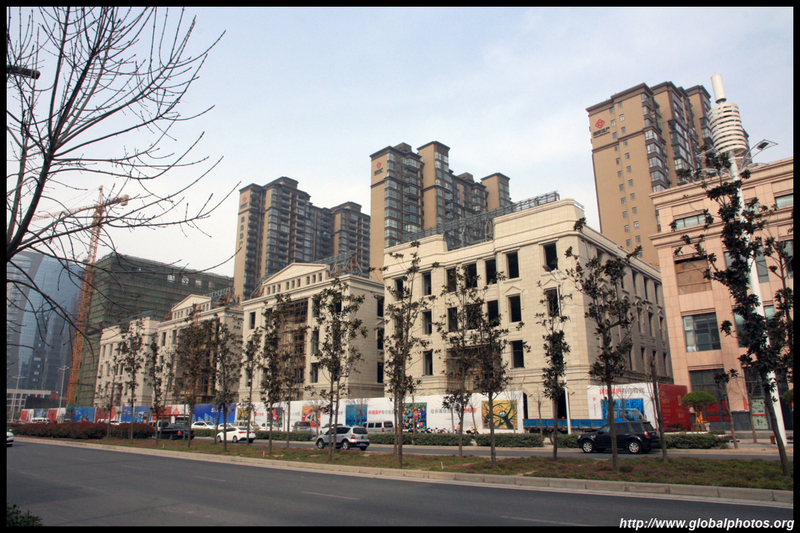 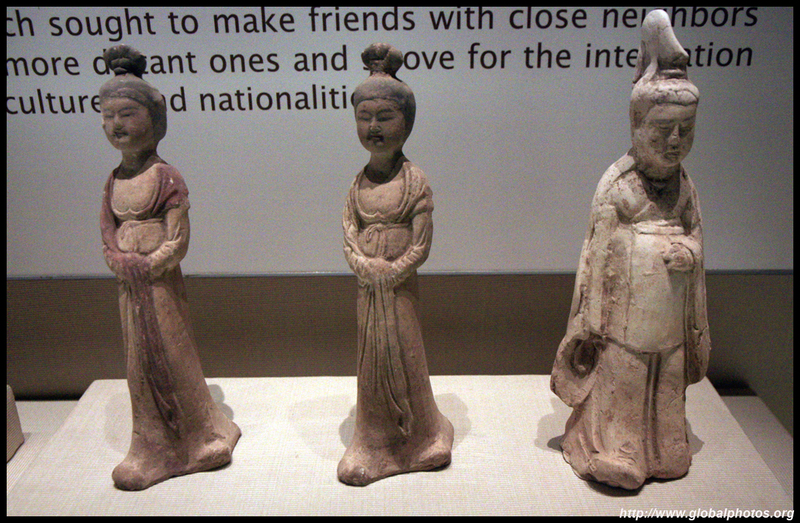 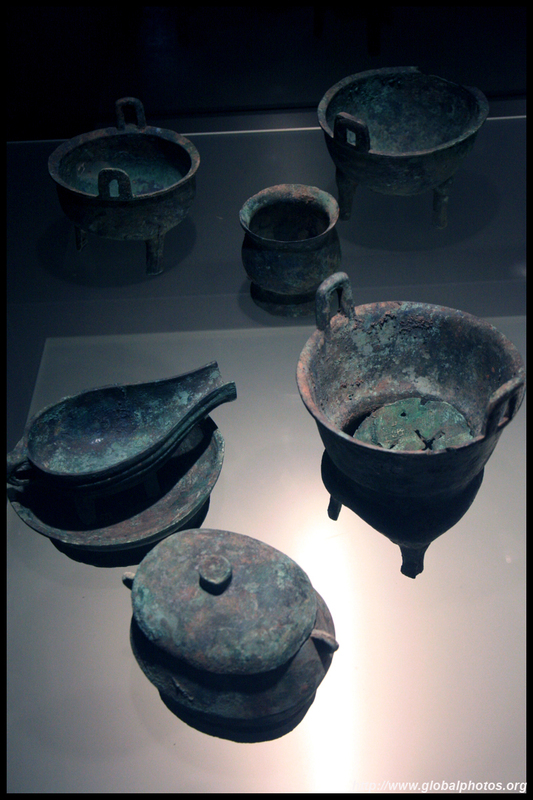 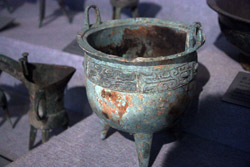 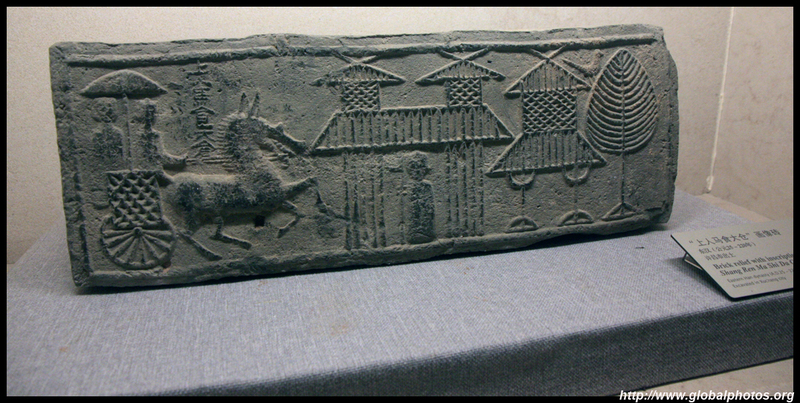 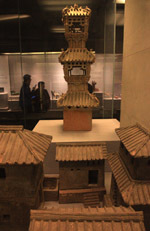 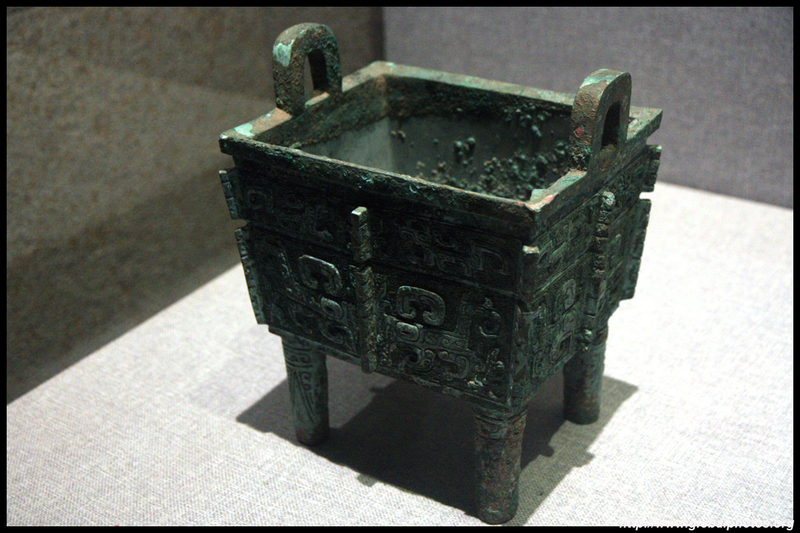 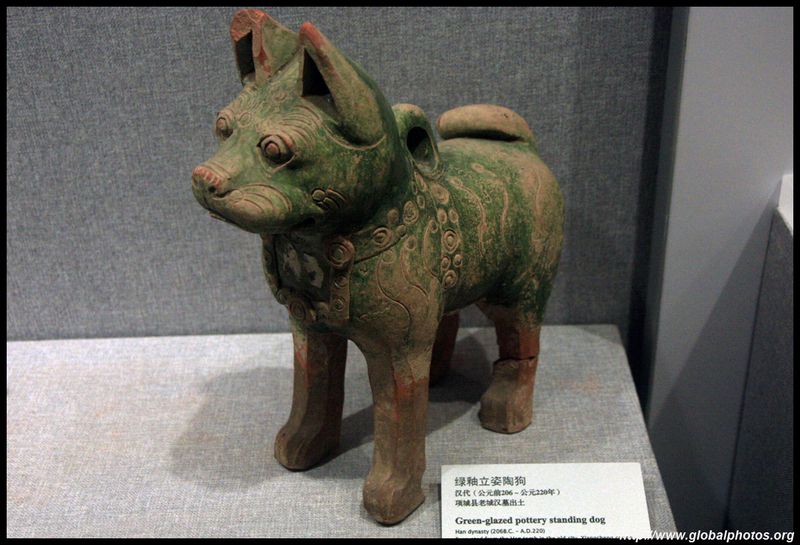 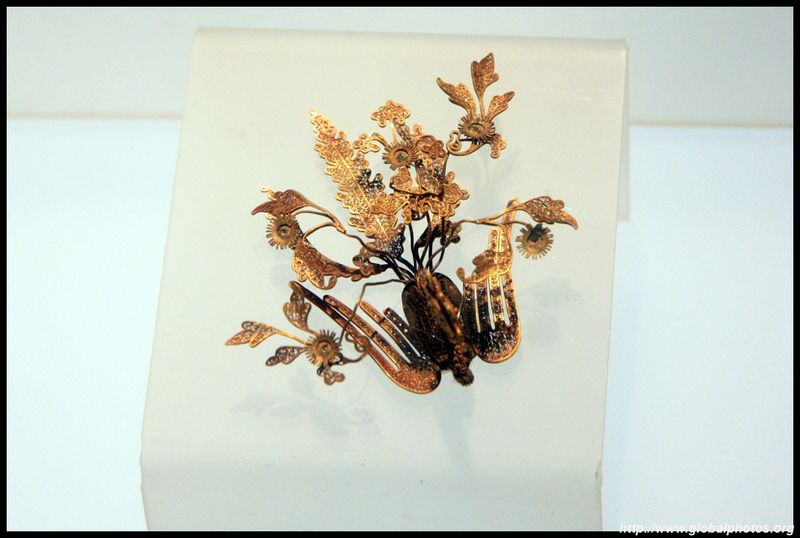 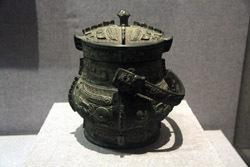 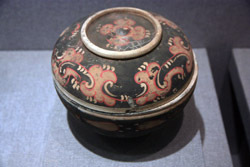 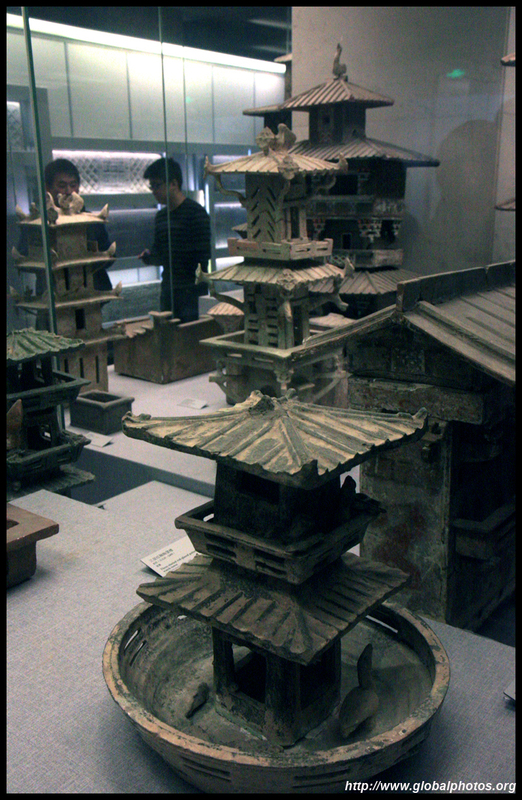 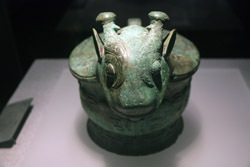 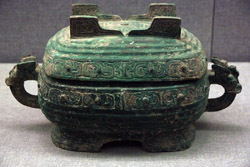 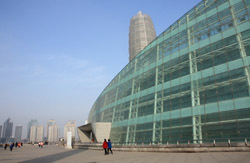 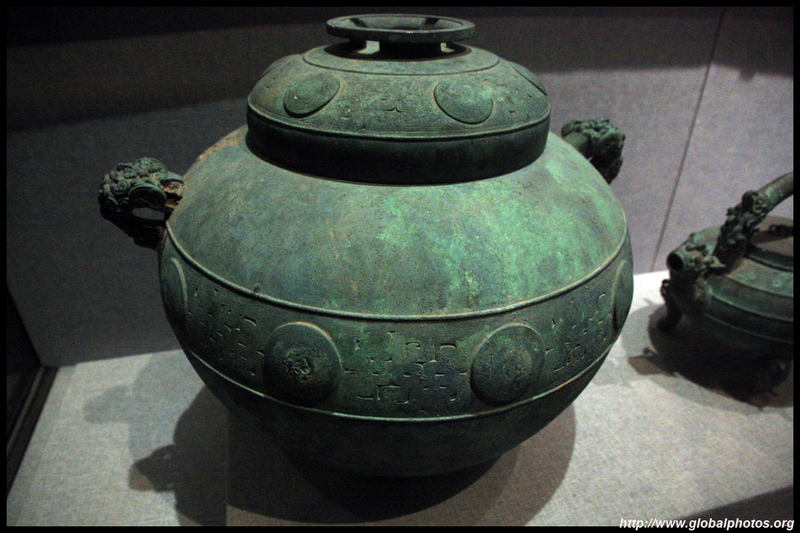 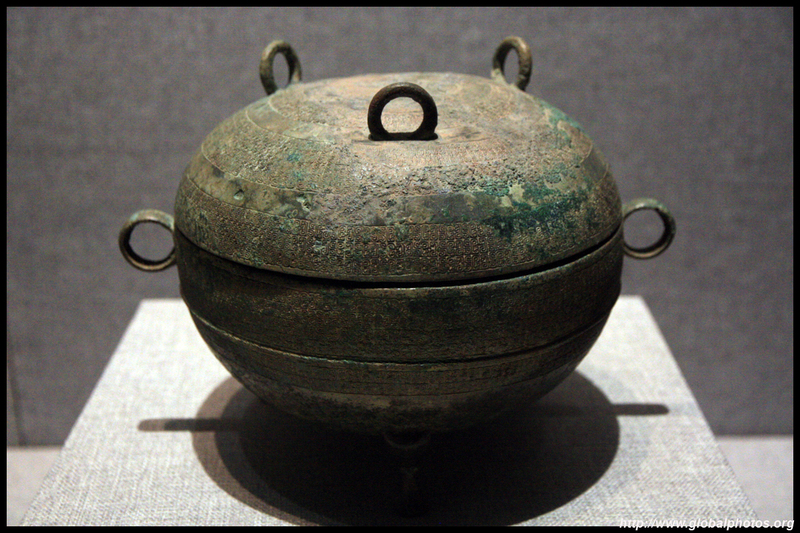 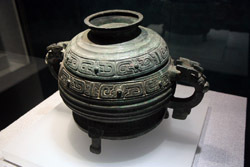 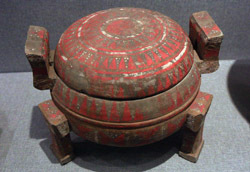 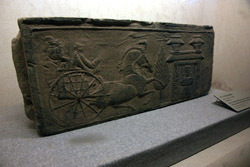 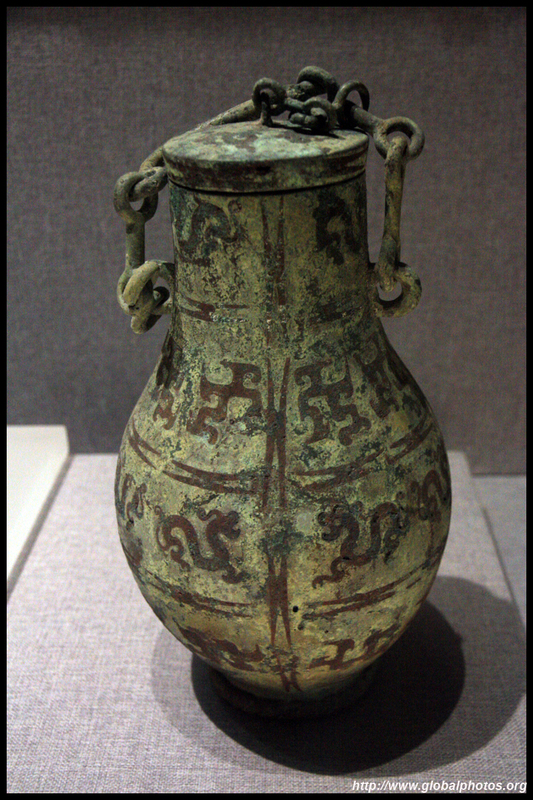 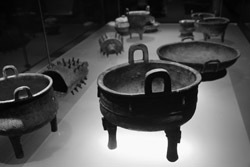 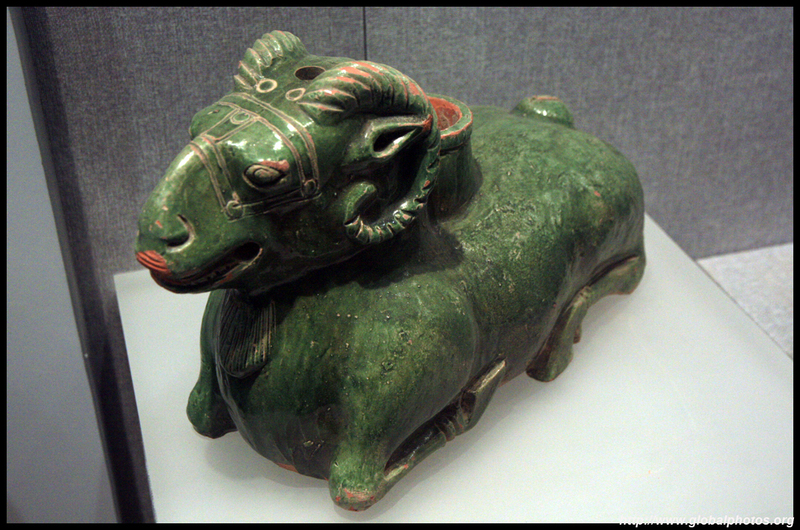 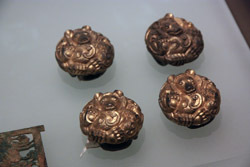 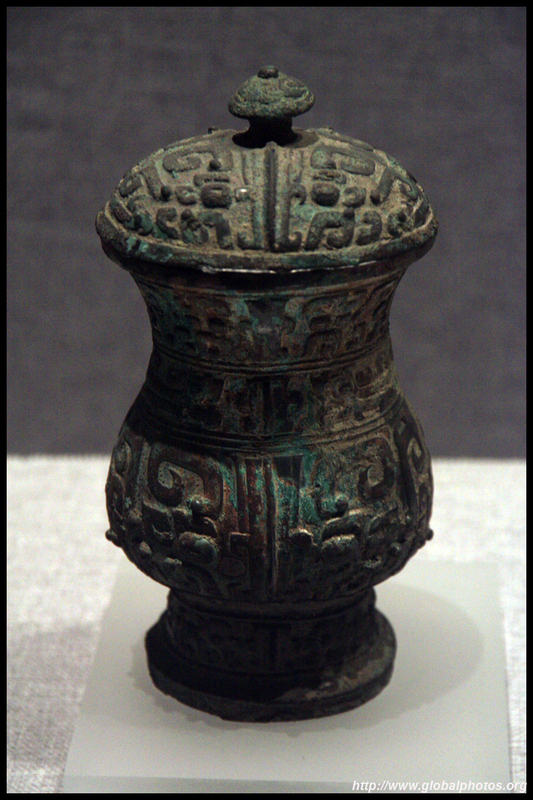 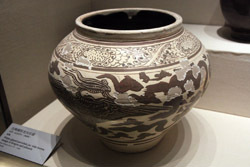 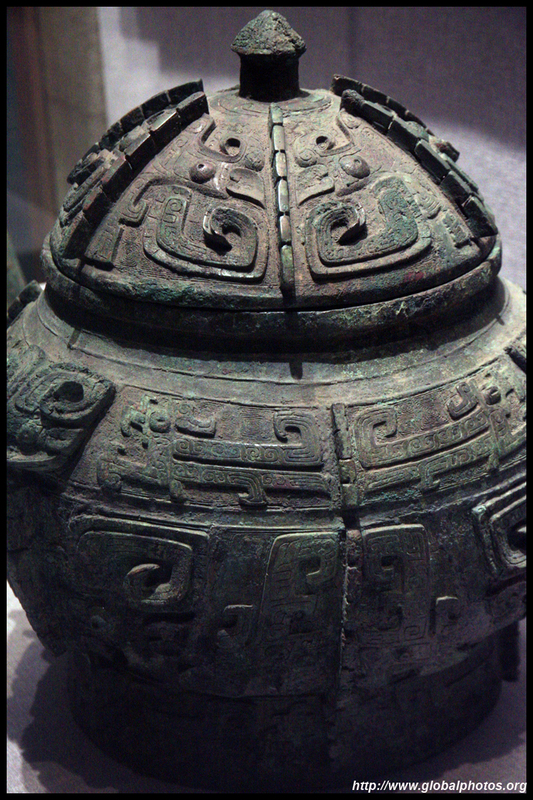 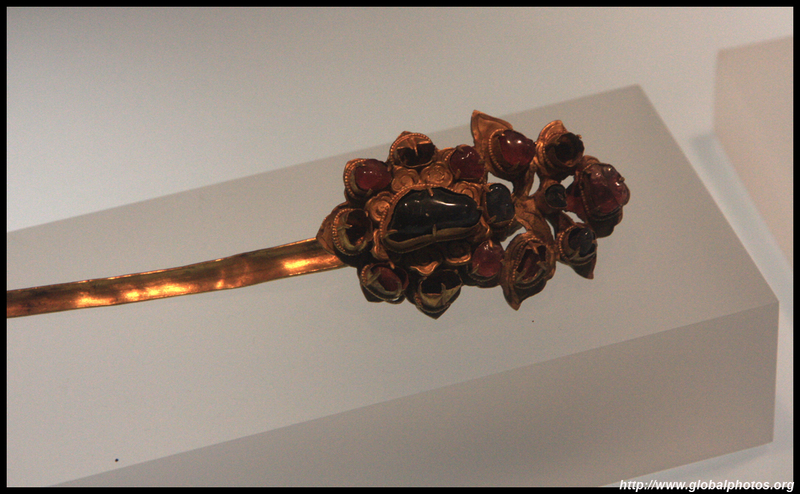 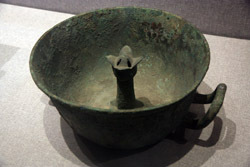 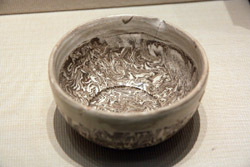 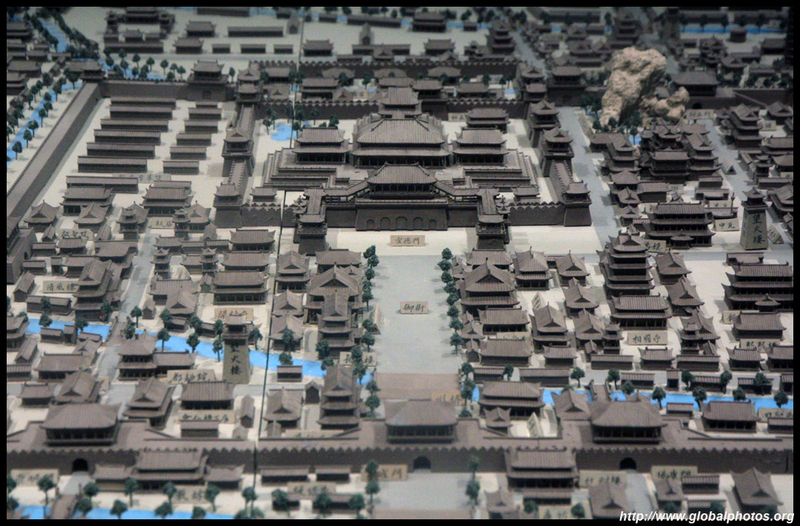 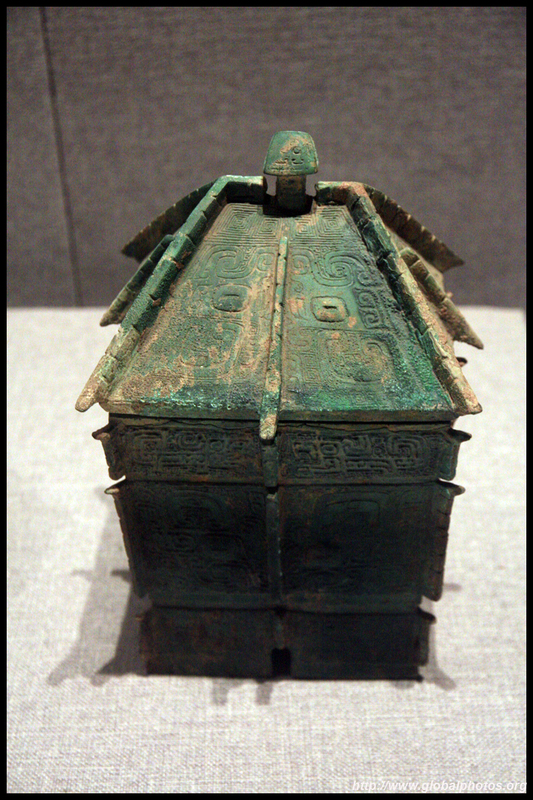 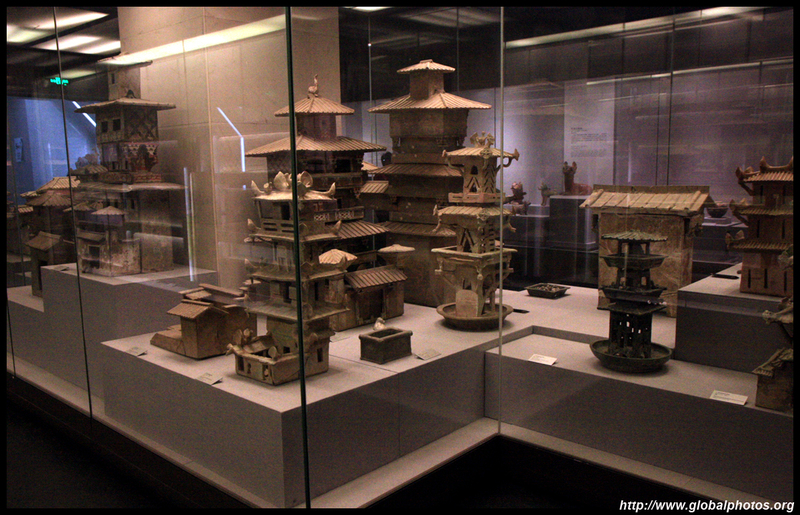 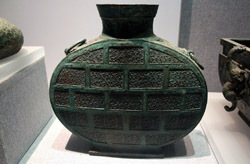 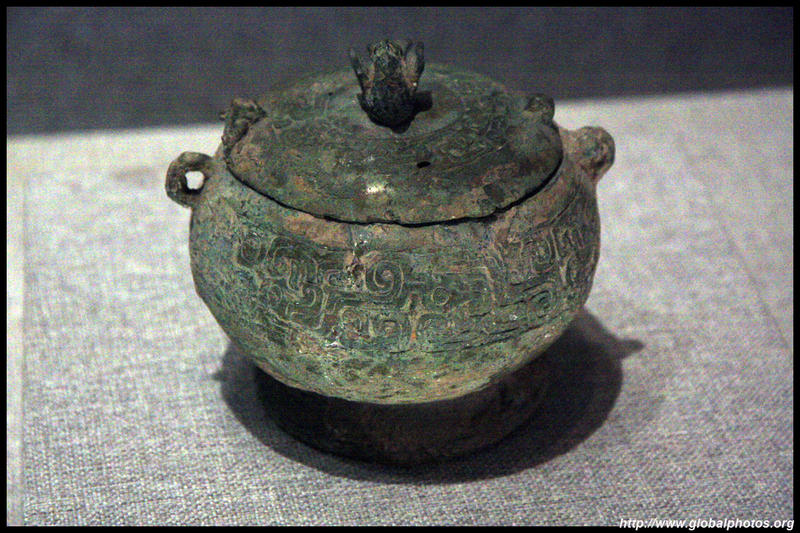 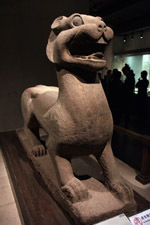 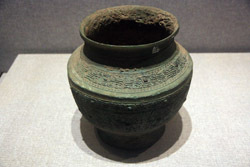 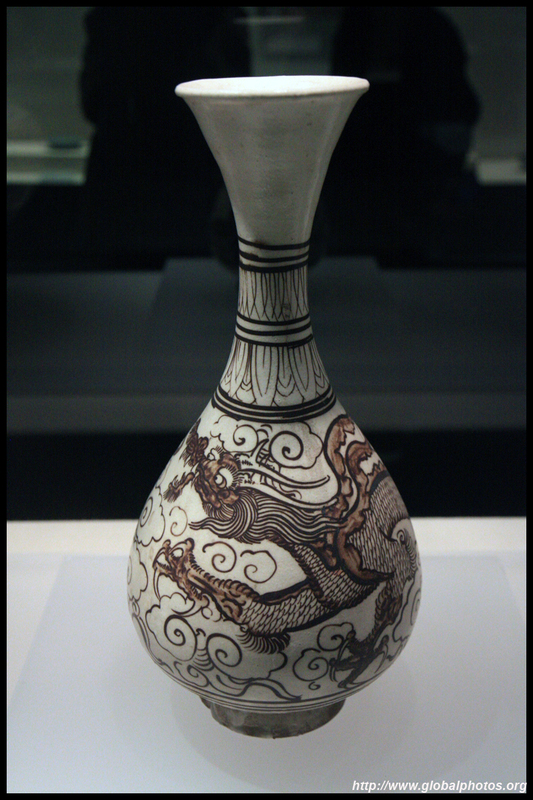 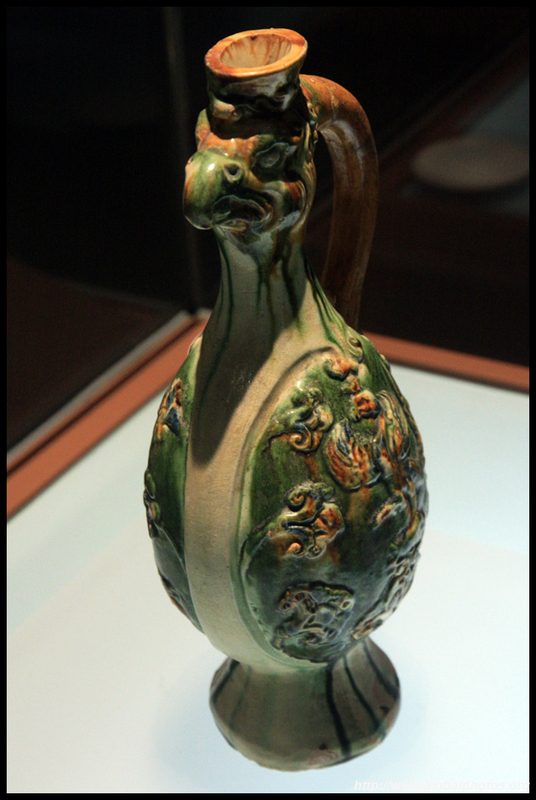 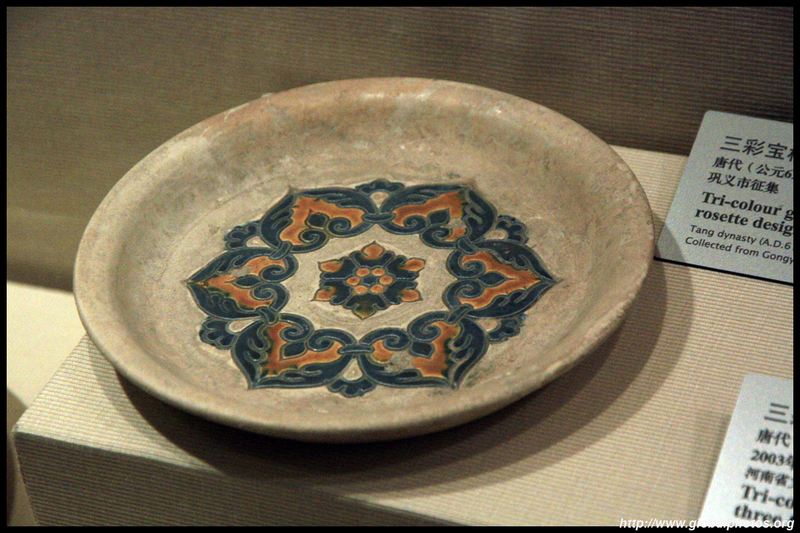 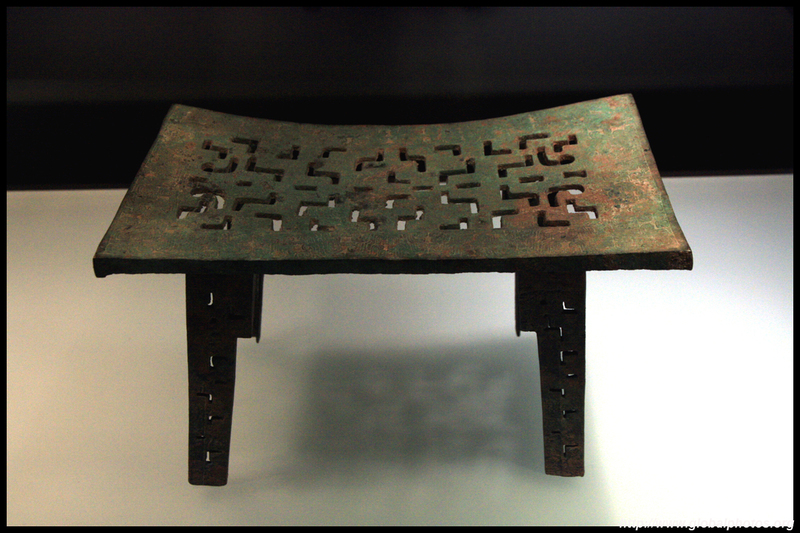 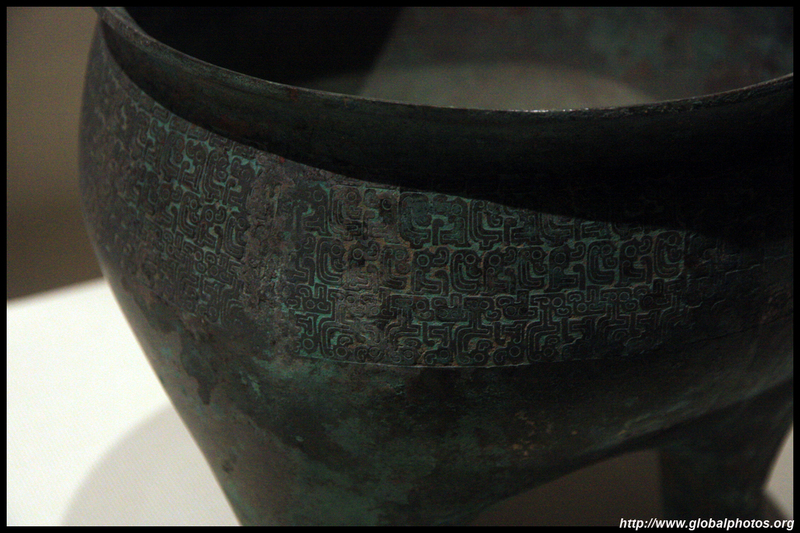 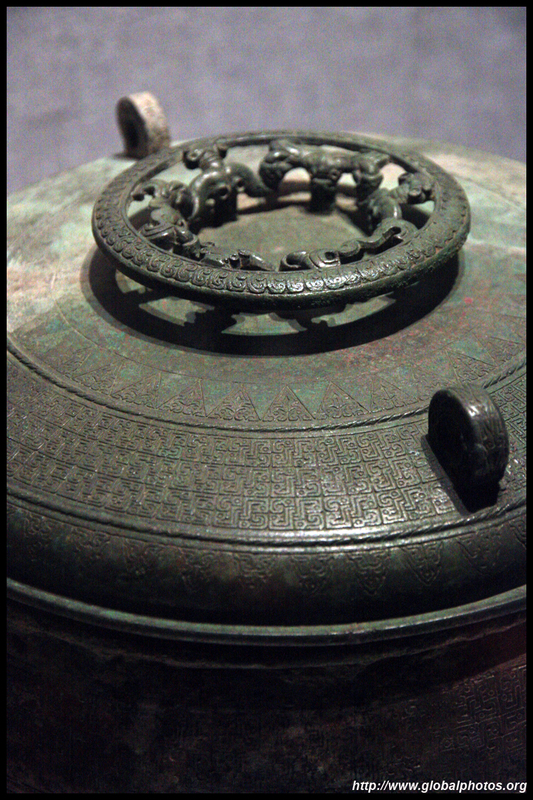 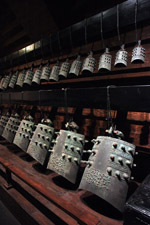 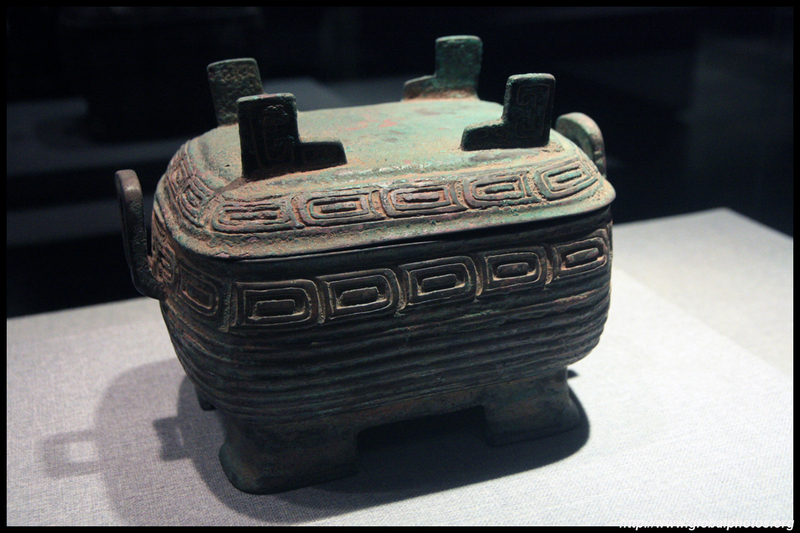 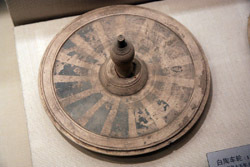 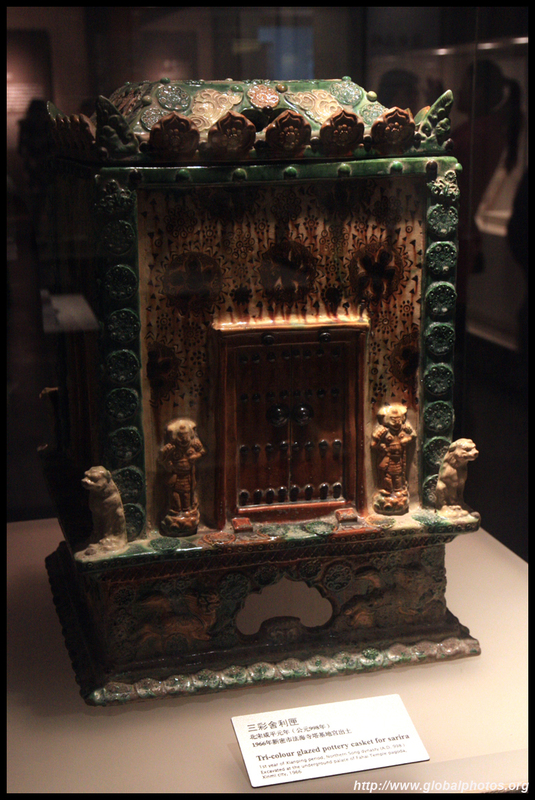 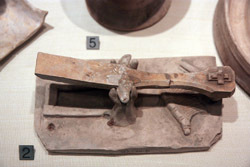 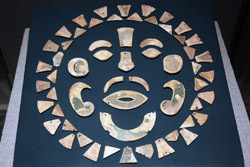 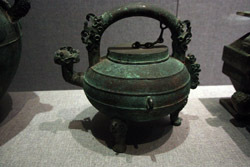 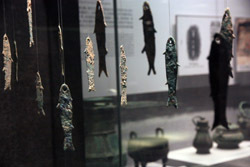 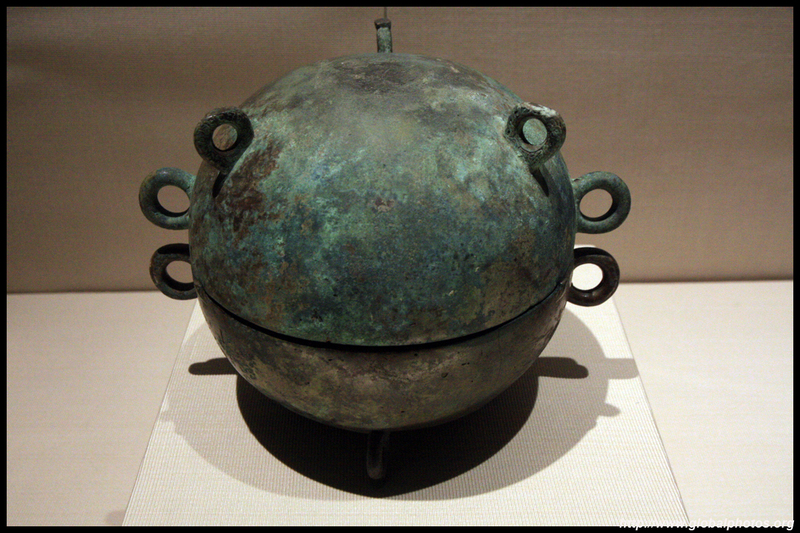 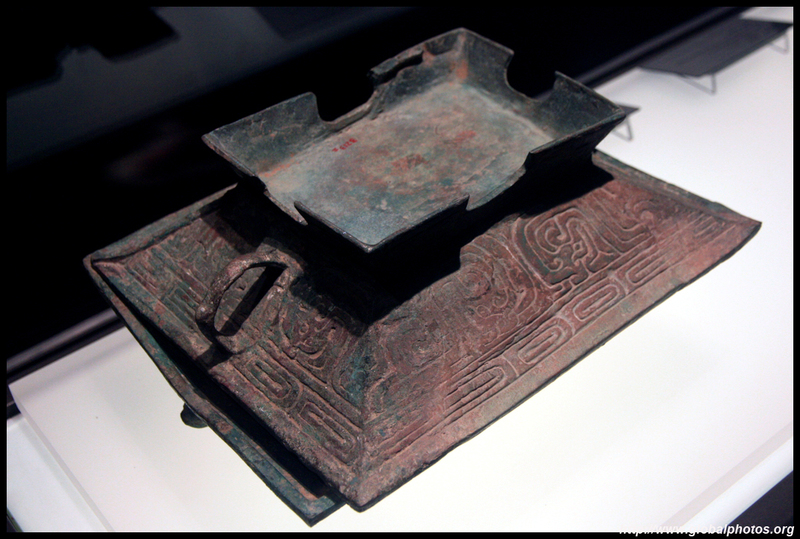 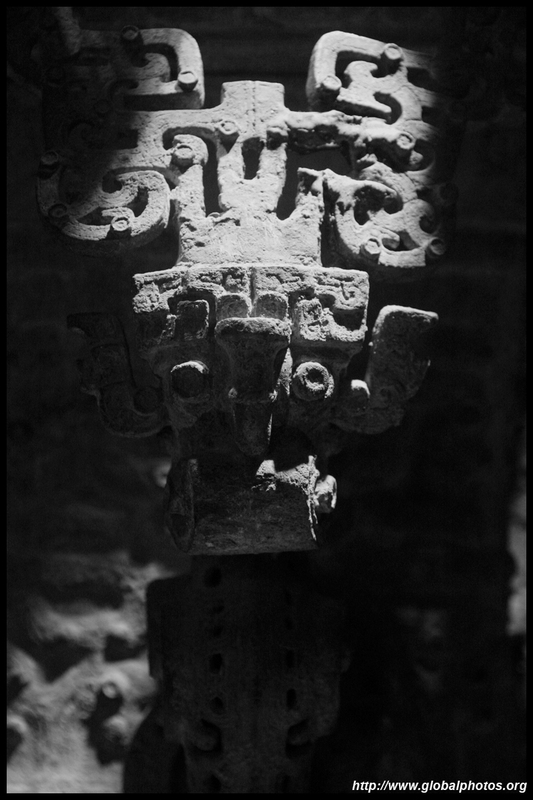 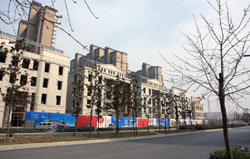 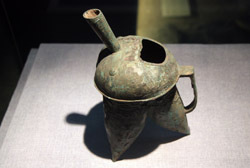 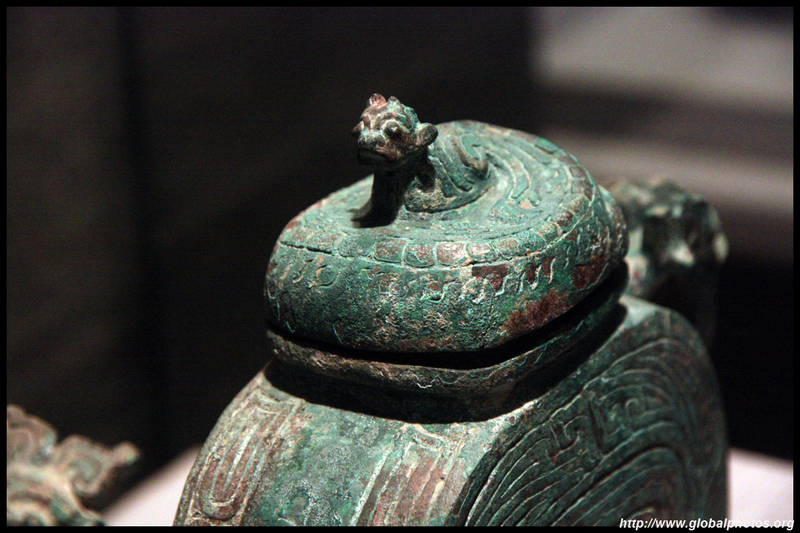 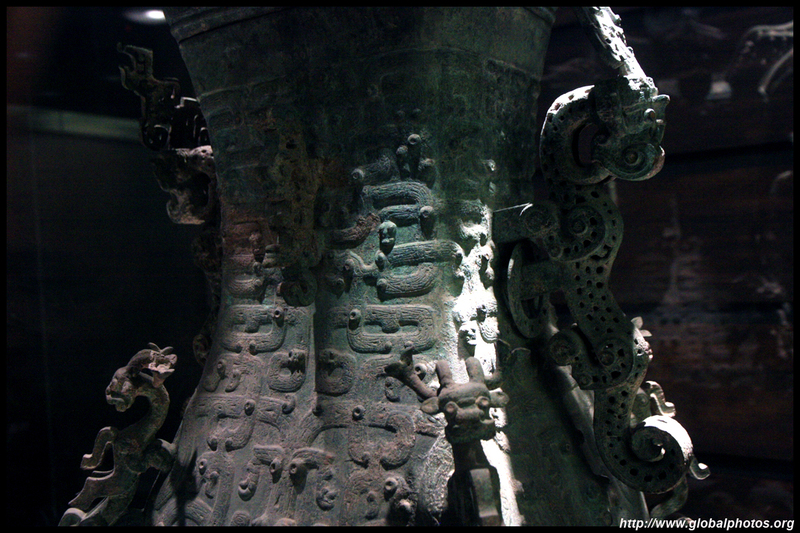 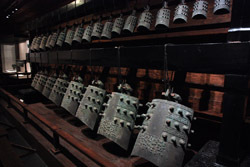 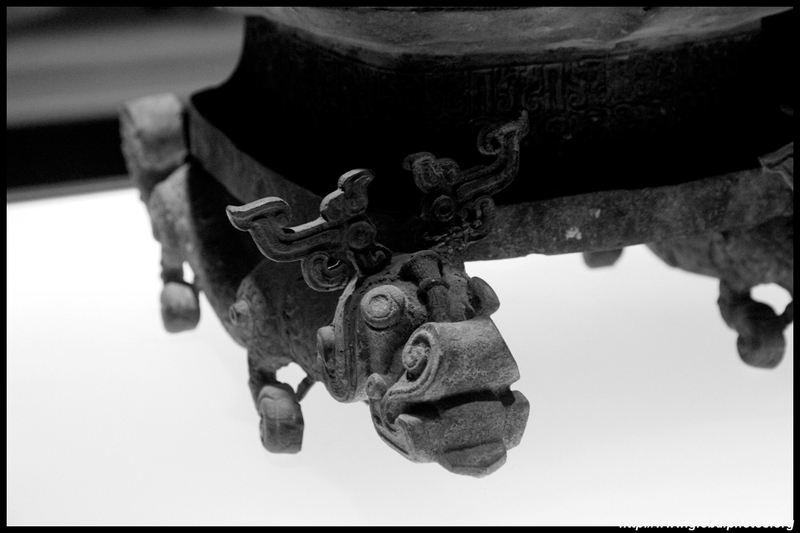 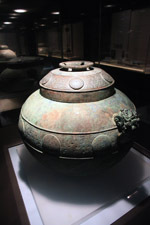 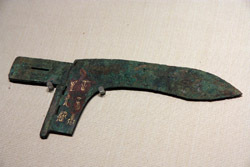 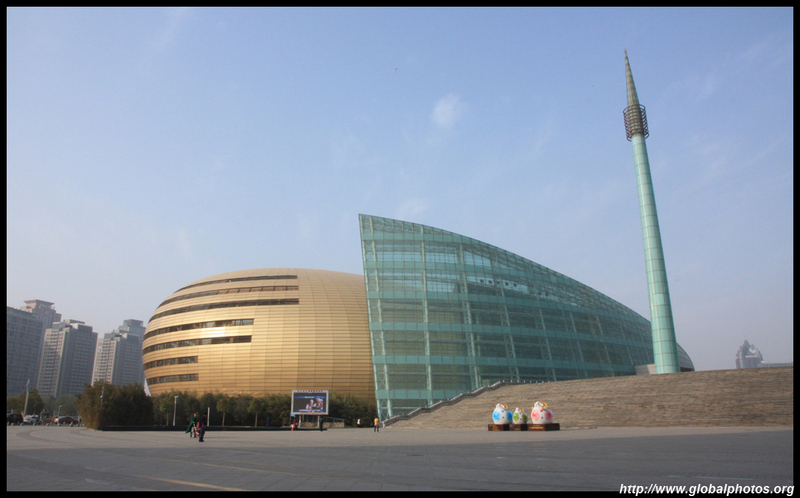 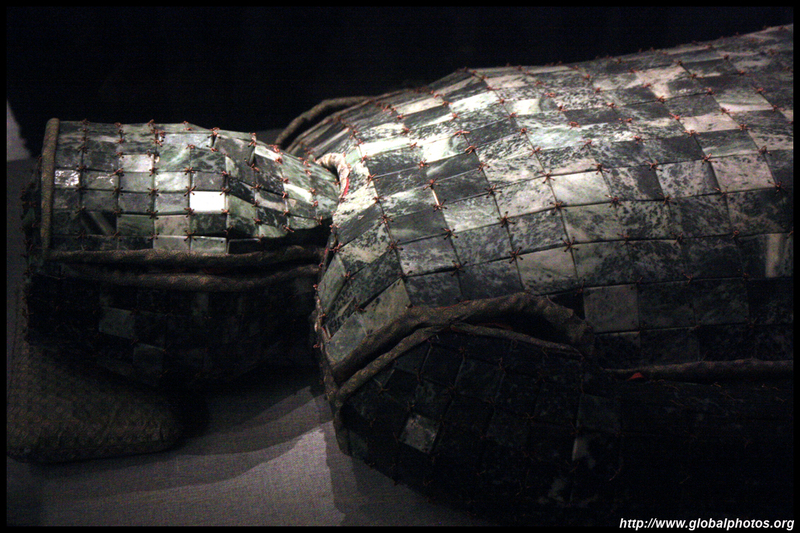 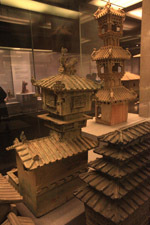 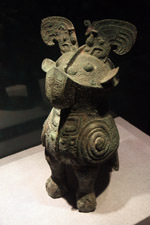 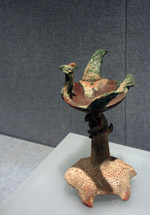 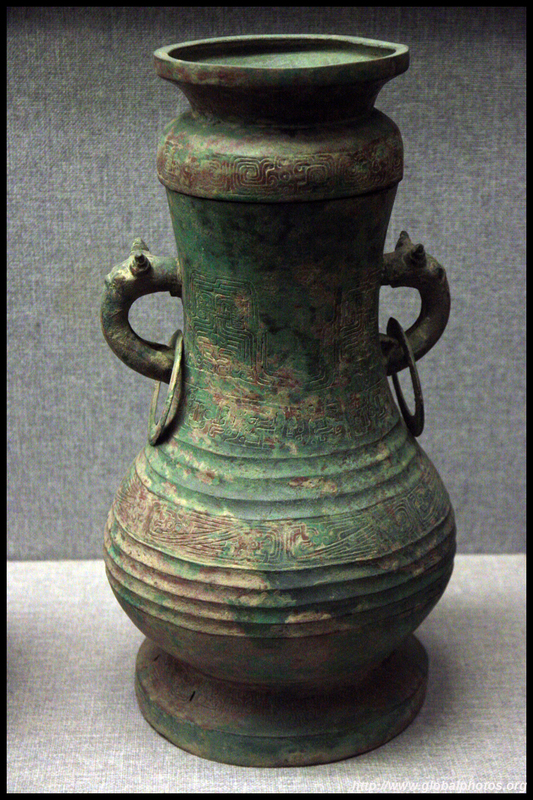 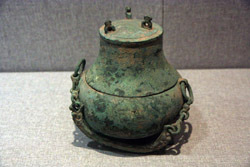 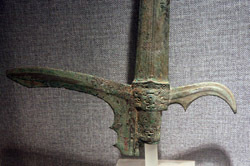 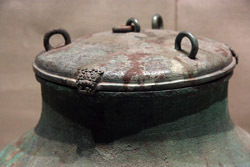 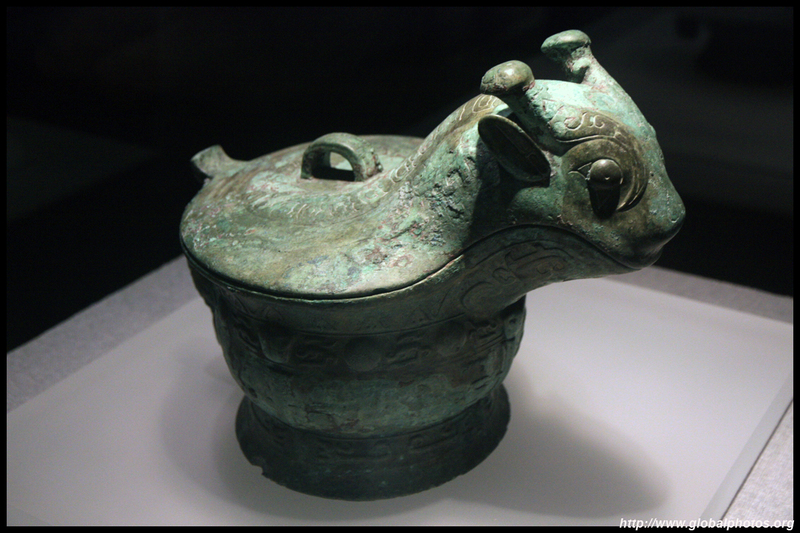 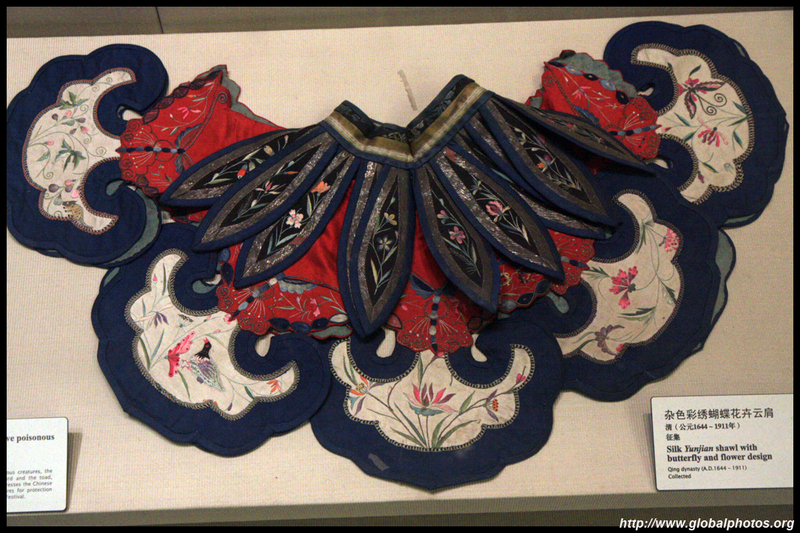 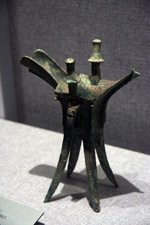 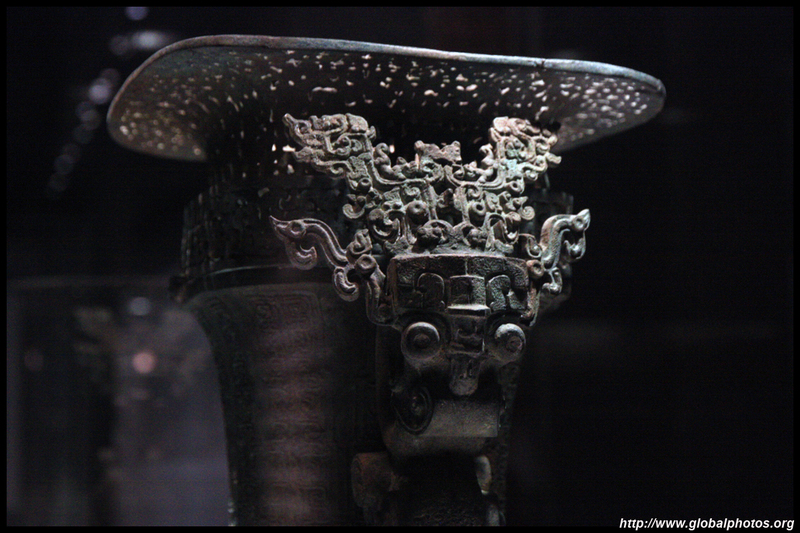 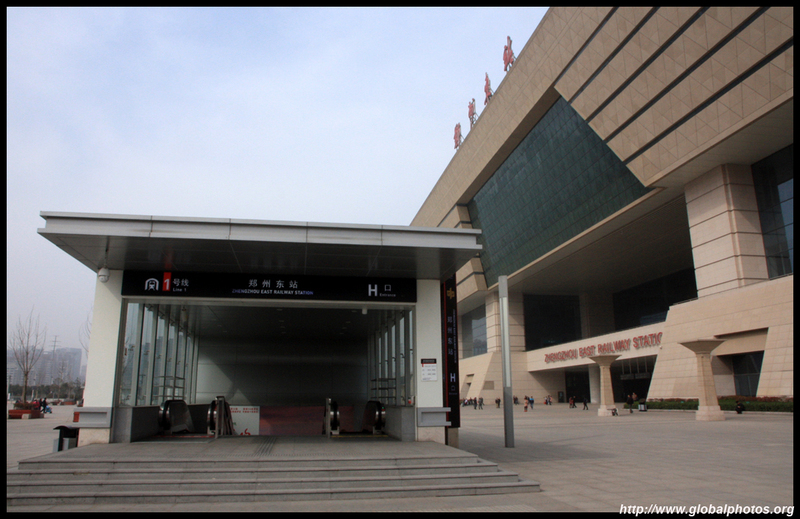 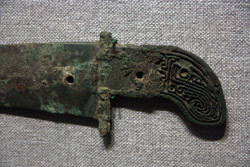 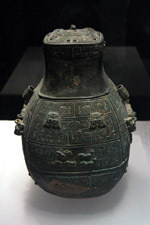 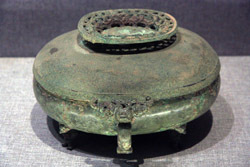 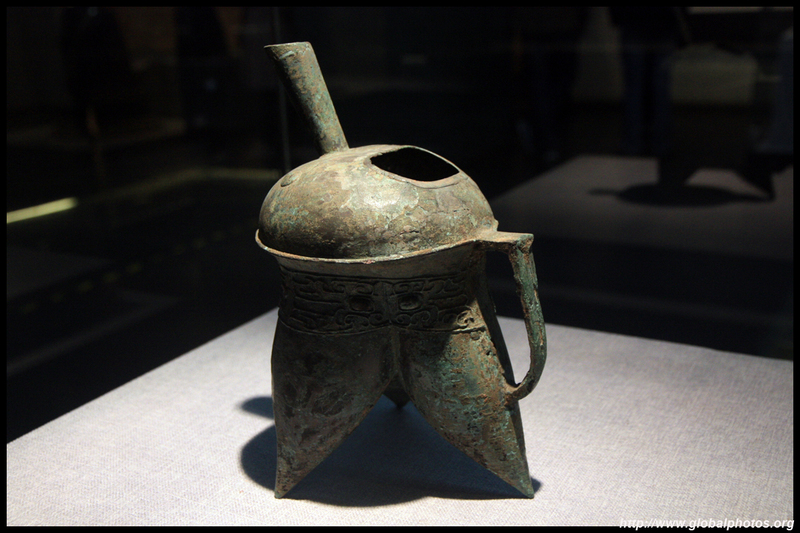 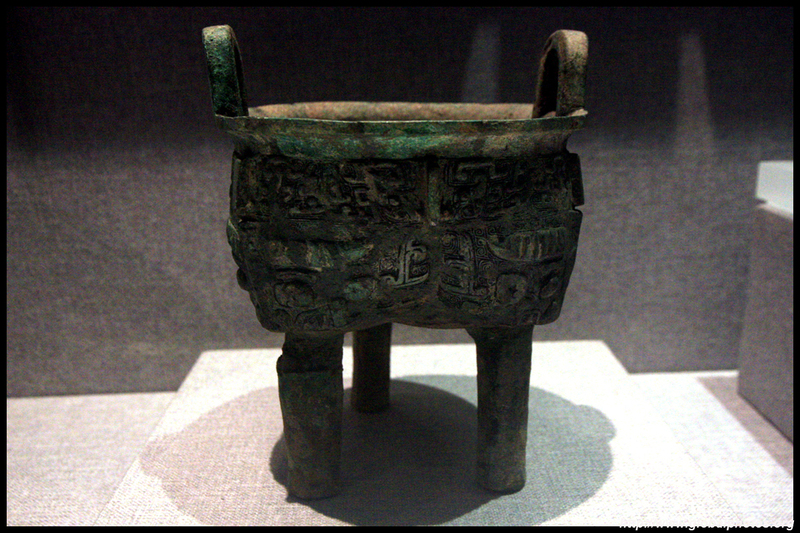 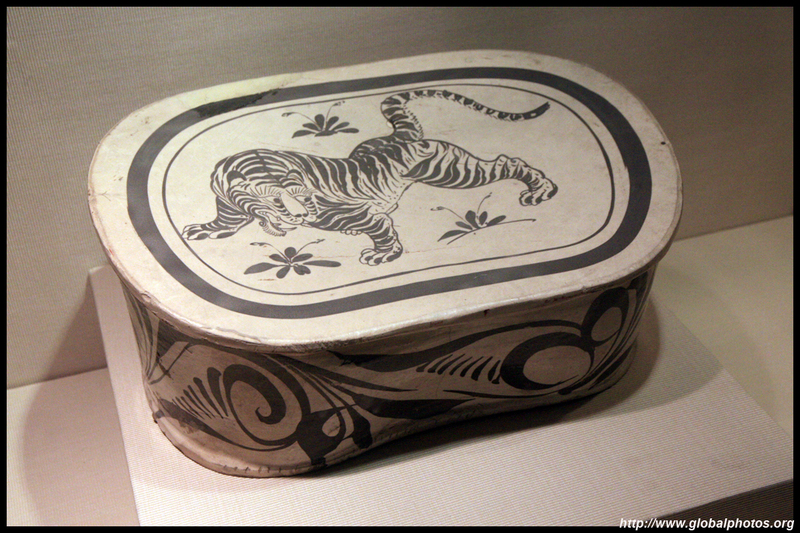 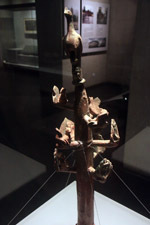 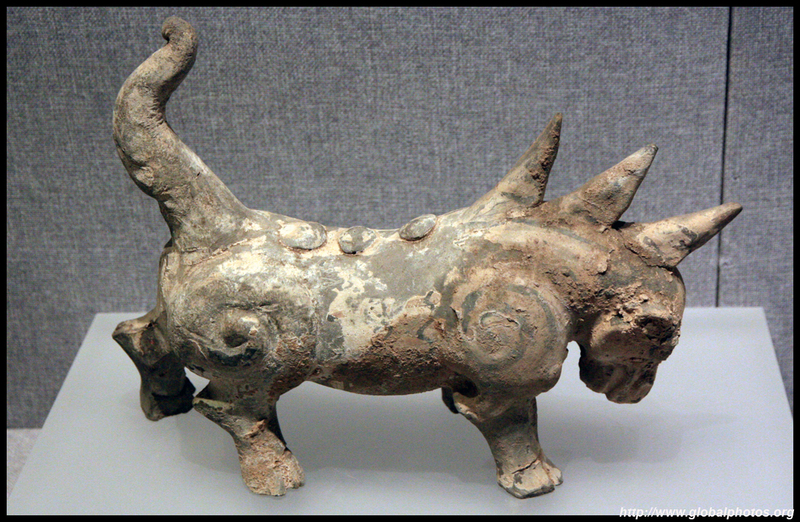 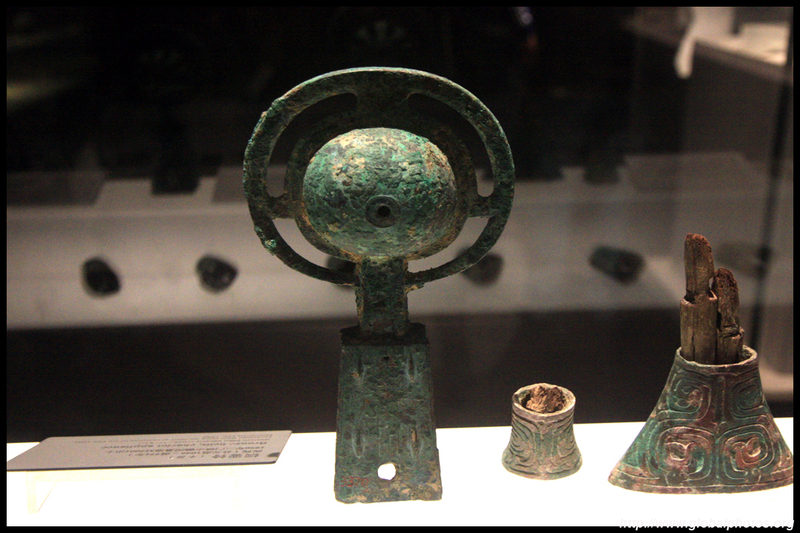 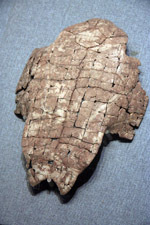 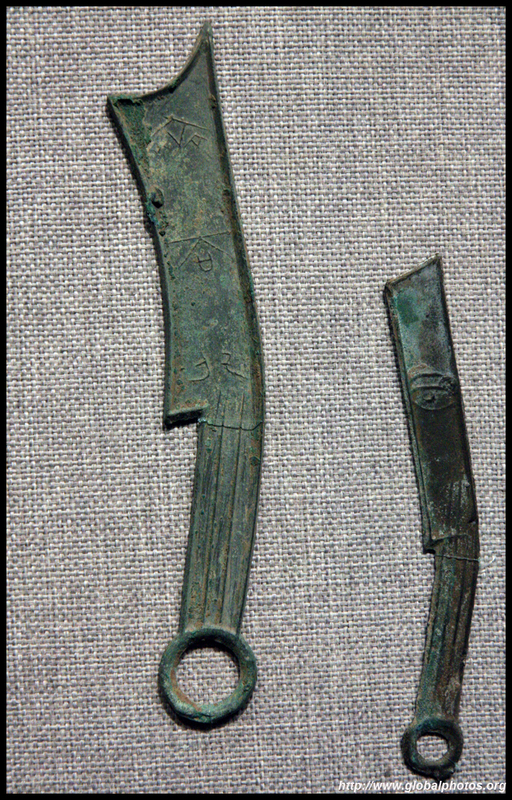 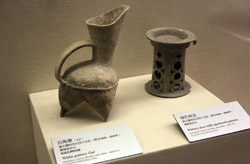 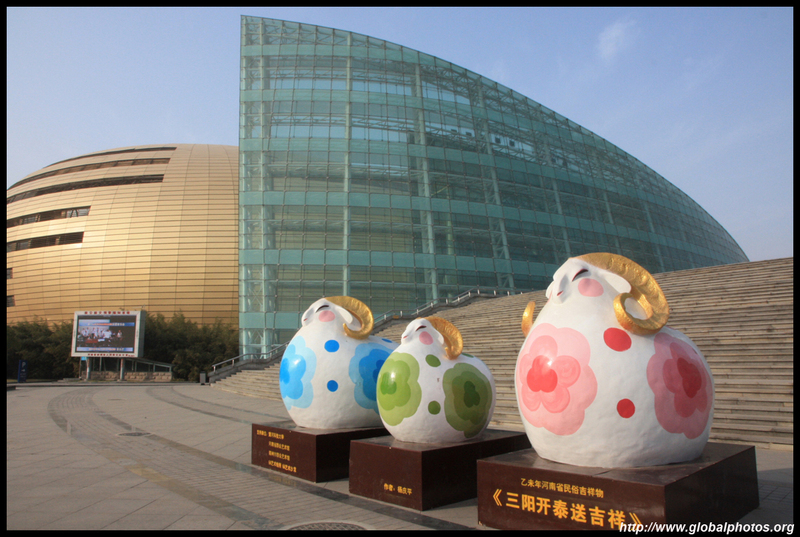 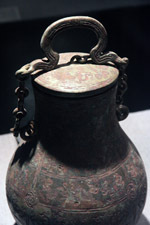 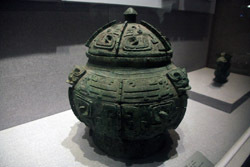 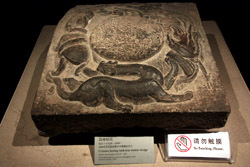 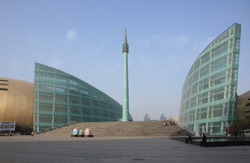 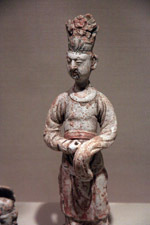 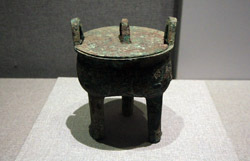 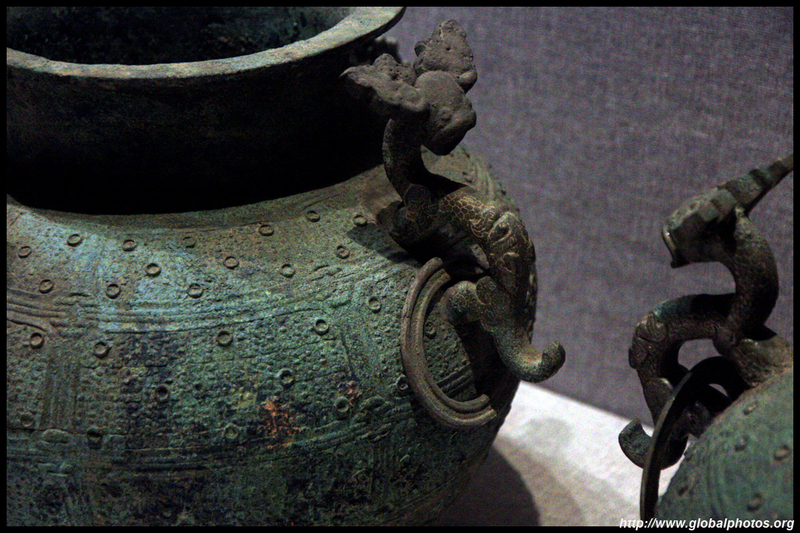 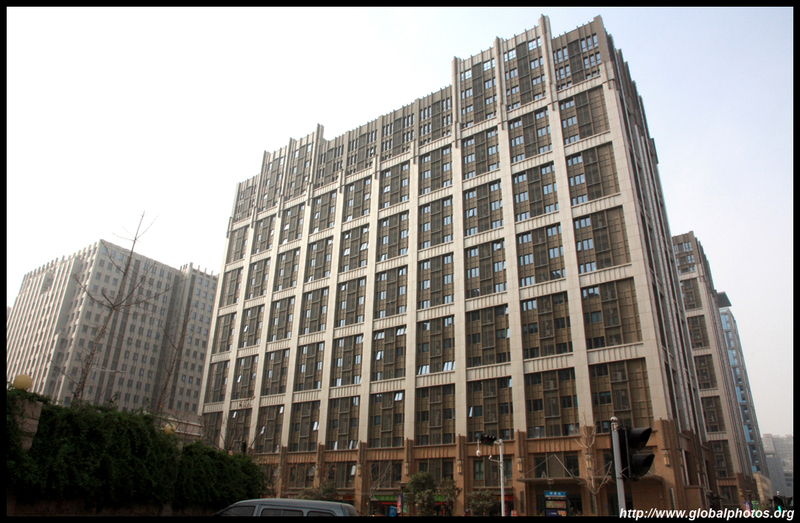 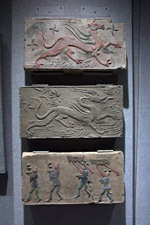 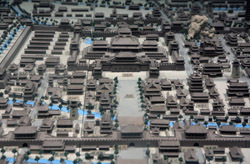 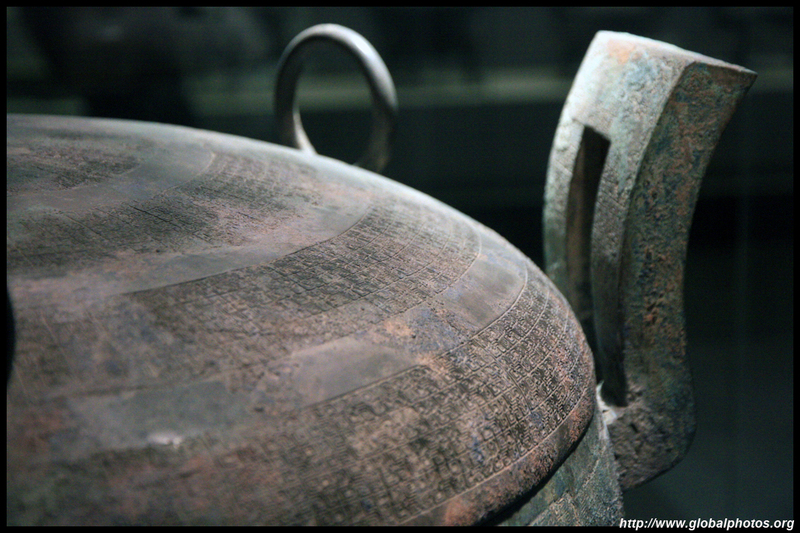 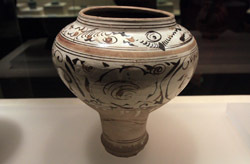 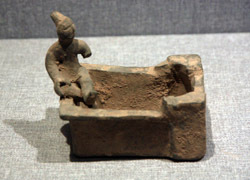 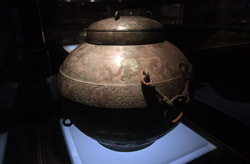 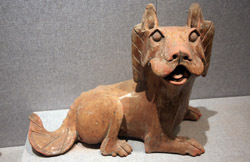 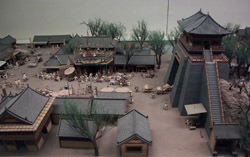 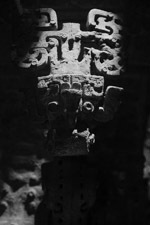 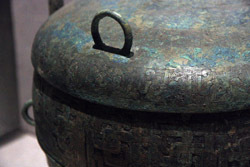 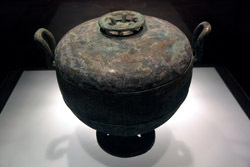 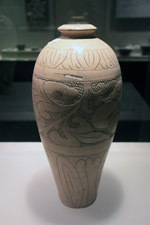 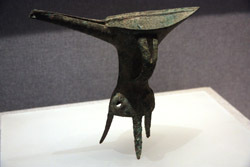 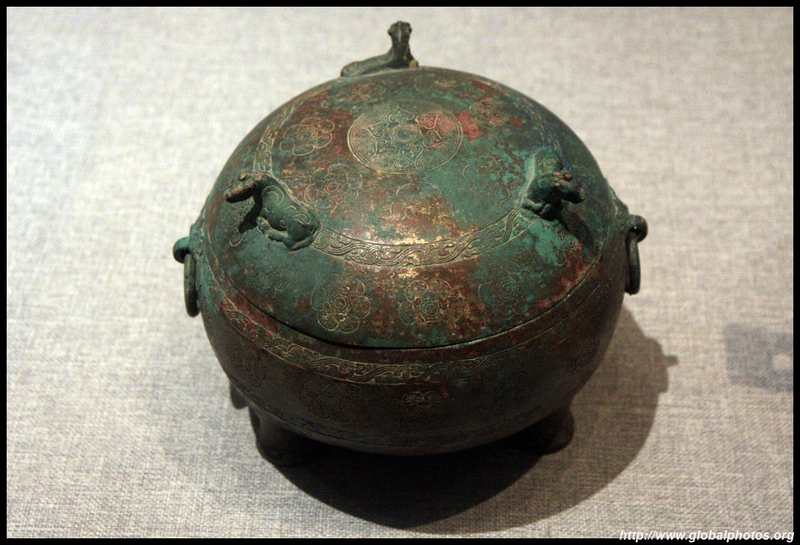 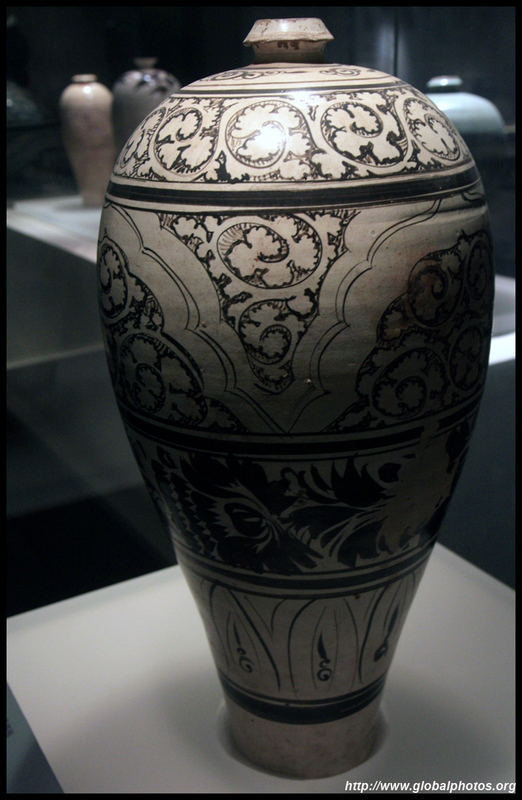 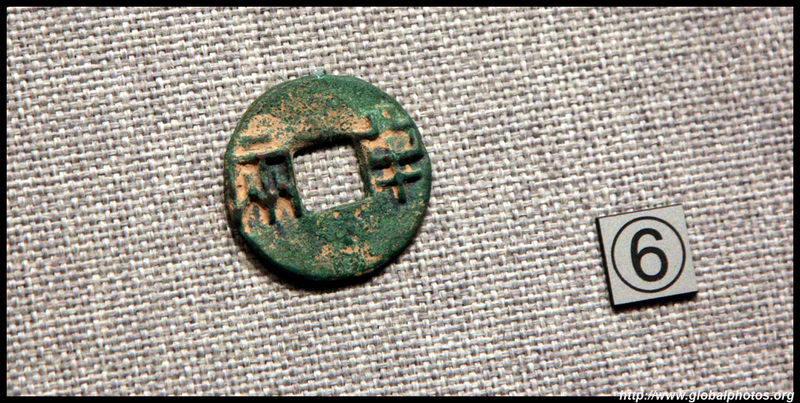 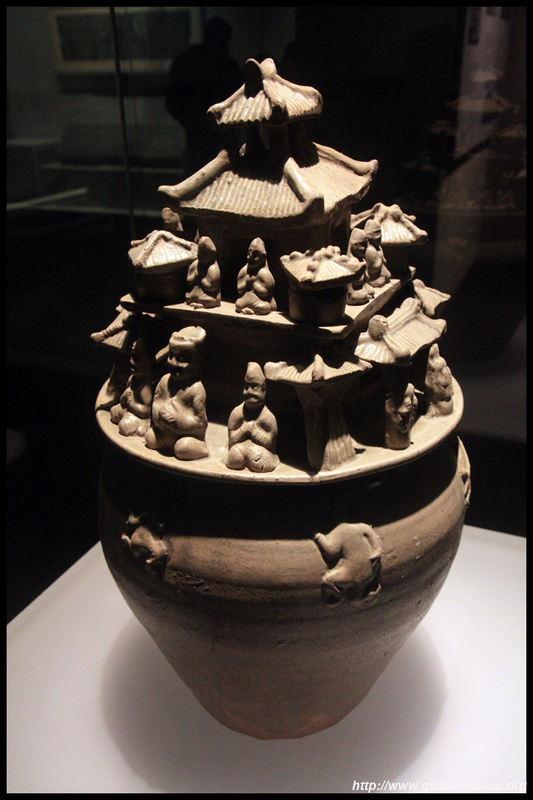 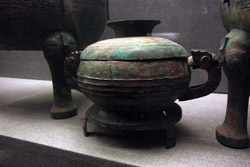 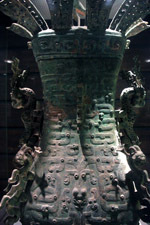 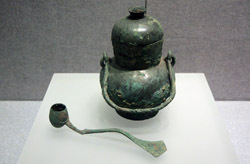 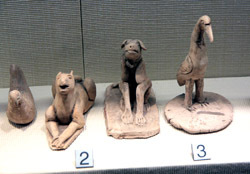 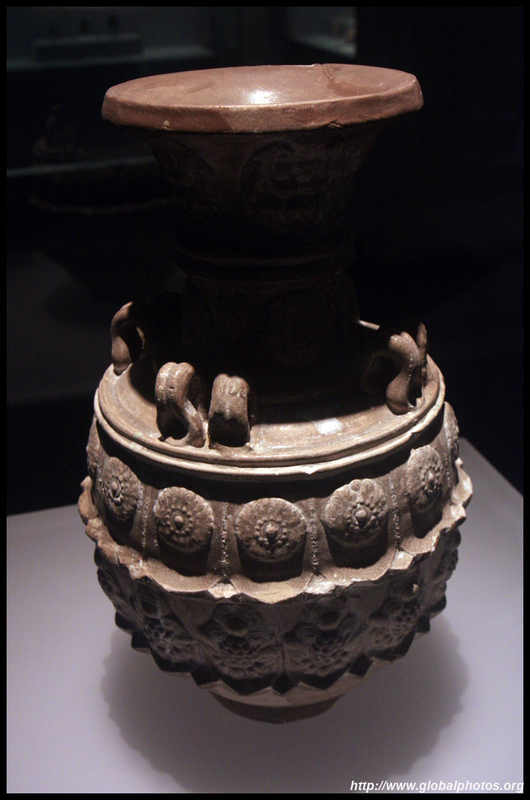 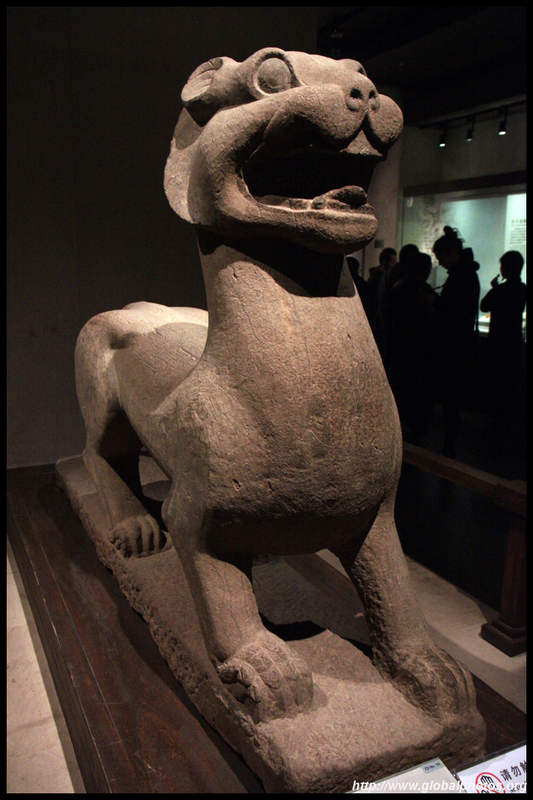 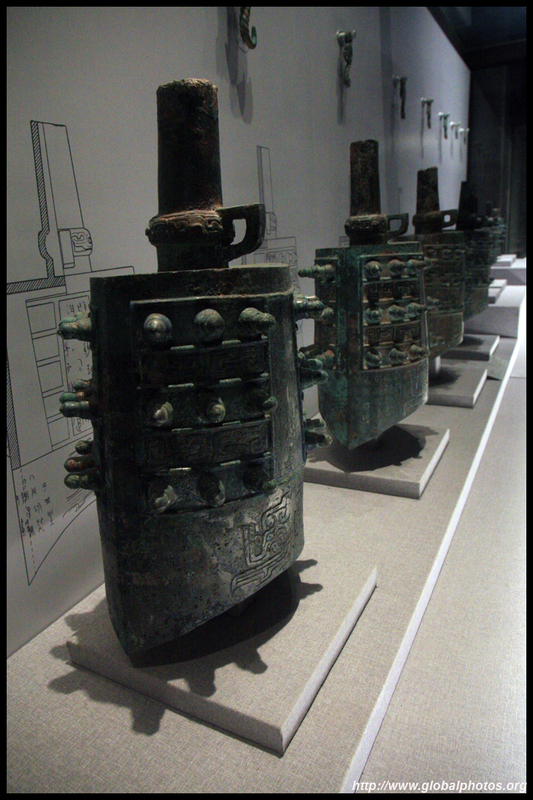 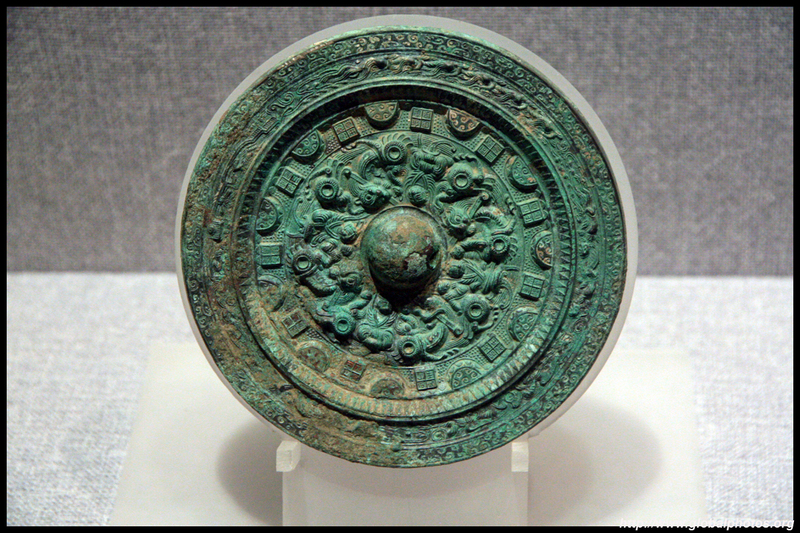 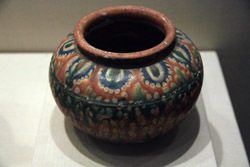 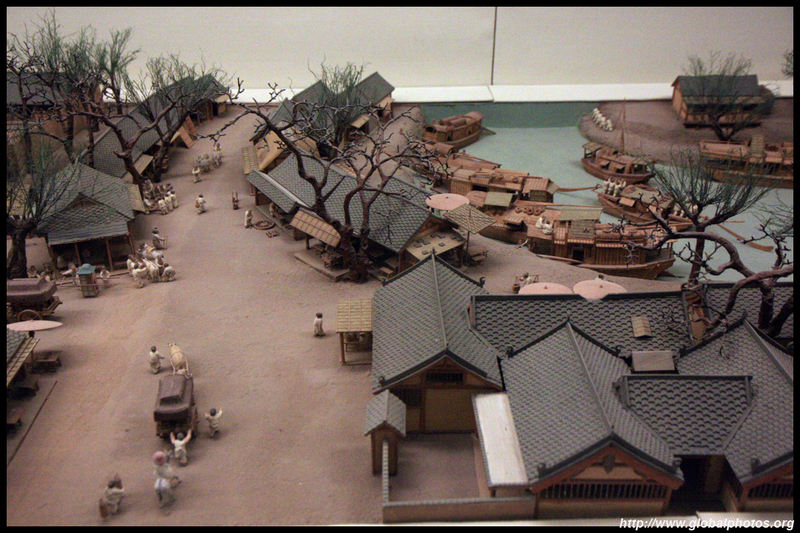 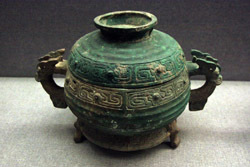 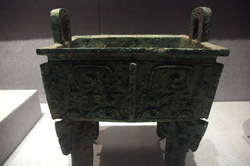 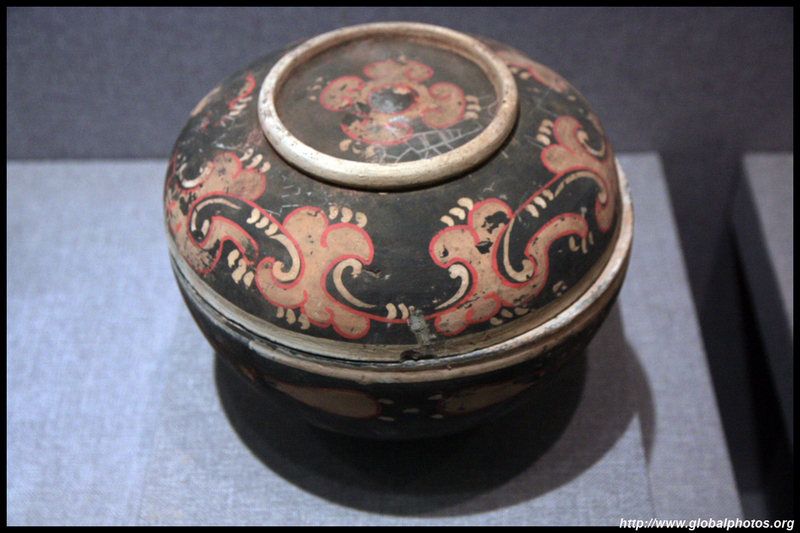 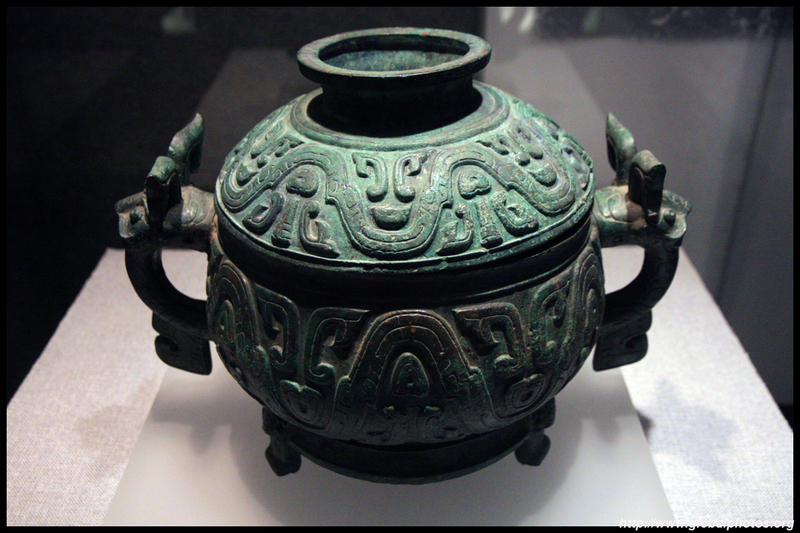 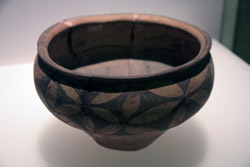 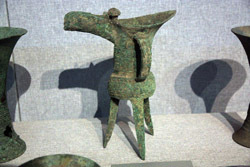 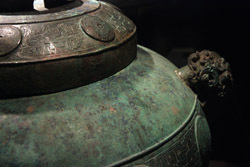 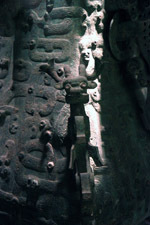 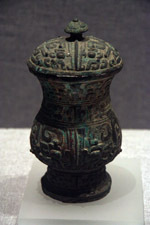 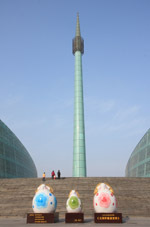 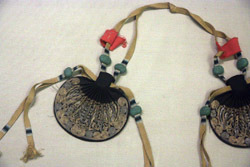 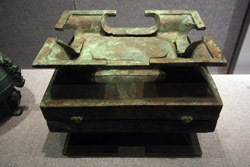 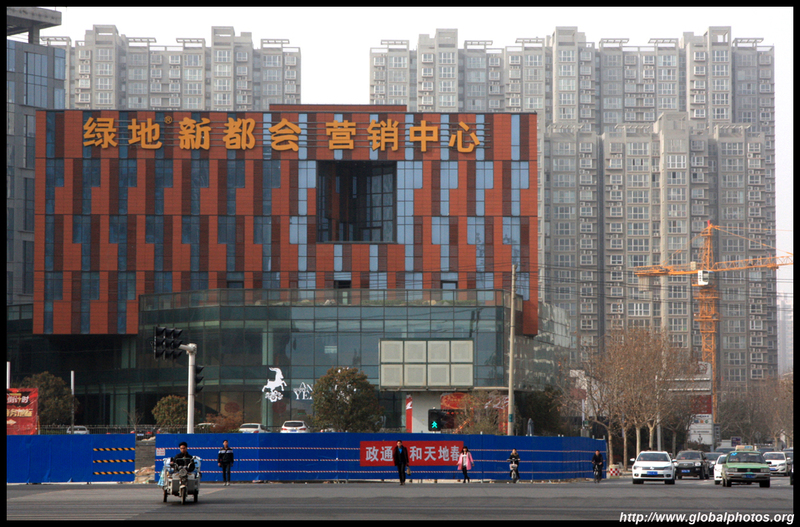 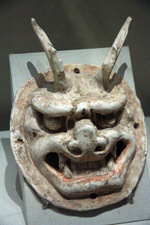 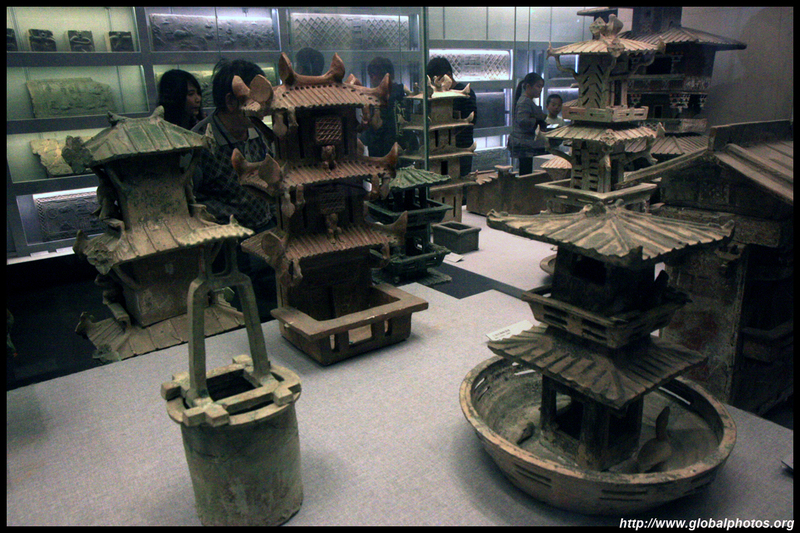 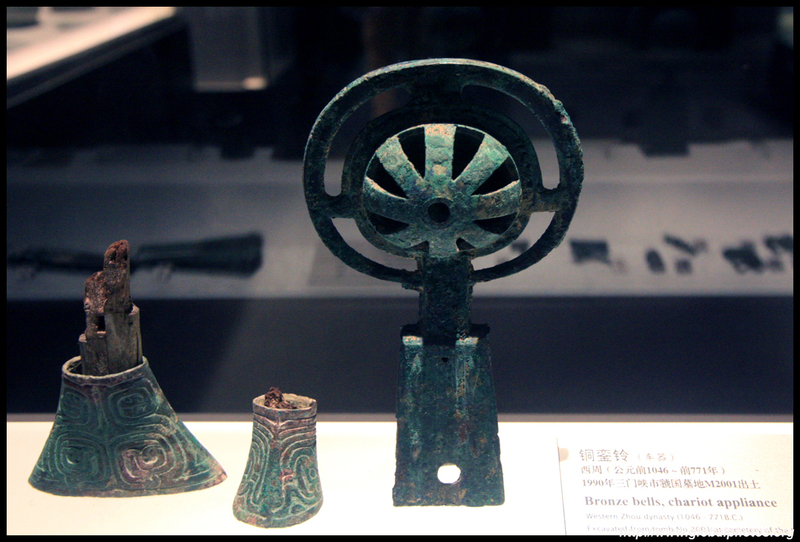 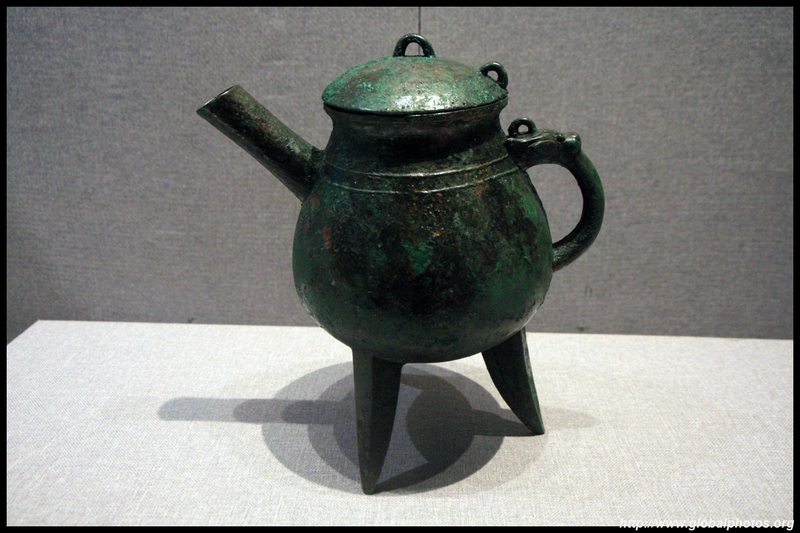 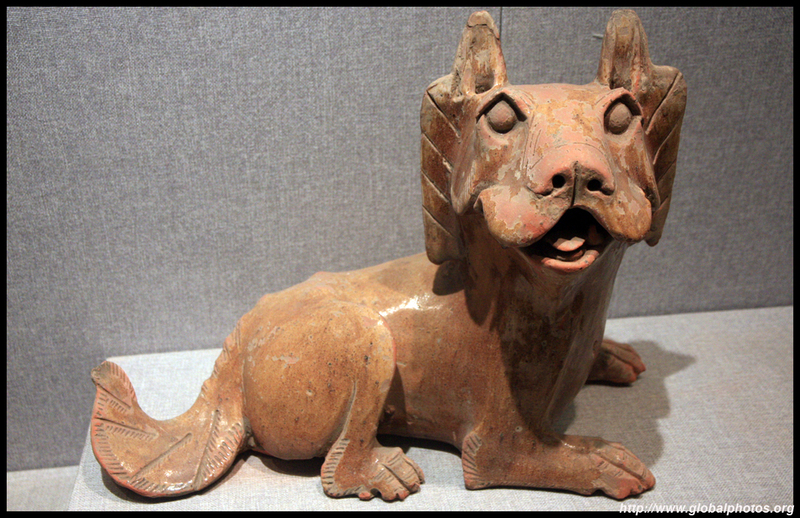 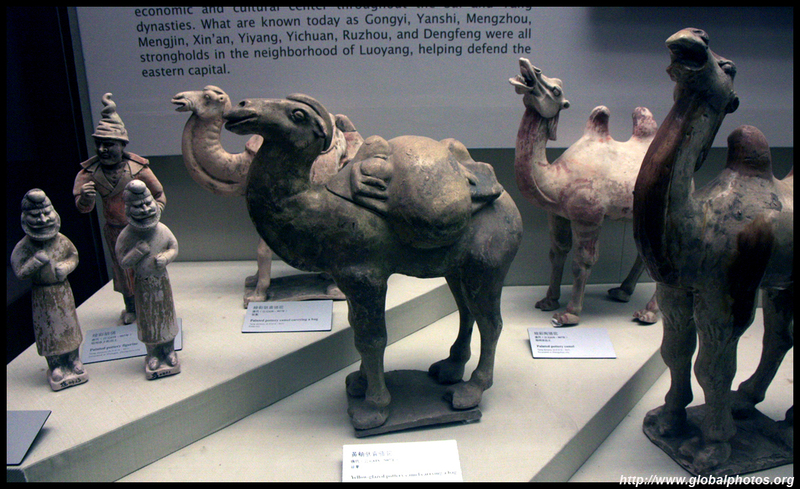 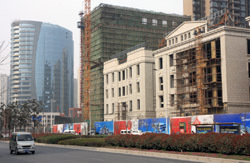 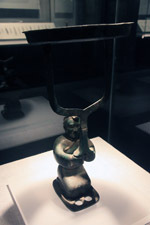 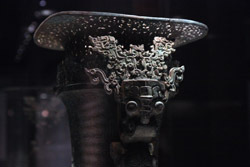 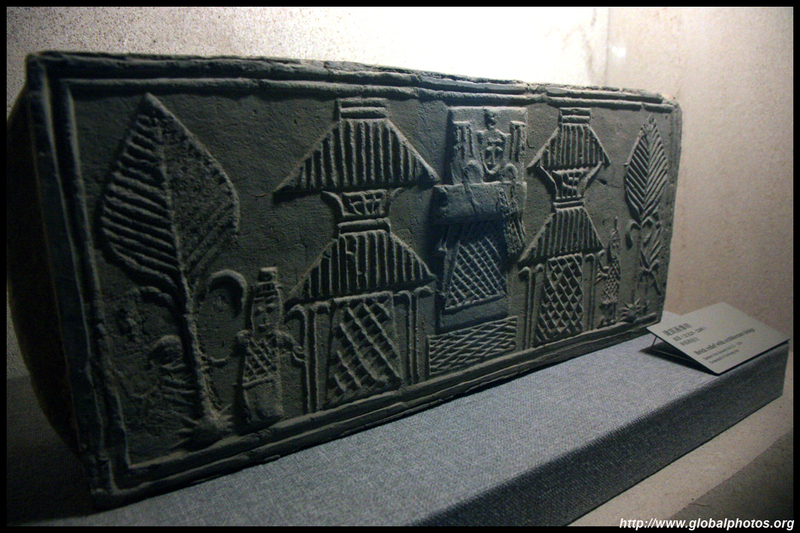 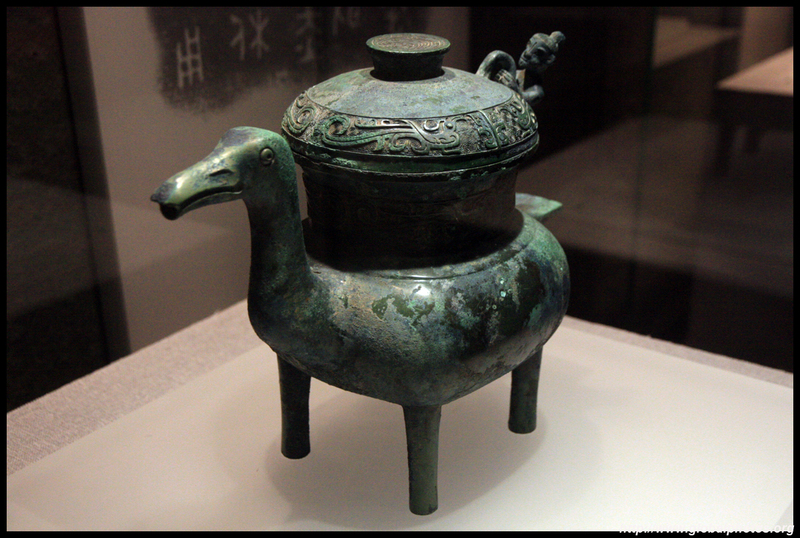 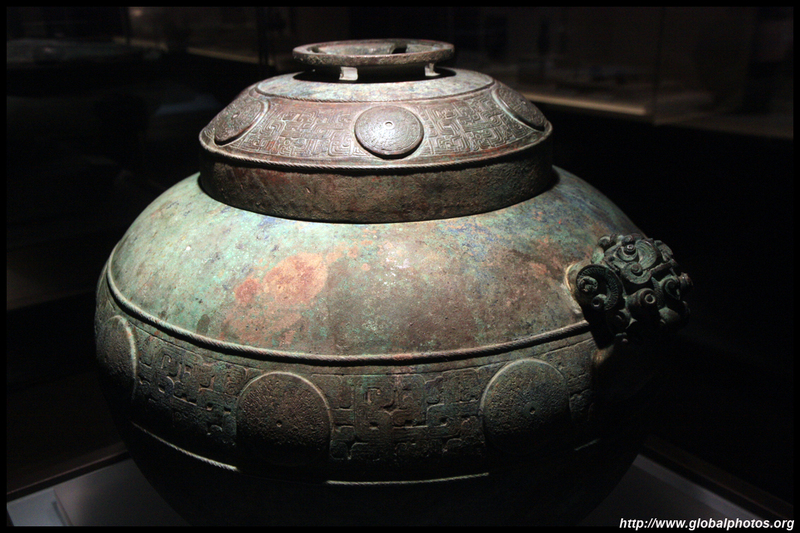 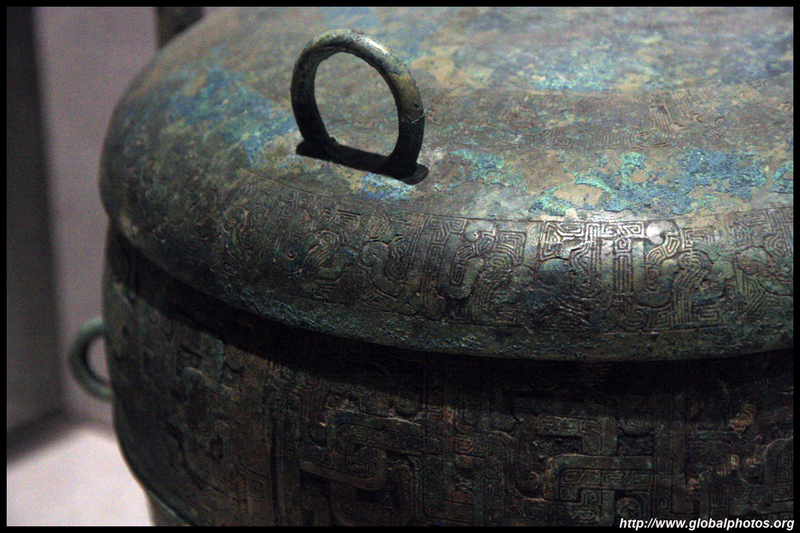 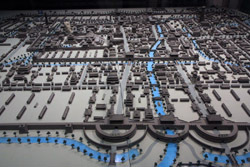 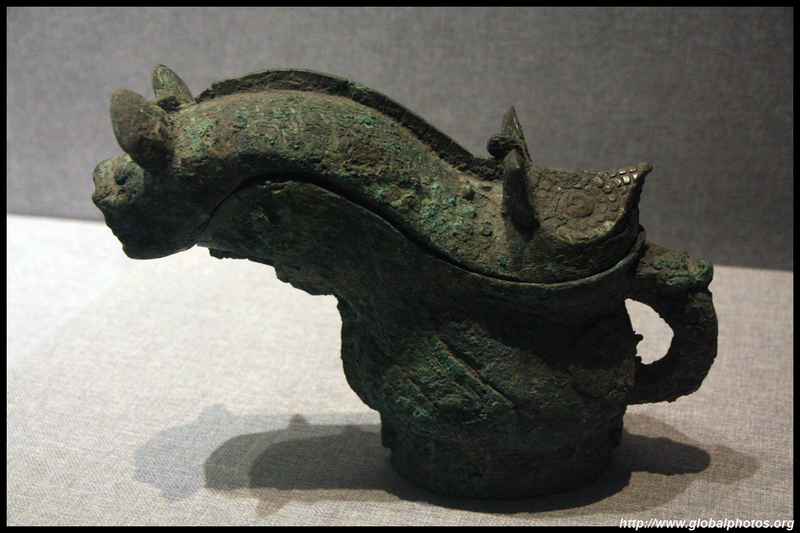 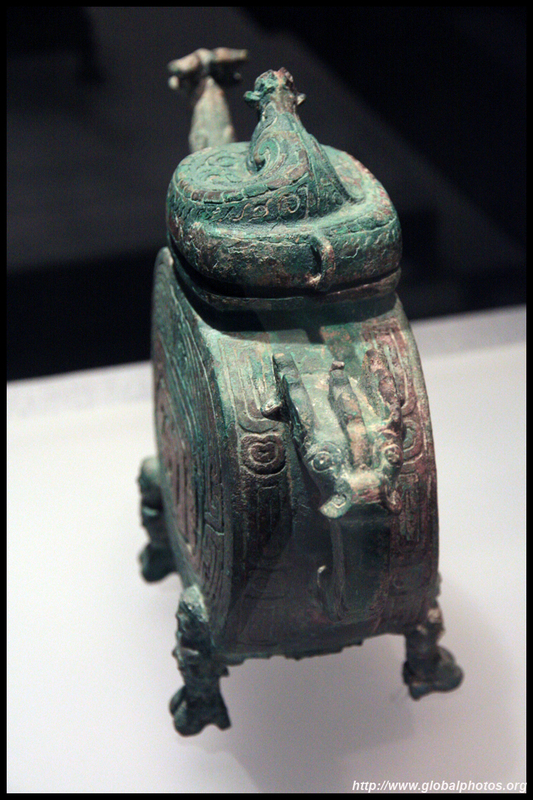 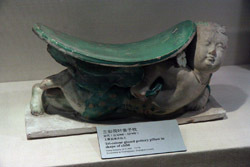 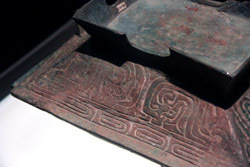 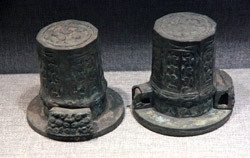 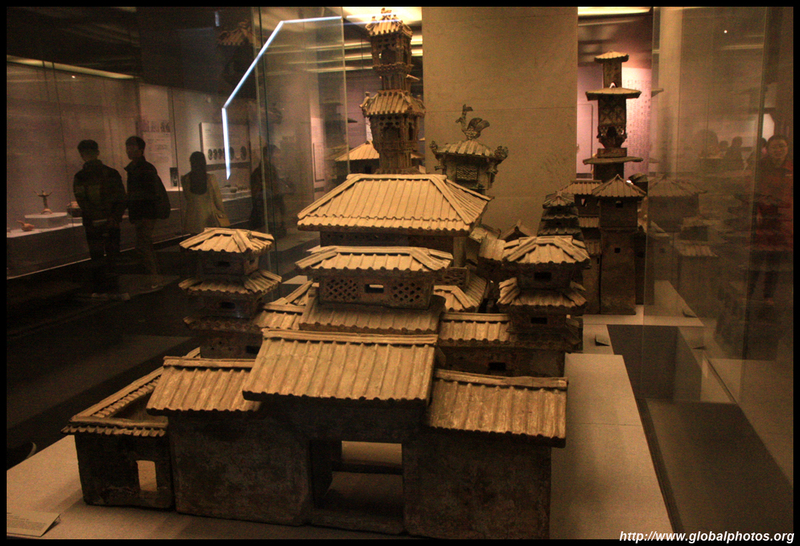 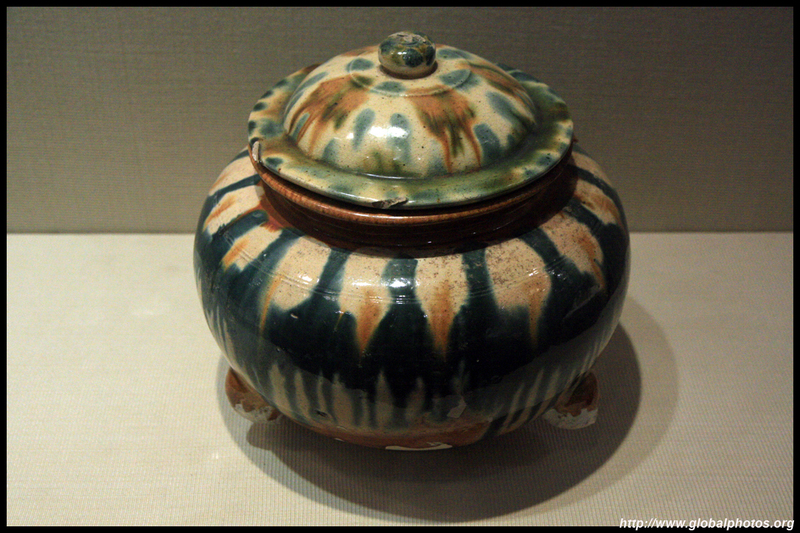 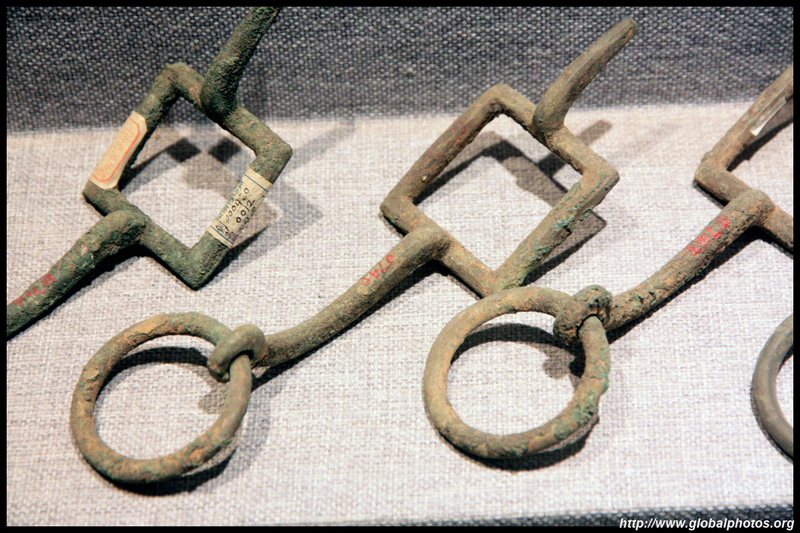 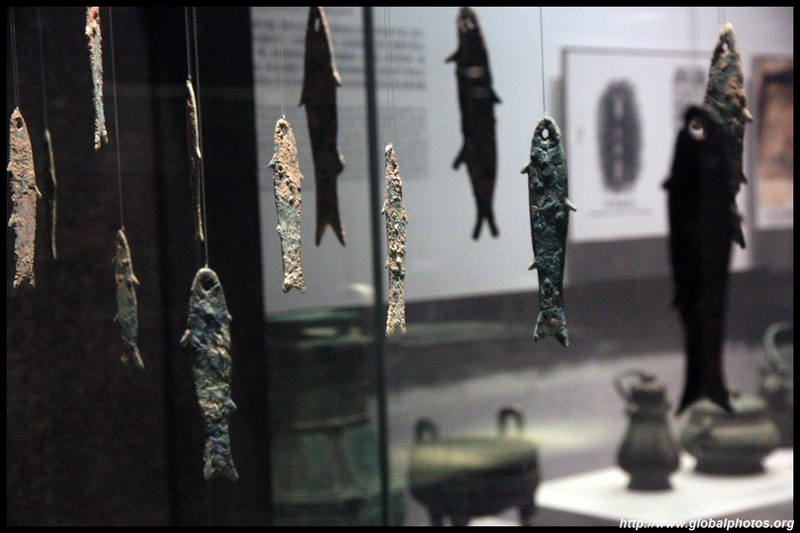 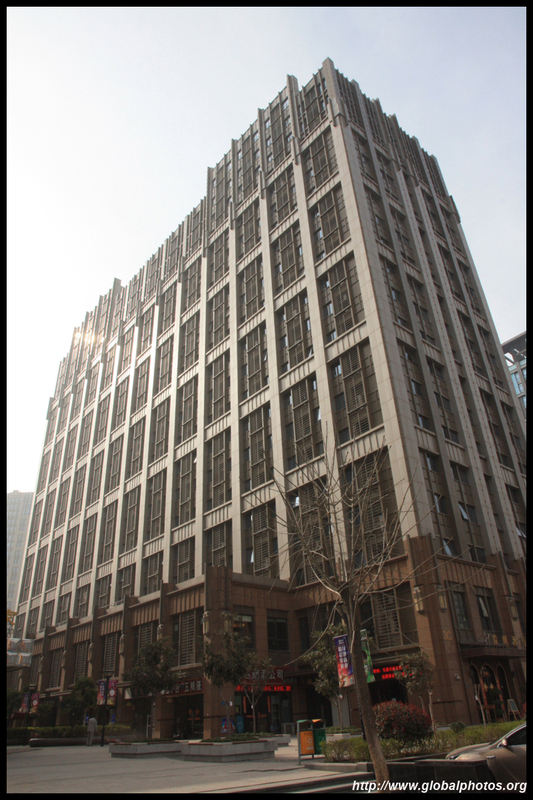 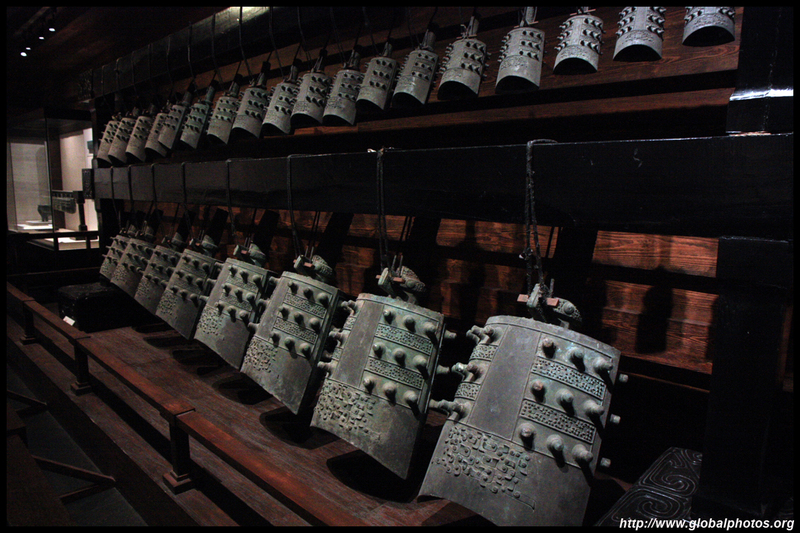 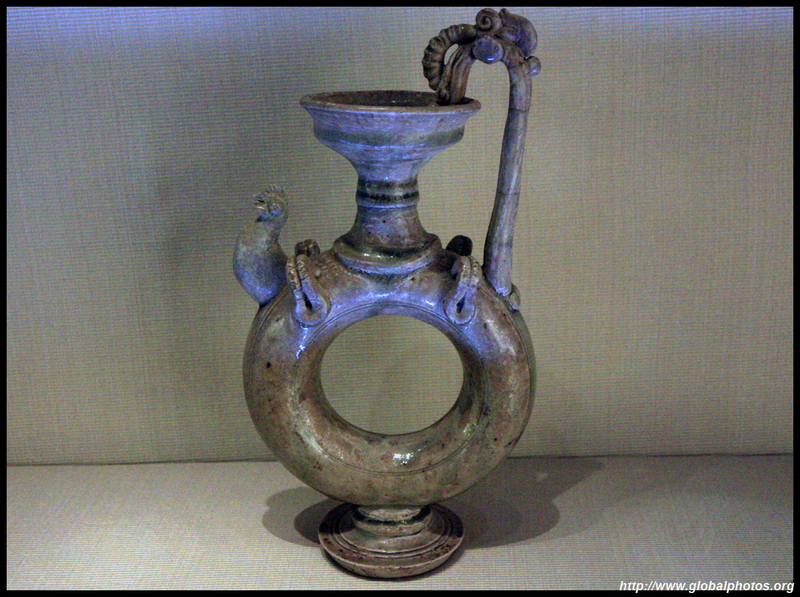 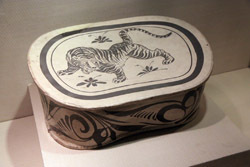 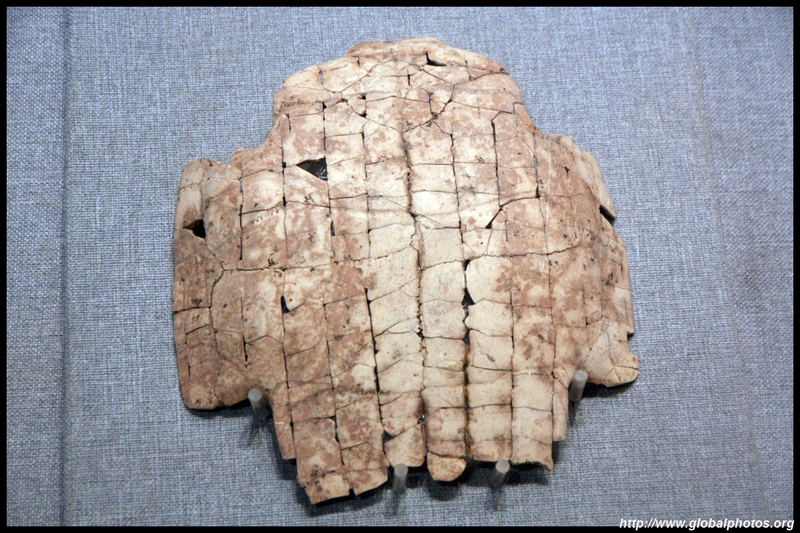 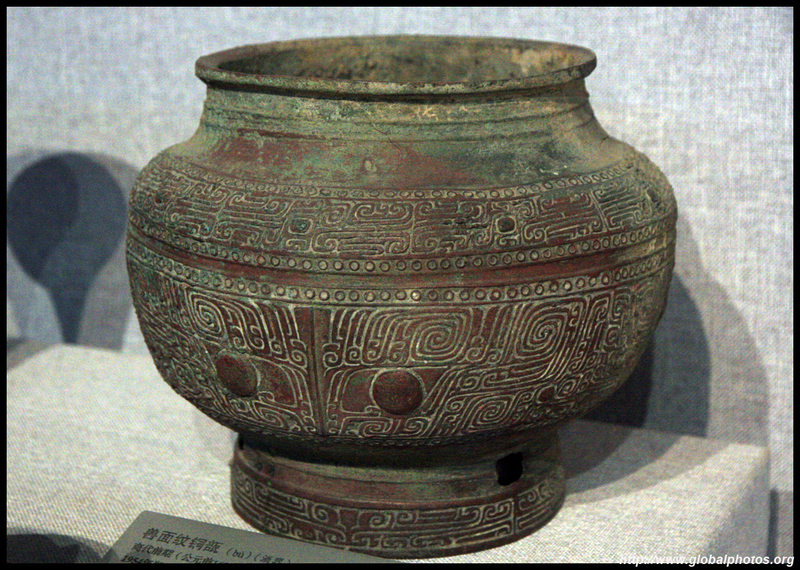 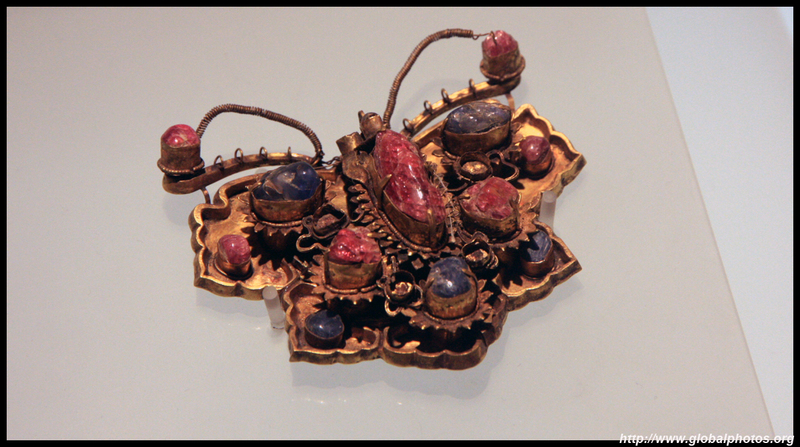 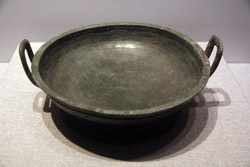 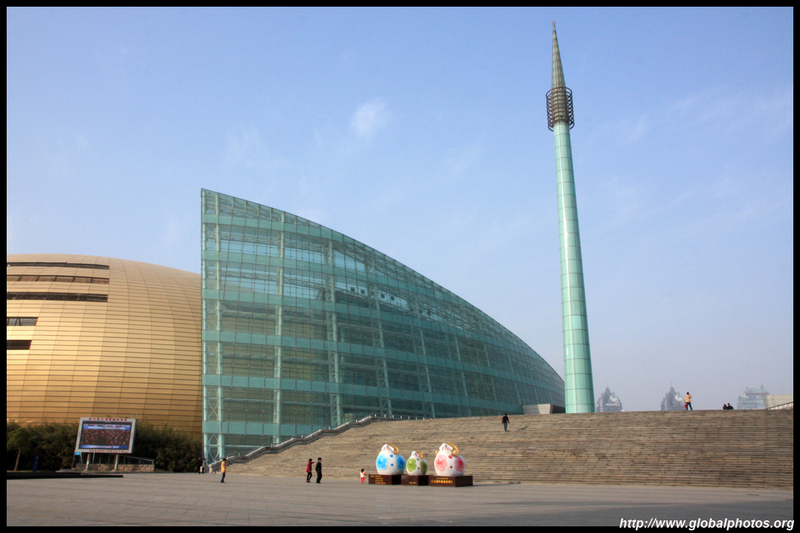 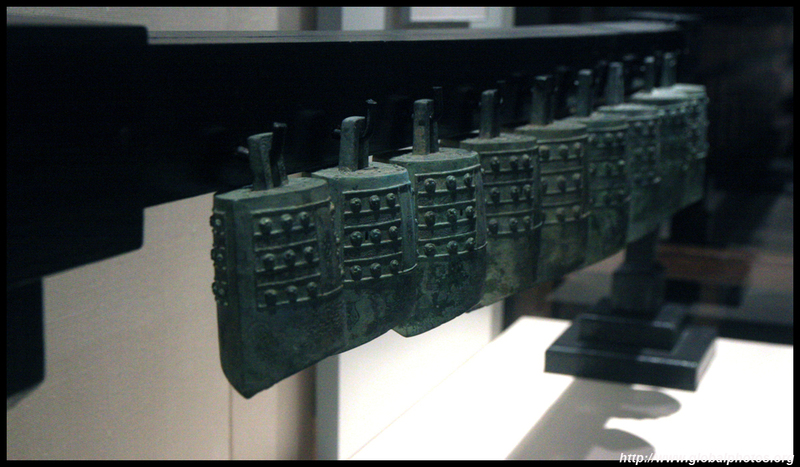 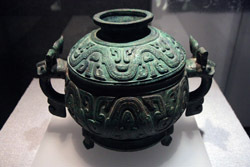 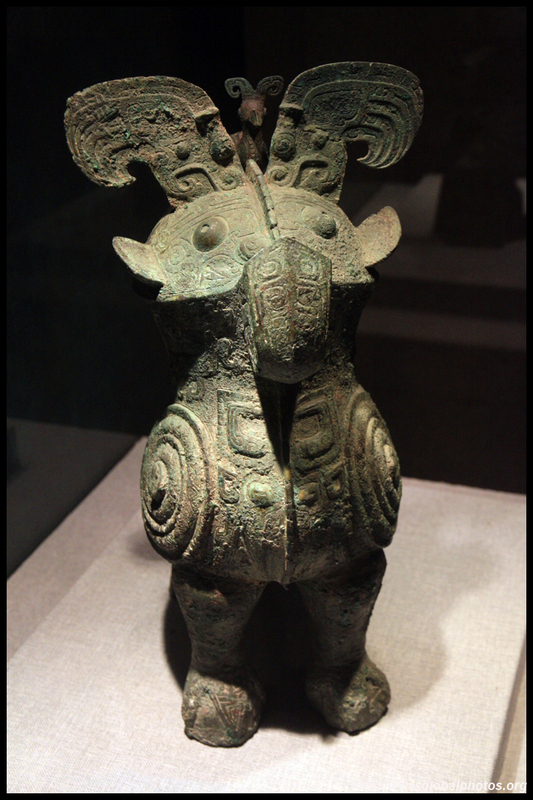 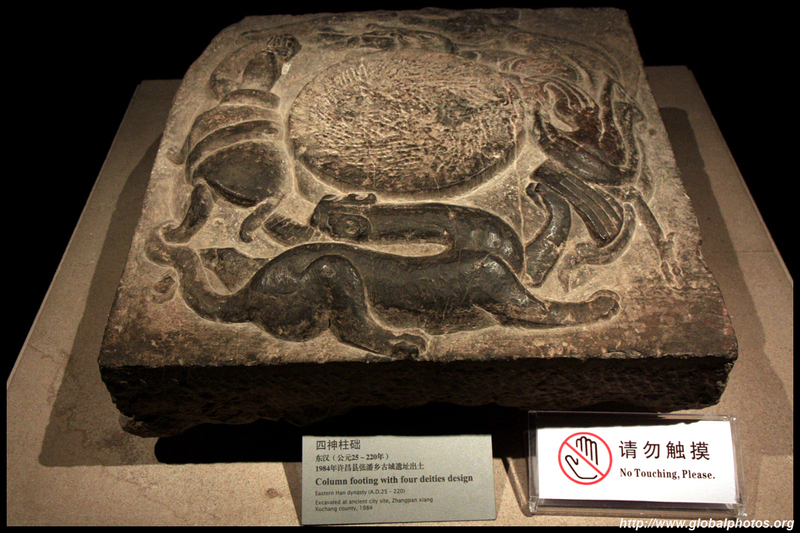 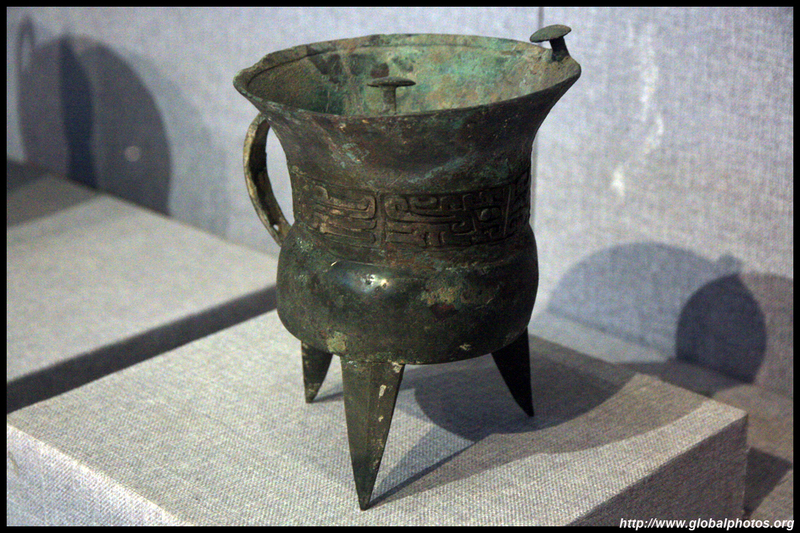 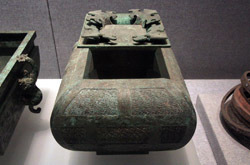 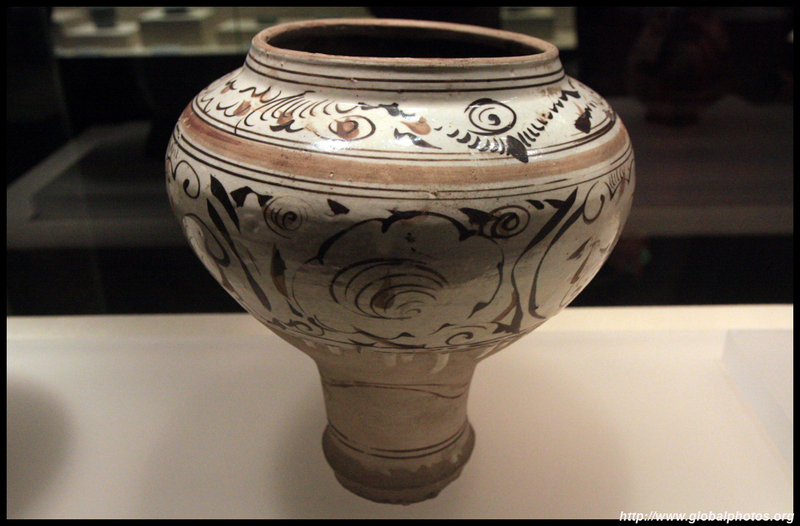 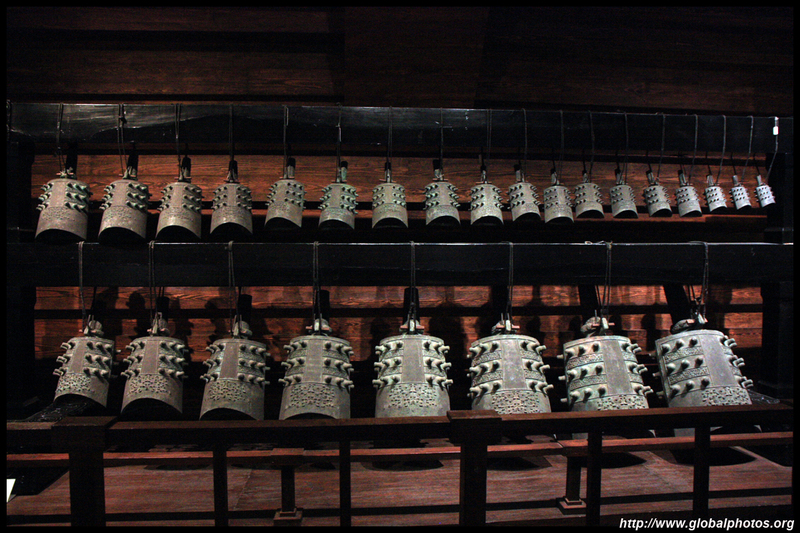 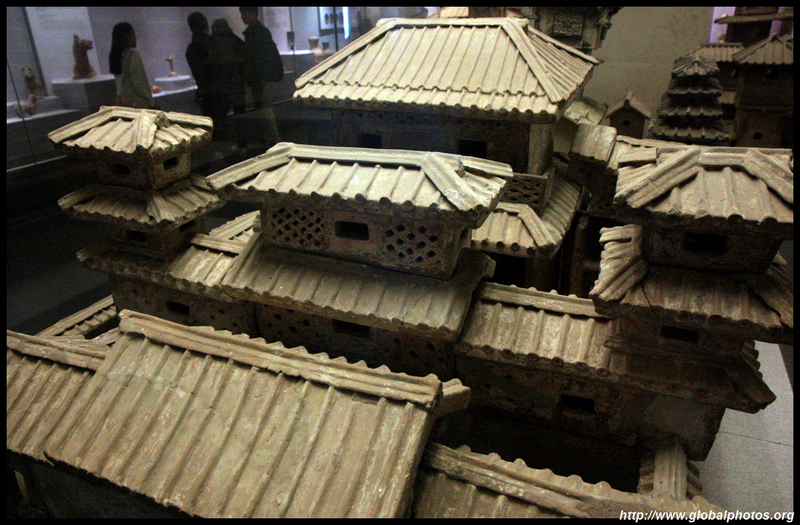 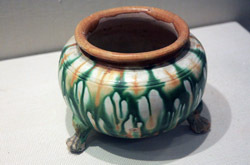 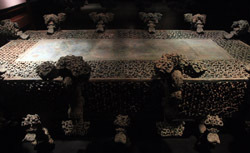 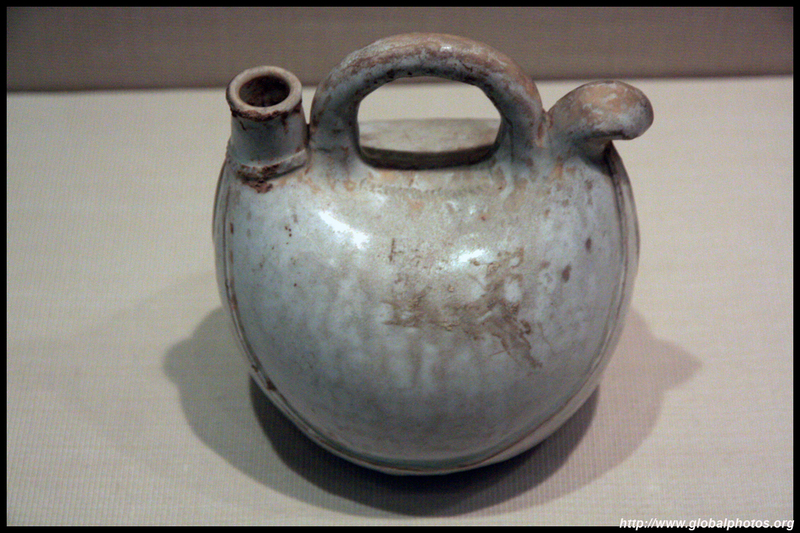 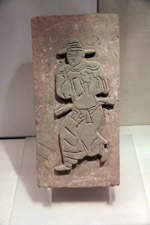 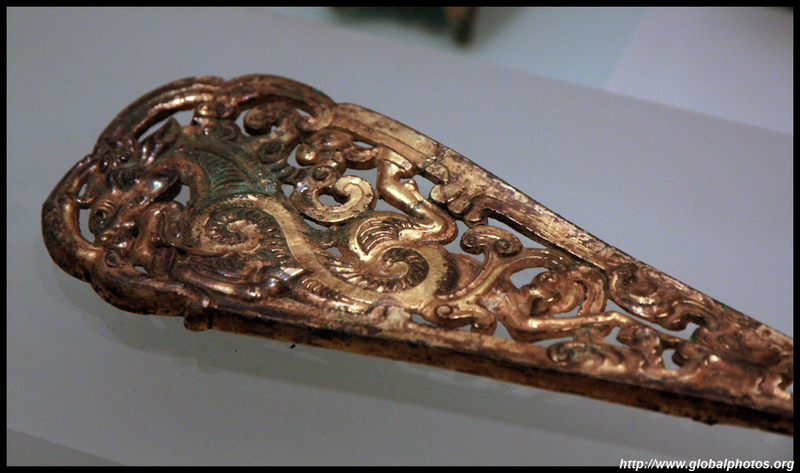 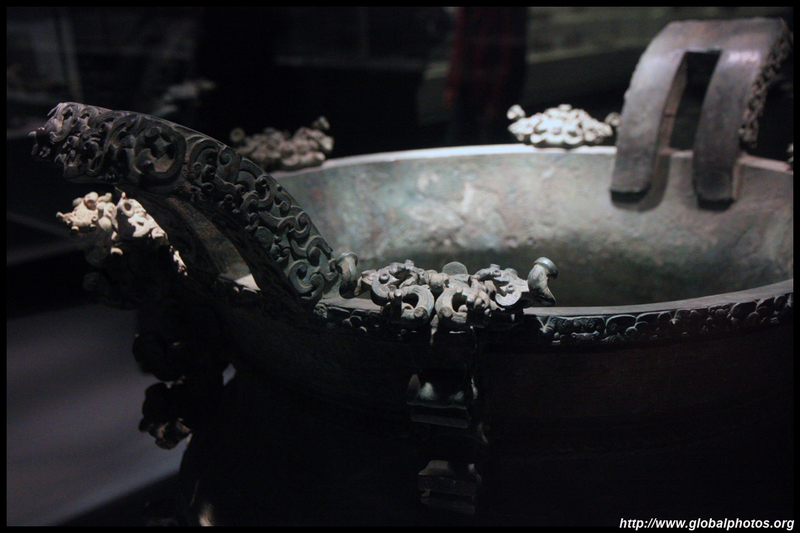 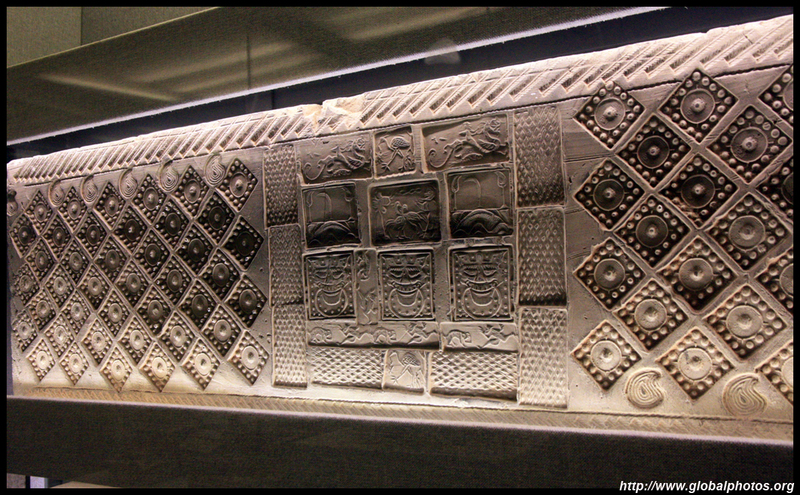 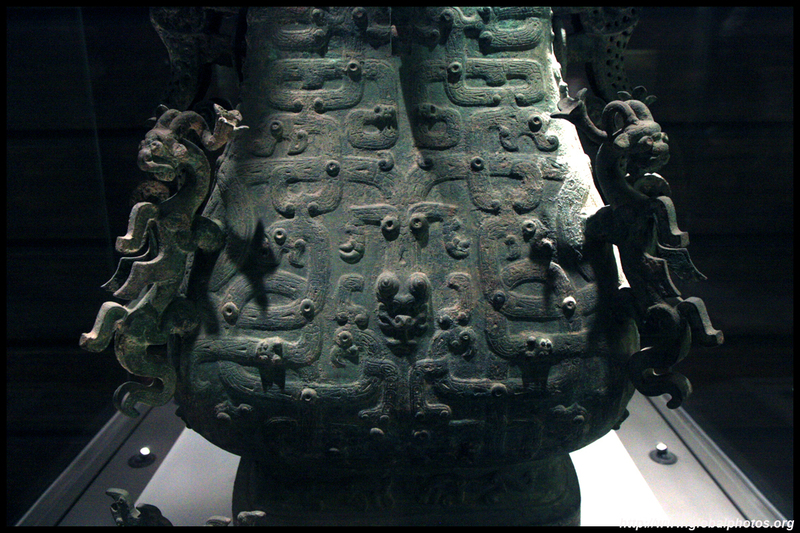 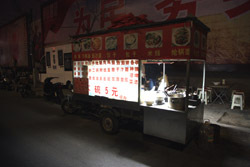 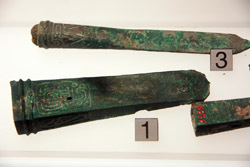 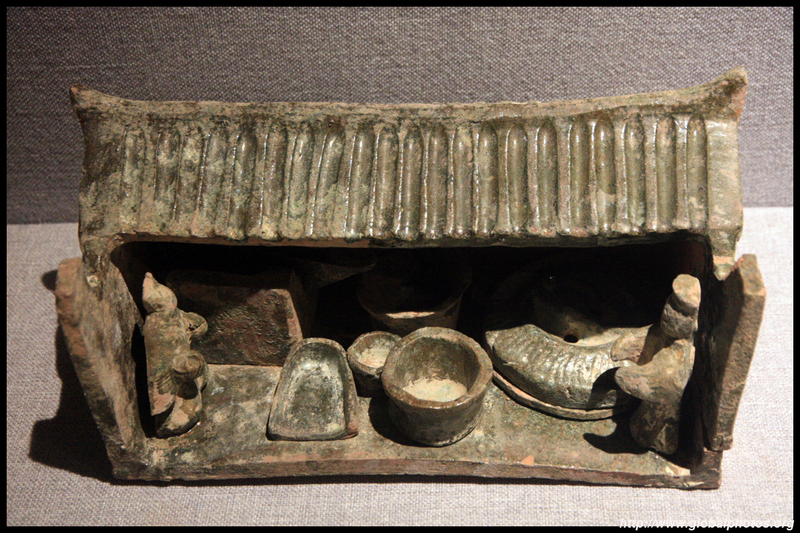 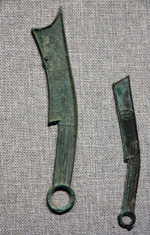 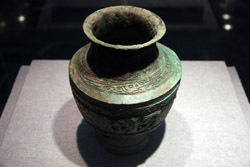 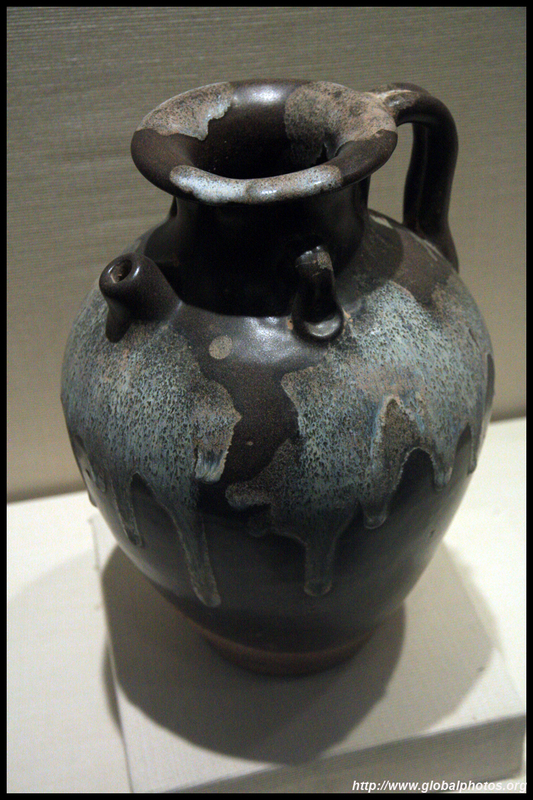 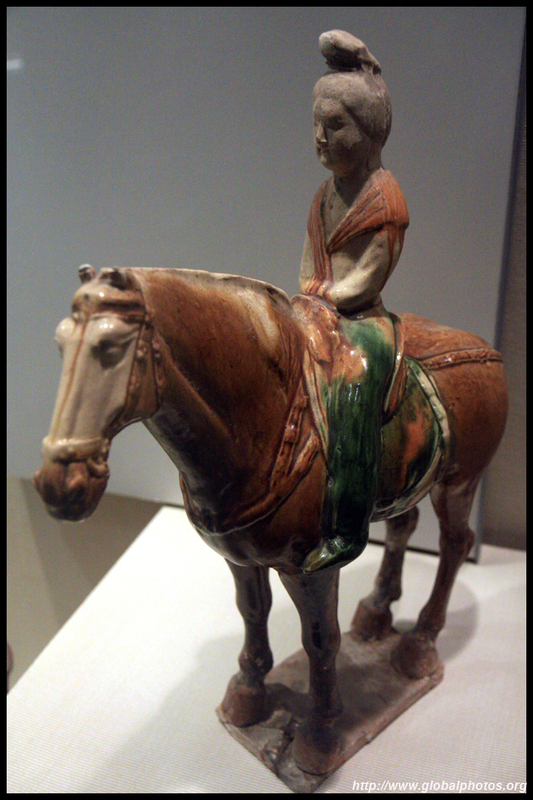 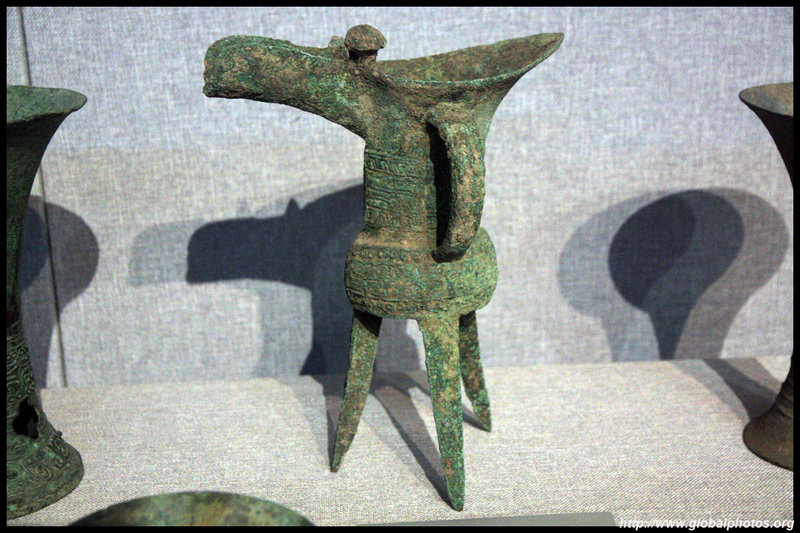 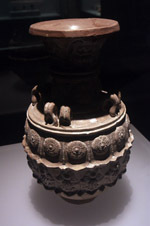 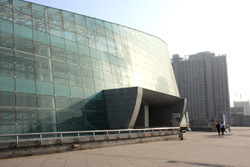 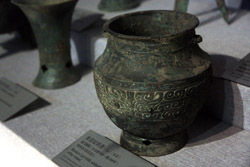 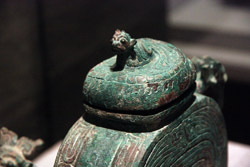 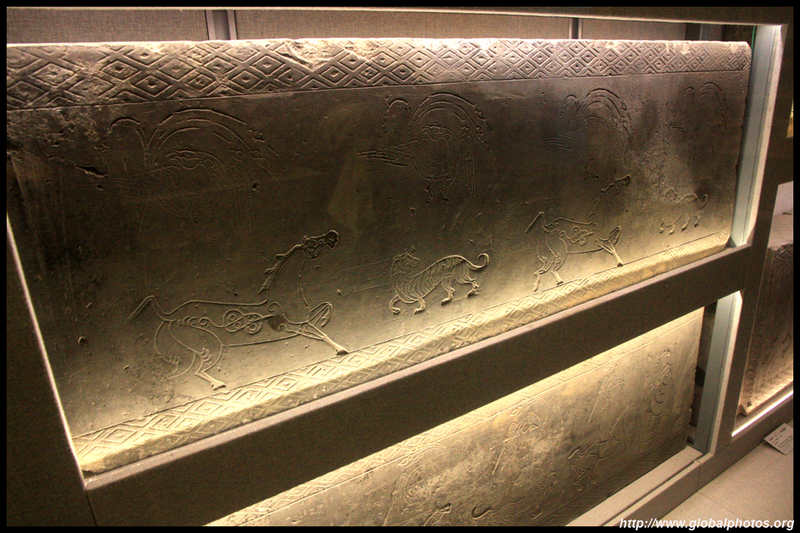 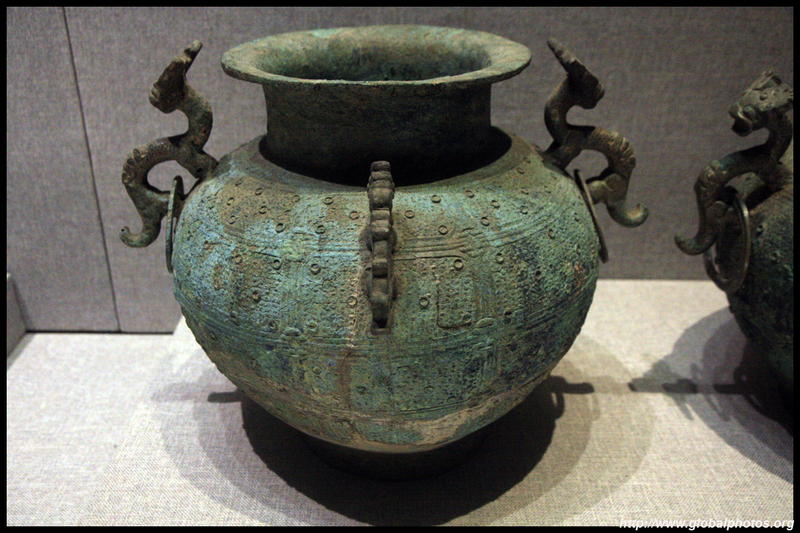 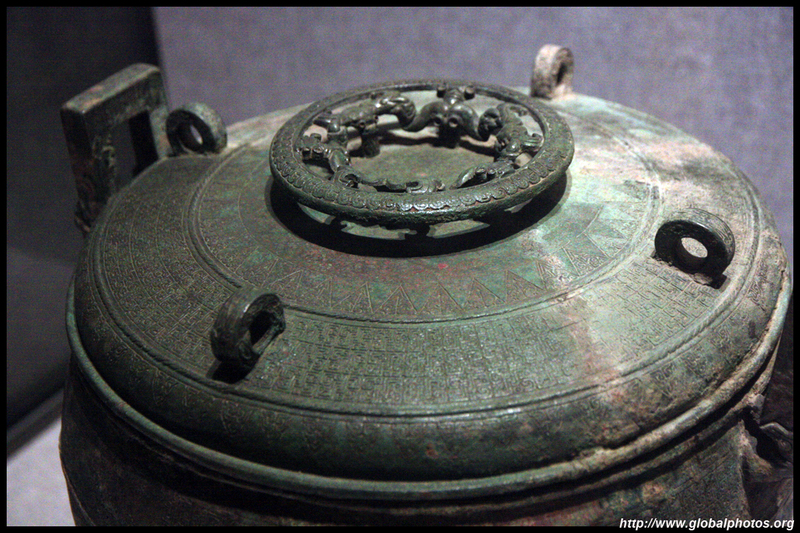 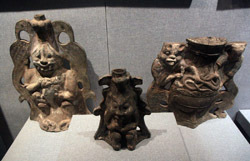 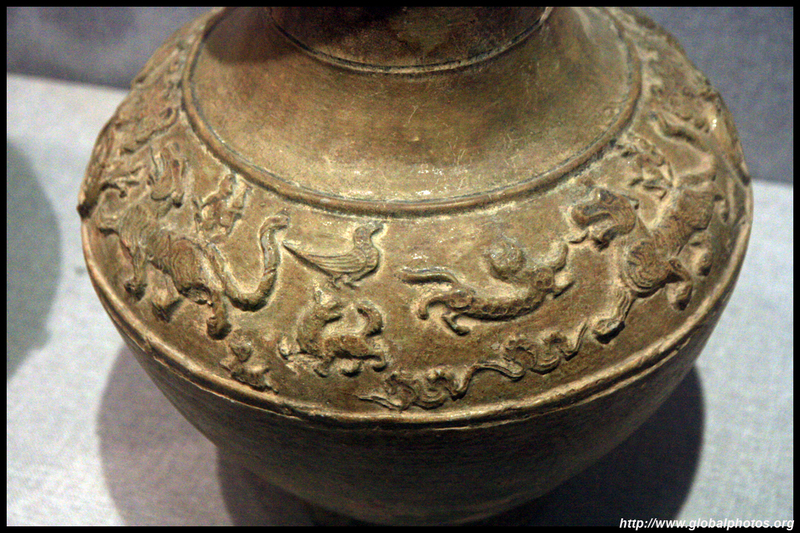 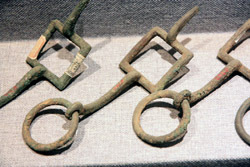 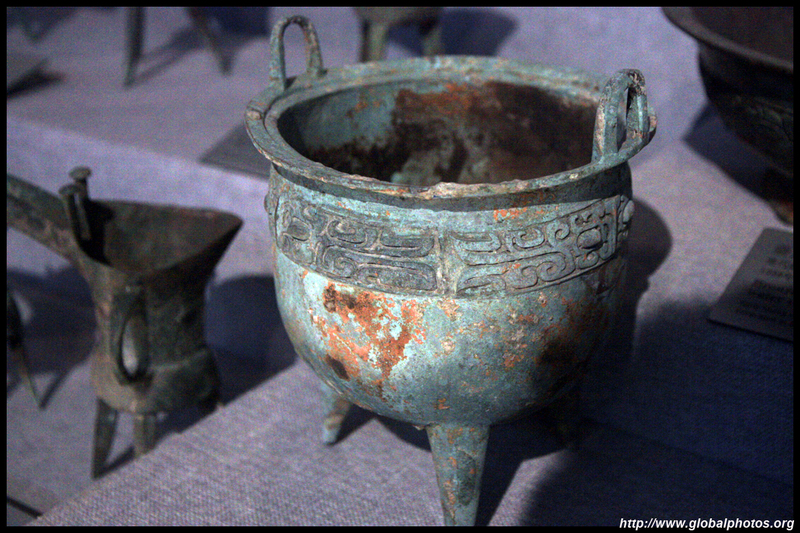 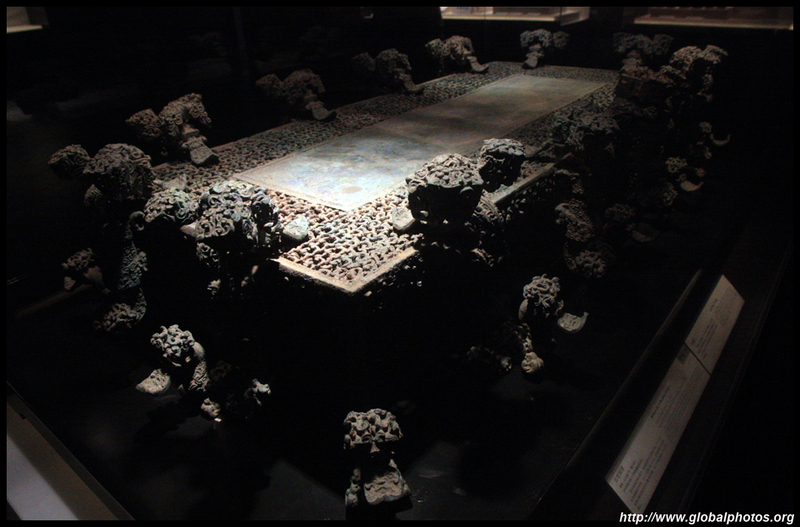 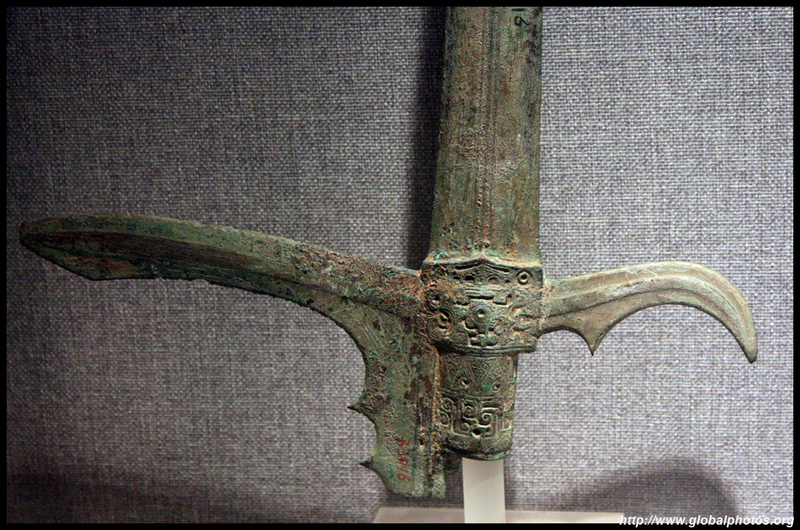 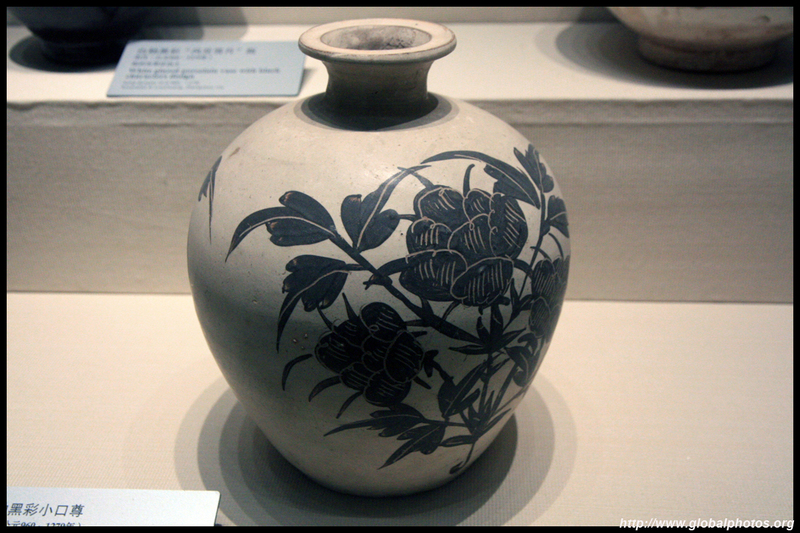 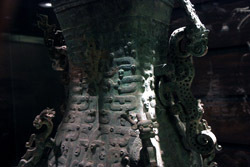 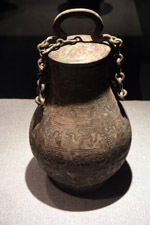 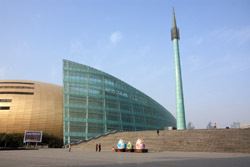 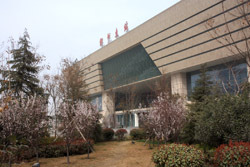 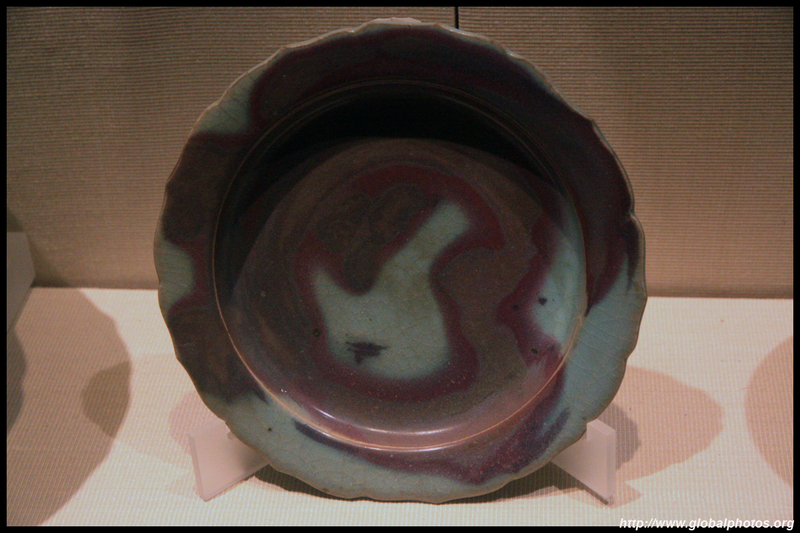 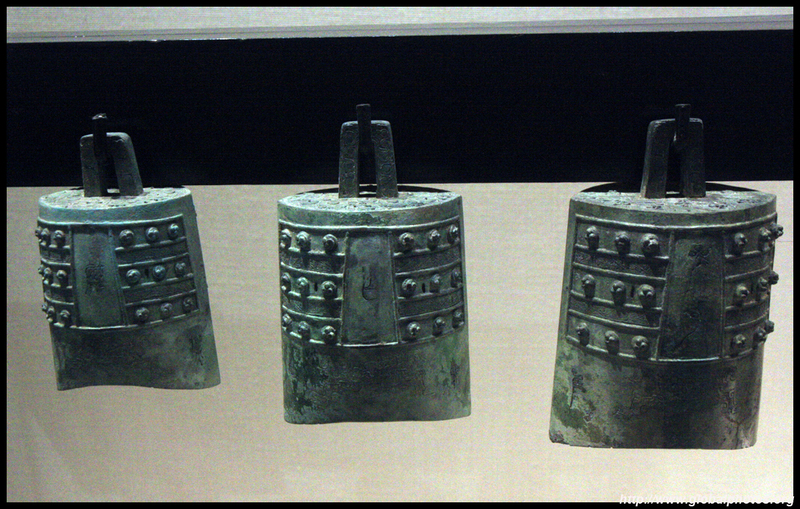 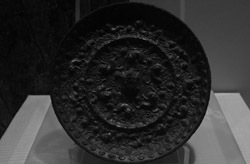 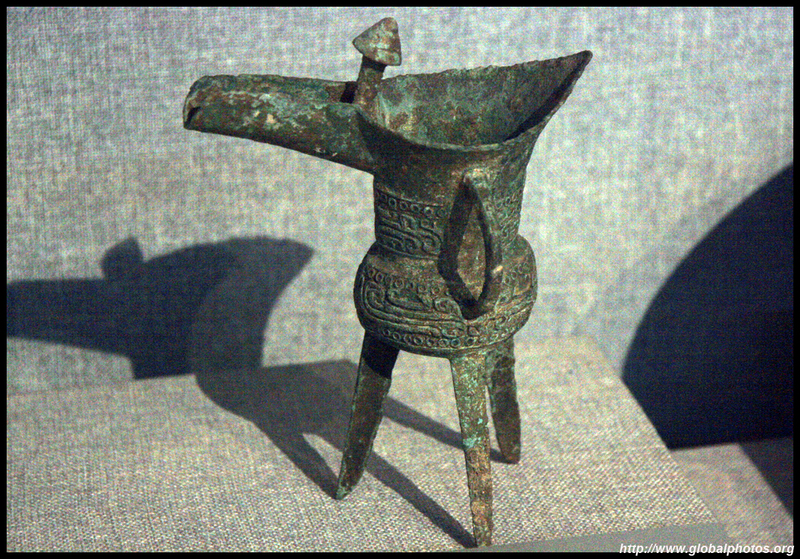 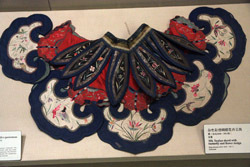 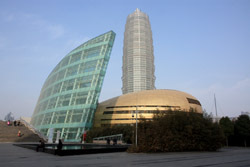 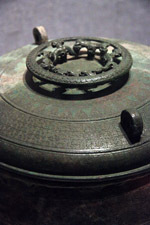 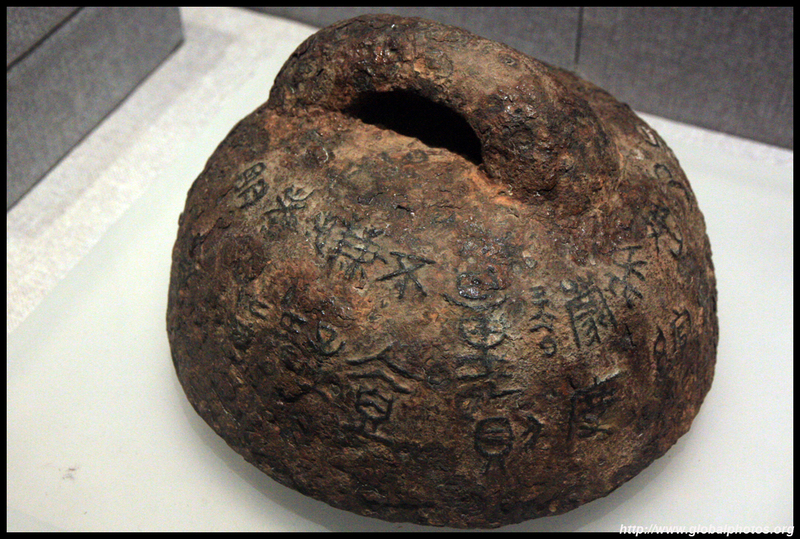 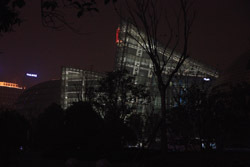 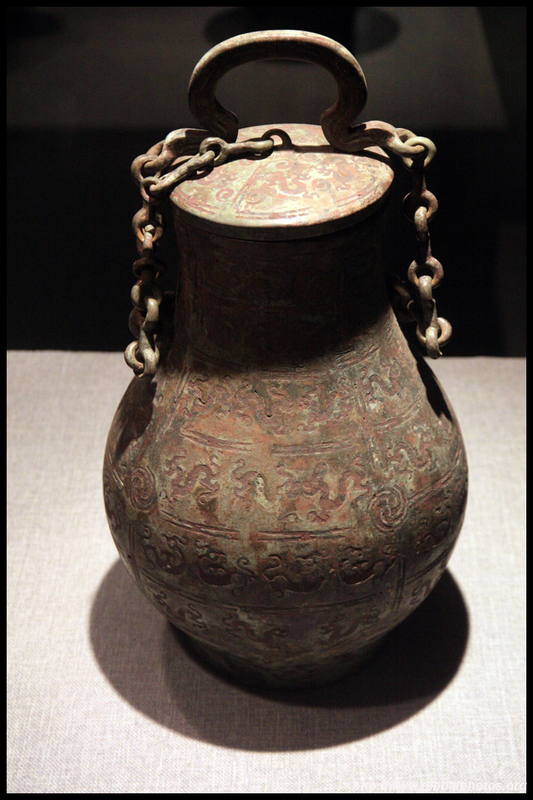 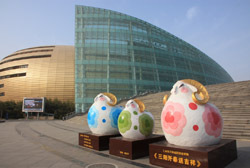 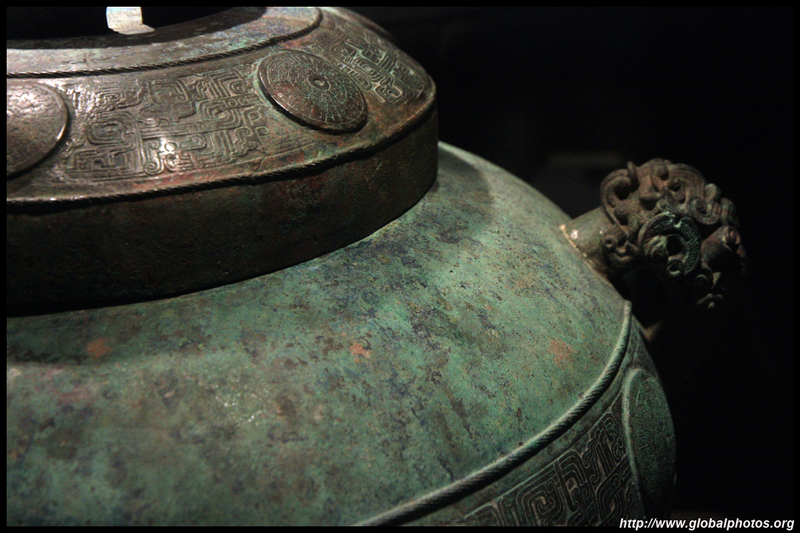 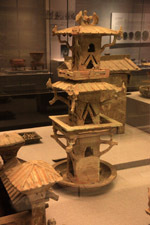 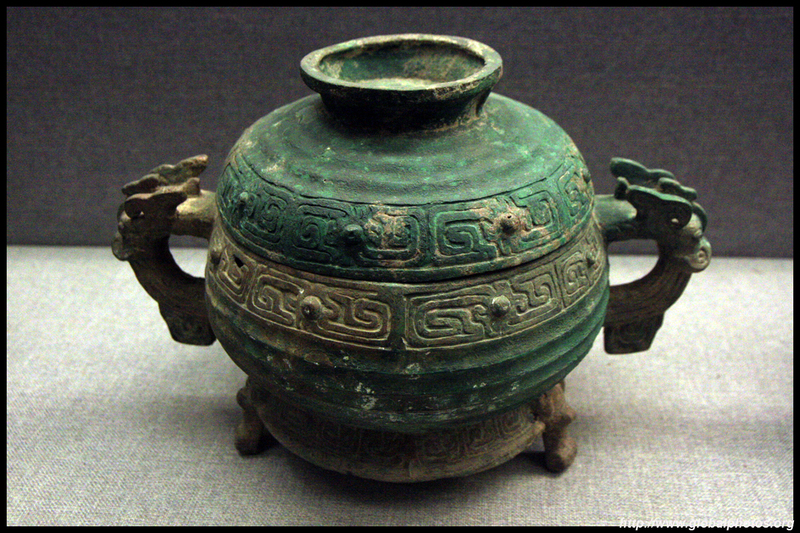 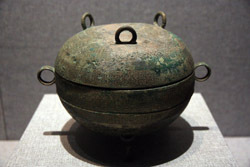 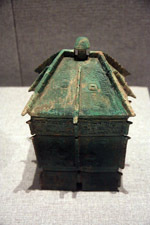 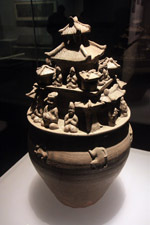 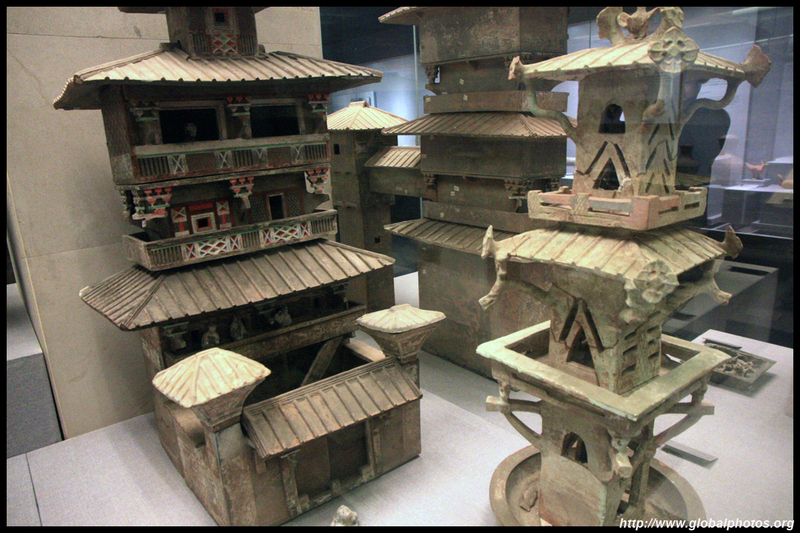 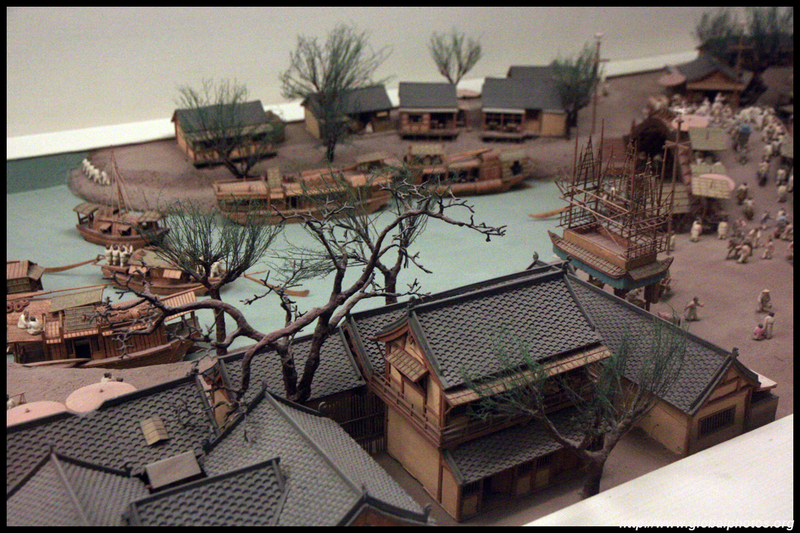 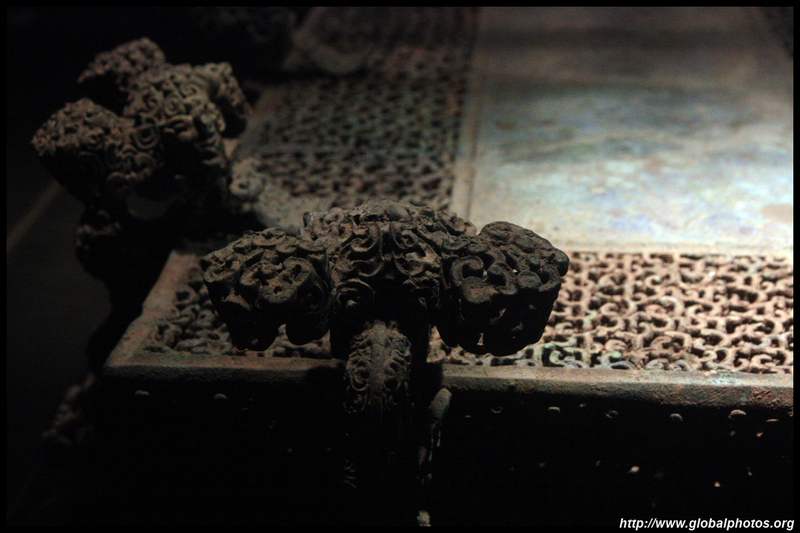 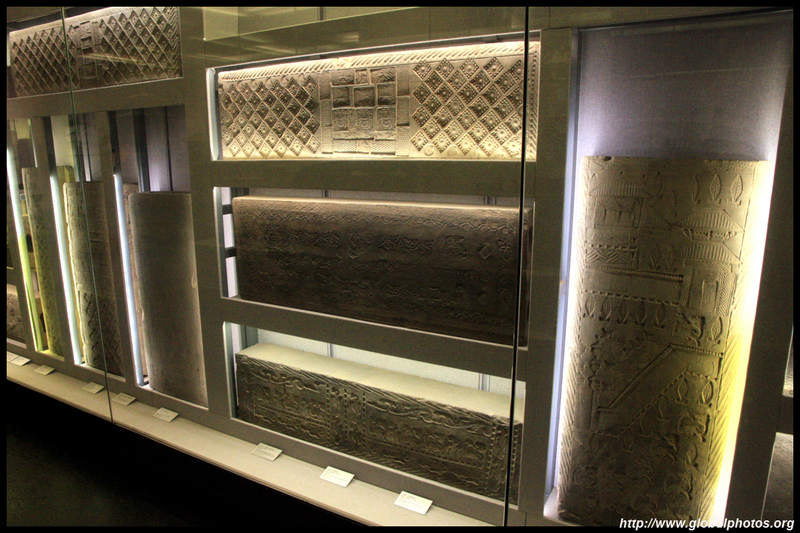 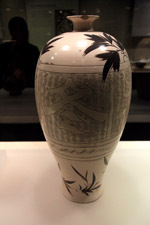 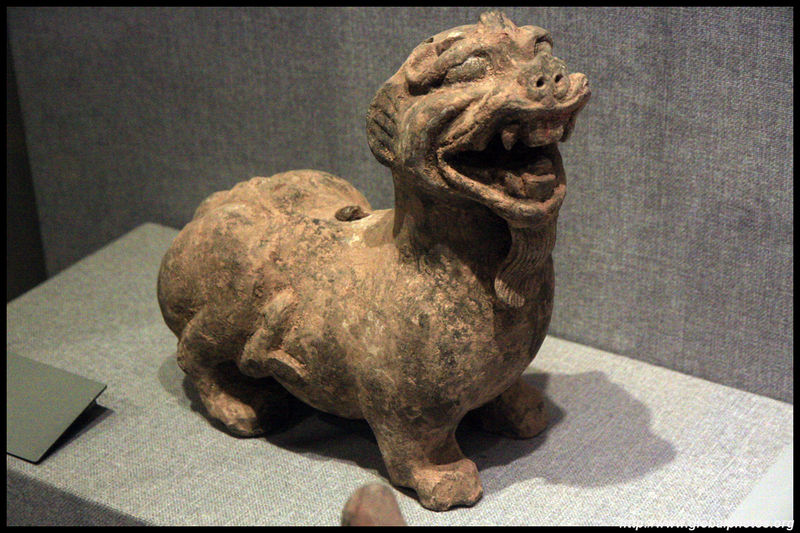 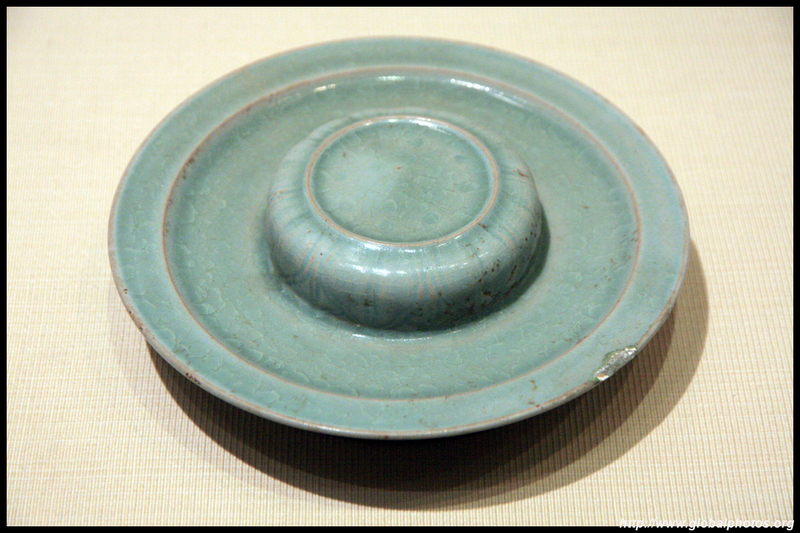 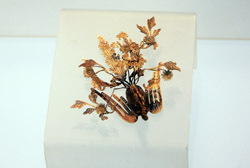 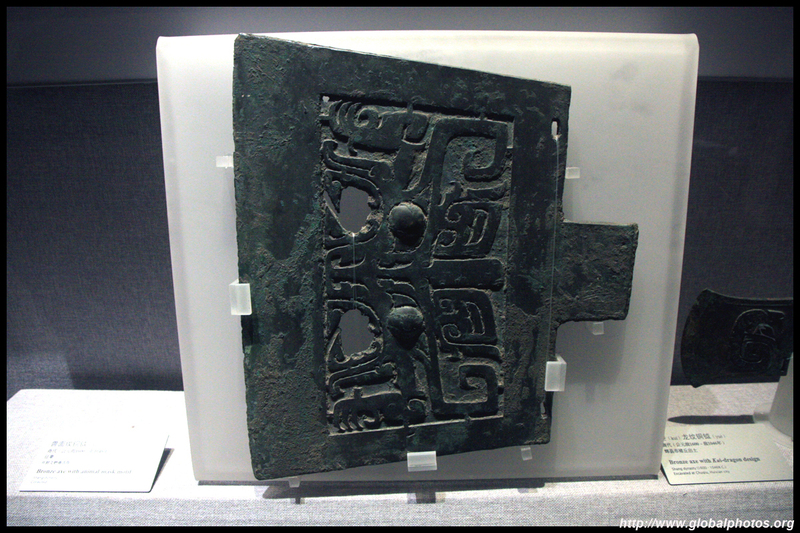 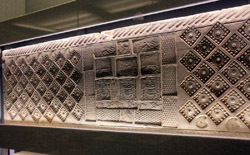 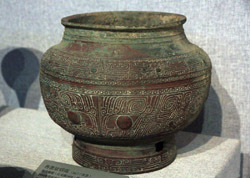 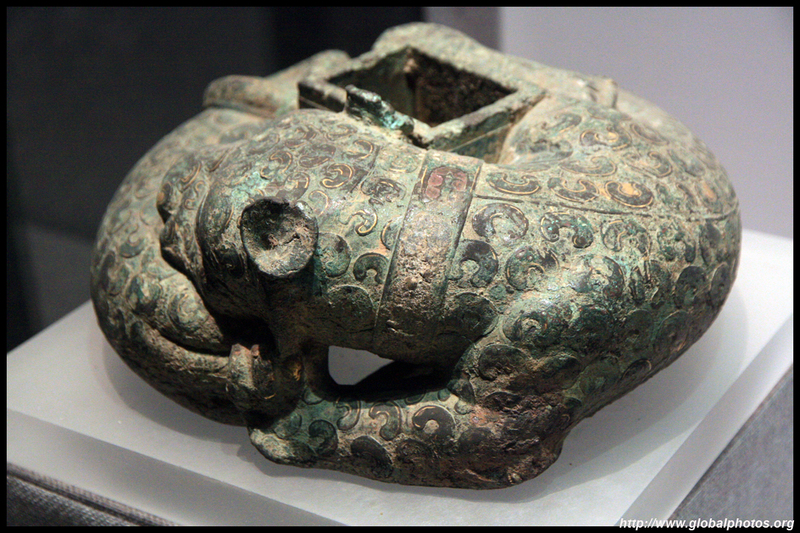 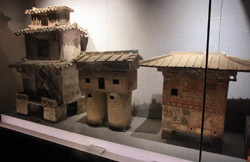 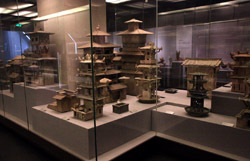 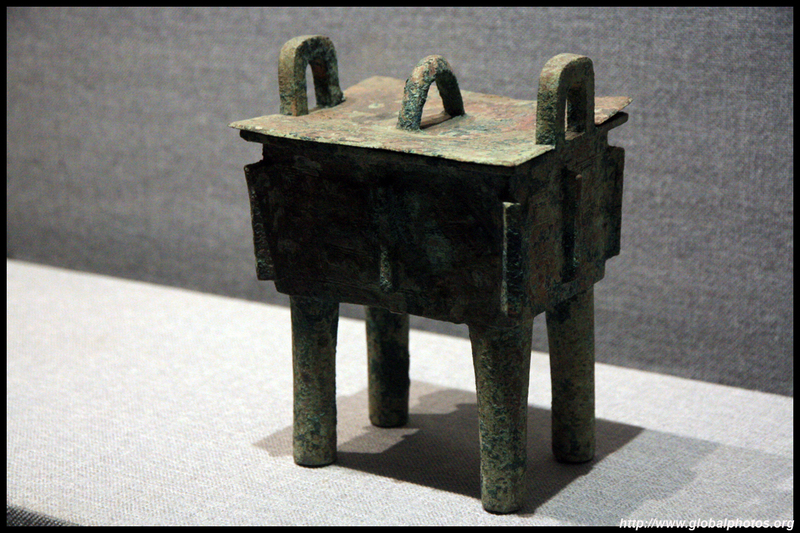 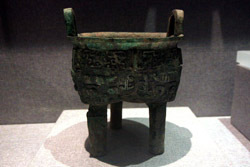 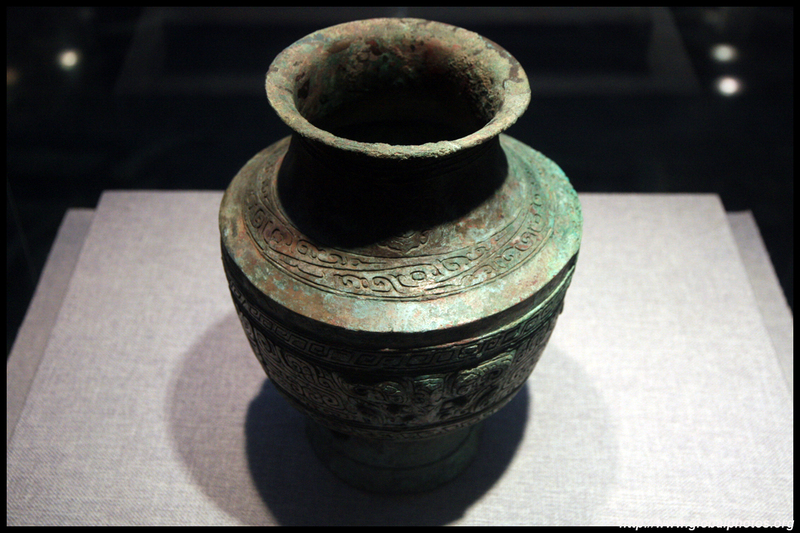 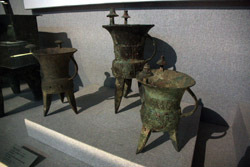 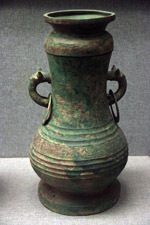 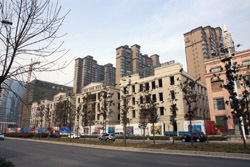 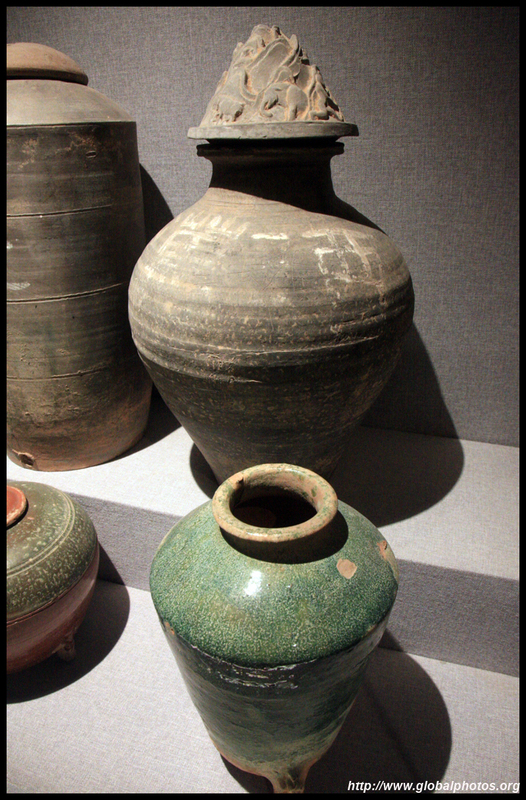 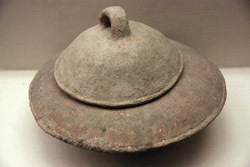 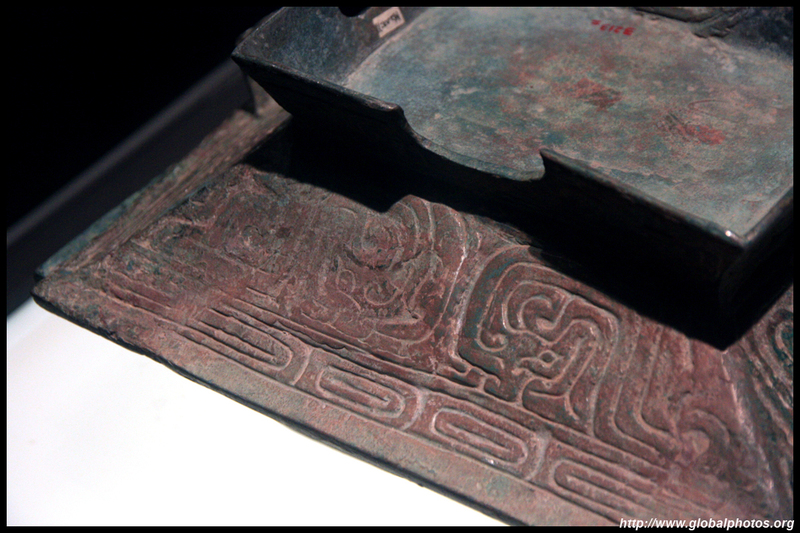 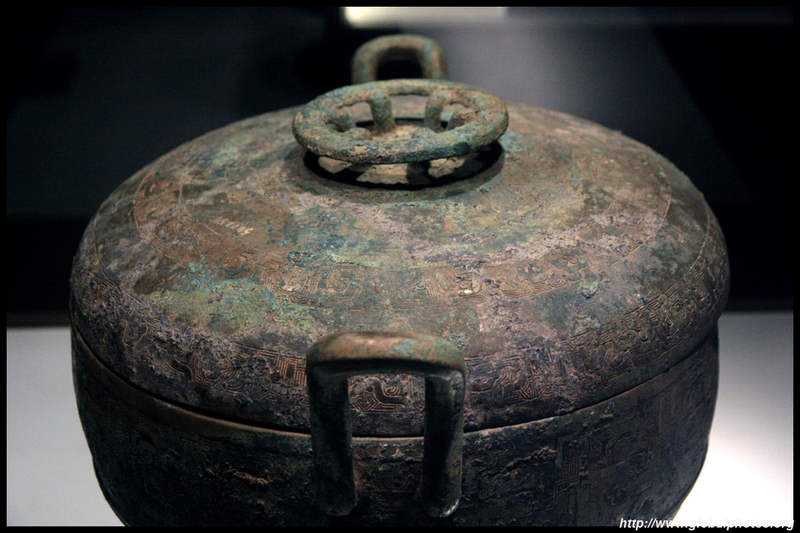 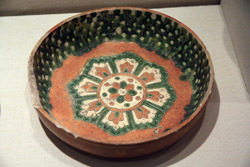 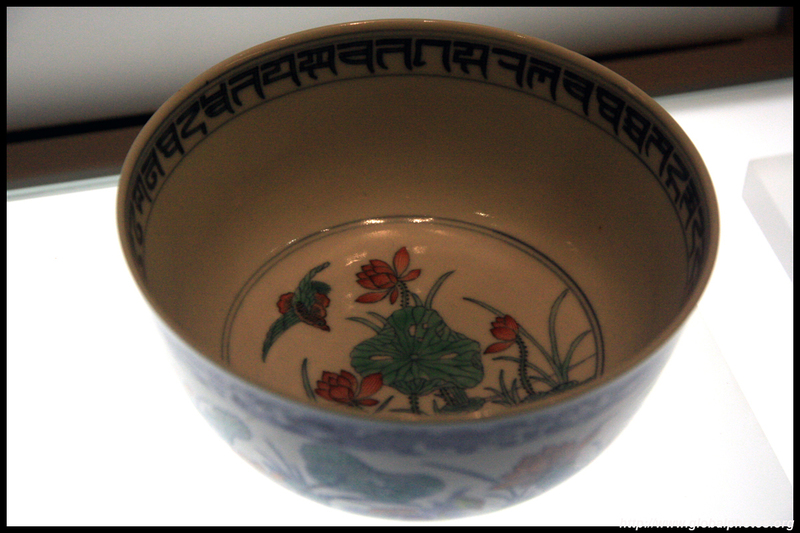 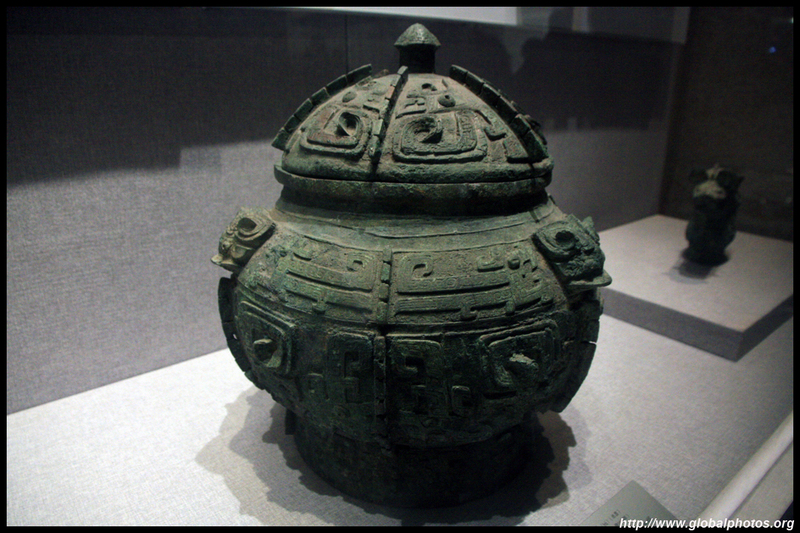 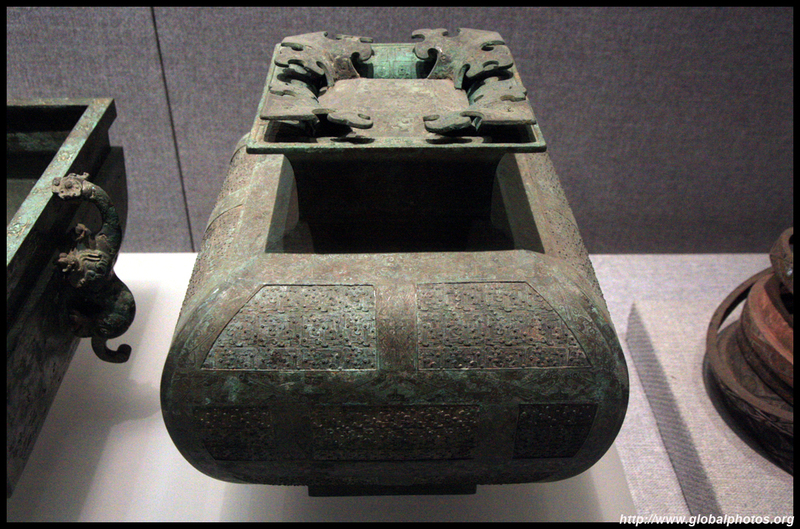 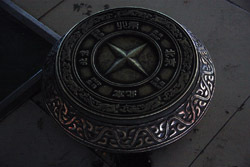 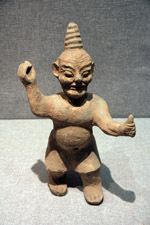 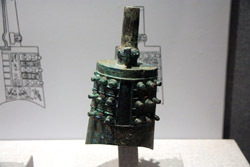 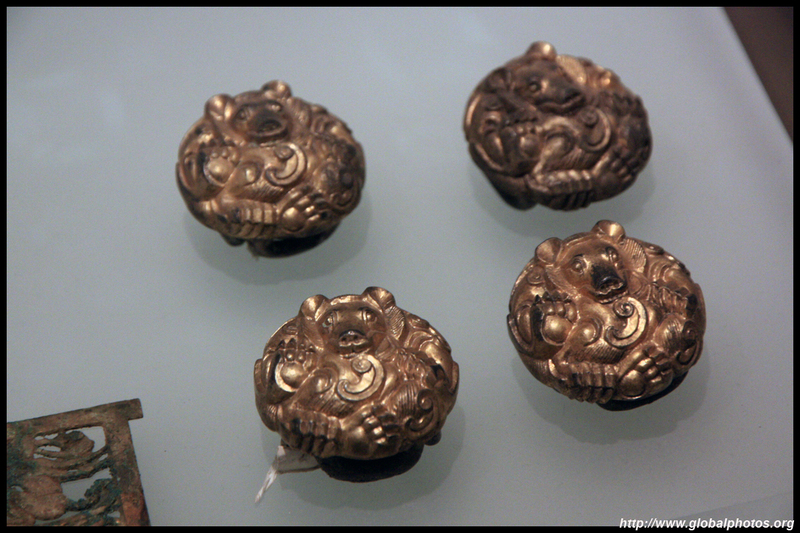 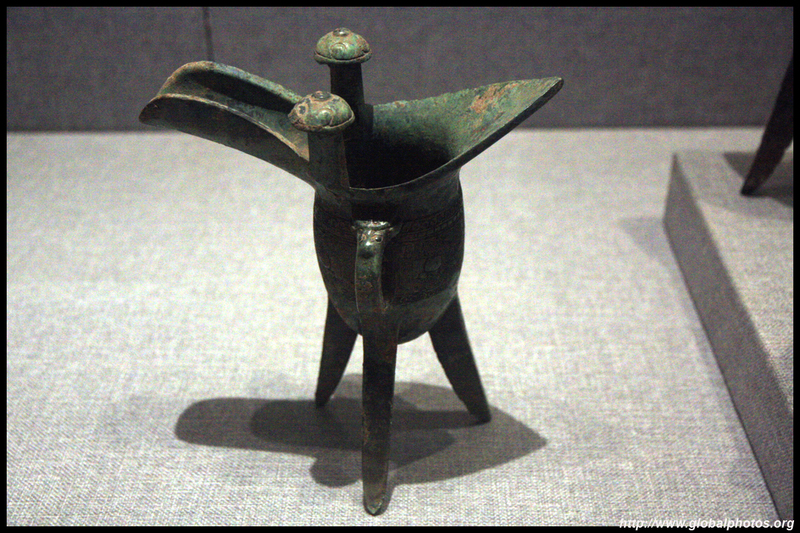 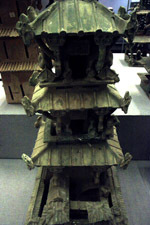 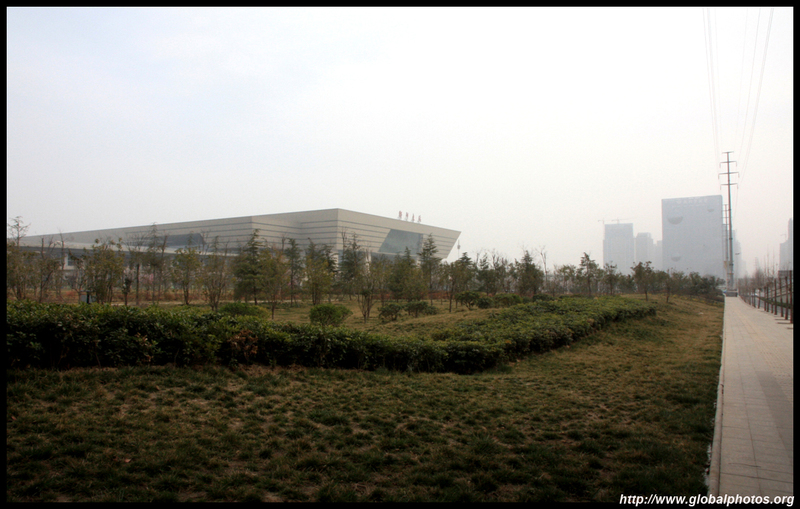 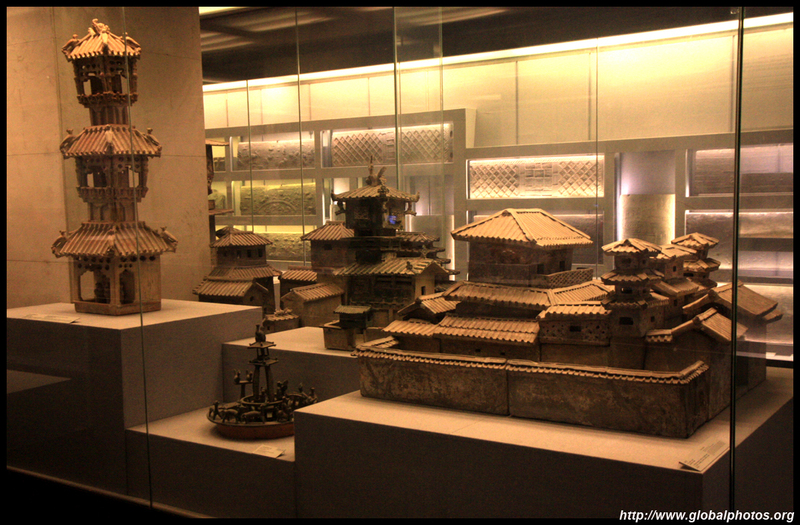 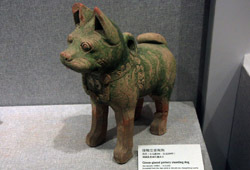 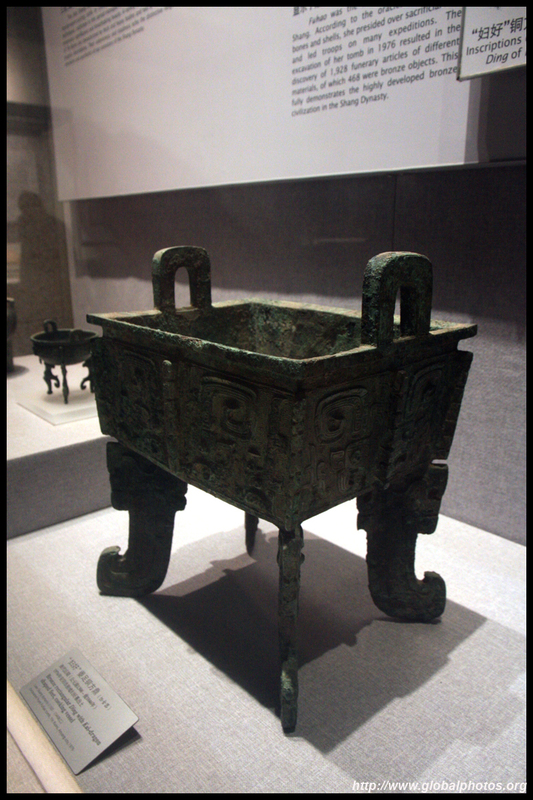 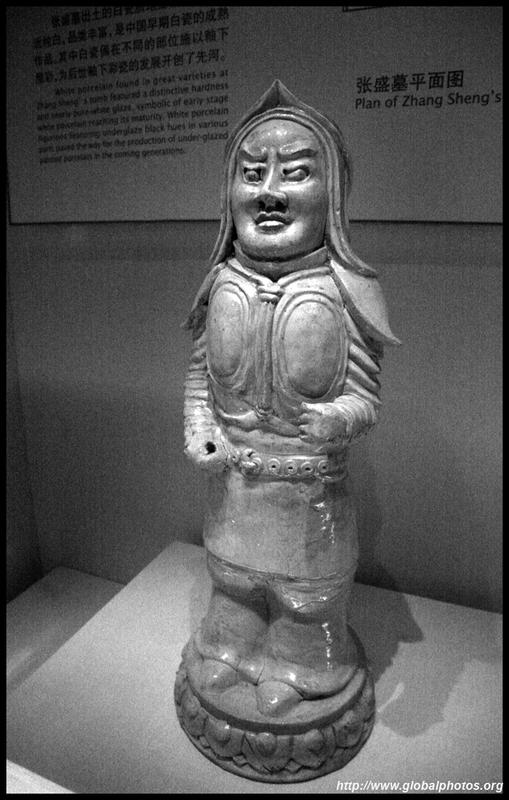 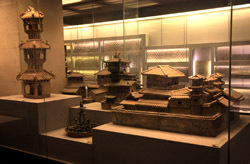 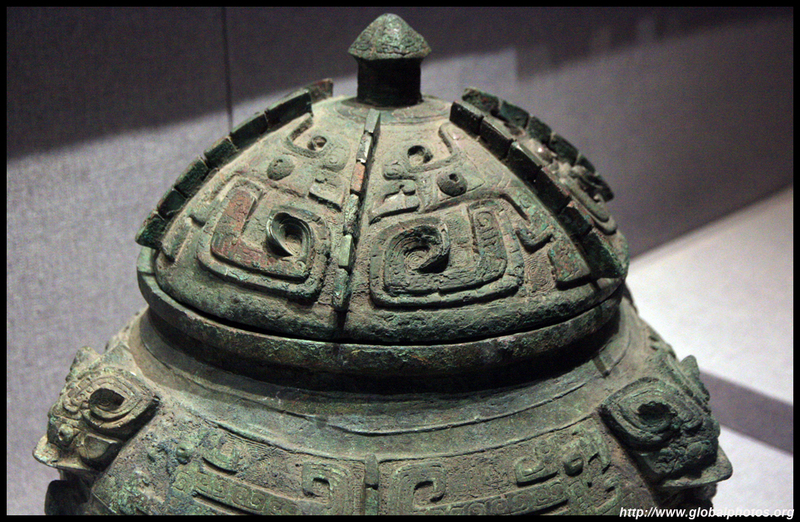 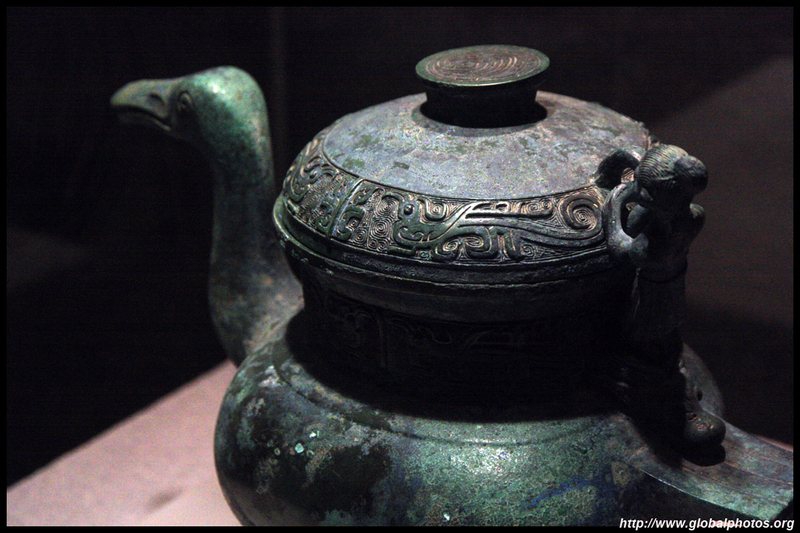 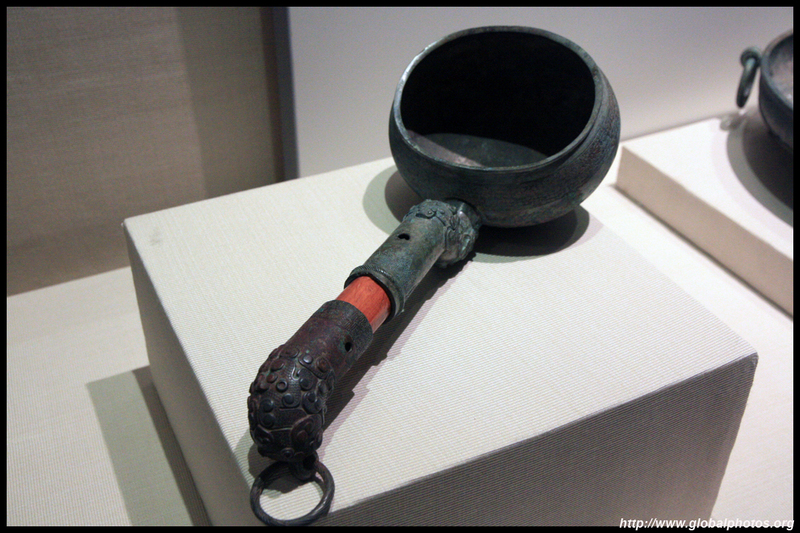 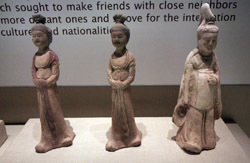 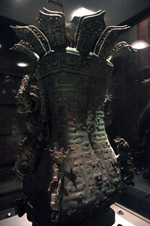 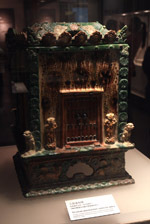 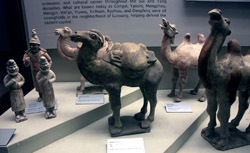 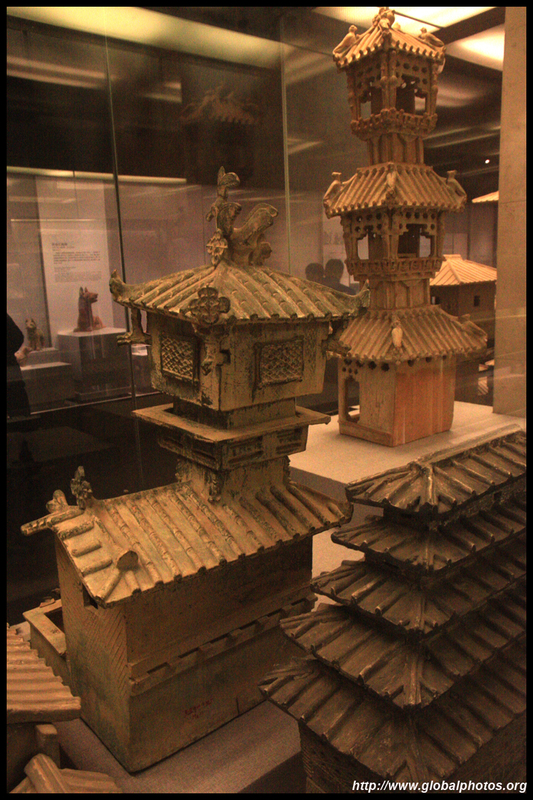 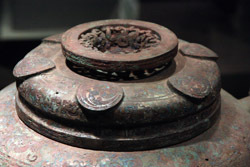 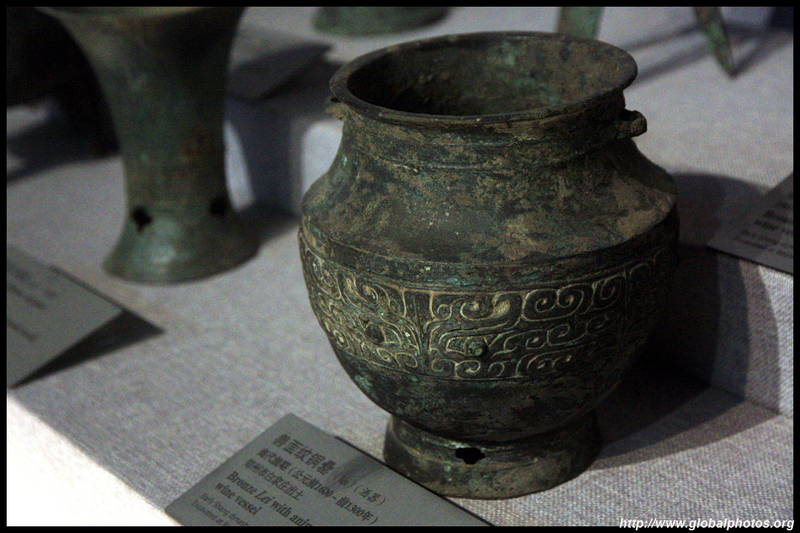 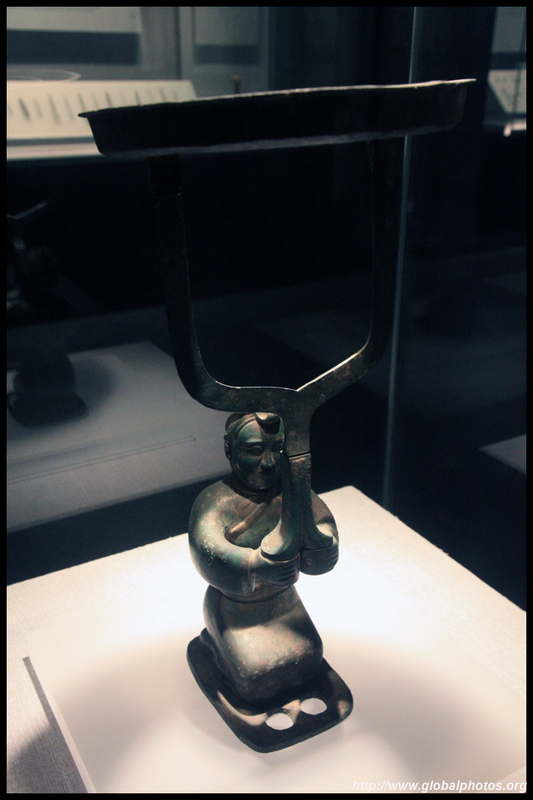 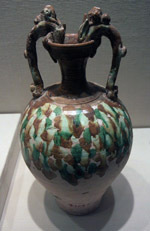 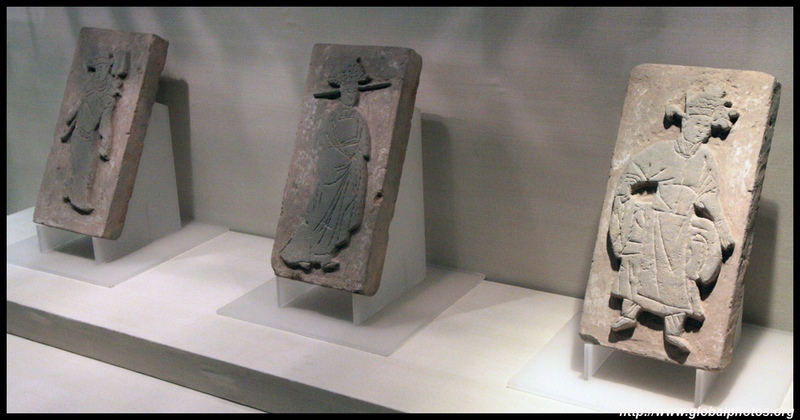 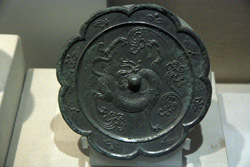 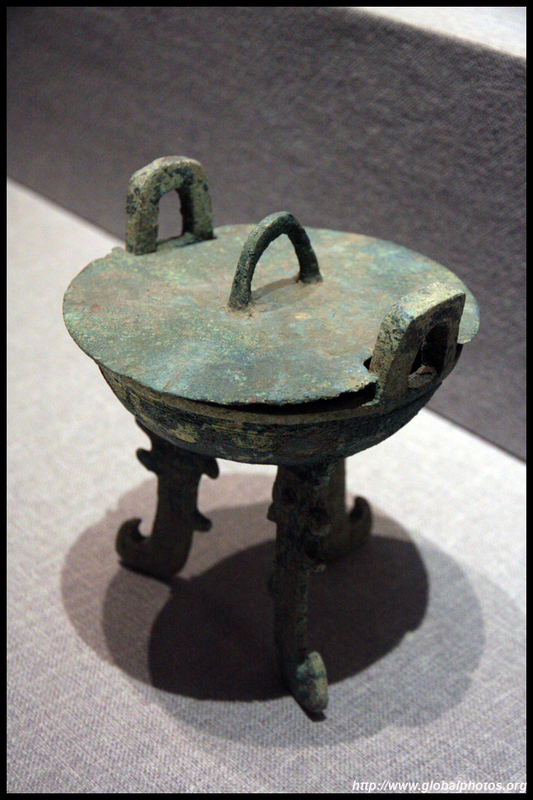 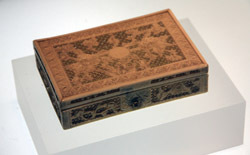 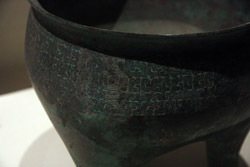 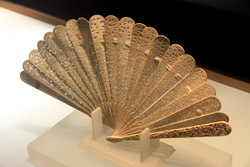 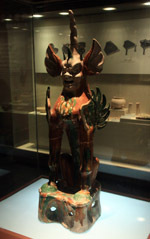 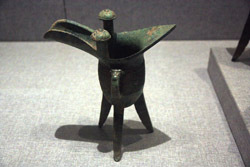 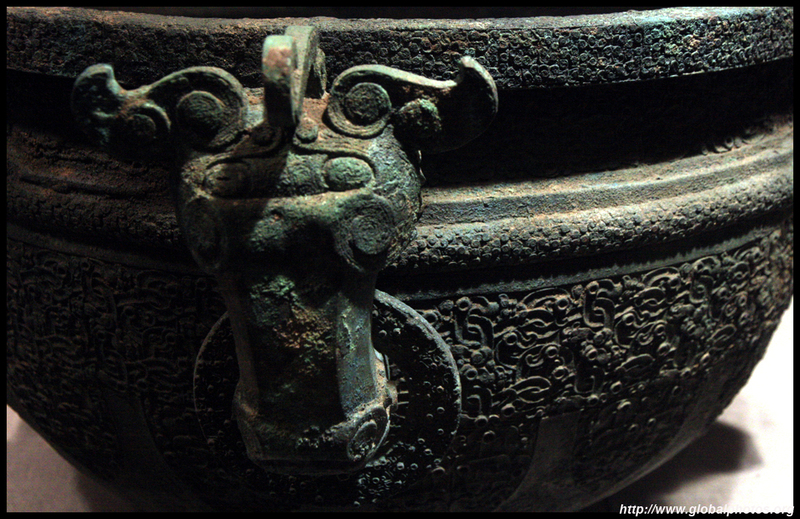 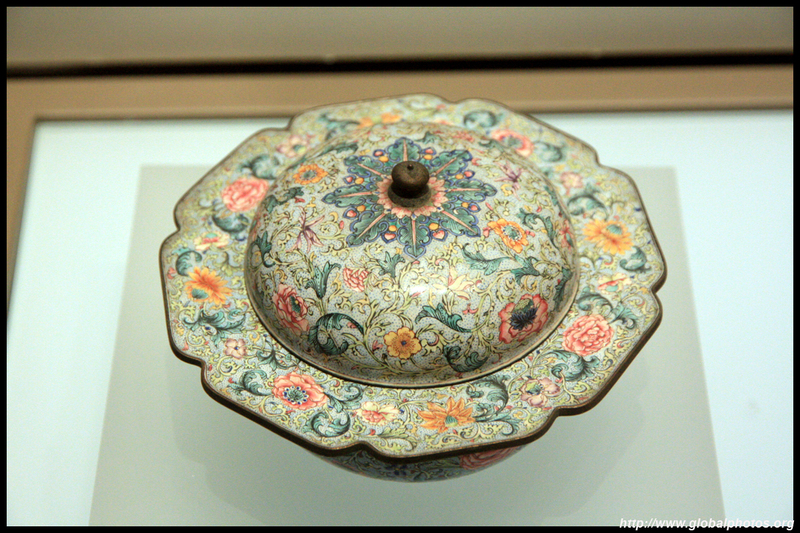 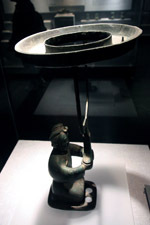 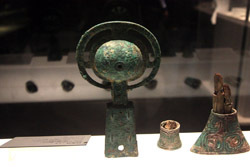 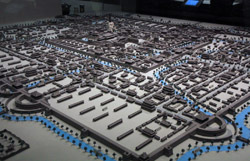 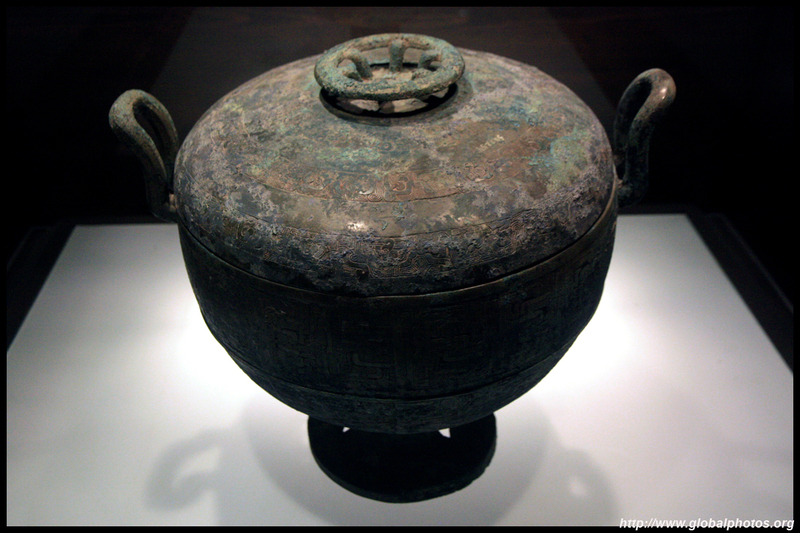 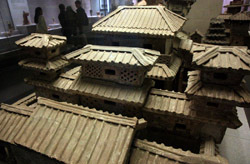 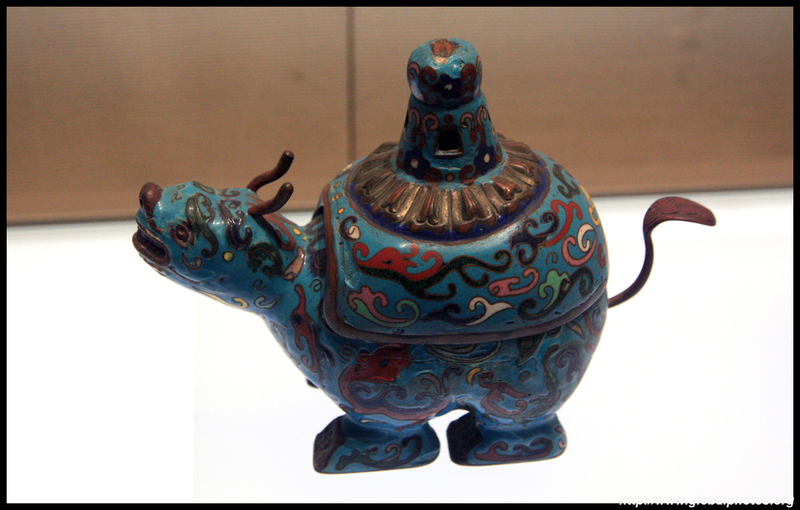 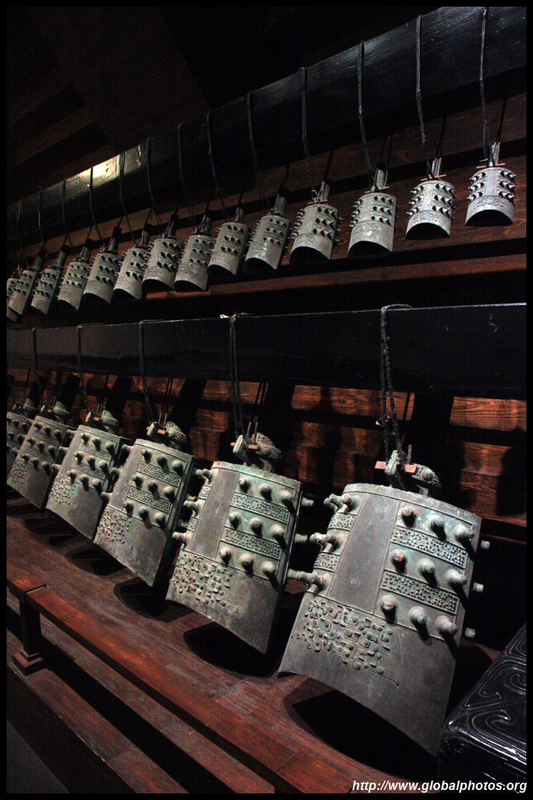 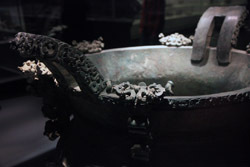 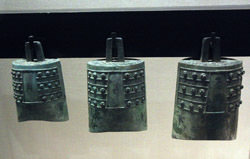 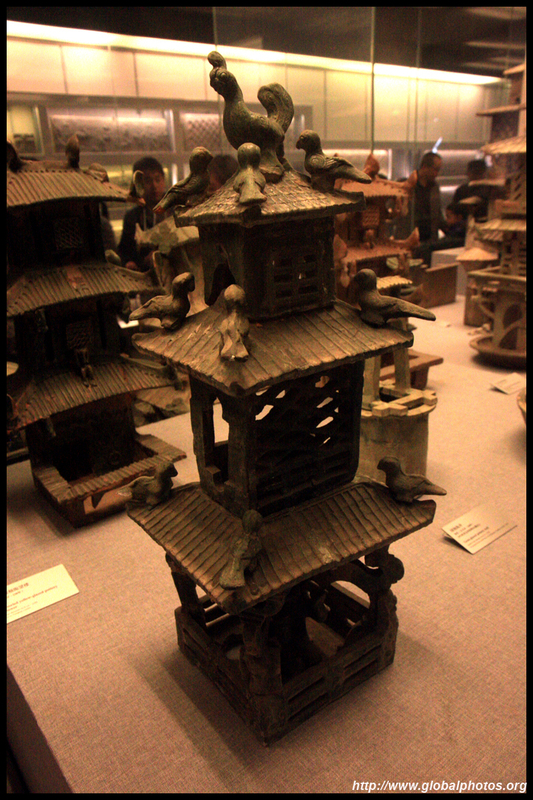 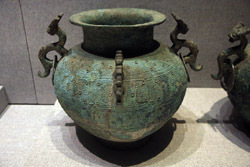 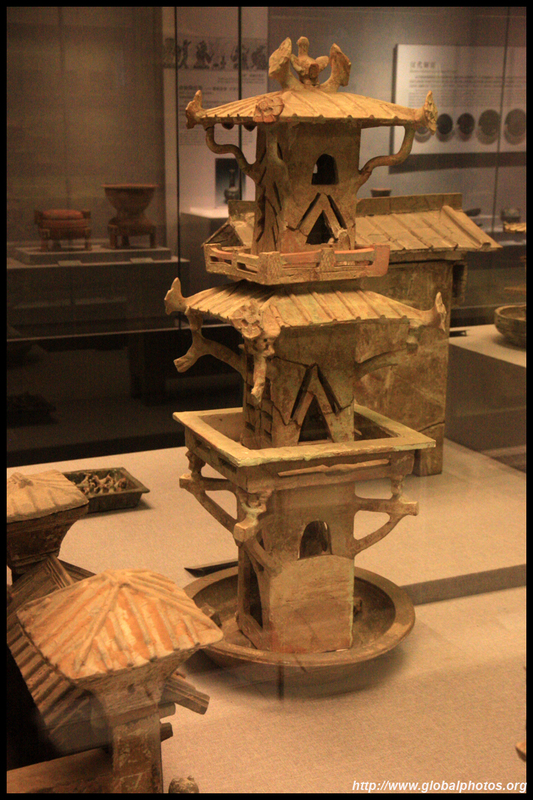 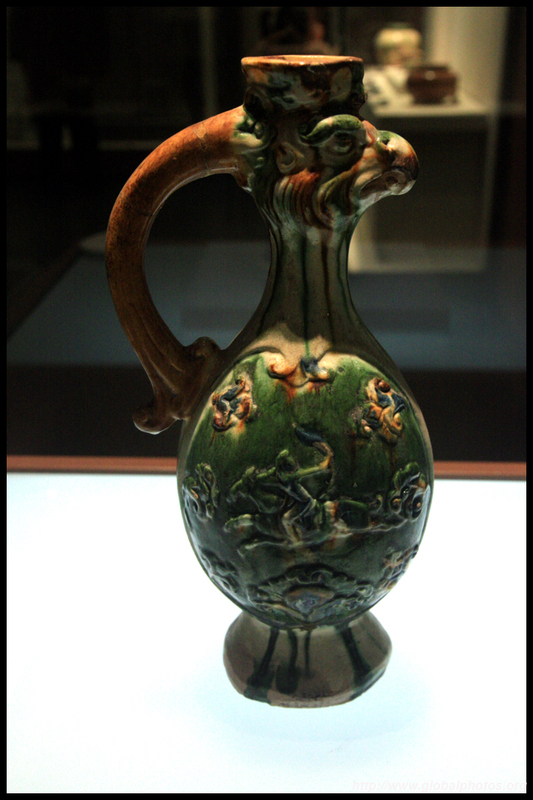 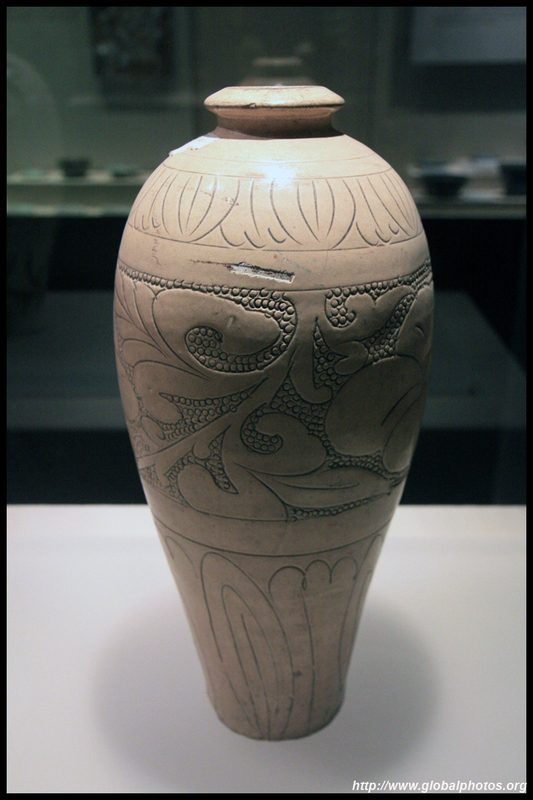 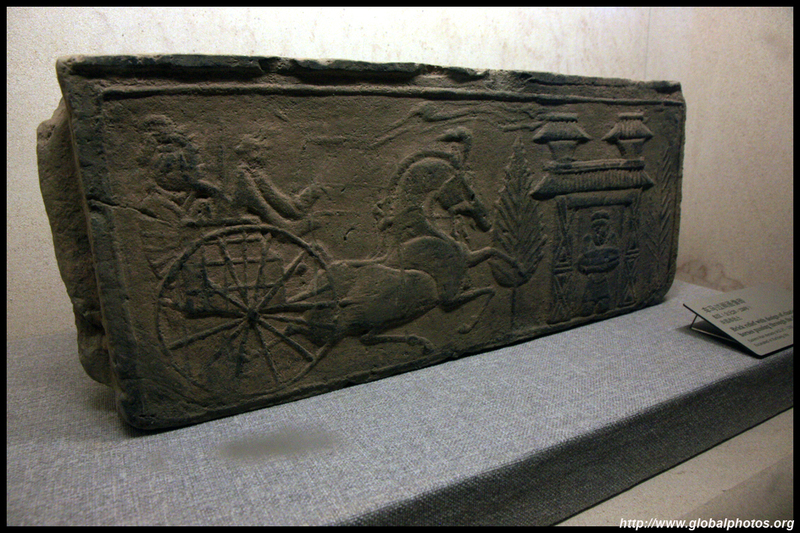 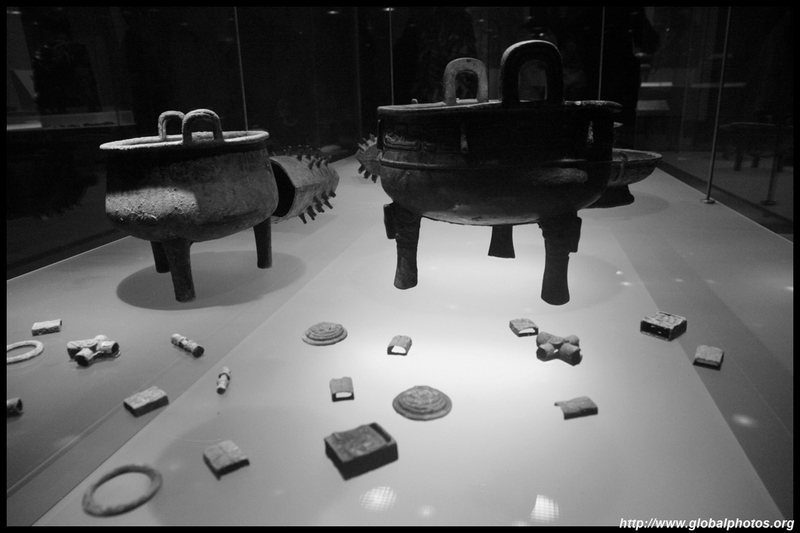 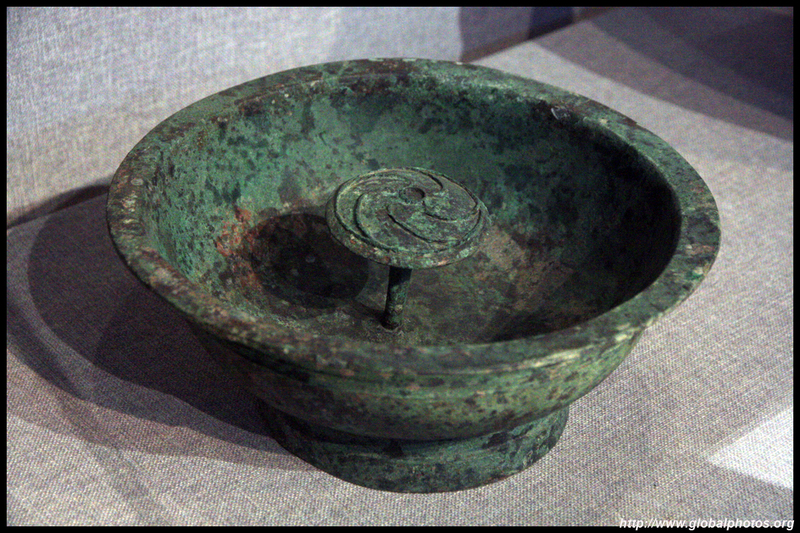 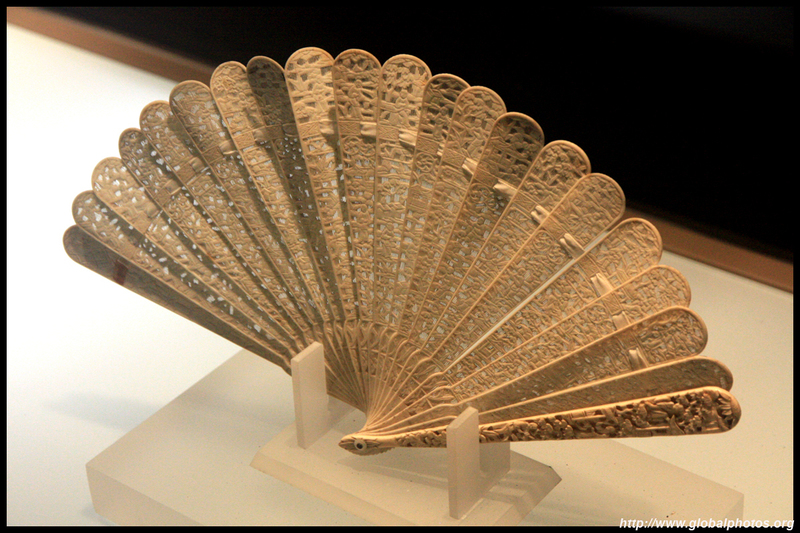 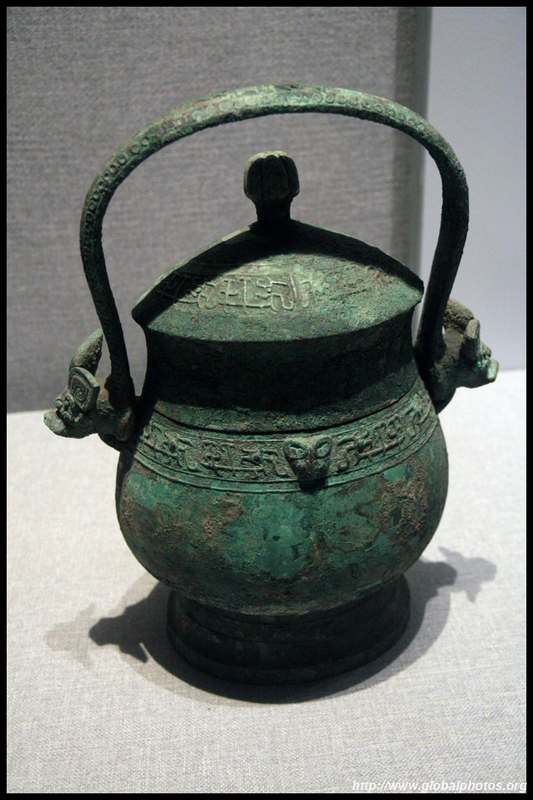 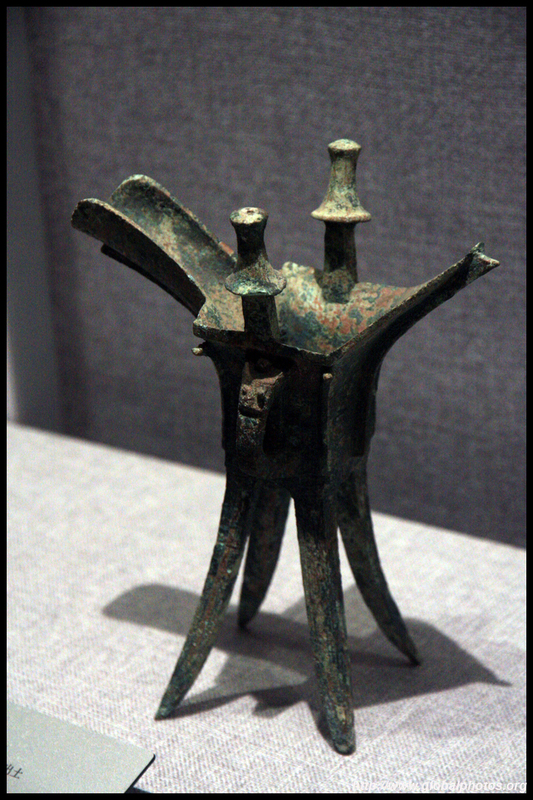 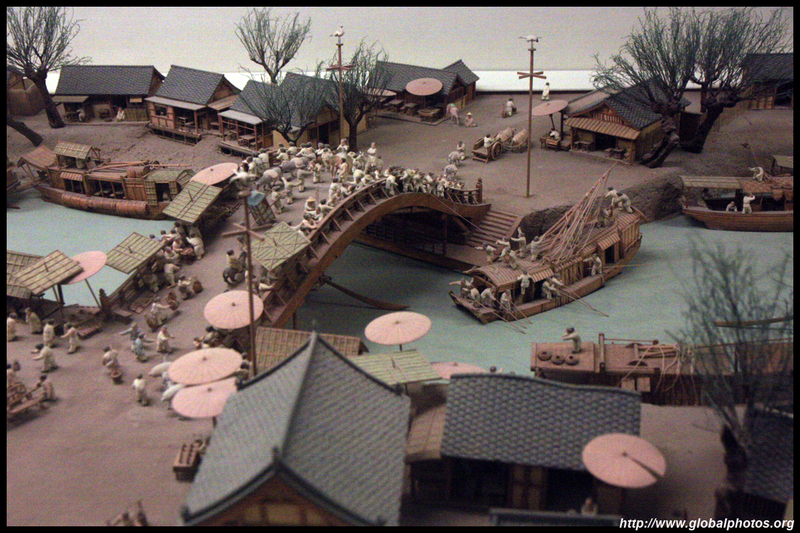 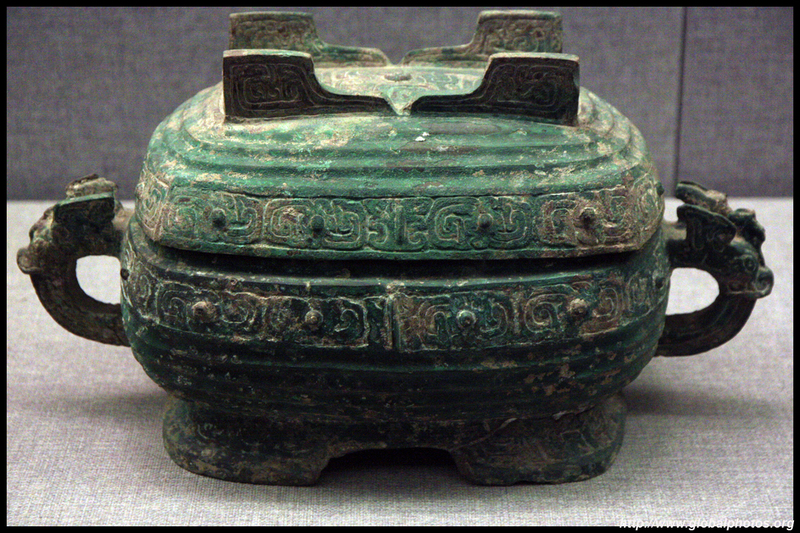 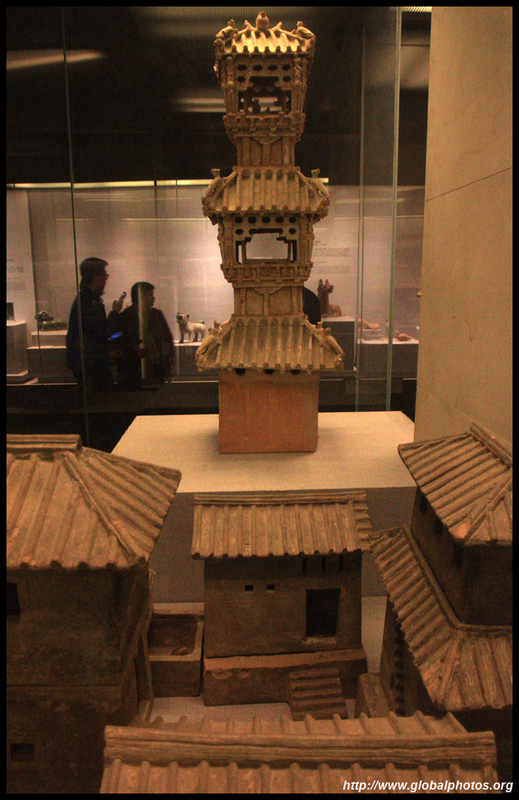 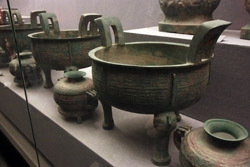 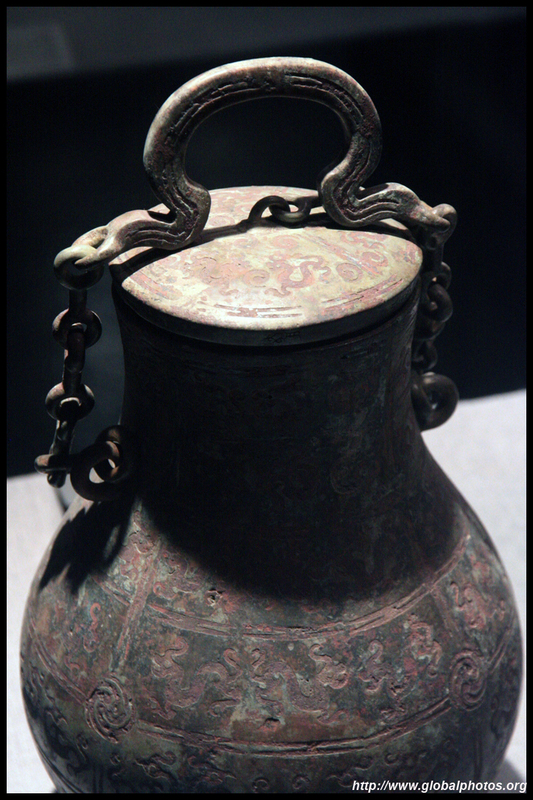 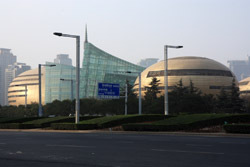 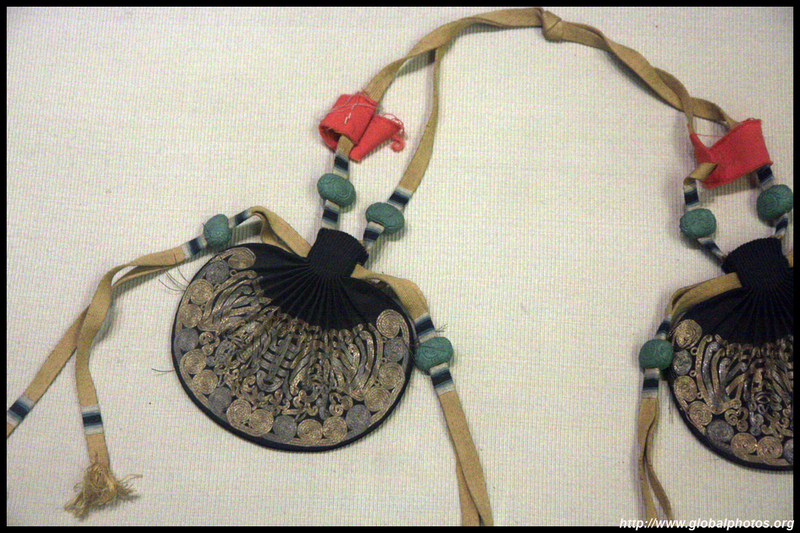 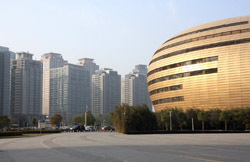 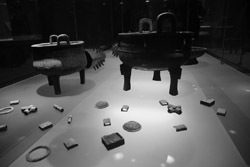 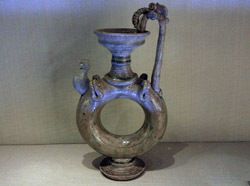 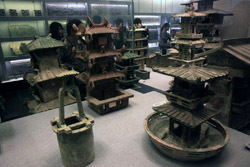 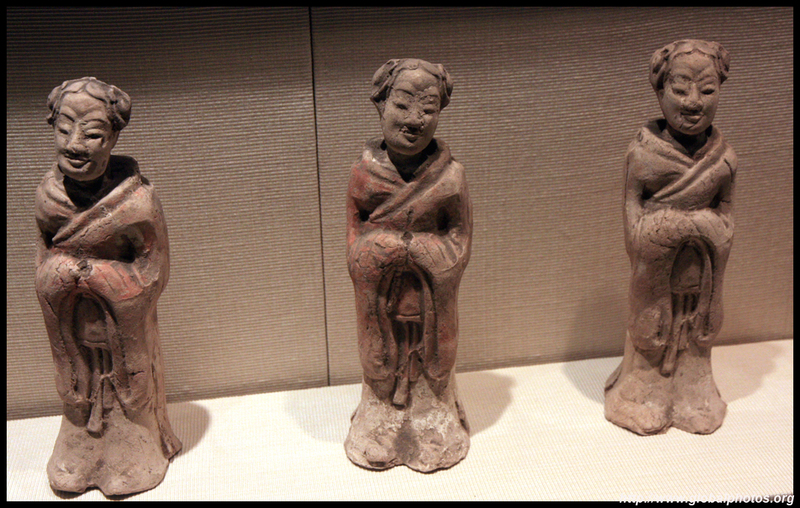 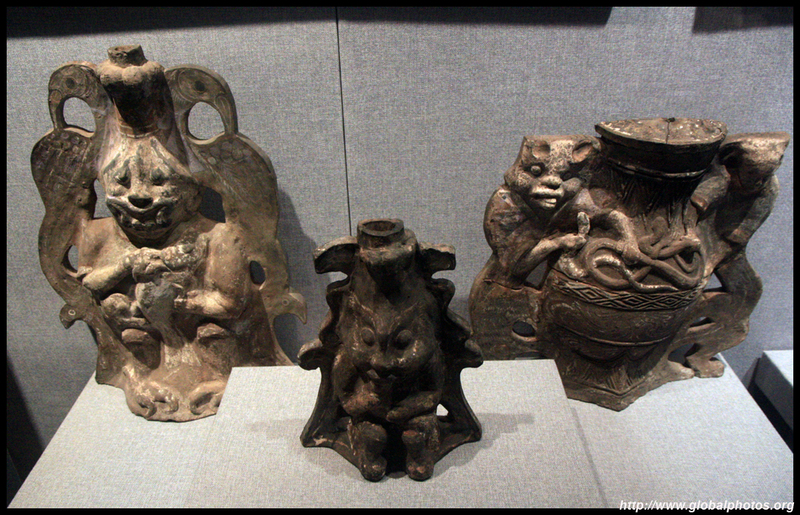 Henan Museum boasts a huge assortment of artifacts dug up from the local area. 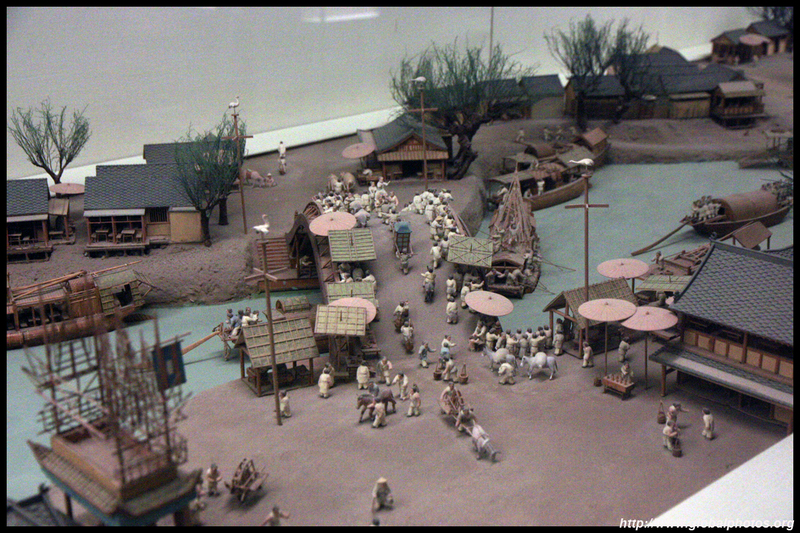 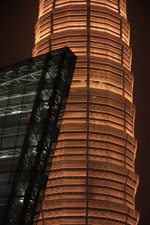 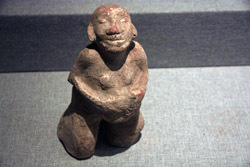 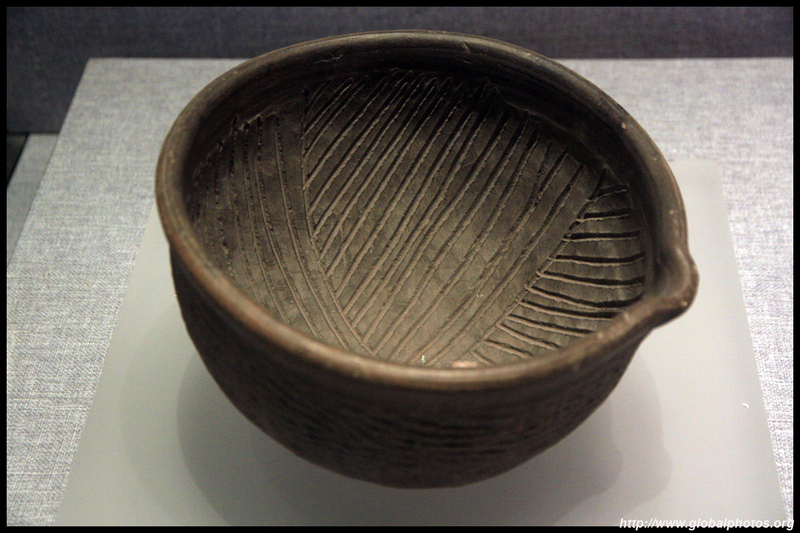 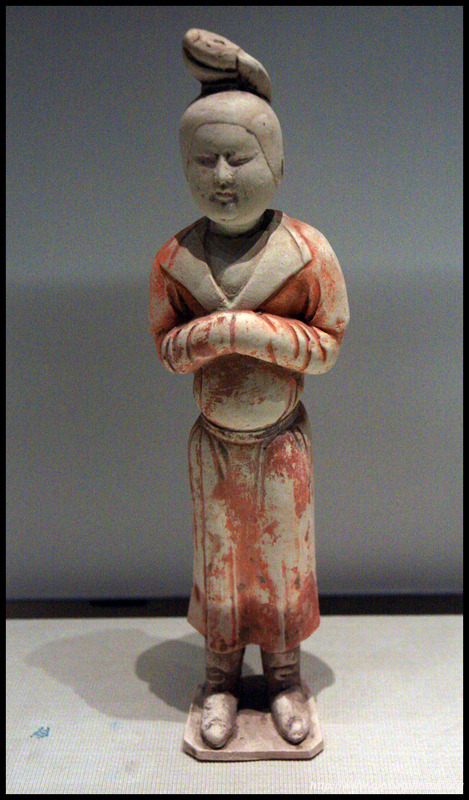 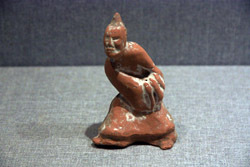 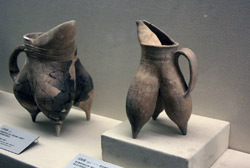 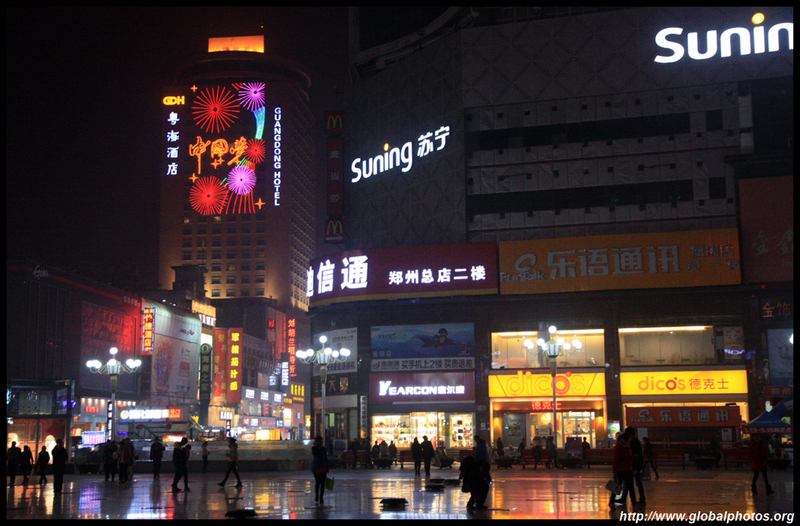 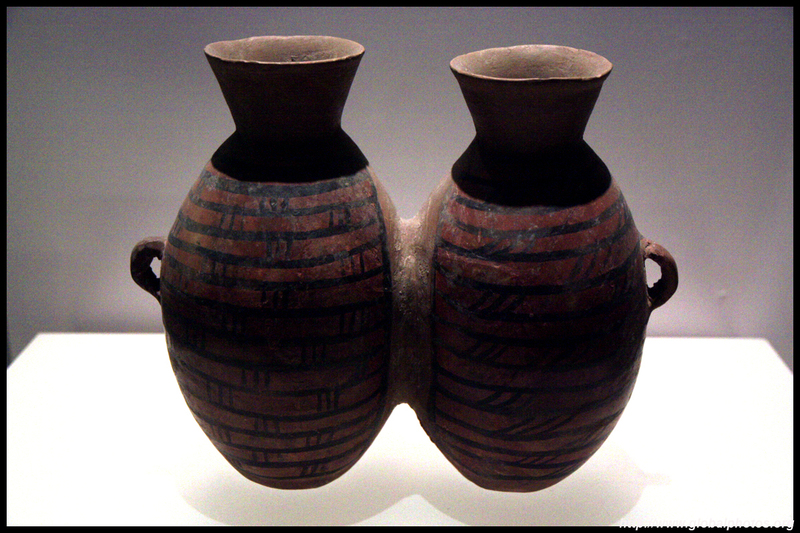 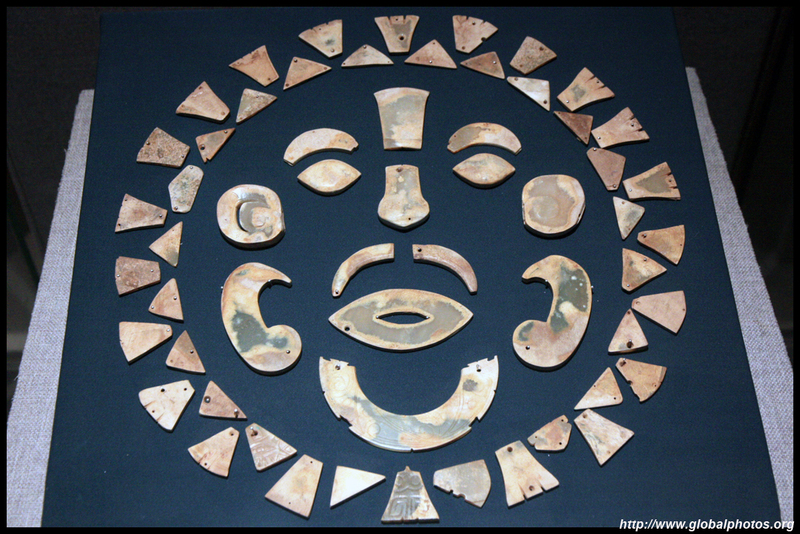 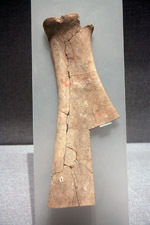 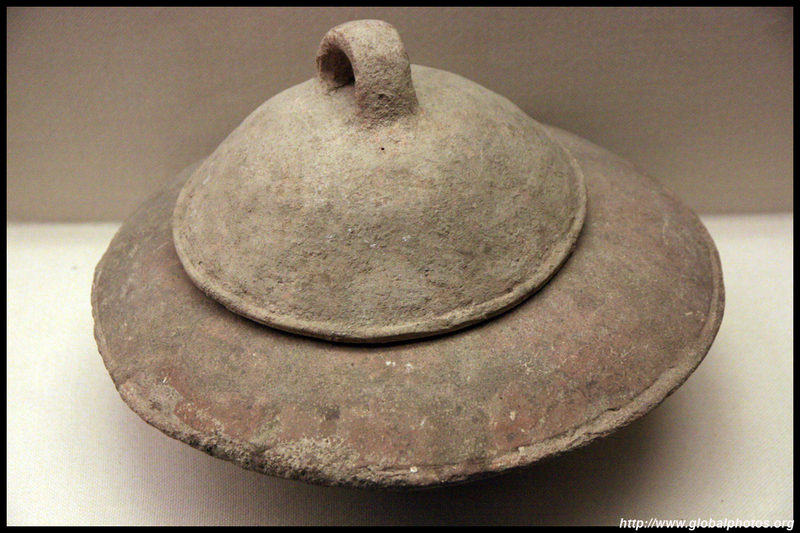 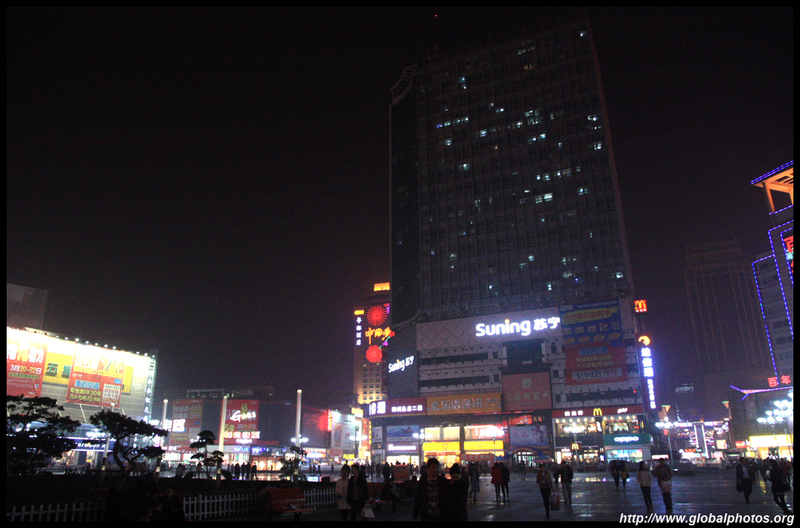 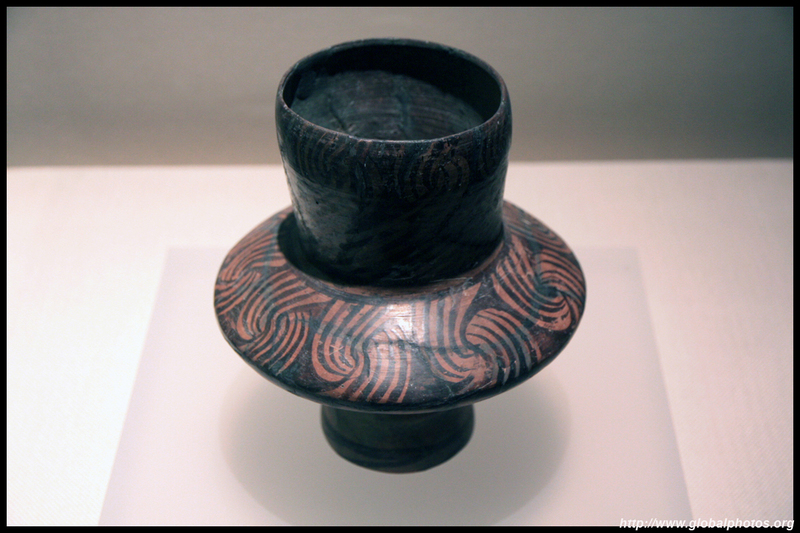 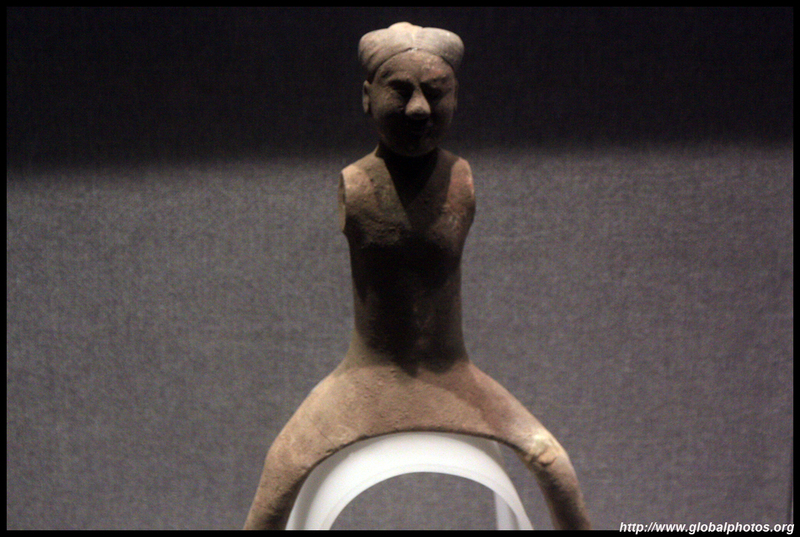 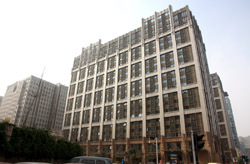 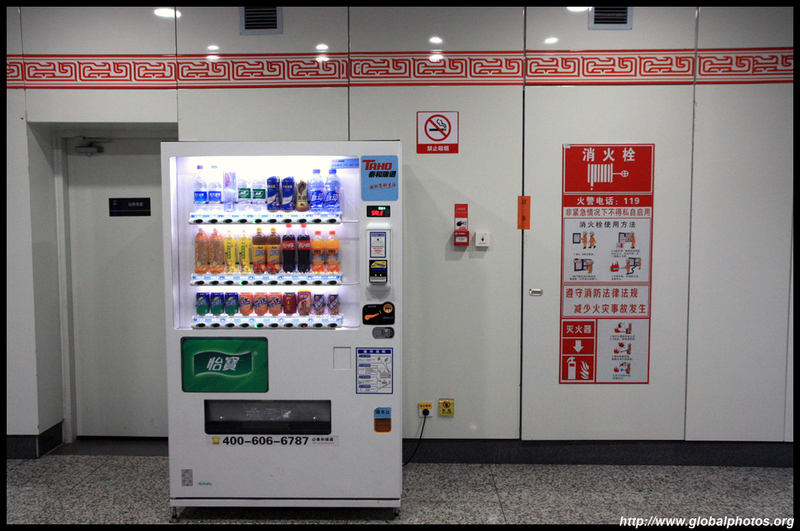 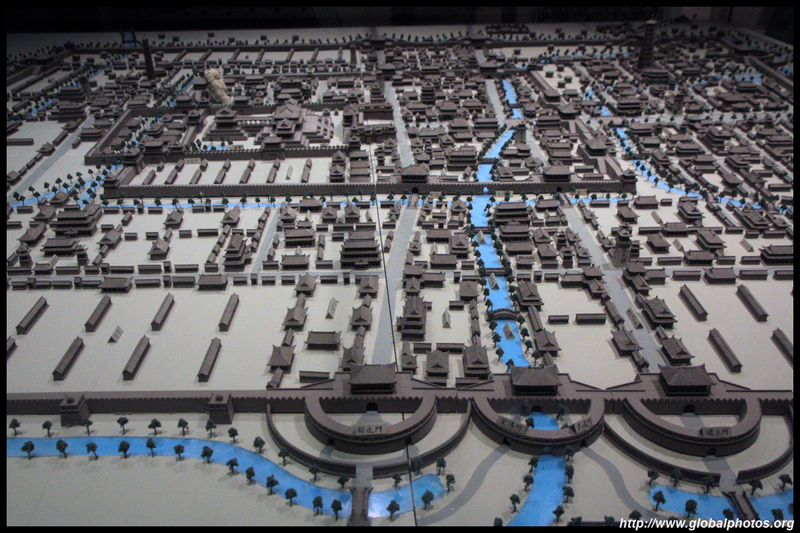 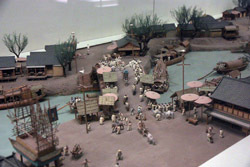 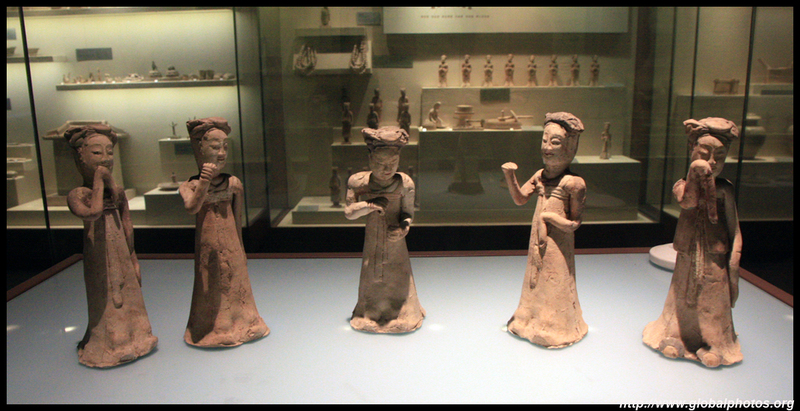 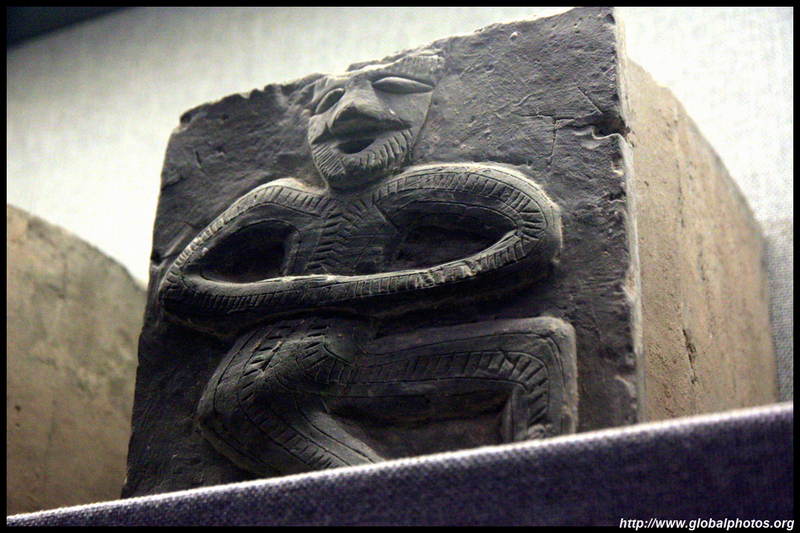 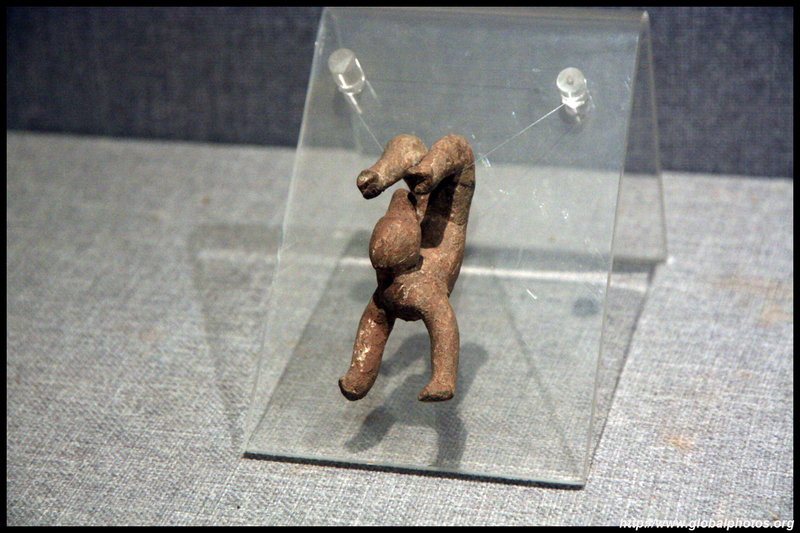 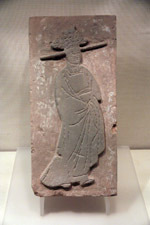 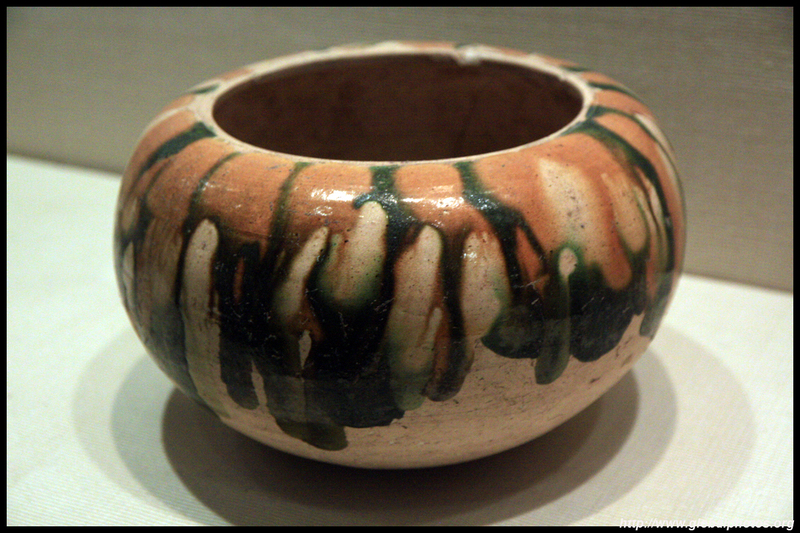 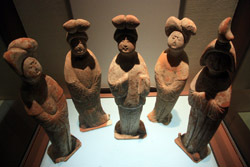 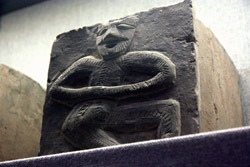 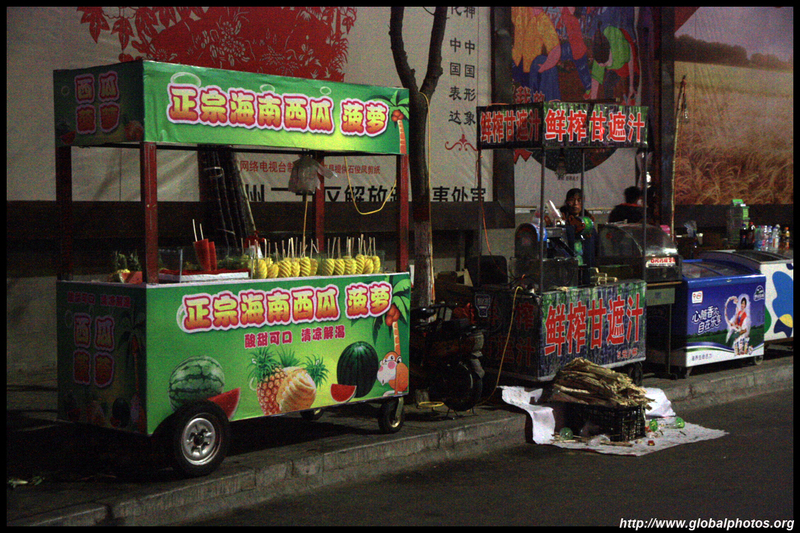 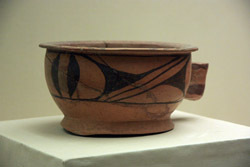 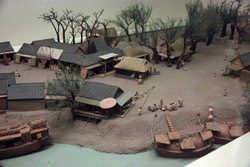 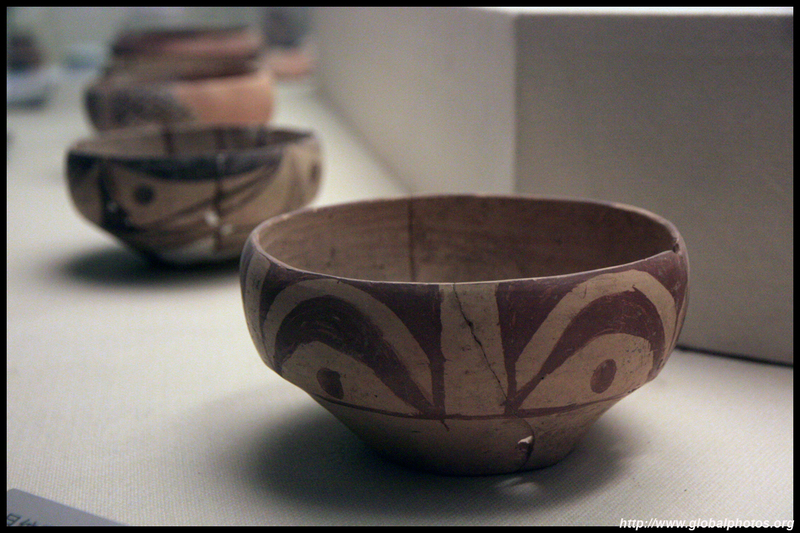 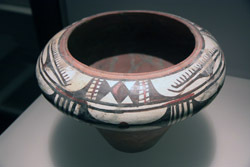 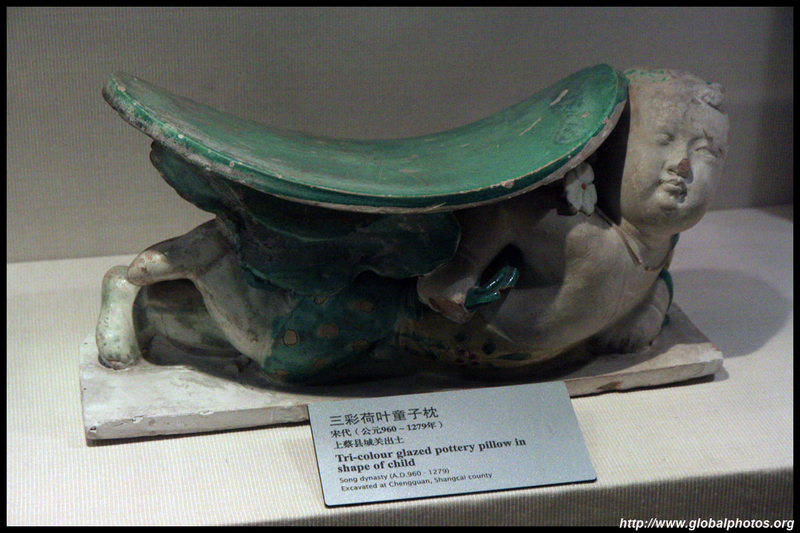 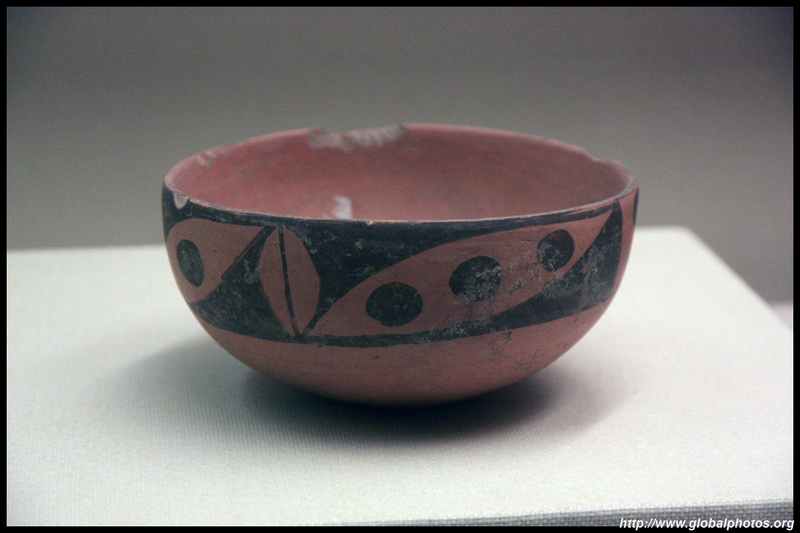 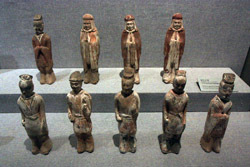 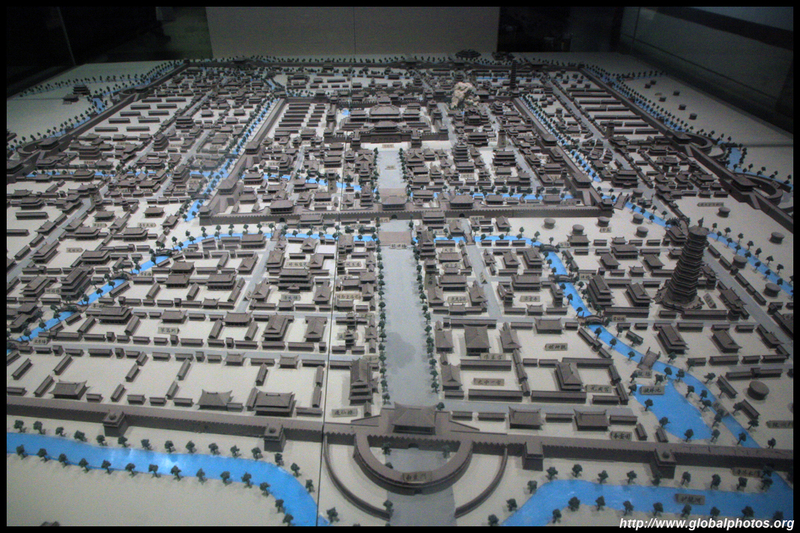 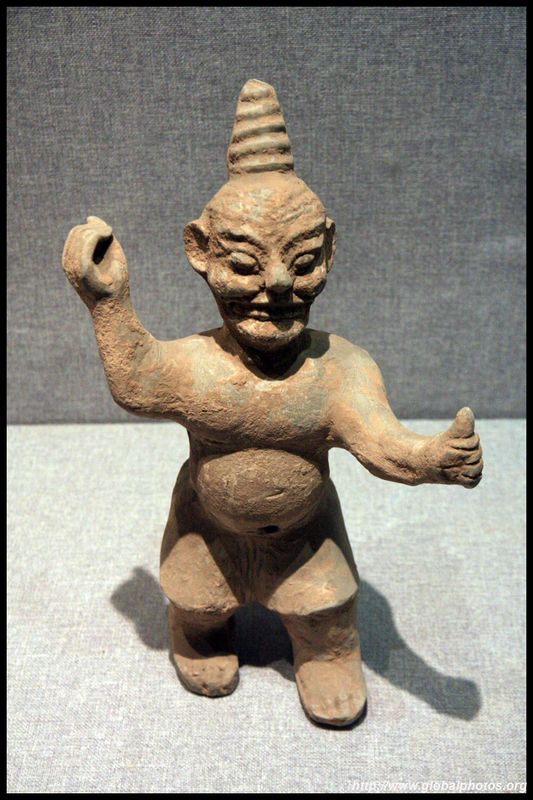 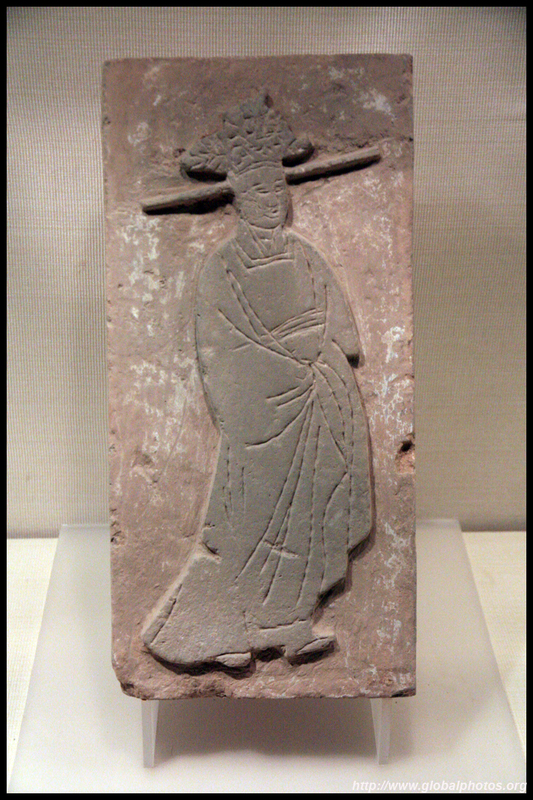 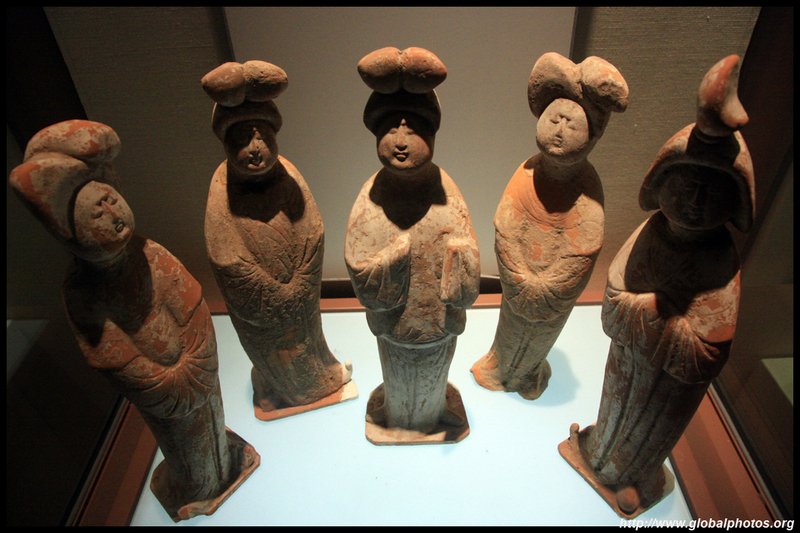 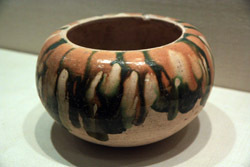 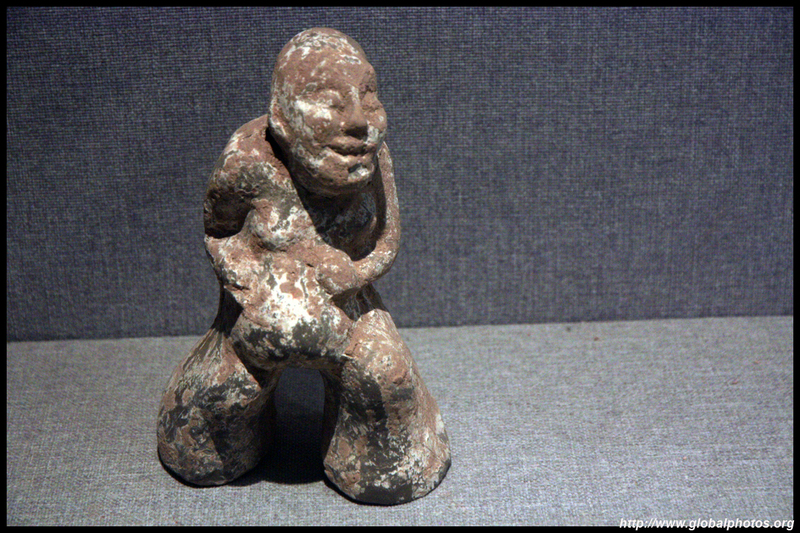 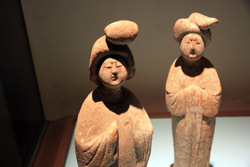 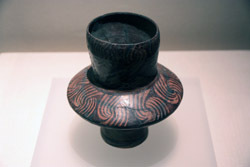 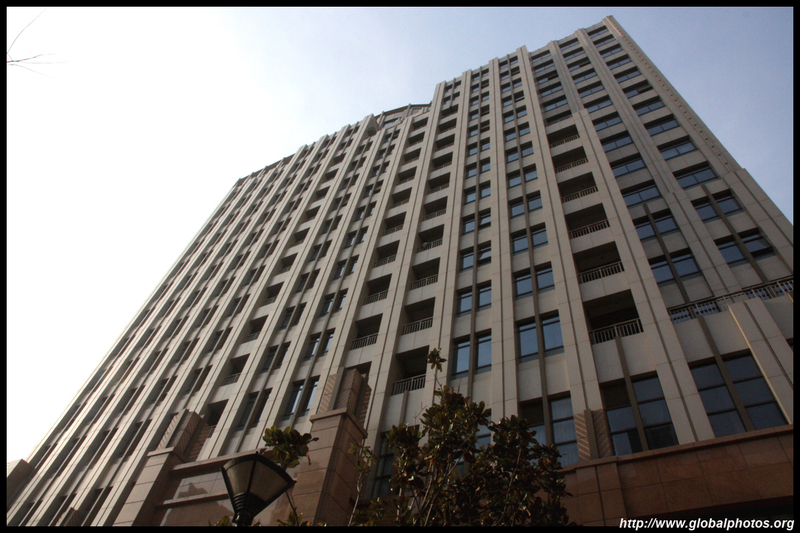 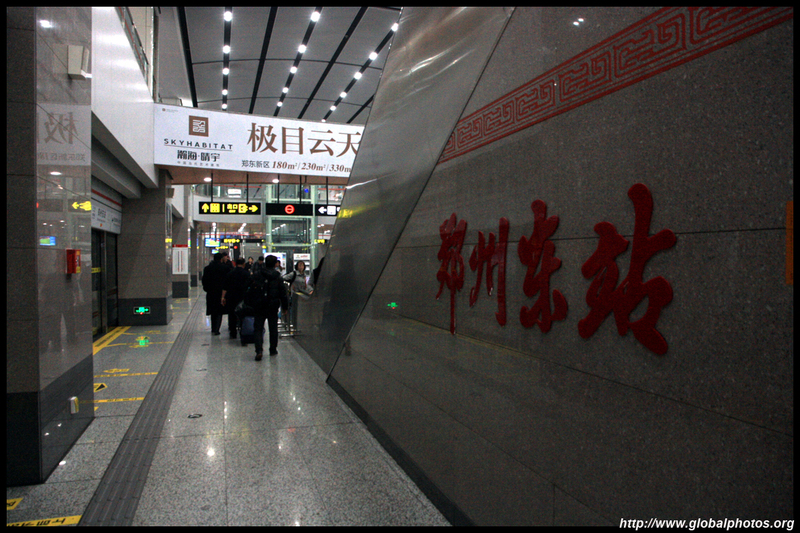 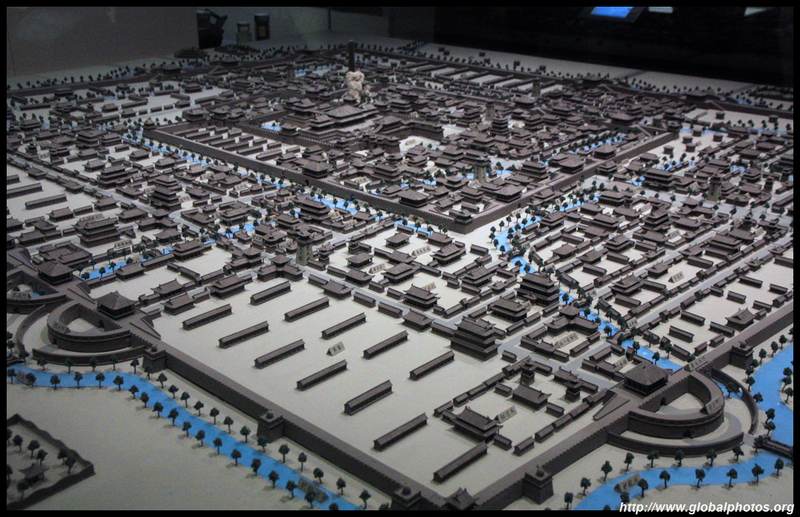 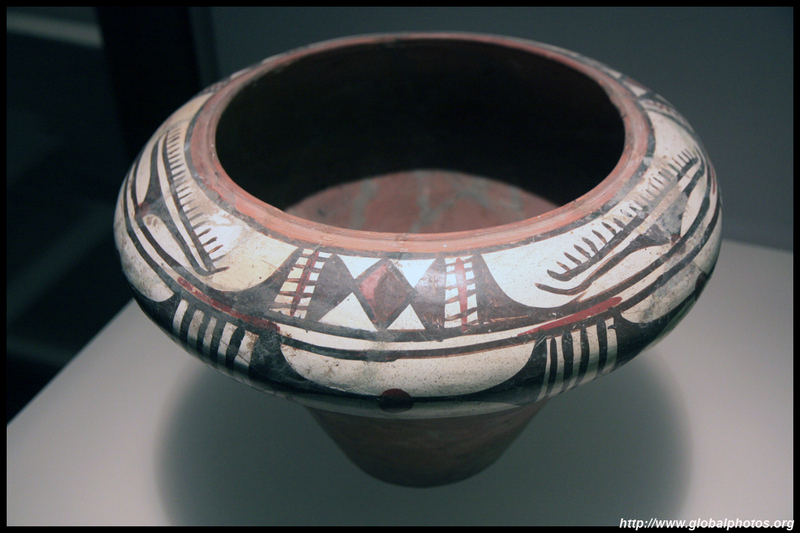 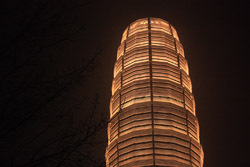 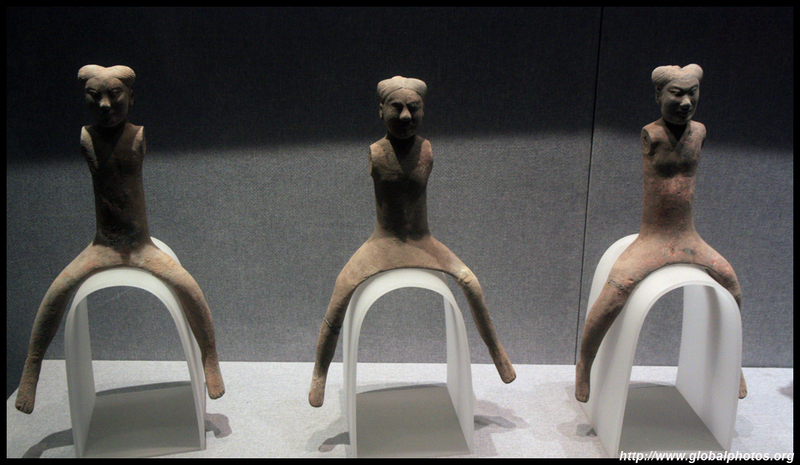 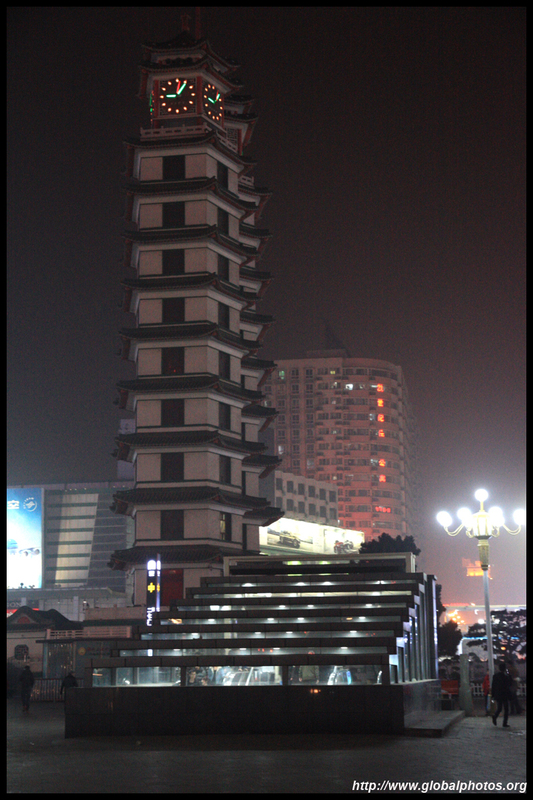 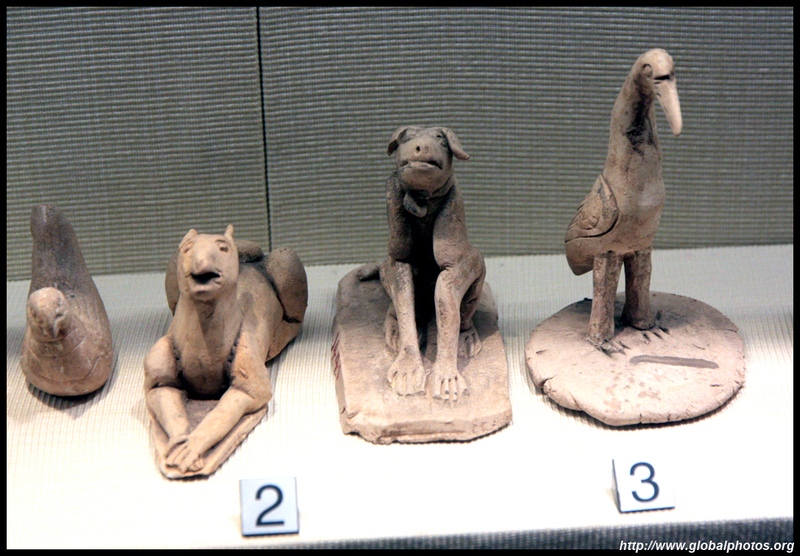 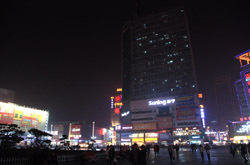 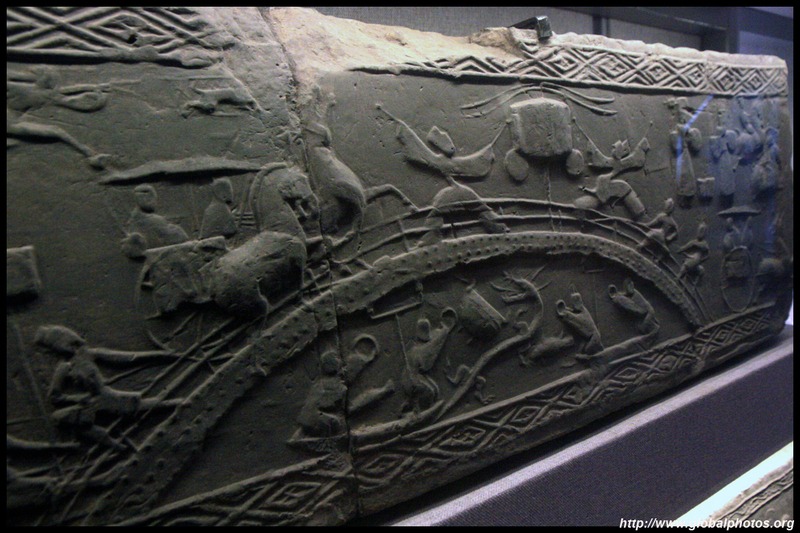 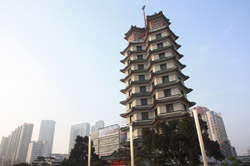 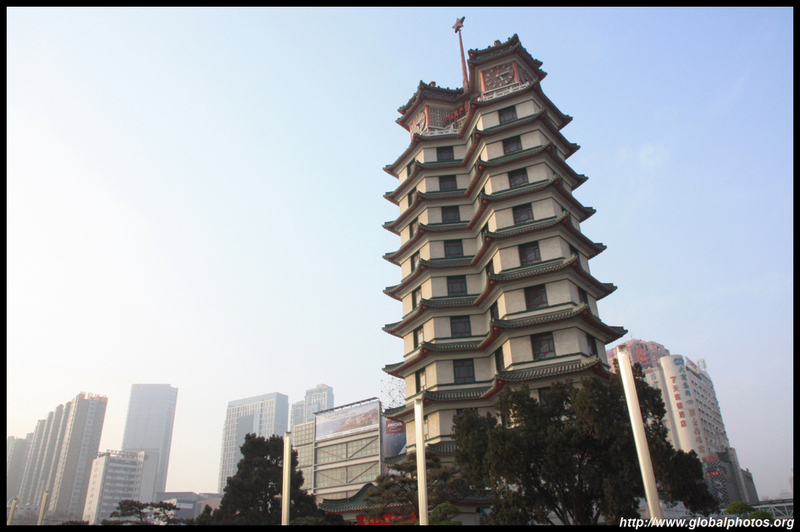 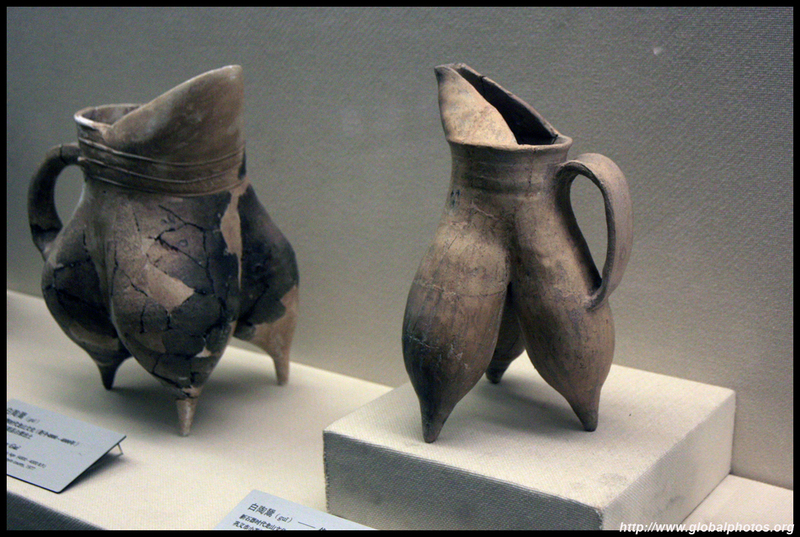 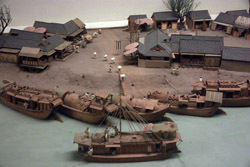 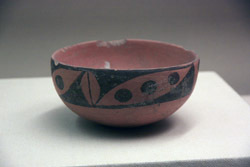 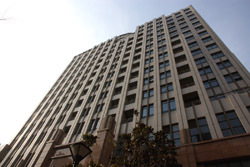 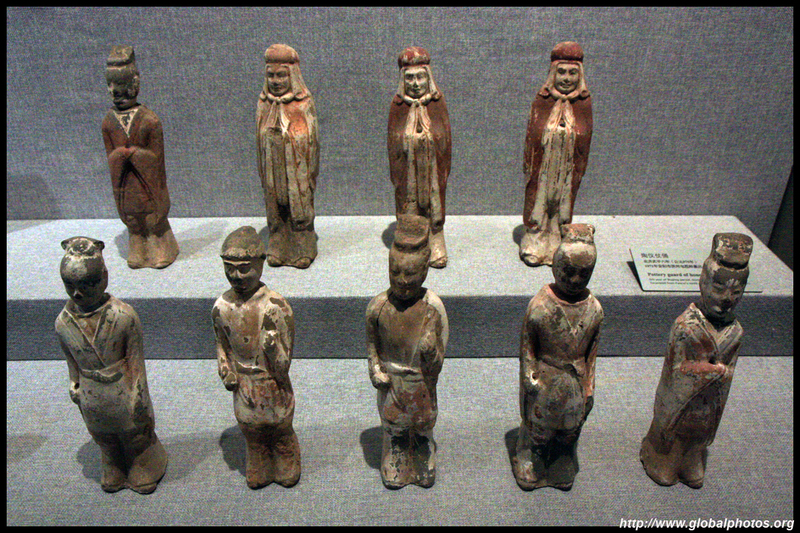 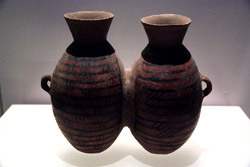 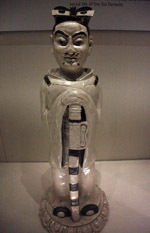 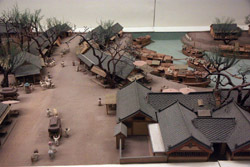 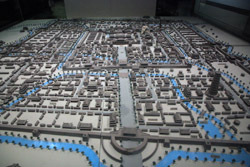 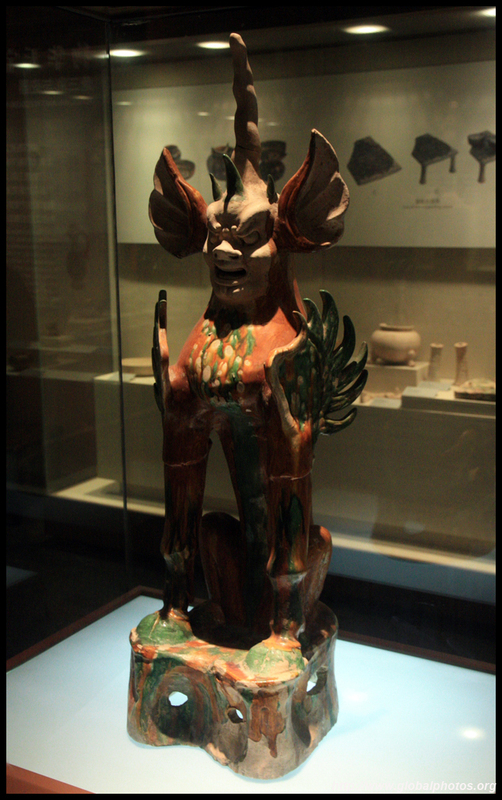 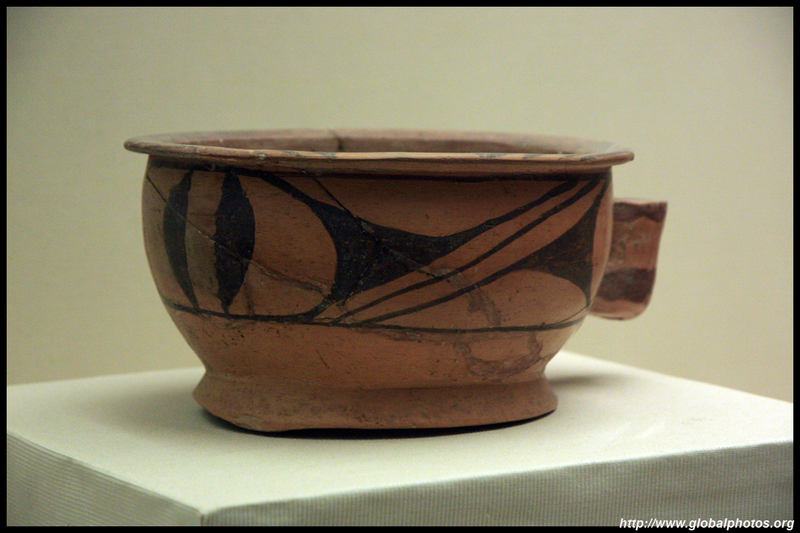 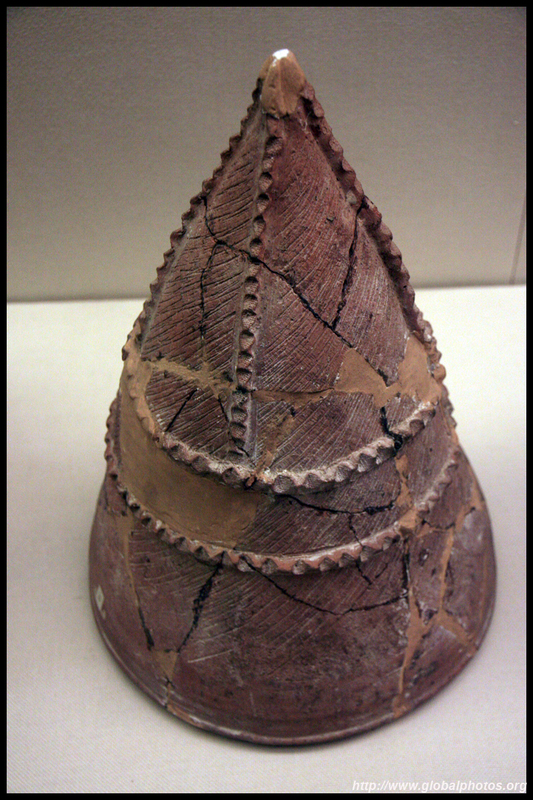 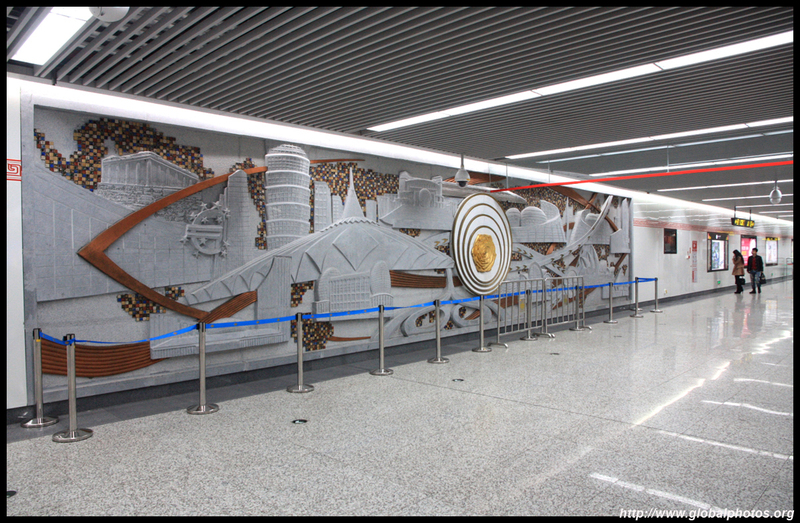 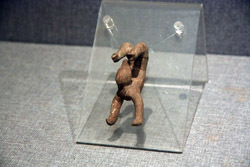 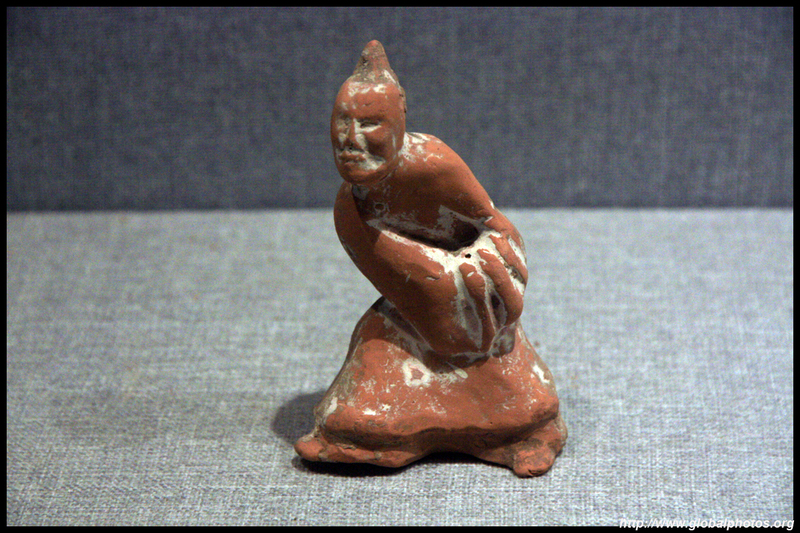 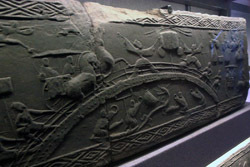 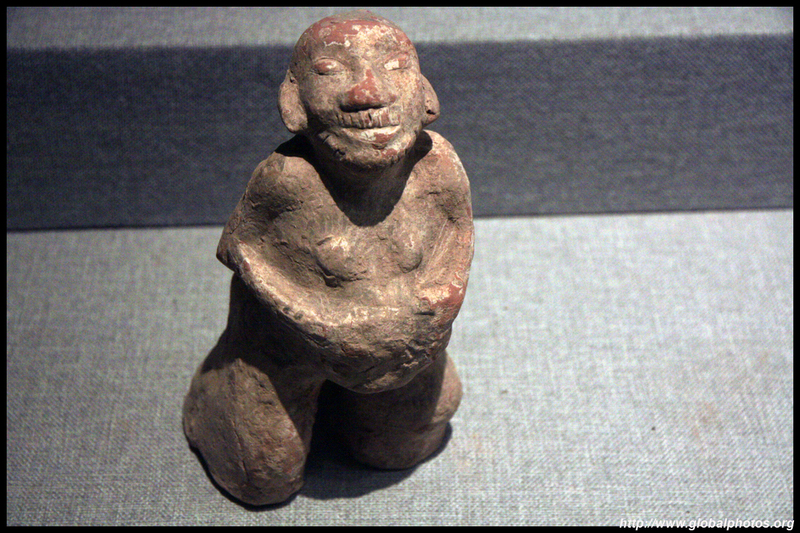 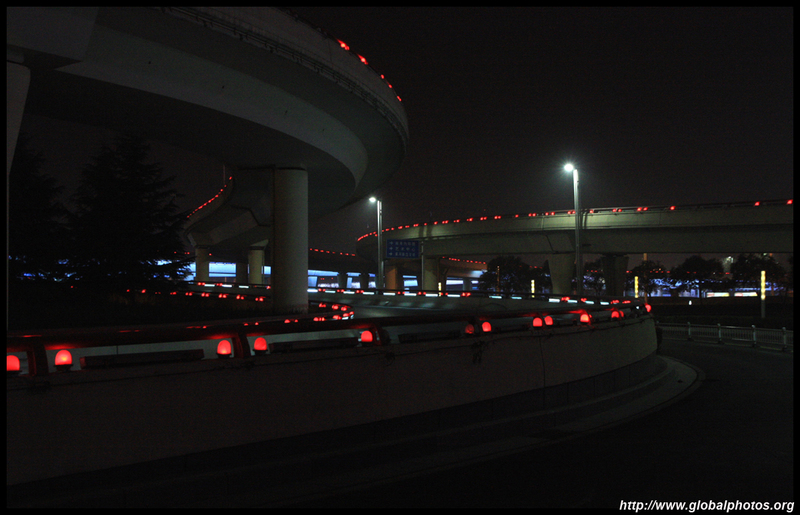 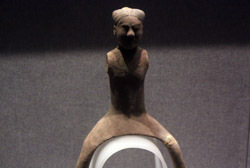 Start at the Longshan and Yangshao cultures of the Neolithic age, which dates from at least 4000 years ago. 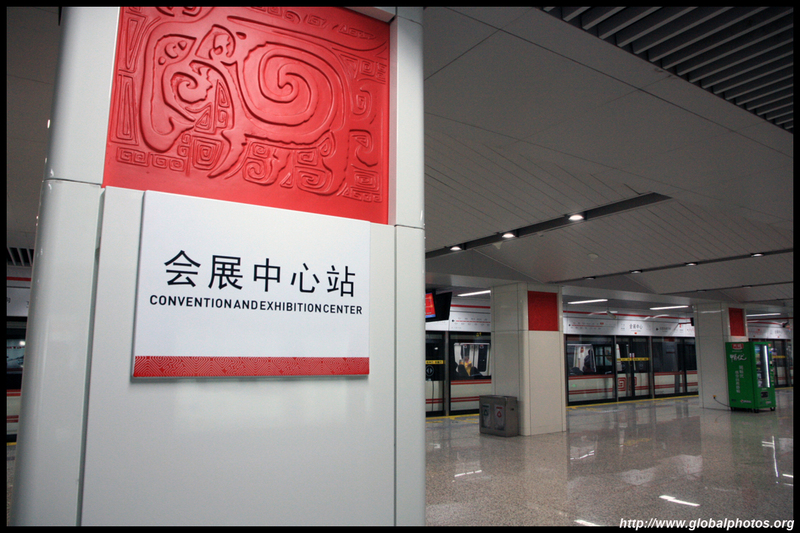 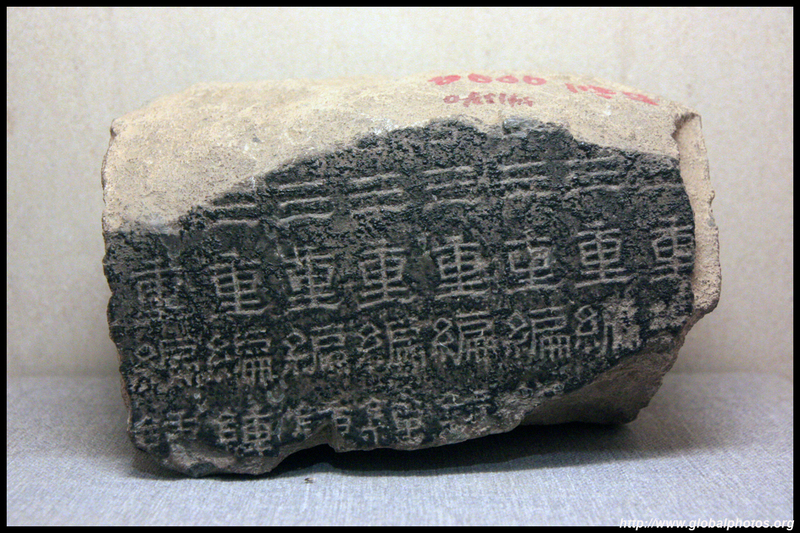 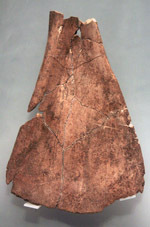 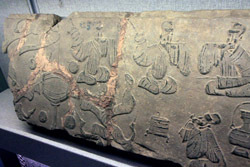 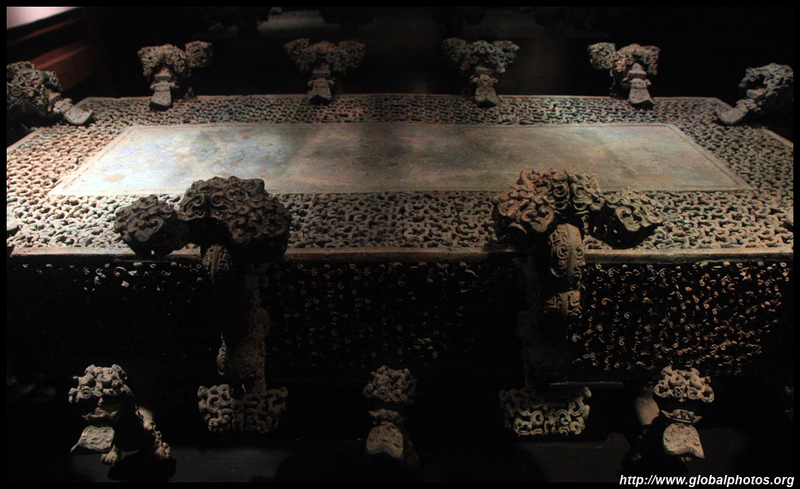 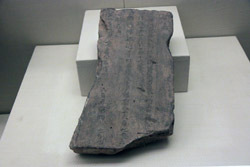 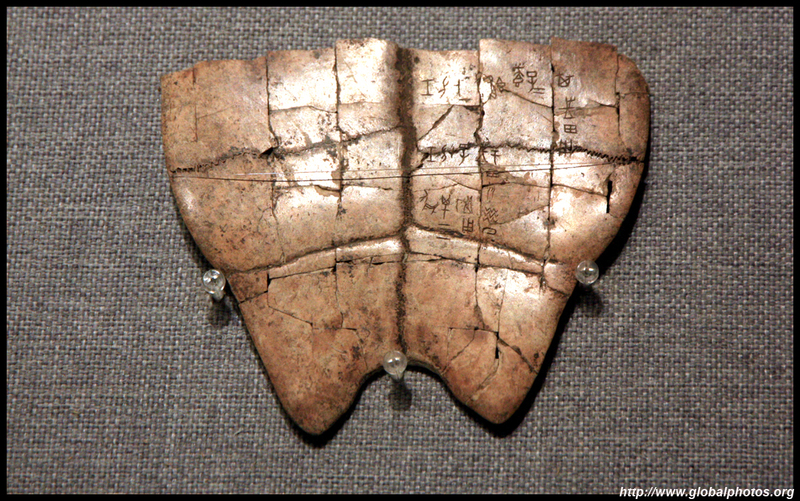 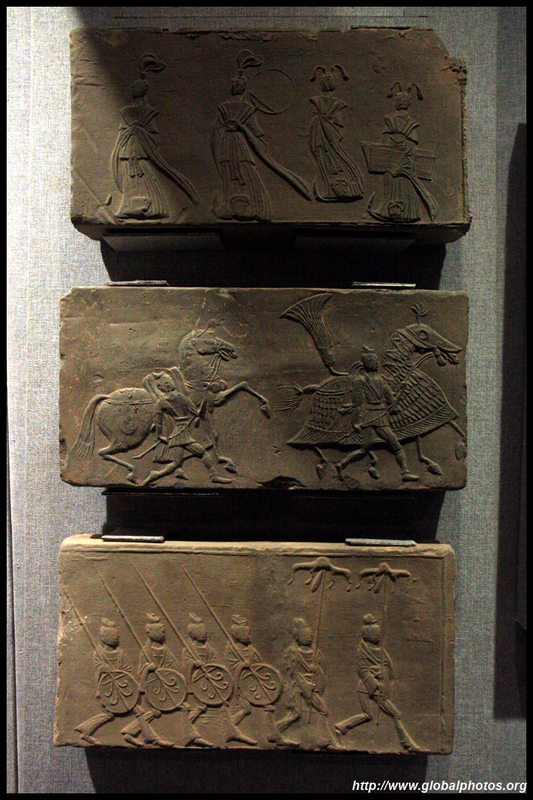 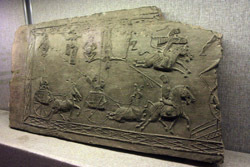 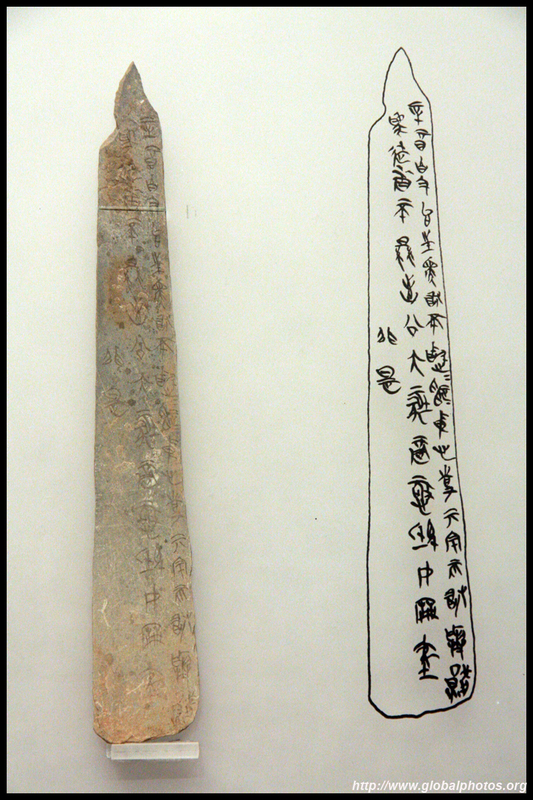 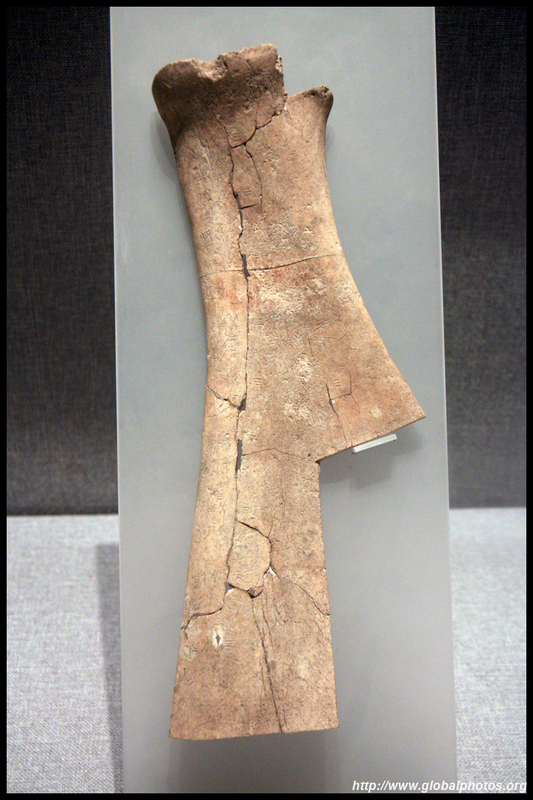 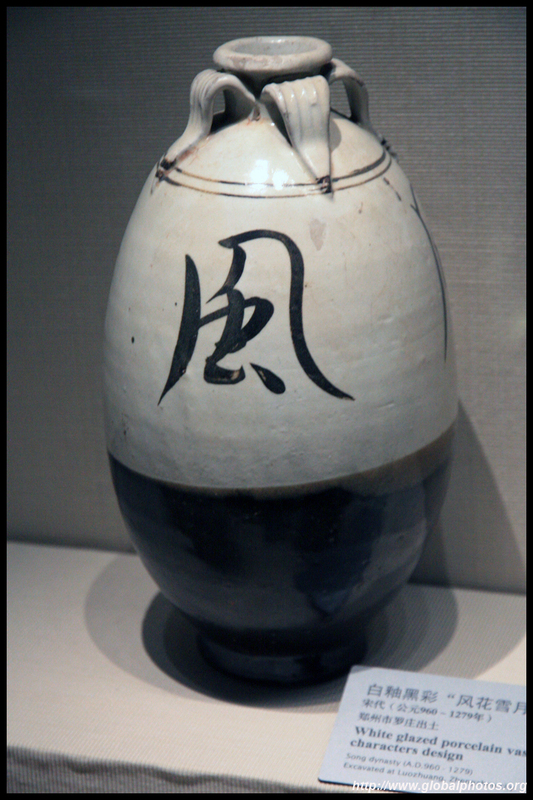 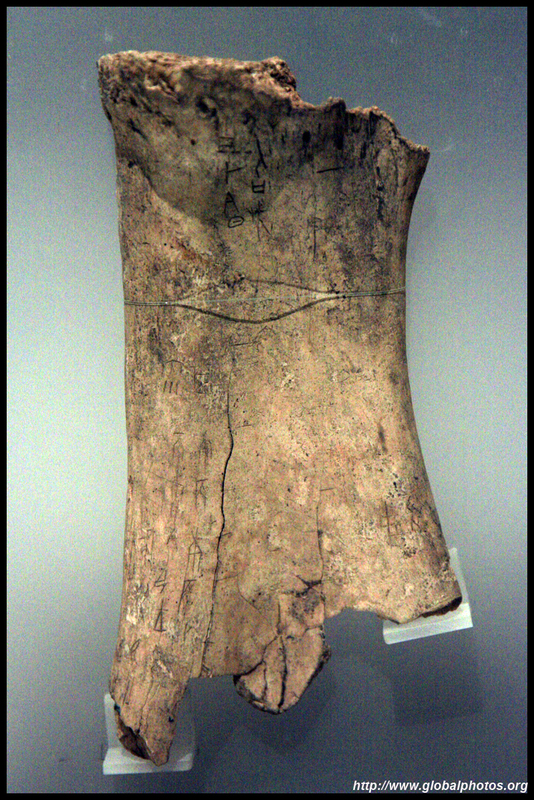 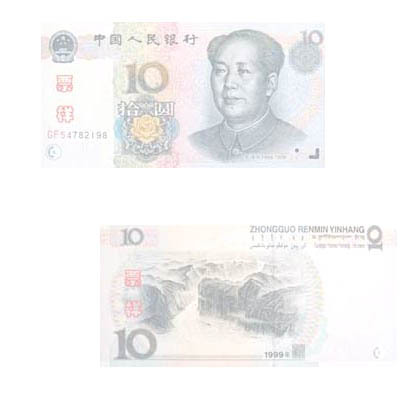 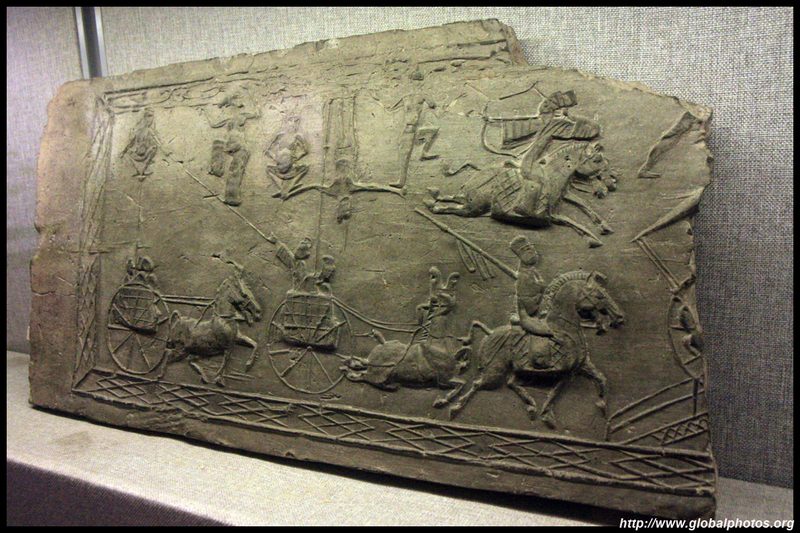 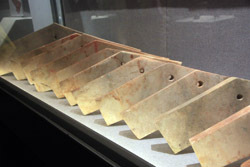 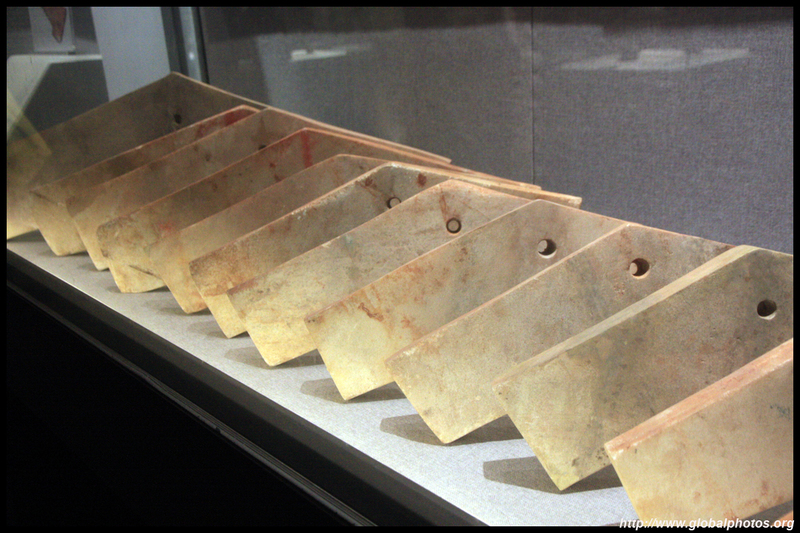 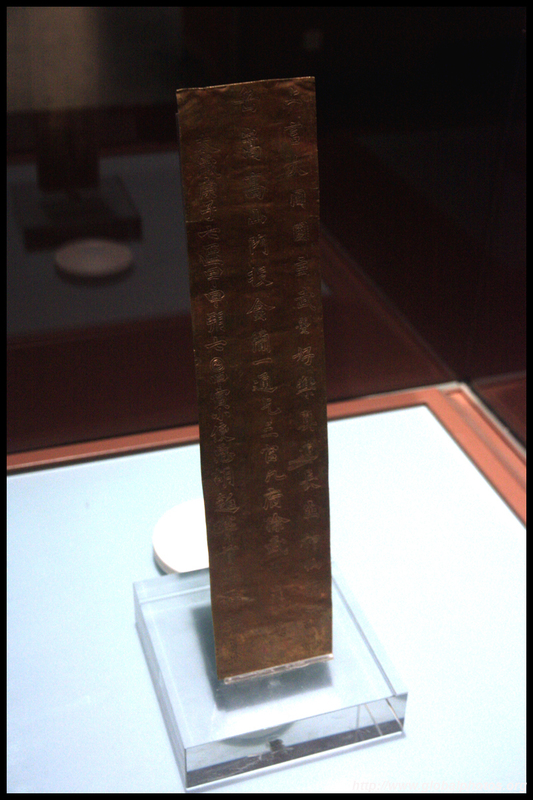 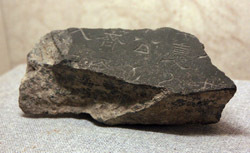 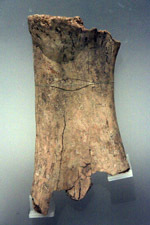 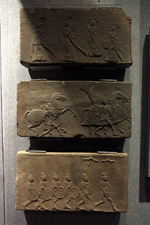 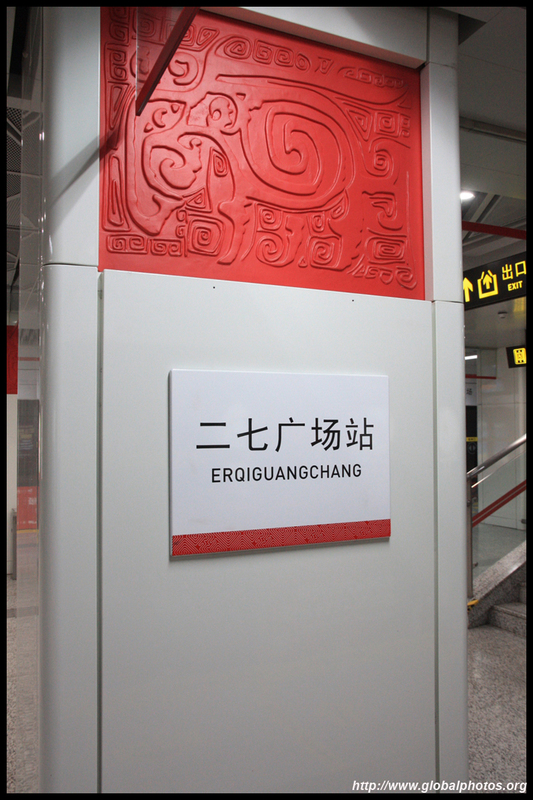 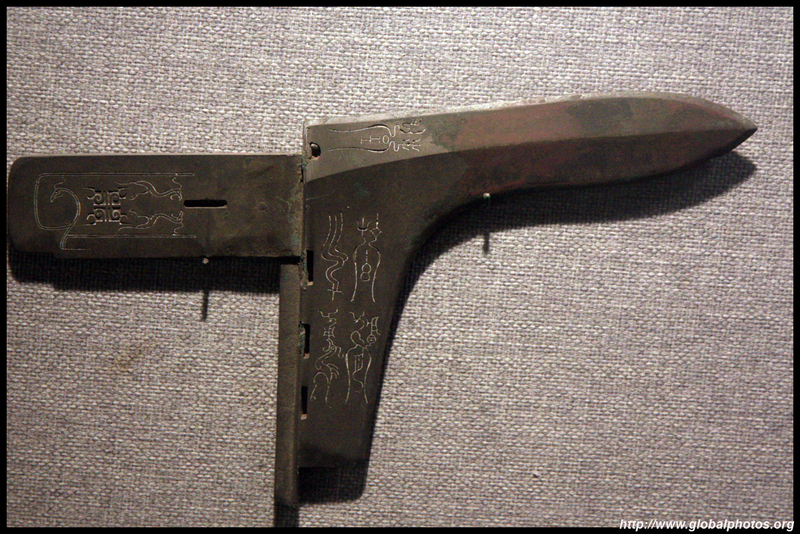 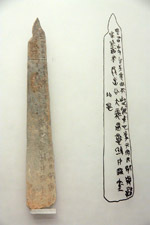 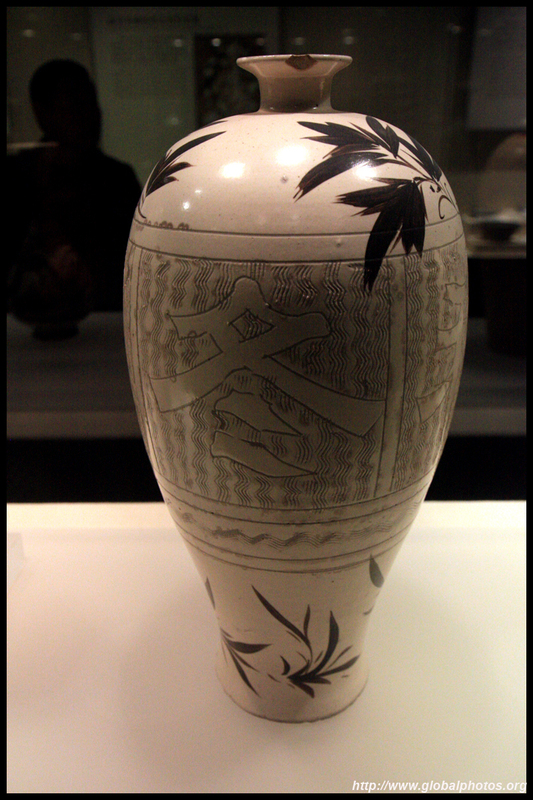 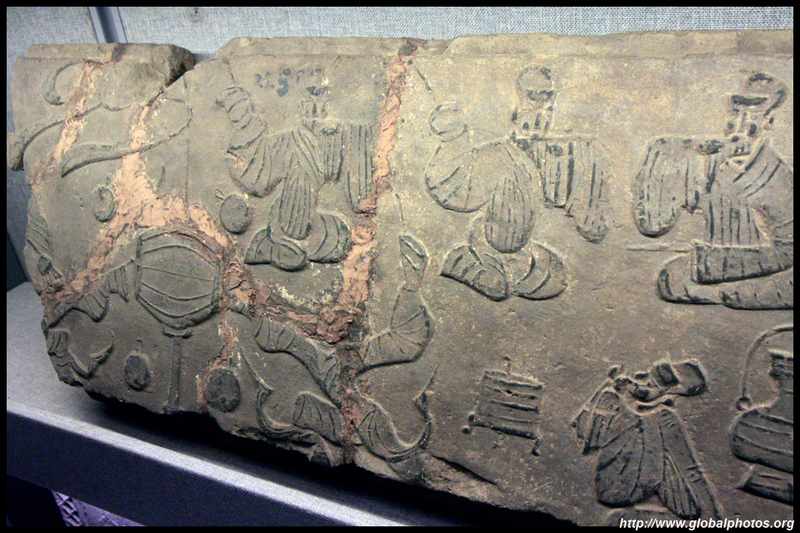 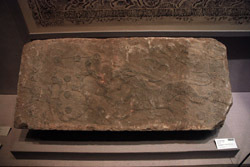 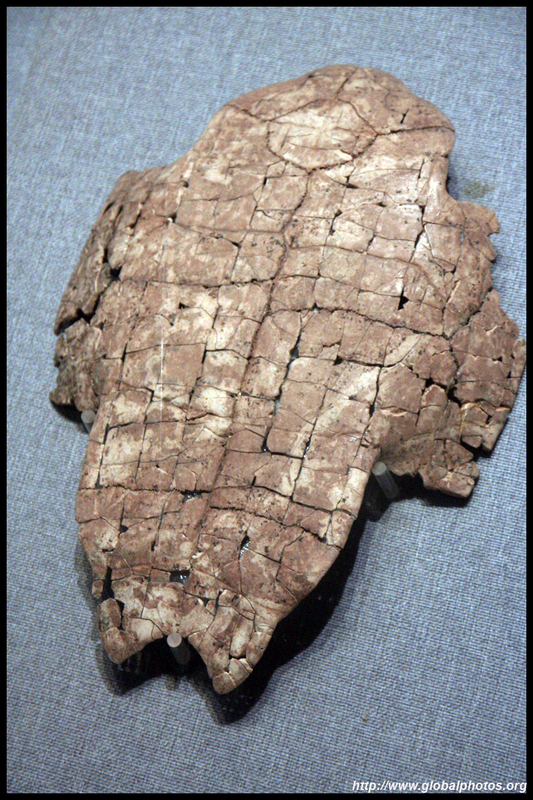 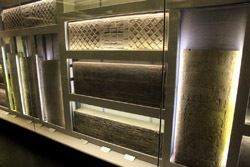 Inscriptions can be found on oracle bones from the Shang Dynasty, which give us a glimpse of life in ancient China. 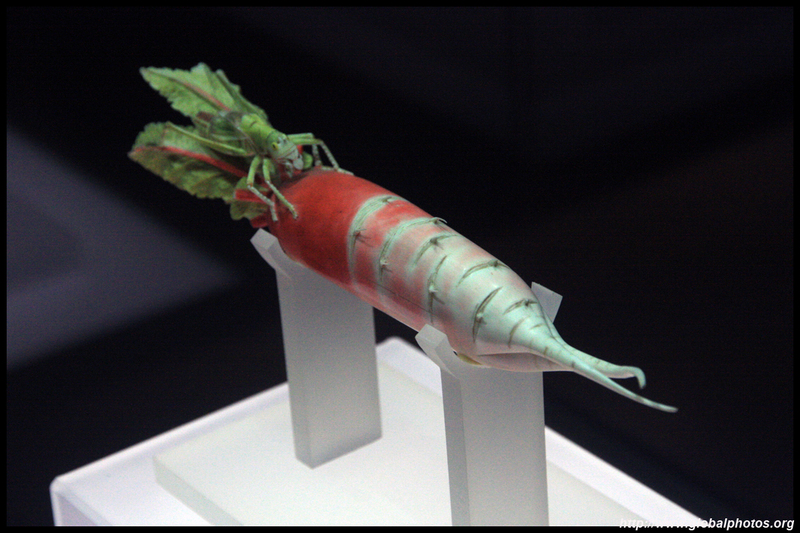 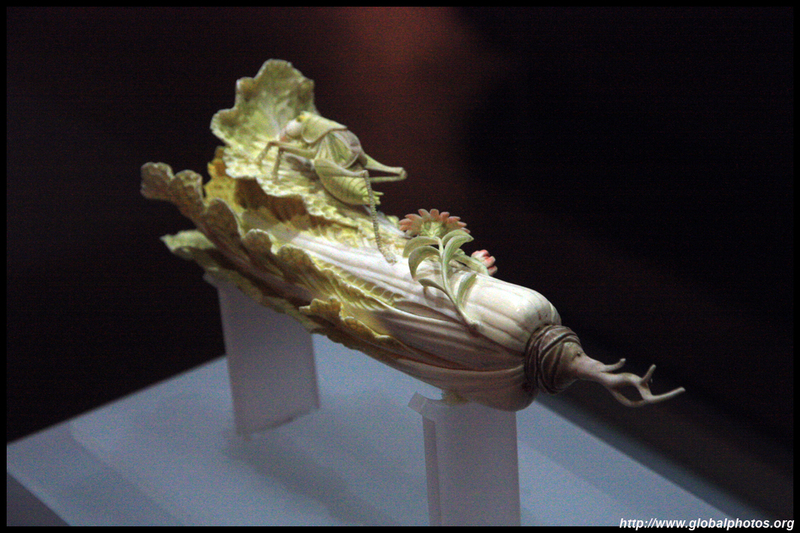 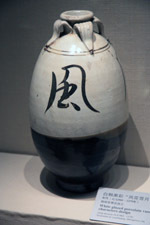 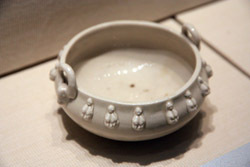 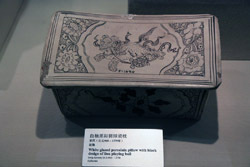 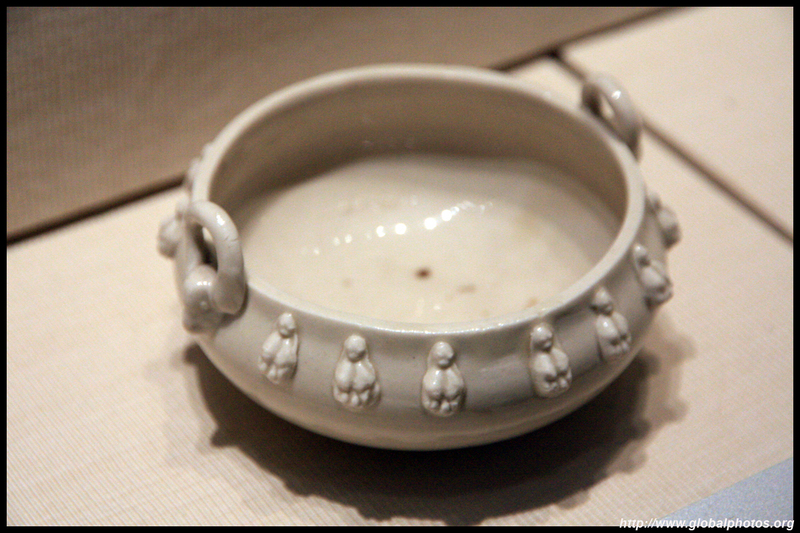 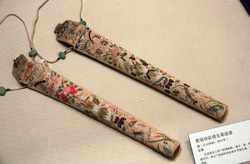 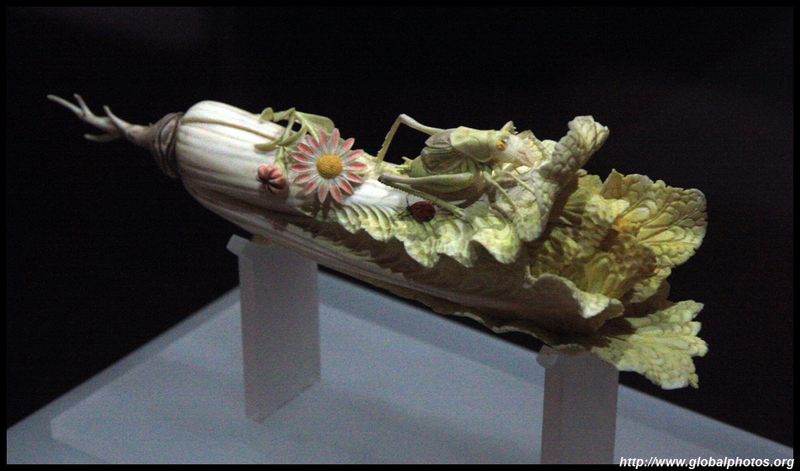 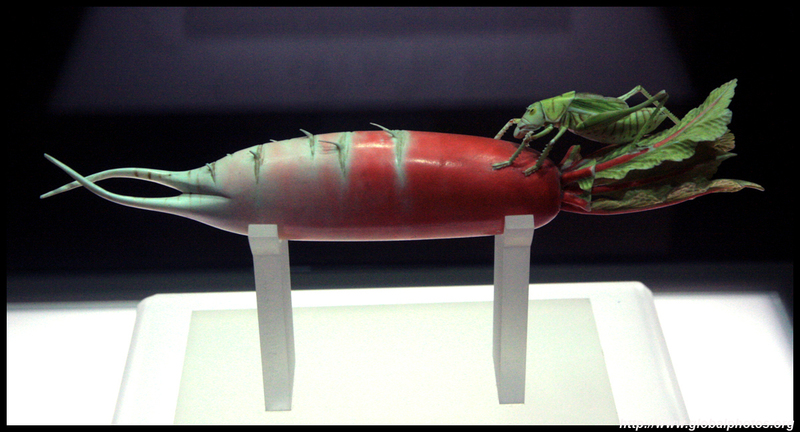 This ivory radish dates from the Qing Dynasty.